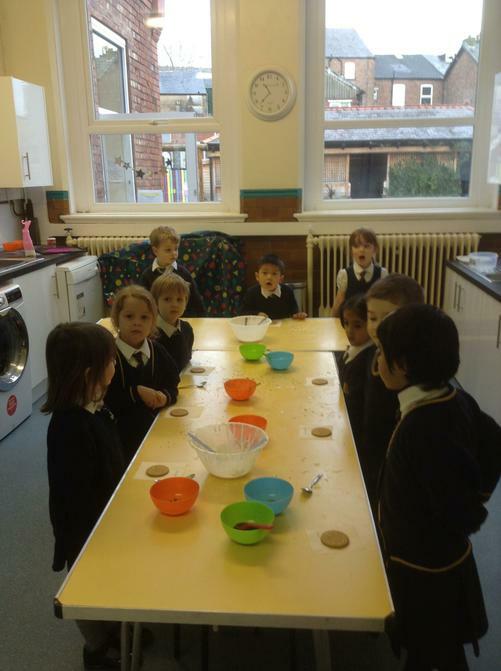 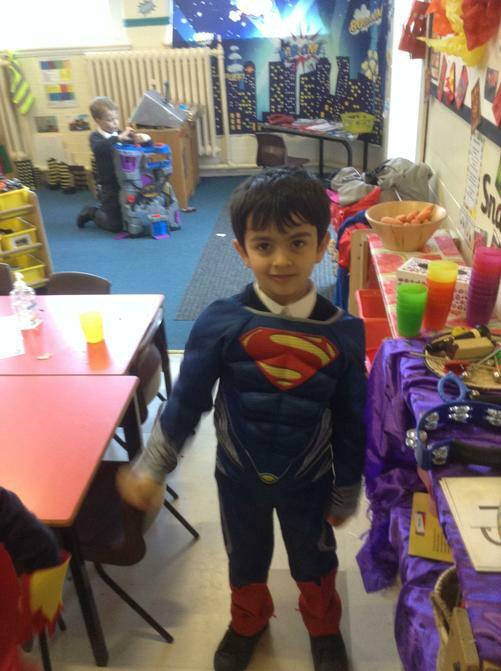 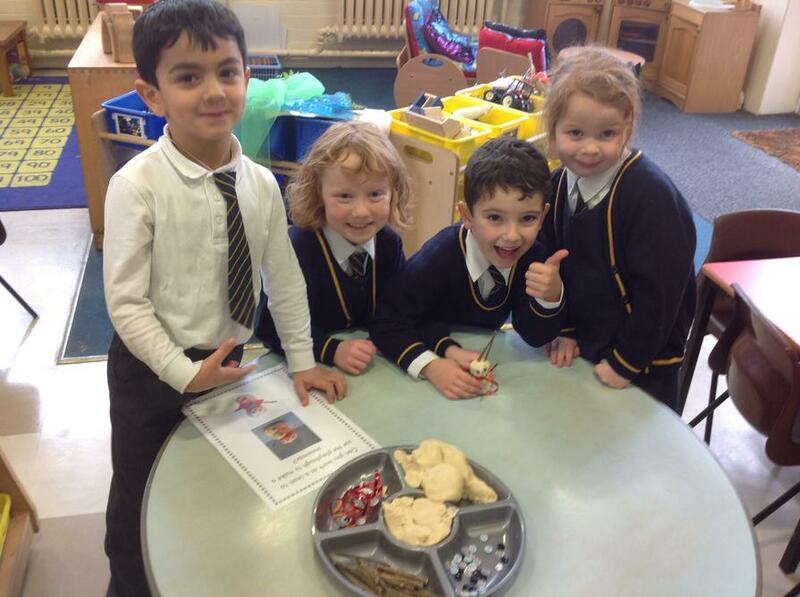 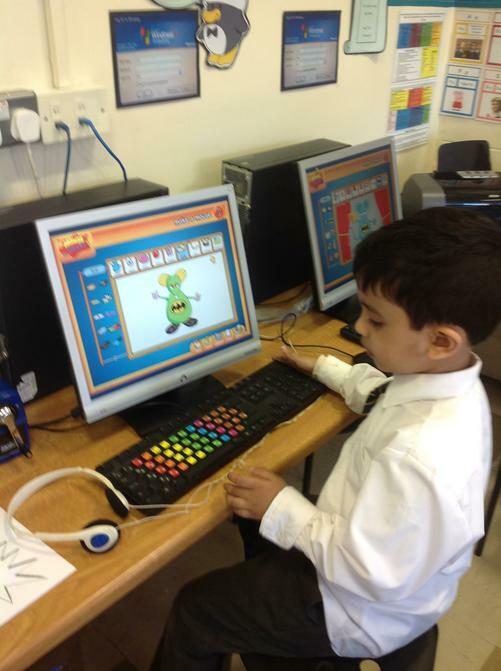 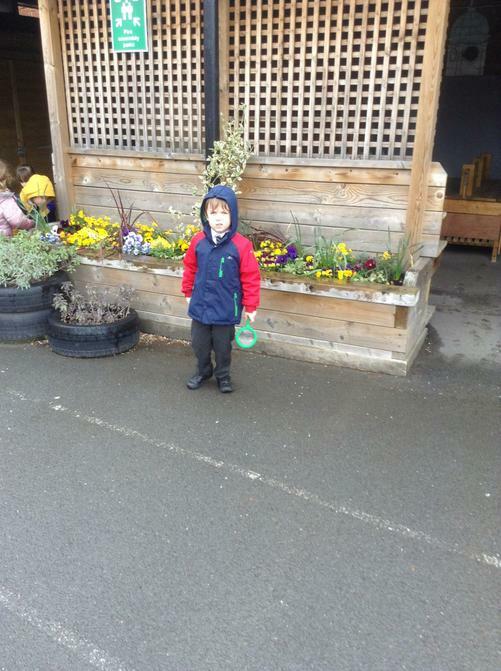 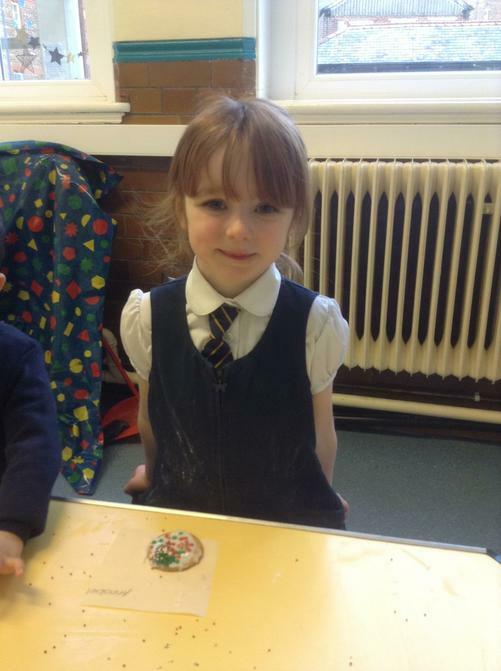 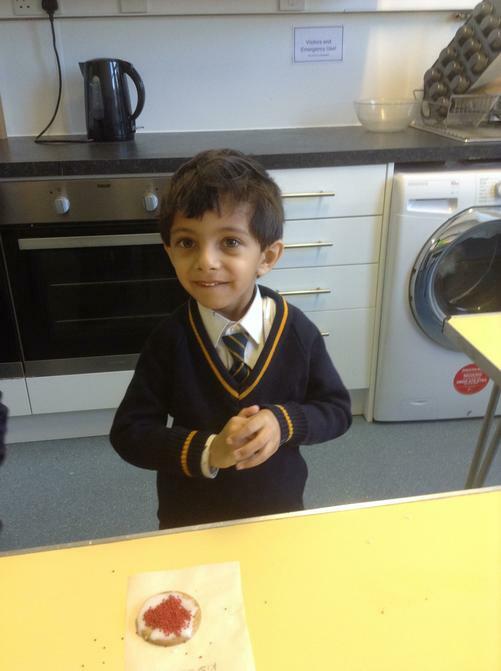 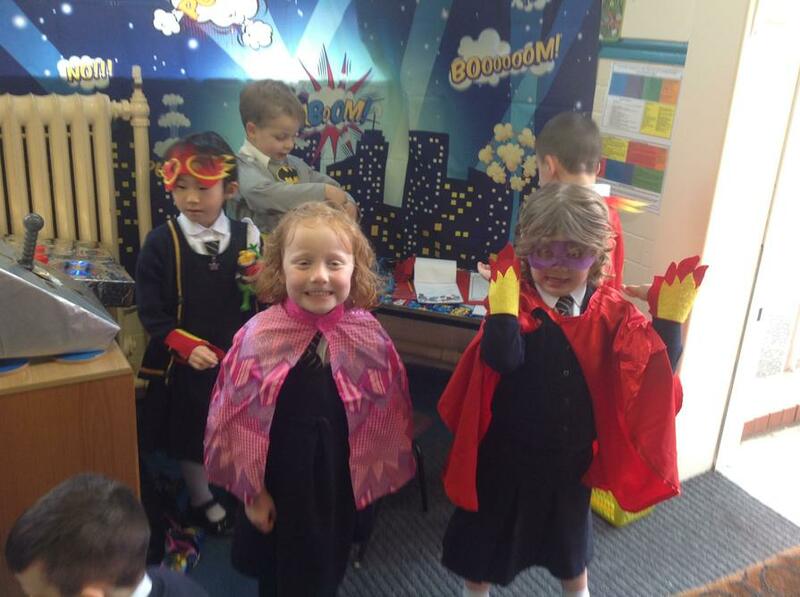 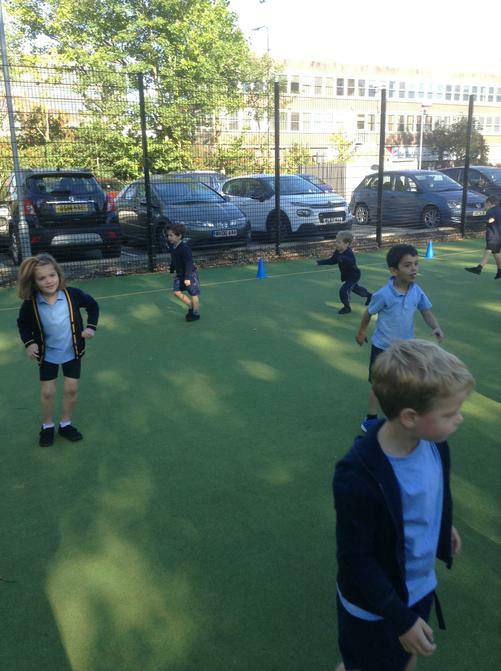 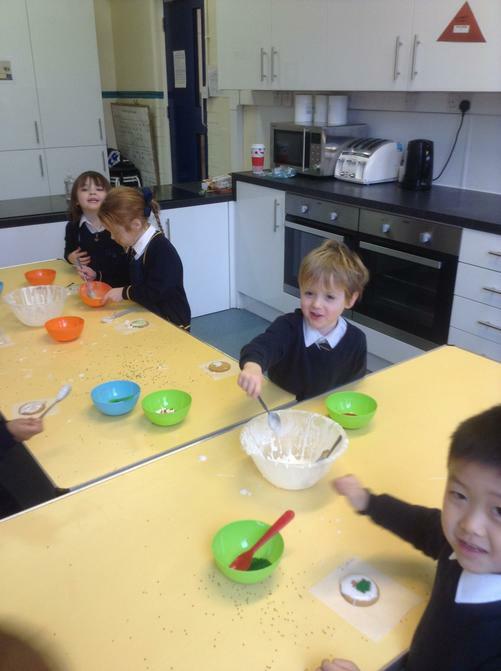 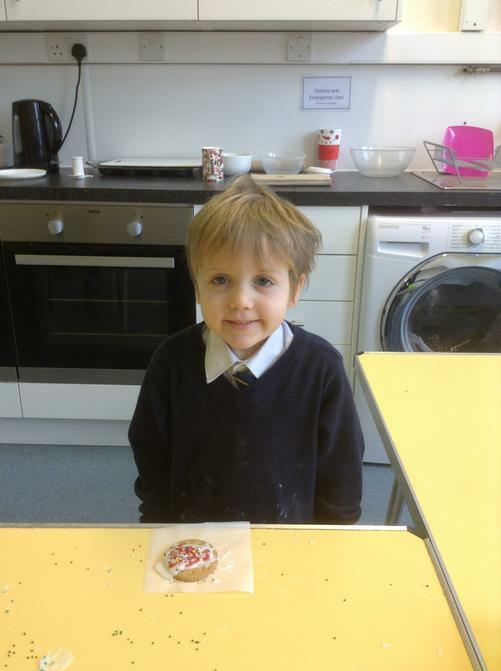 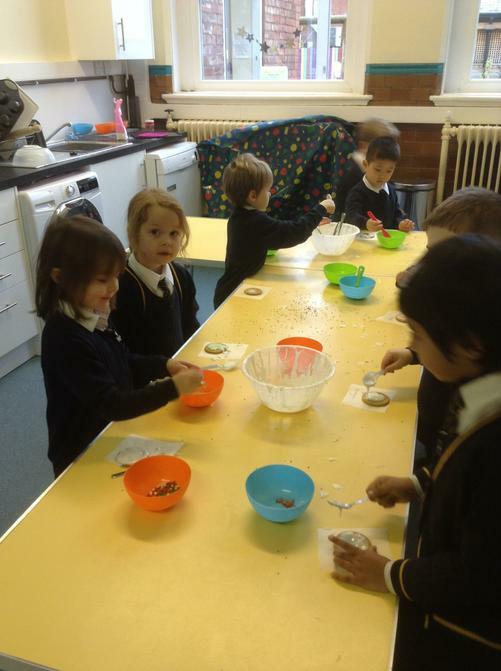 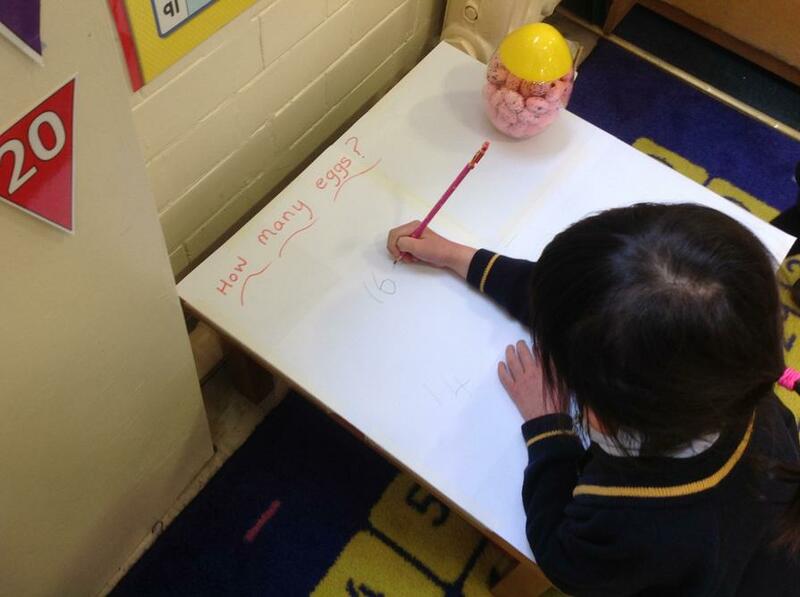 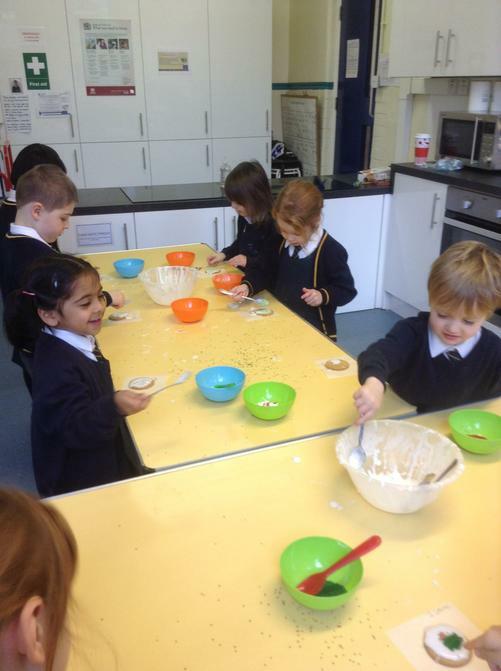 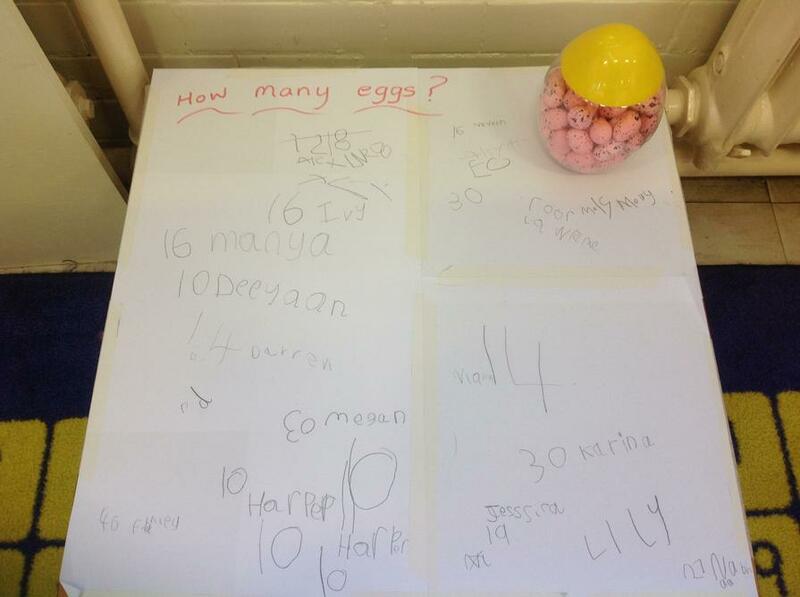 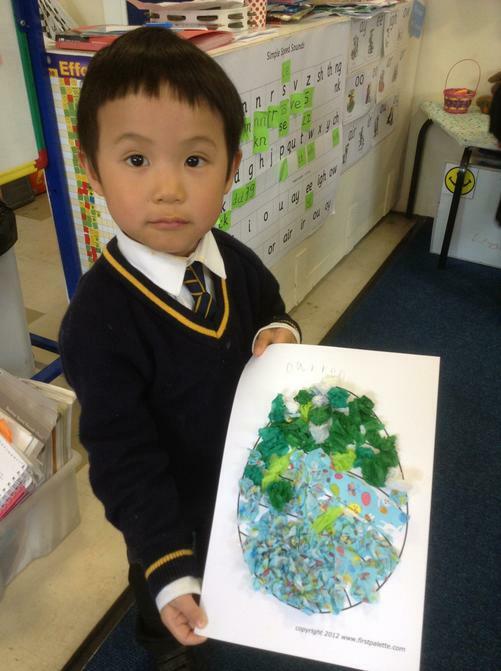 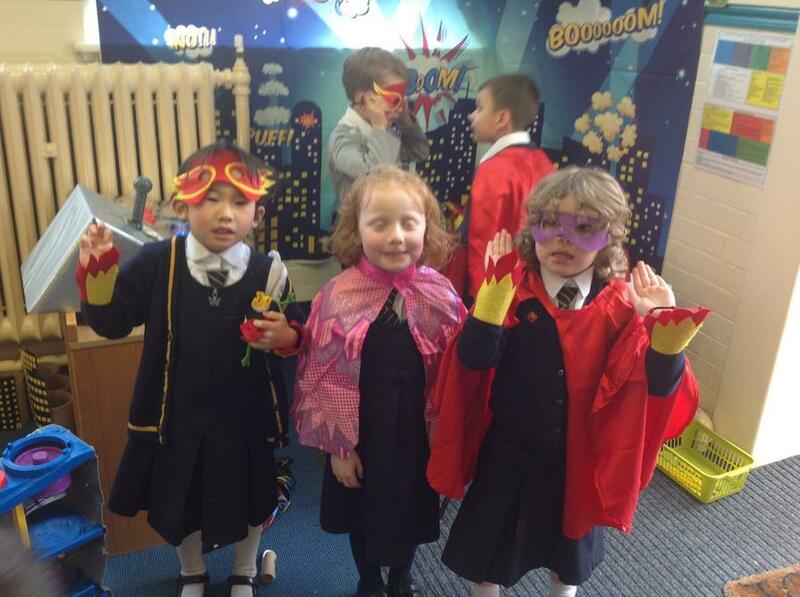 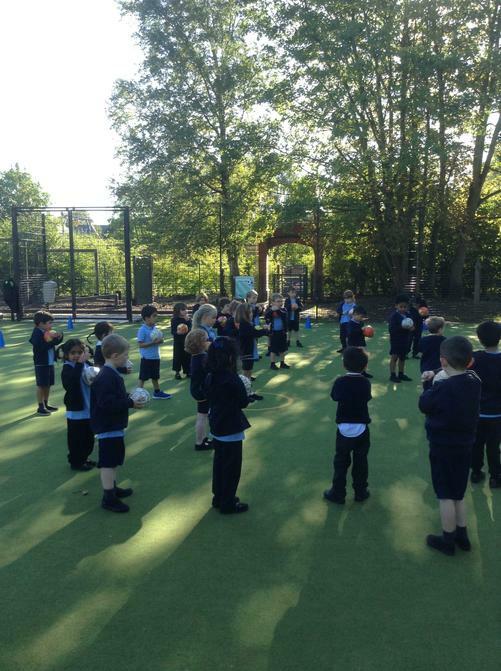 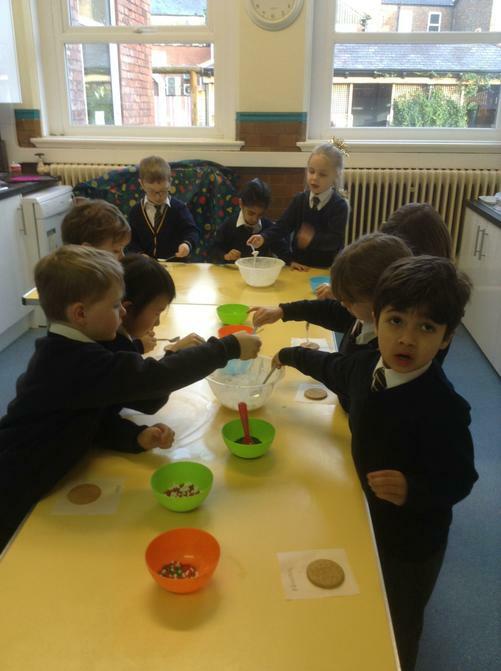 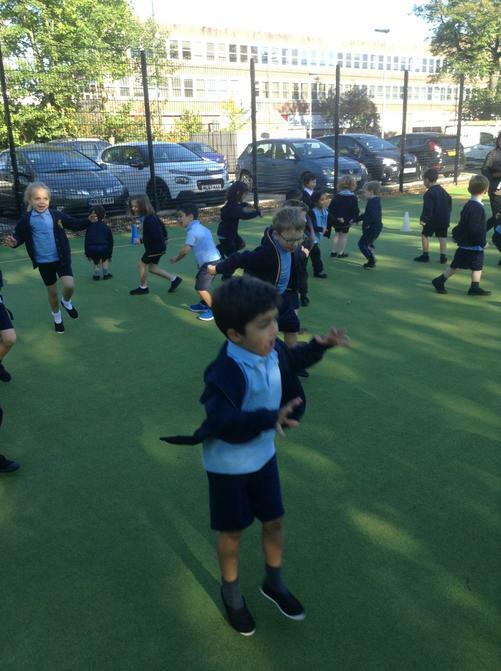 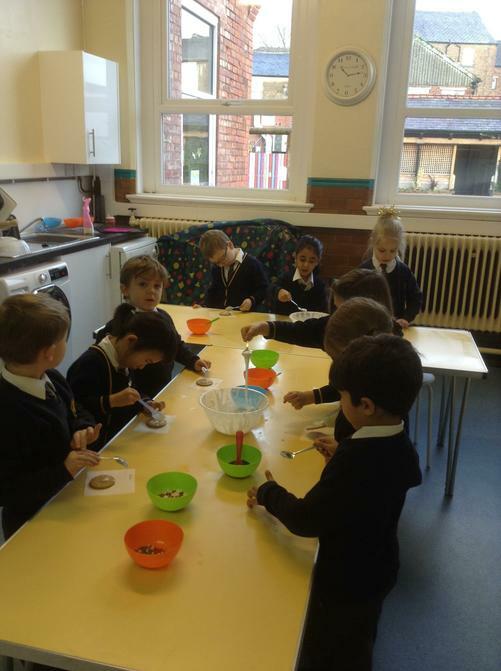 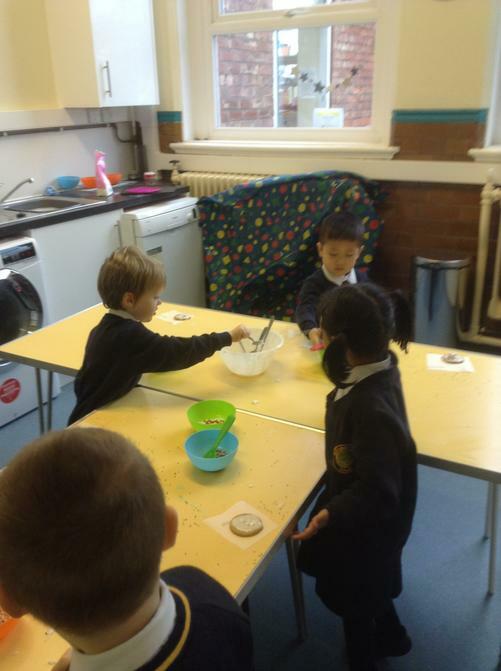 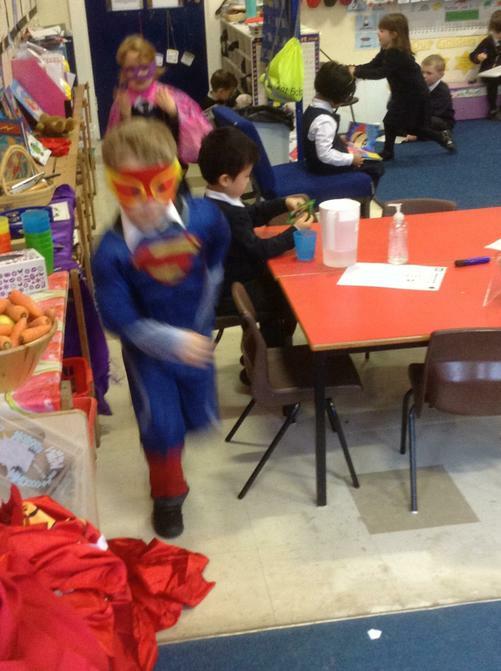 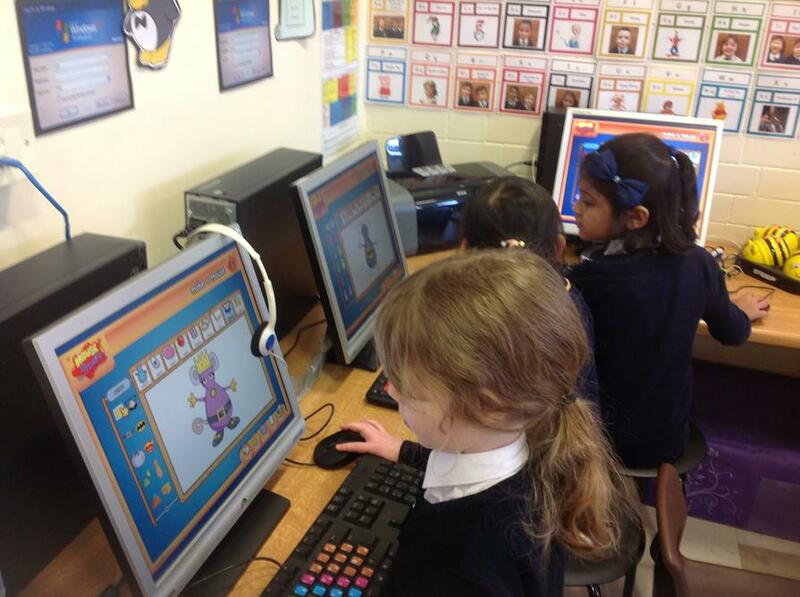 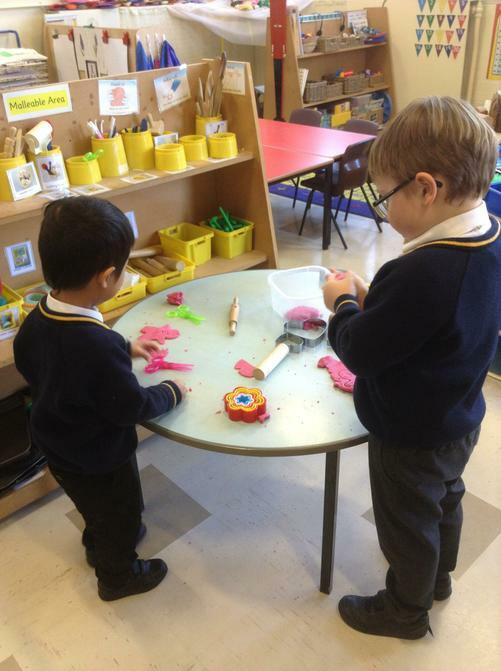 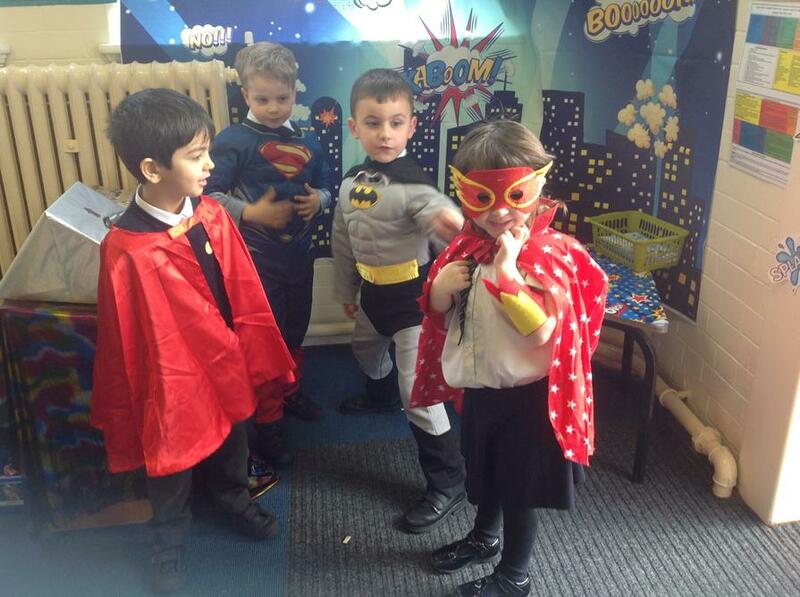 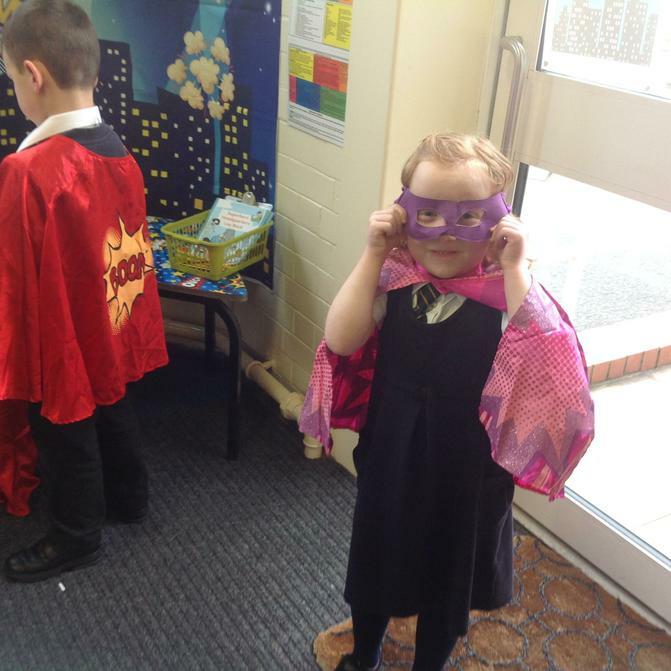 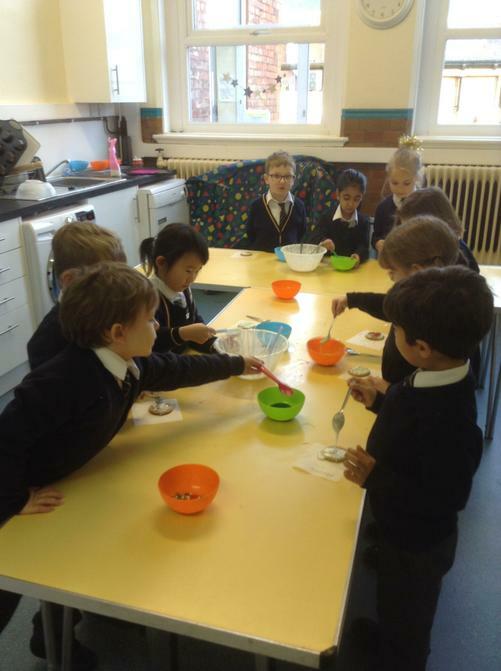 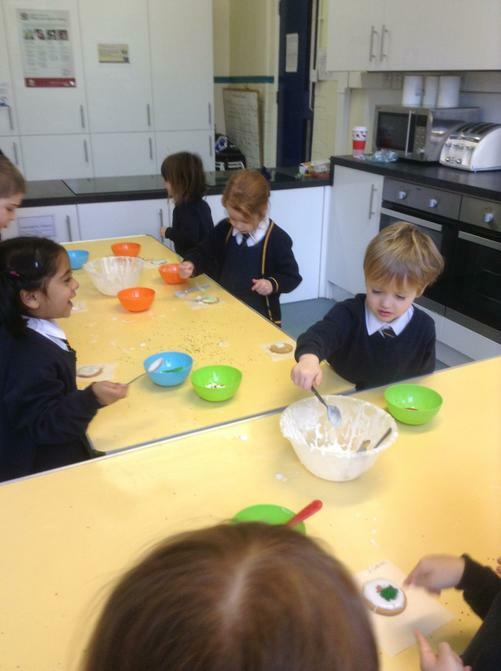 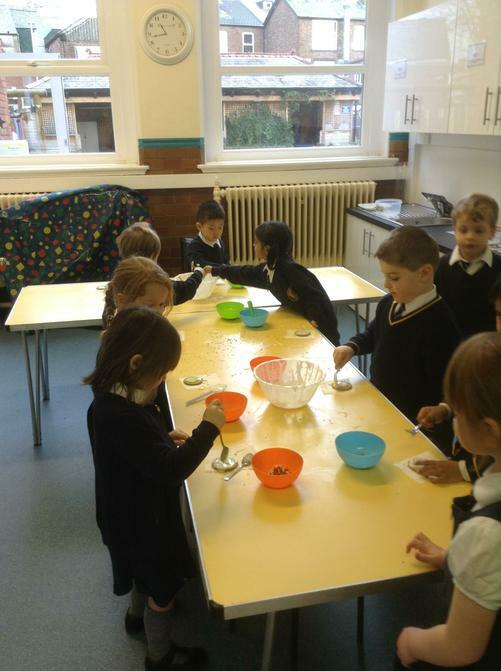 Welcome to Reception Elm's class page! 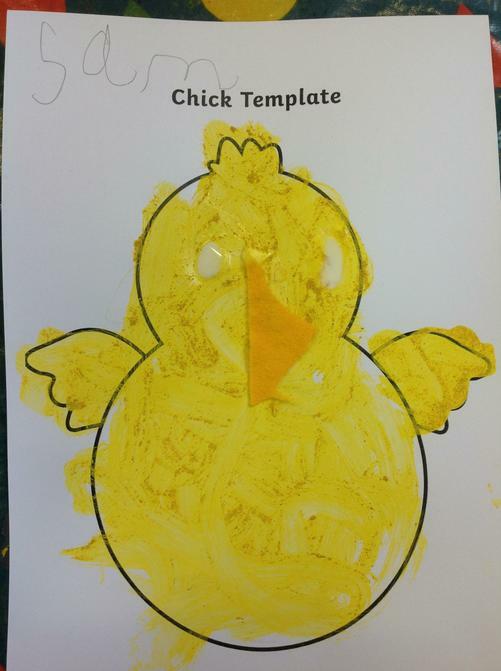 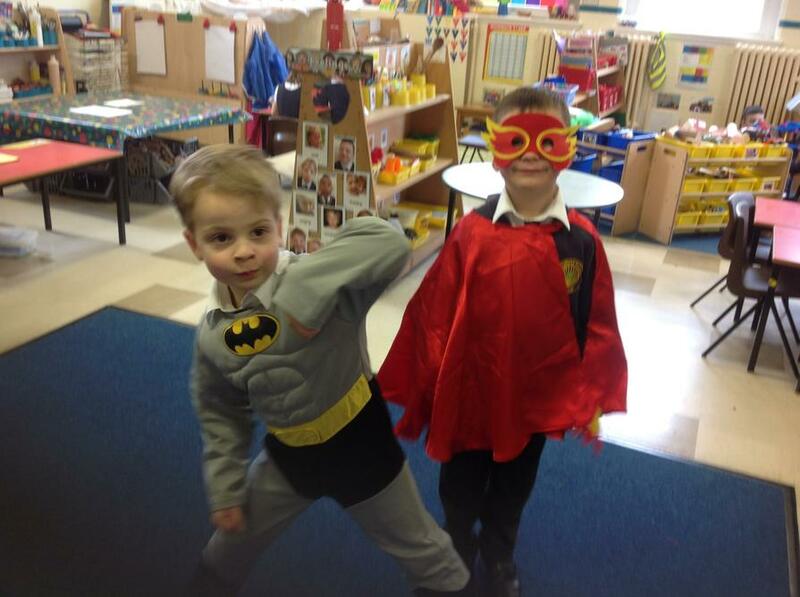 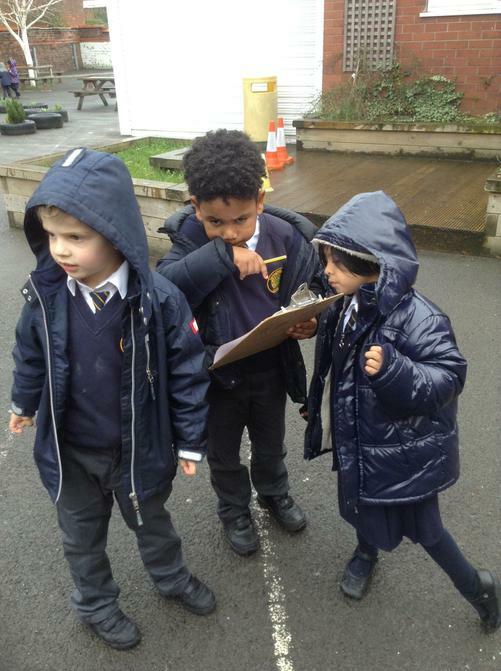 We will be posting lots of photographs, messages and information on this page, to keep you updated on all things taking place in Reception. 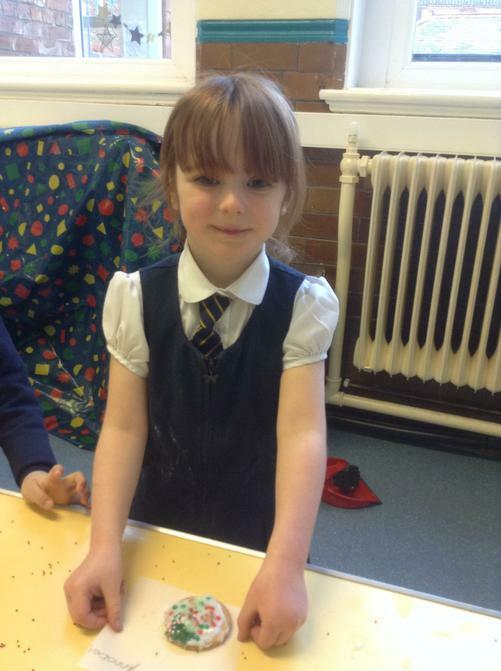 So please keep checking the page regularly for updates. 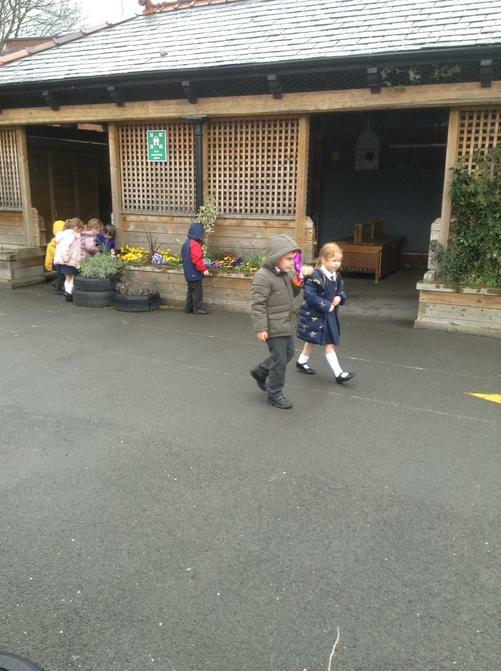 We would like to take this opportunity to welcome you to Reception at Springfield and we look forward to an exciting and successful year together. 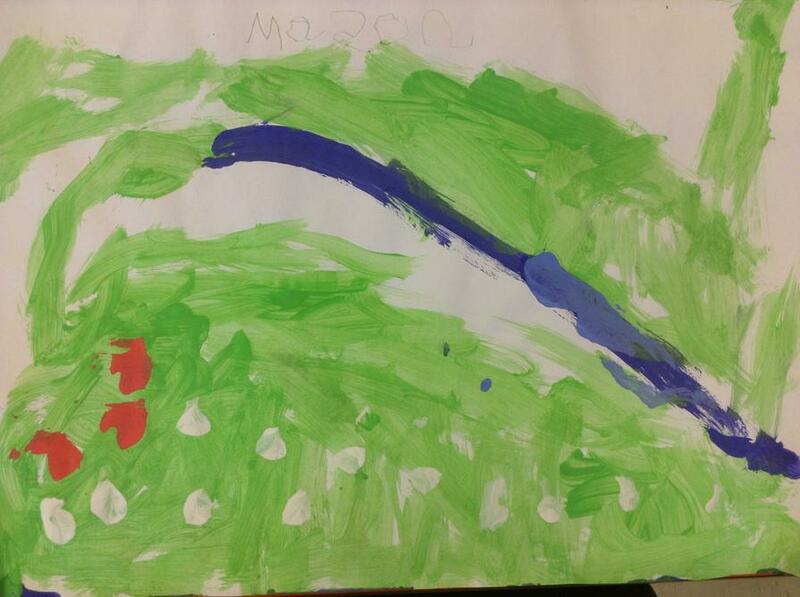 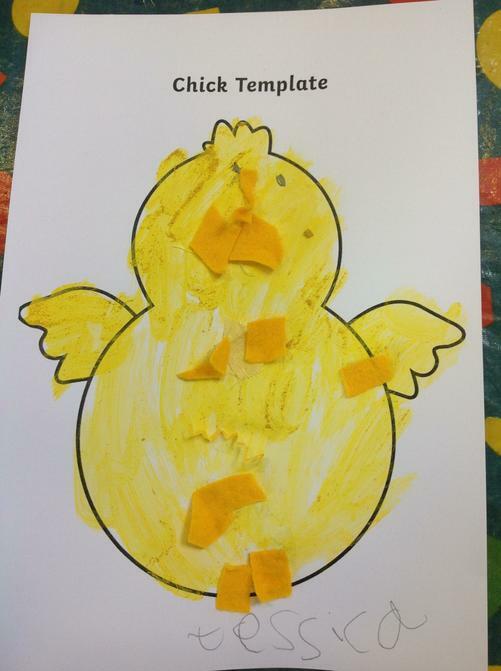 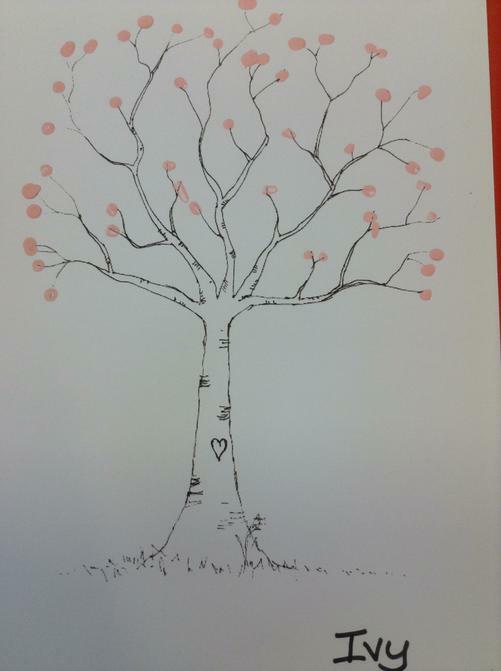 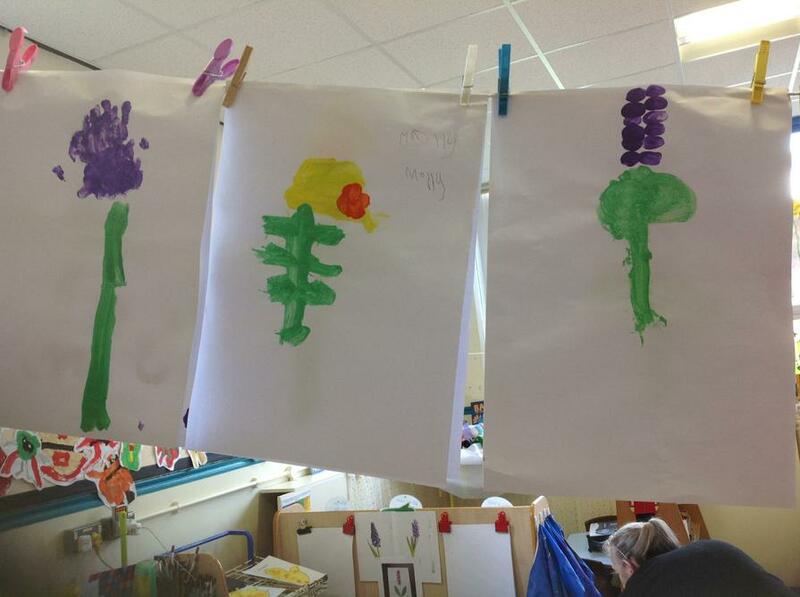 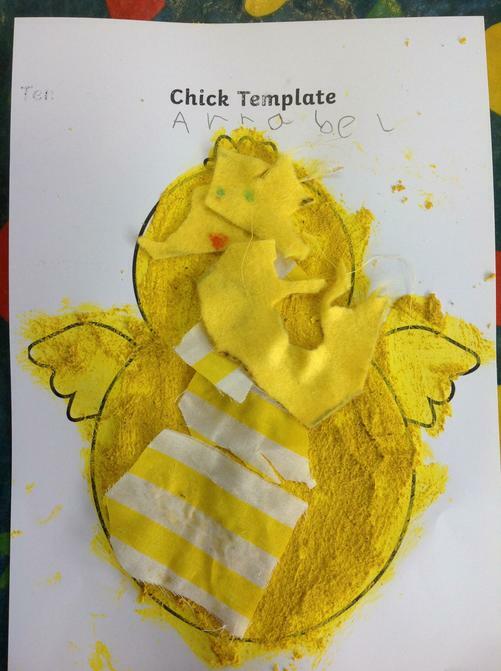 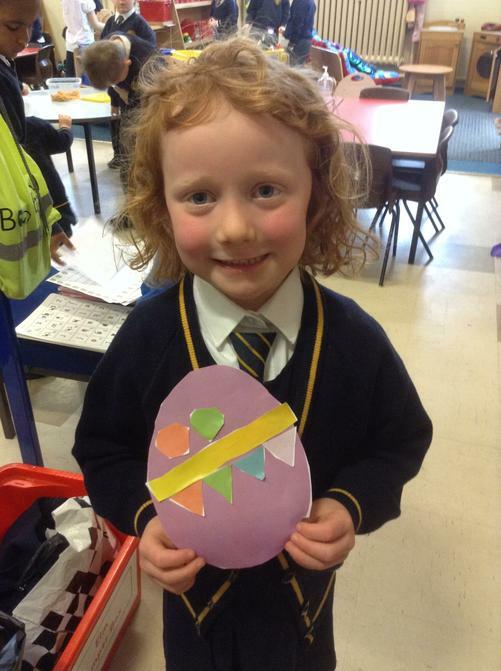 Celebrating Spring, Mothers' Day and getting ready for Easter - so much fun! 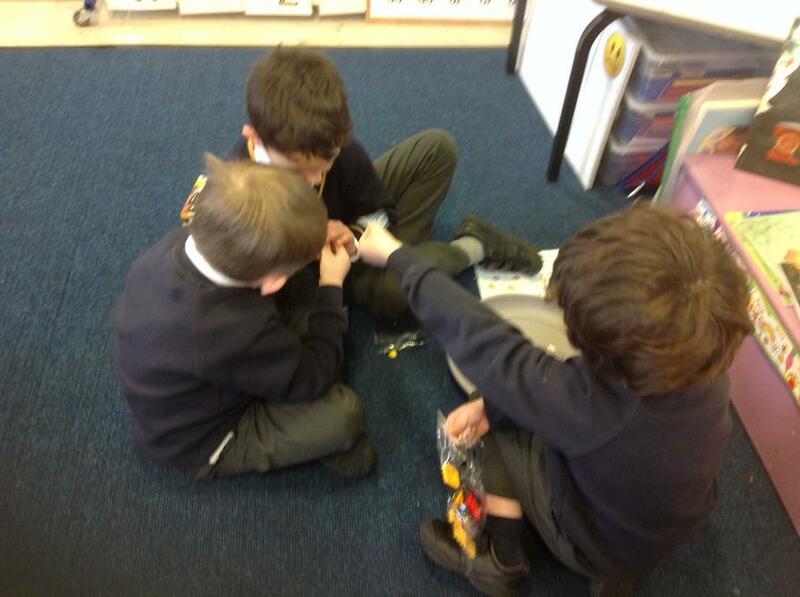 We have been turned into engineers and scientists this week to solve a problem. 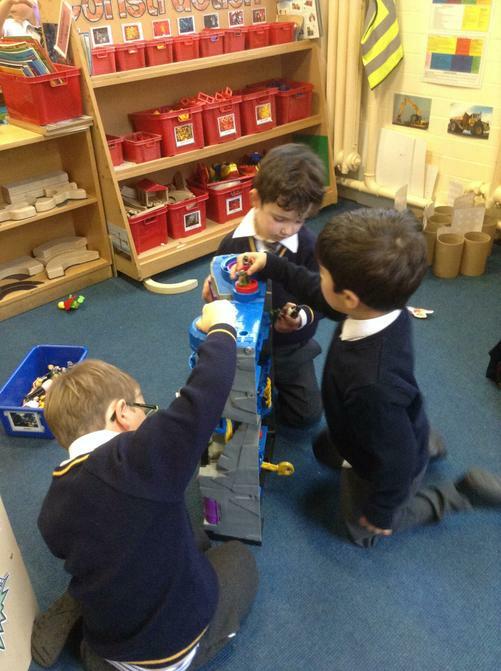 We had to help the Three Billy Goats Gruff; they needed a new bridge to escape the troll and it needed to be strong to carry the 3 goats. 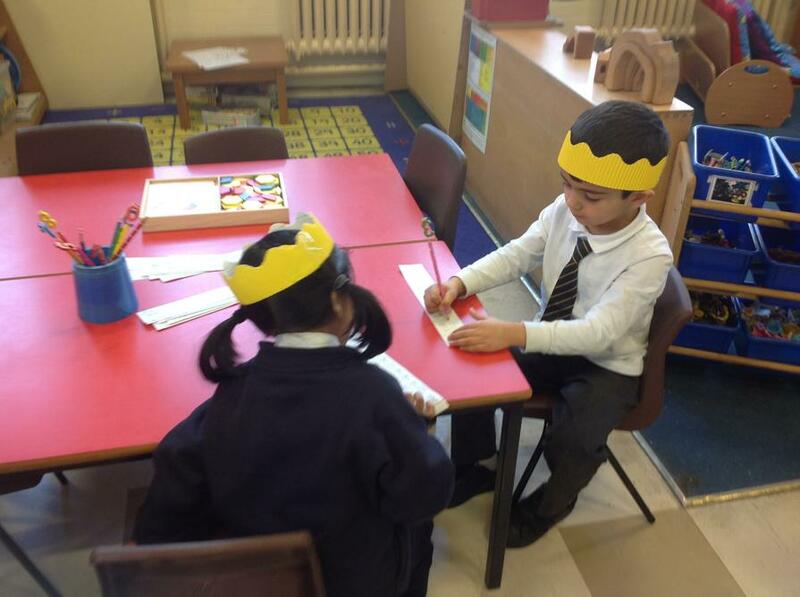 We have also enjoyed retelling the story and acting it out.Thank you for all your help and support with resources and for discussing this with your children. 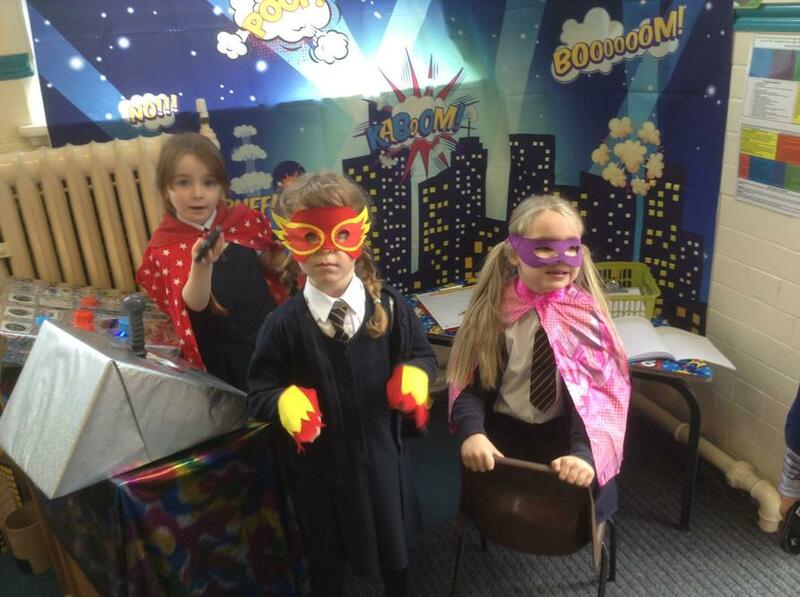 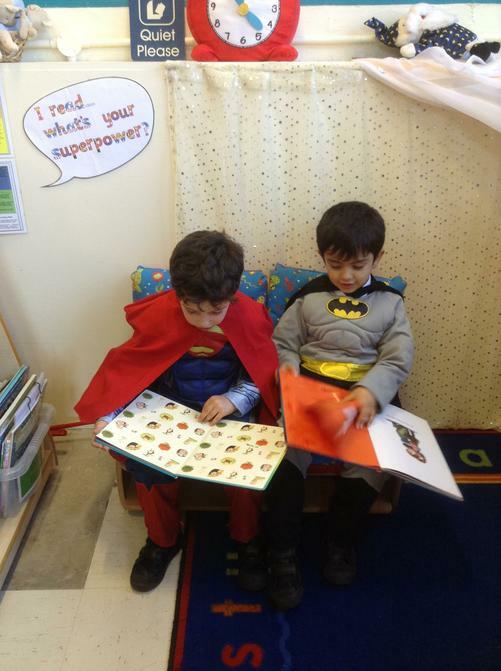 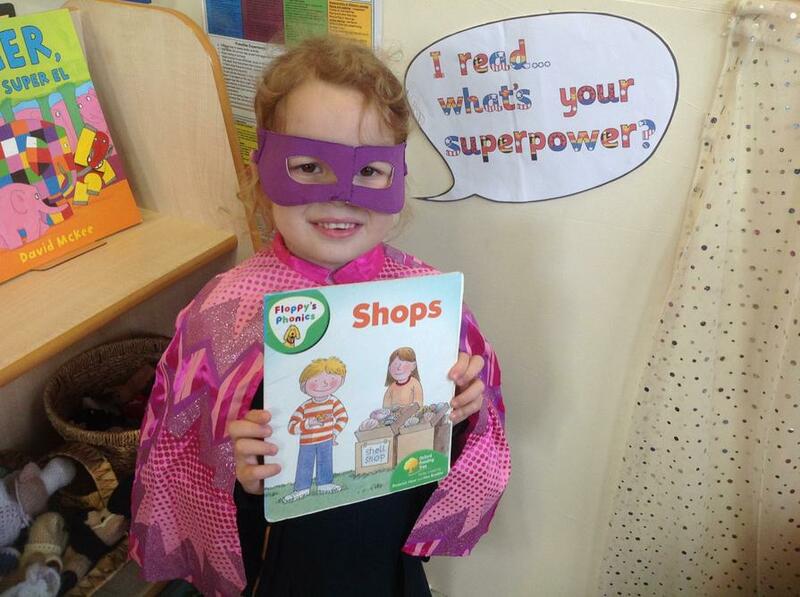 World Book Day - don't forget to use your £1 voucher! 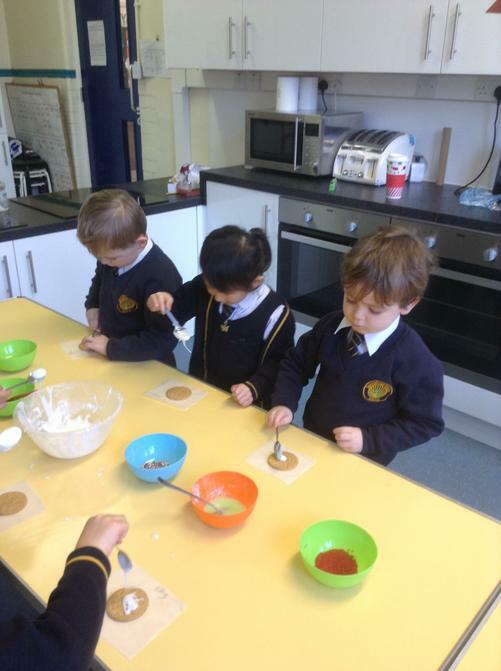 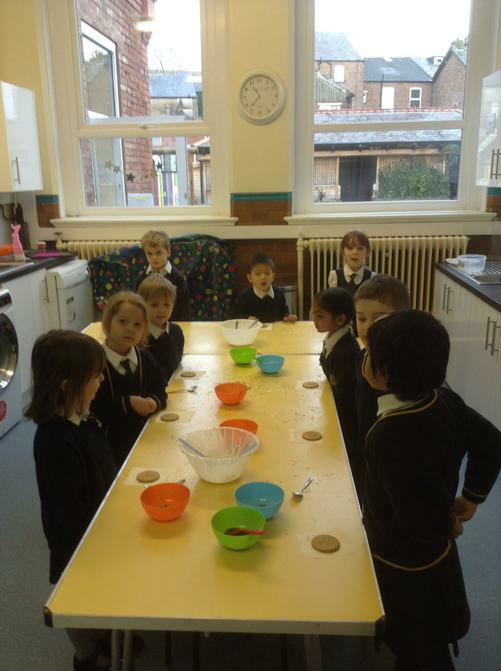 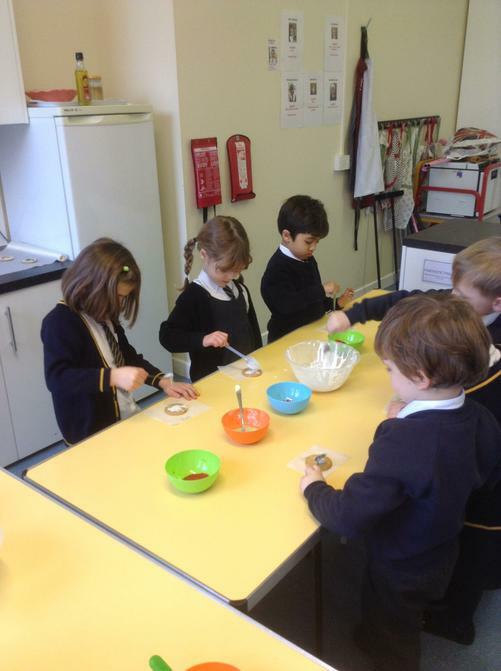 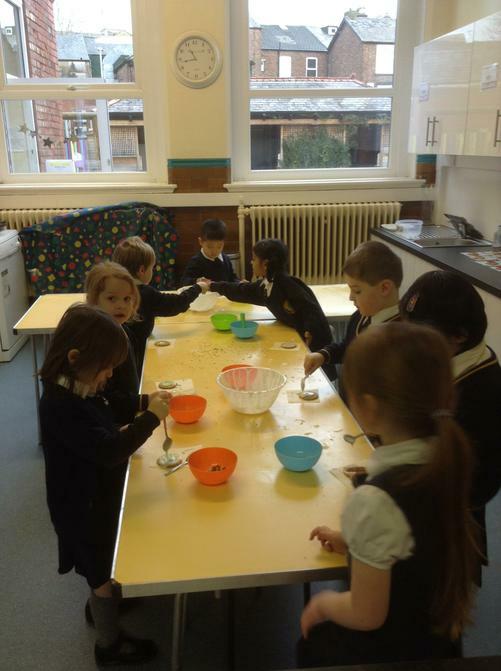 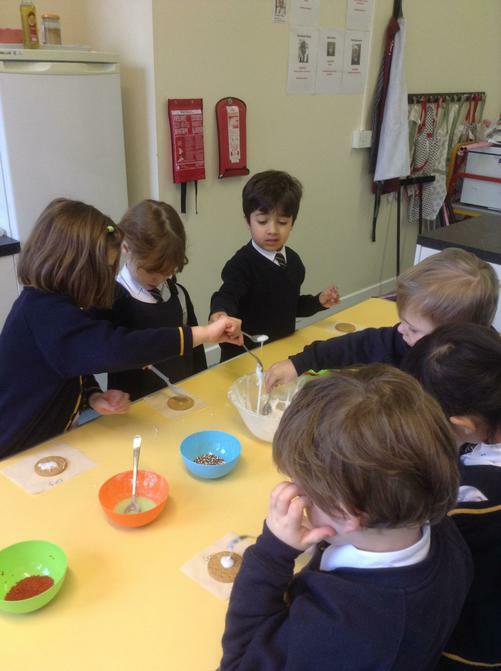 Pancake Day - Watch out for Mr Wolf! 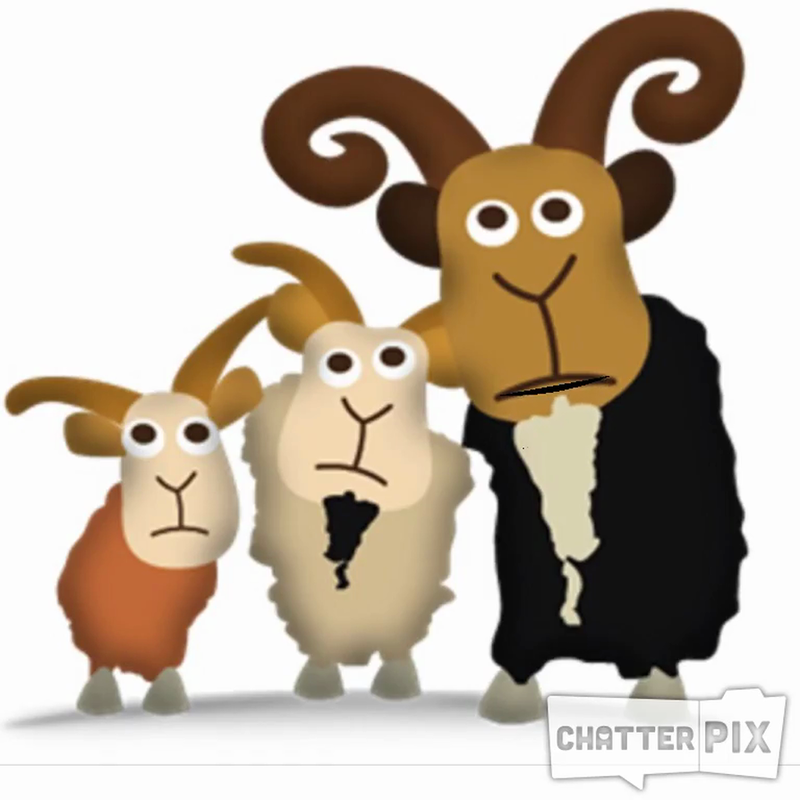 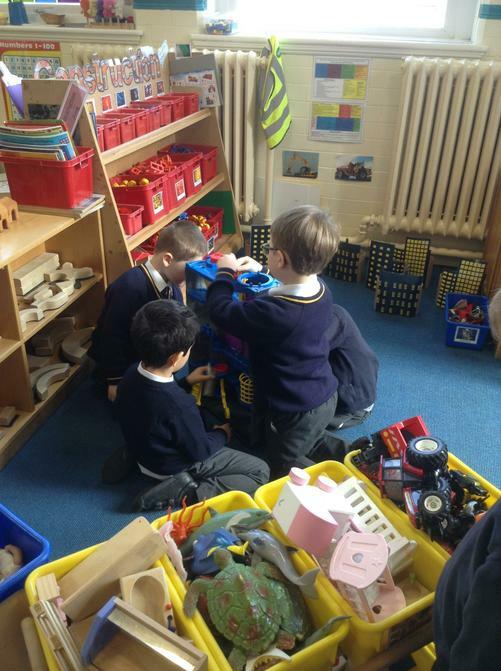 A very busy parent drop in. 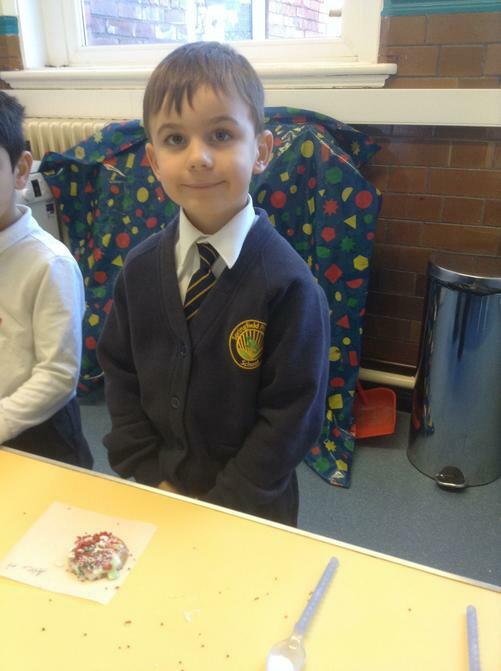 Thank you to all the parents that were able to attend. 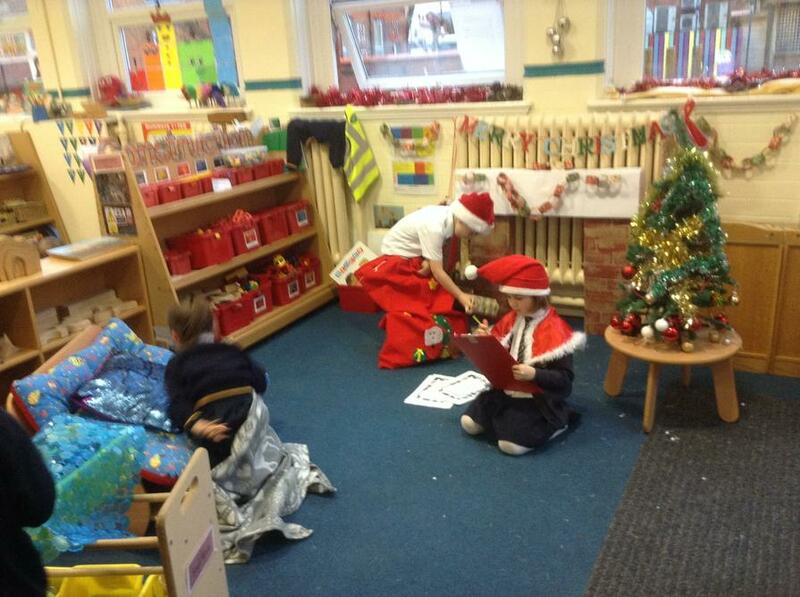 We hope you enjoyed the activities and the opportunity to catch up with the staff. 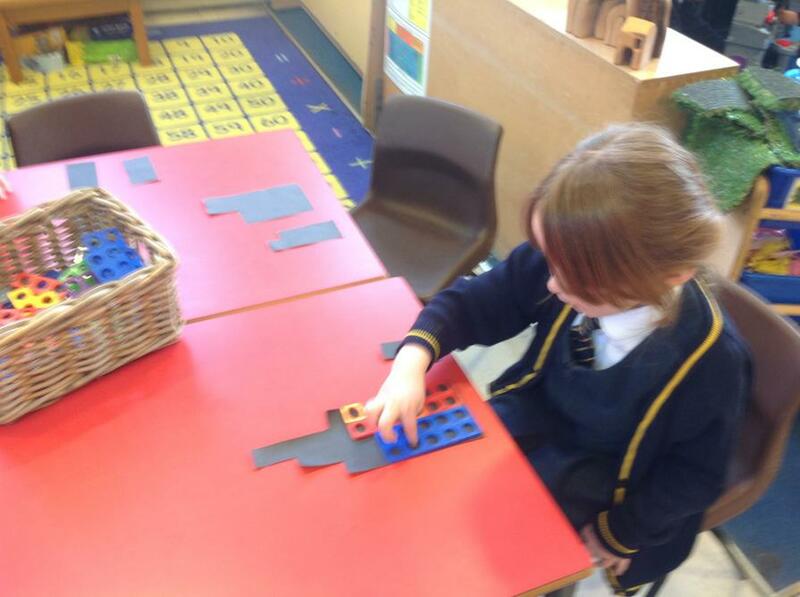 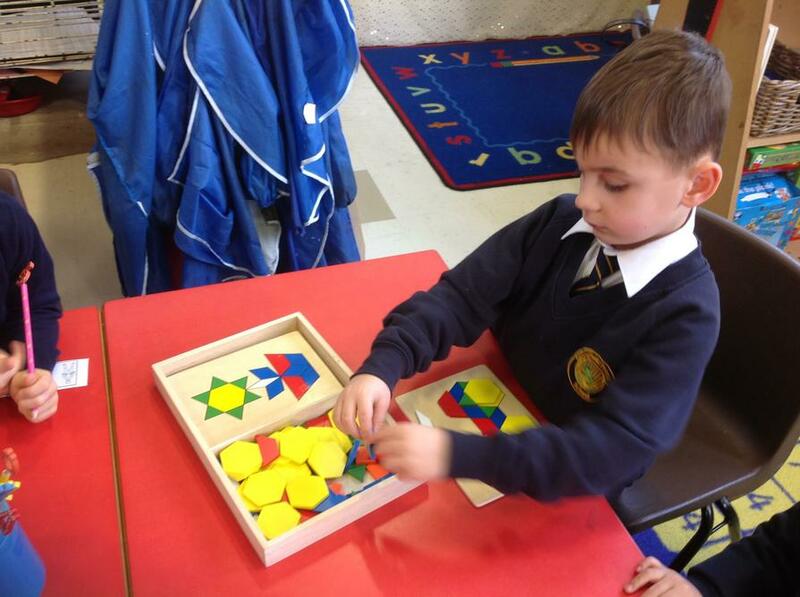 Enjoy the packs and use them to explore number and maths with your child. 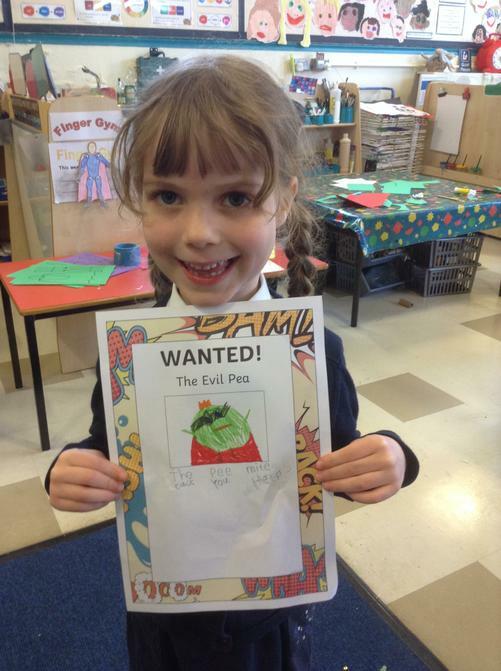 The peas are on the loose, some vegetables are frozen for a reason! 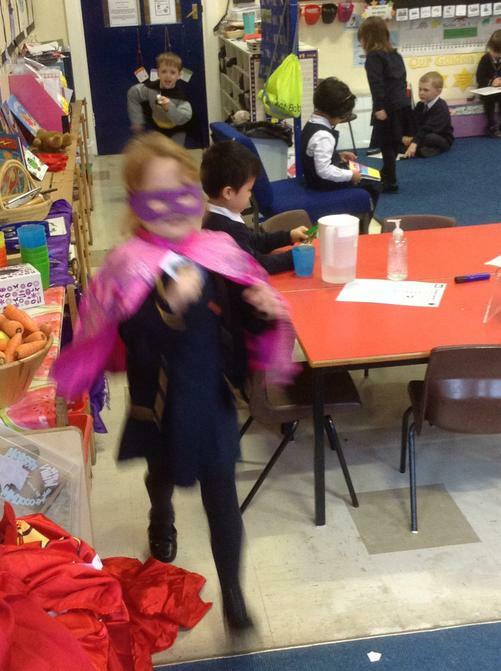 Supertato to the rescue! 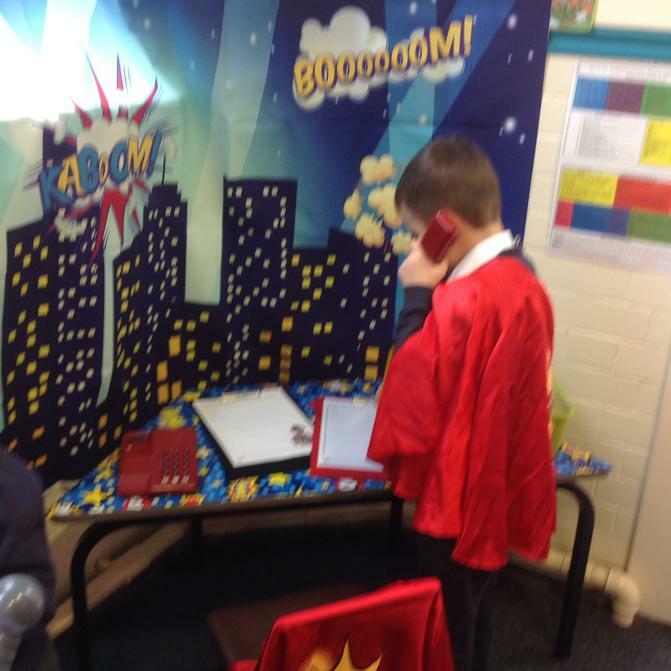 We have an emergency! 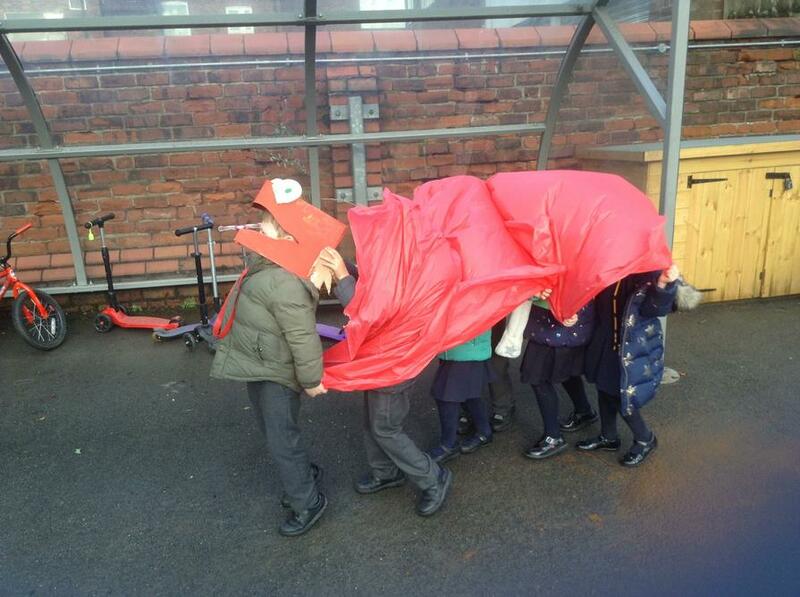 Some of our explorers are trapped in the ice! 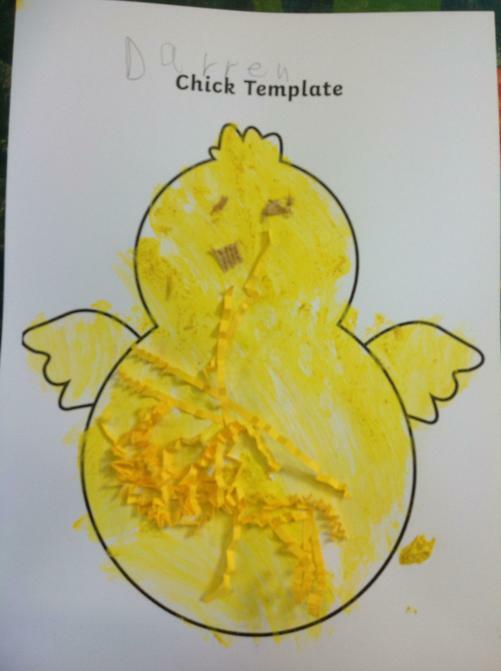 We must help them. 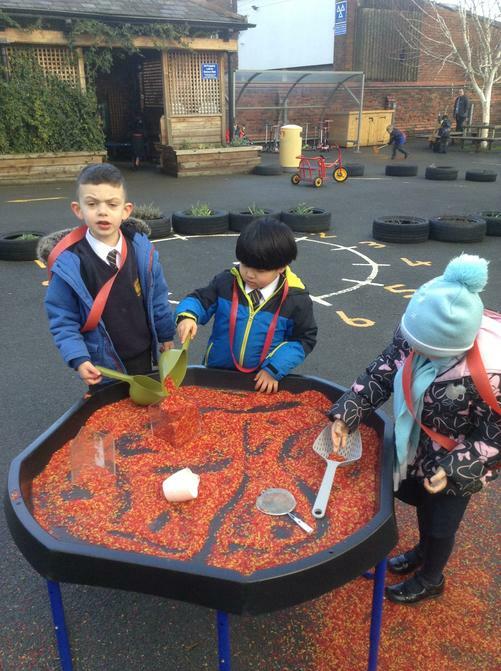 How can we get them out of the ice? 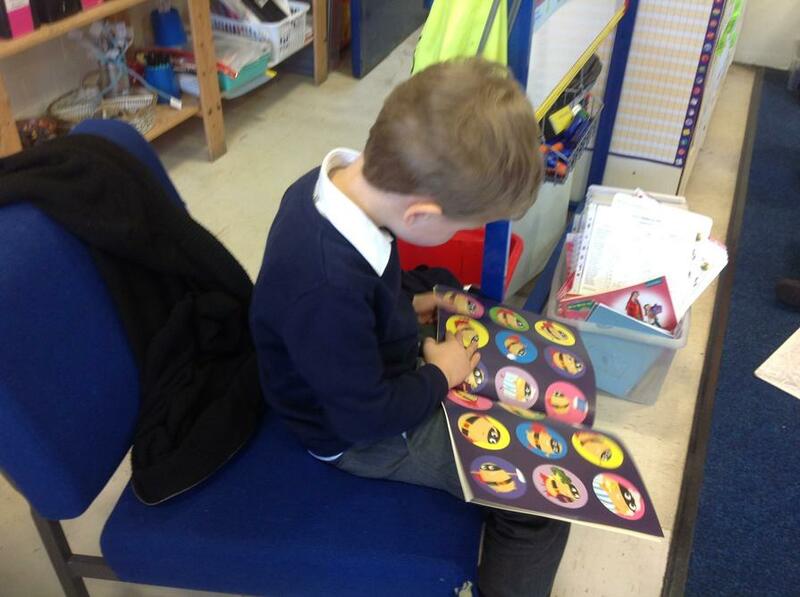 Some children have brought home a reading book for the first time this week. 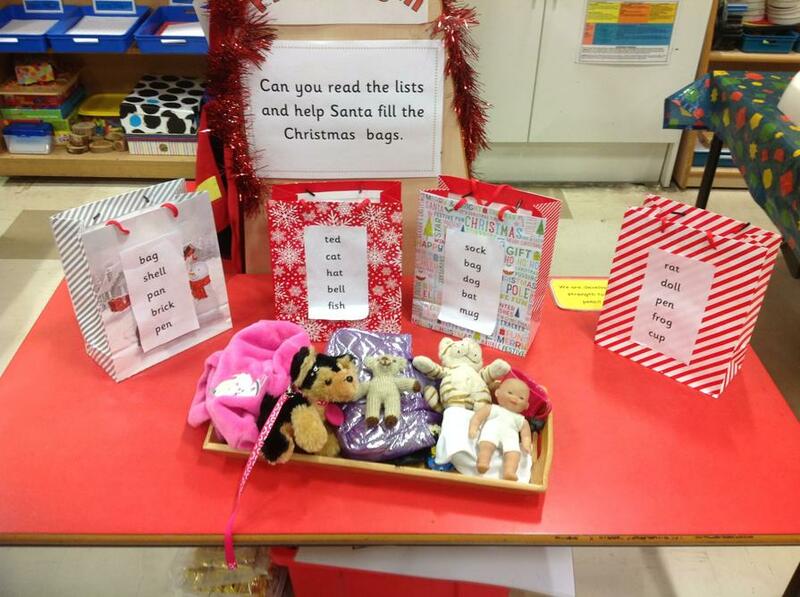 Enjoy reading with your child and read the letter within the book bag for more information. 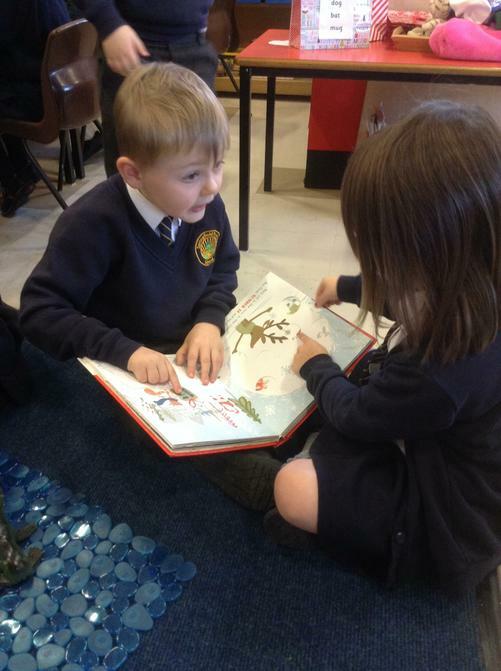 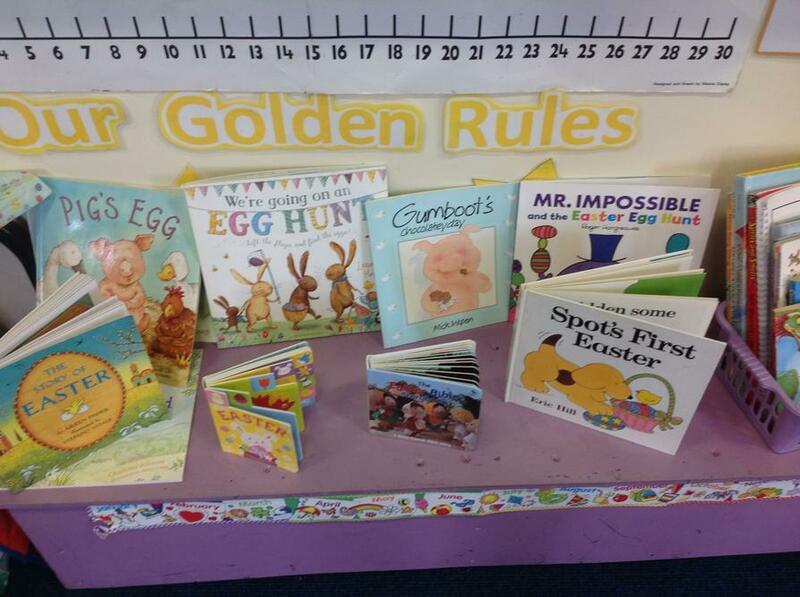 If your child has not received a reading book please continue to practise the green words, blending the sounds together to read and encouraging your child to read it independently. 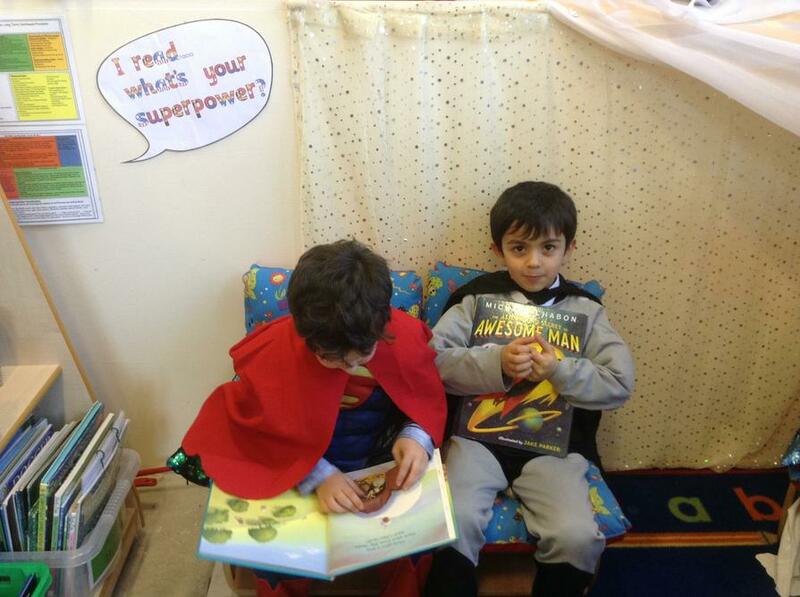 All children are on their own unique reading journey and all the support you can give them at this stage is so important. 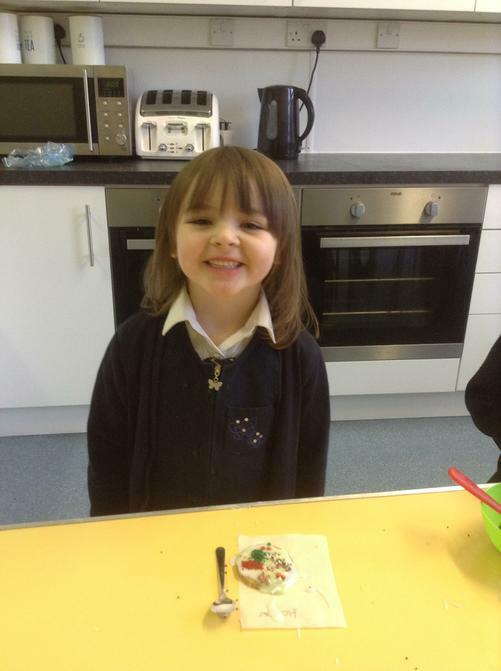 Thank you for your continued support. 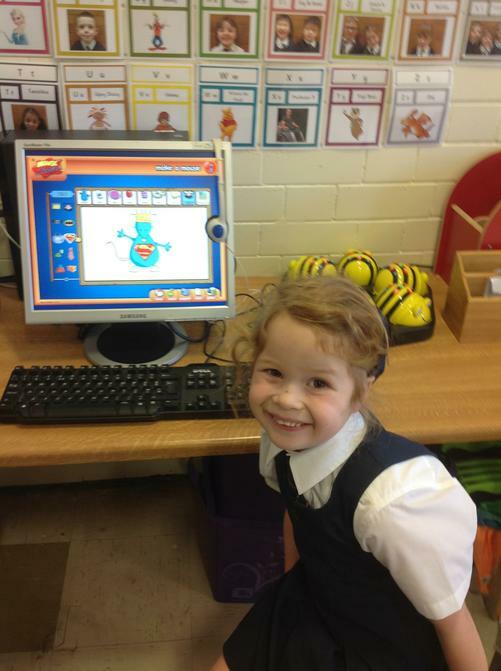 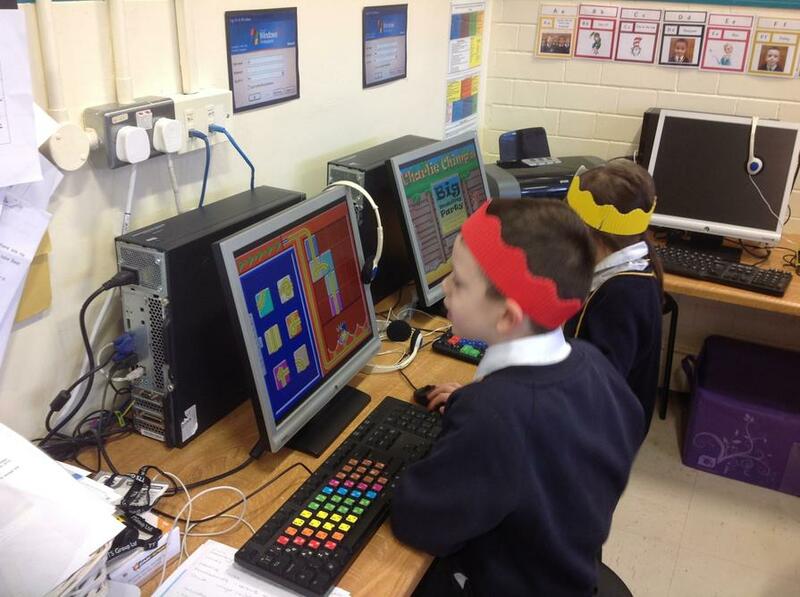 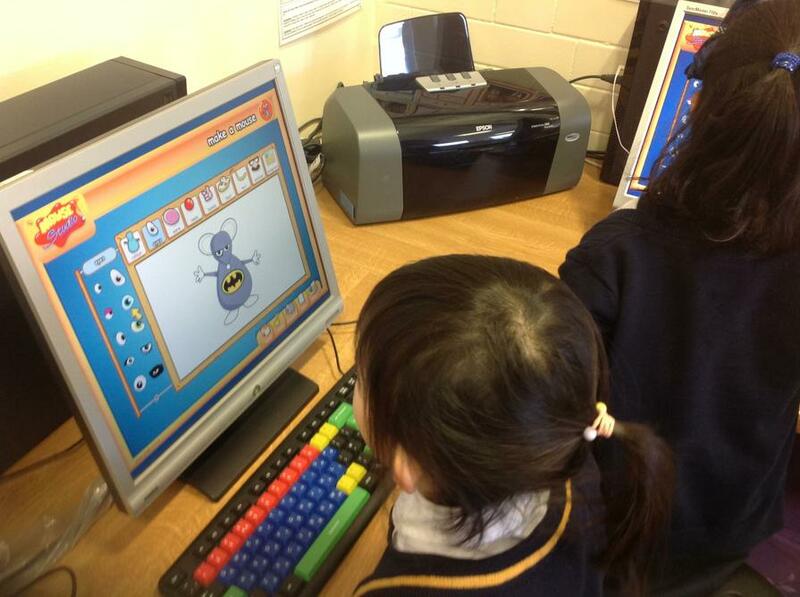 At Springfield we care learn and achieve together. 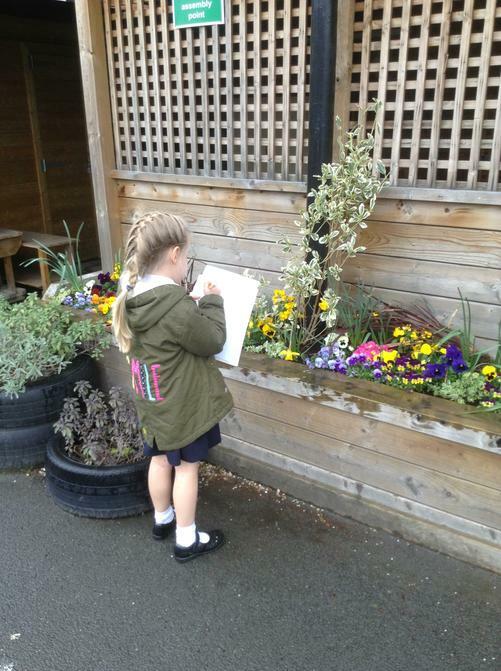 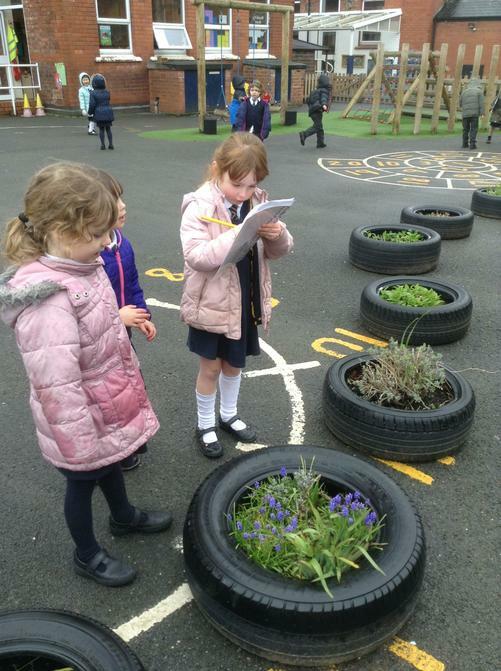 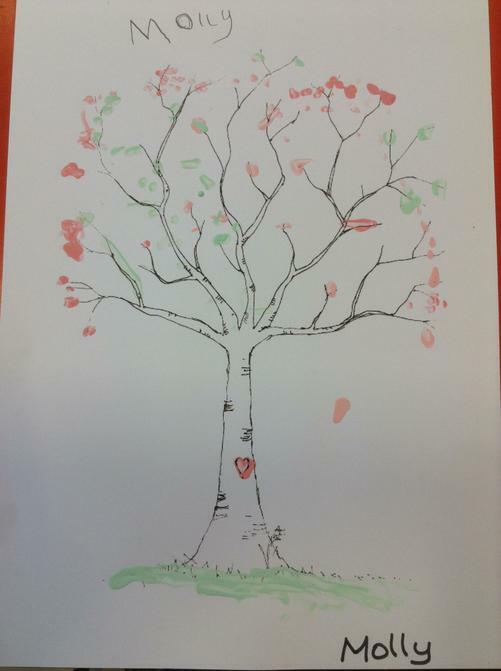 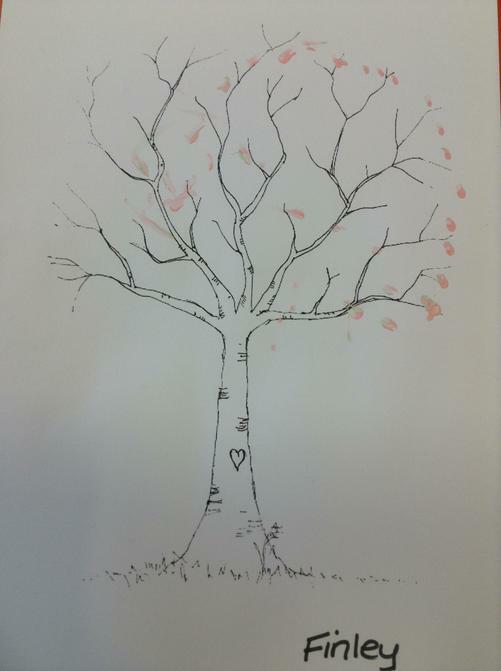 We have been exploring our new ‘Springfield Values’. 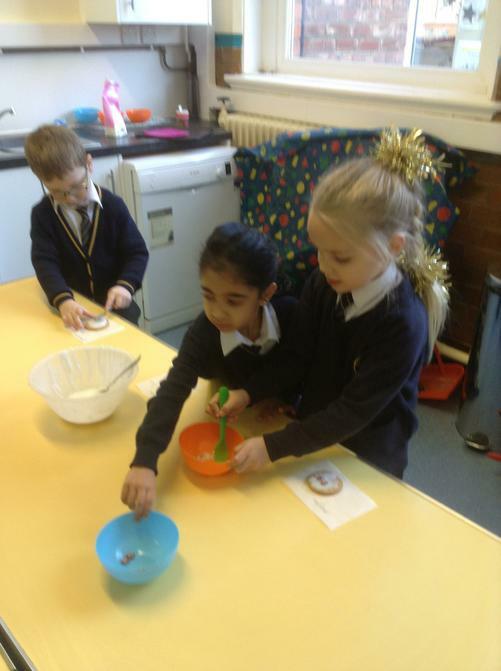 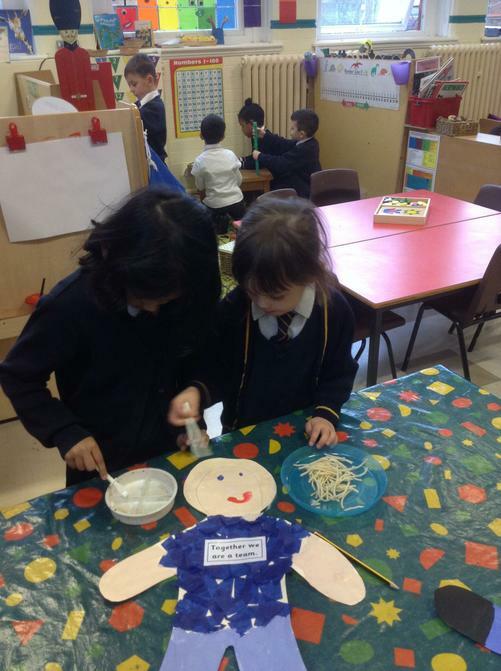 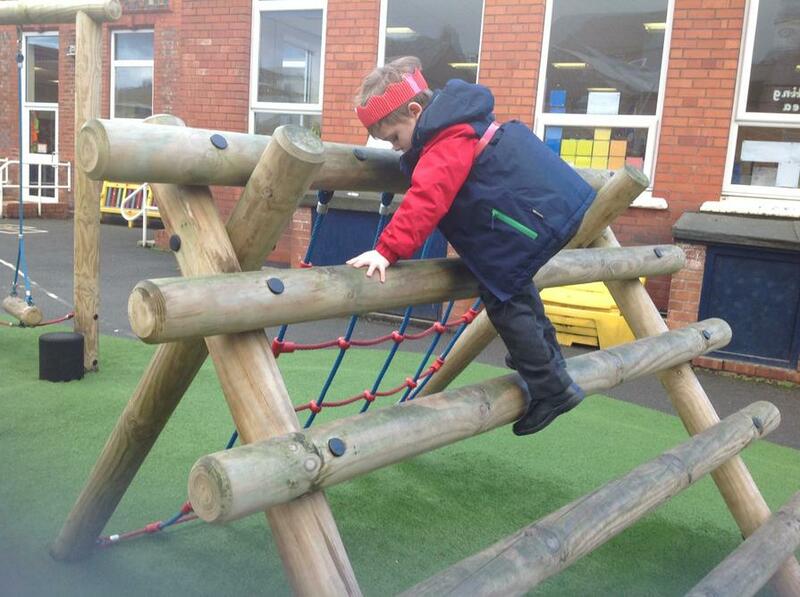 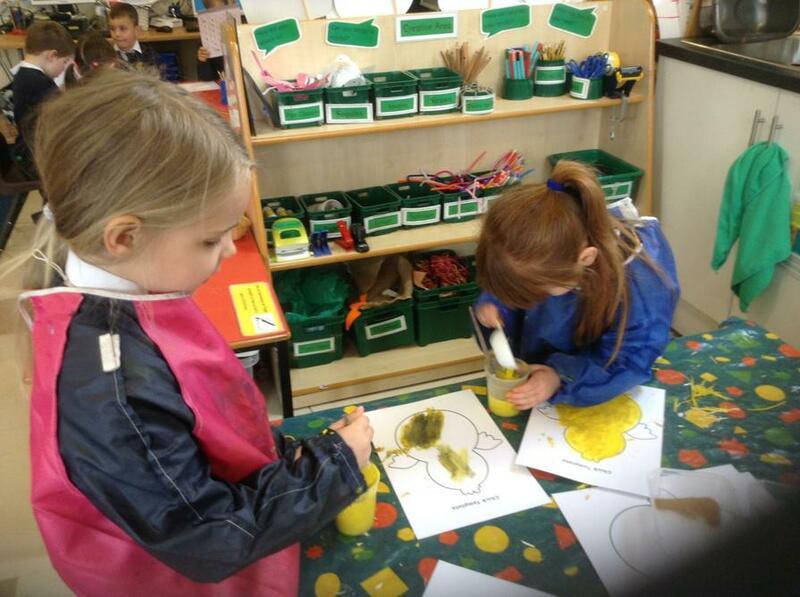 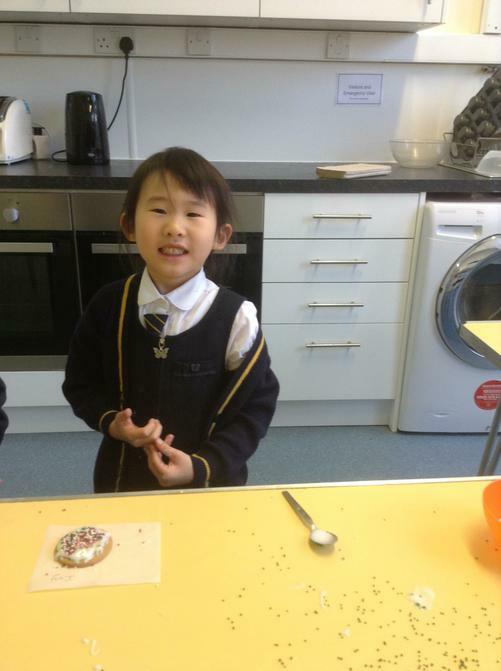 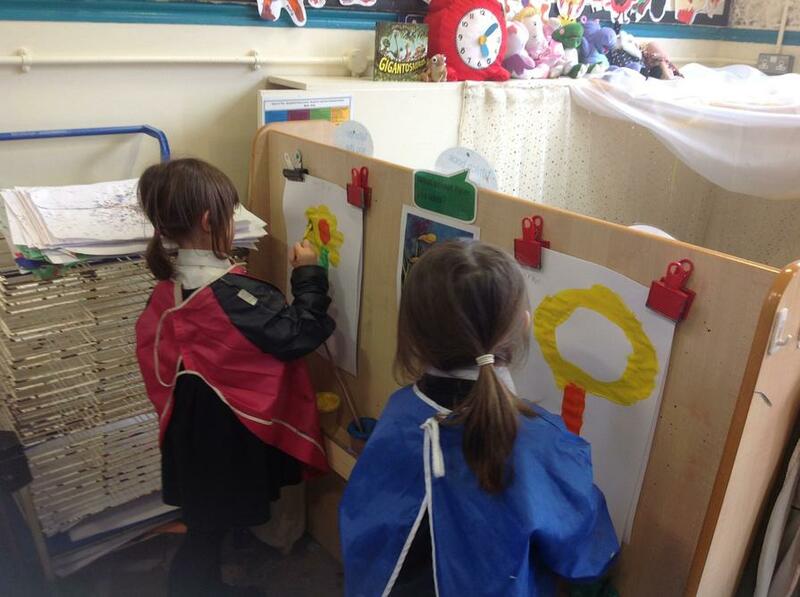 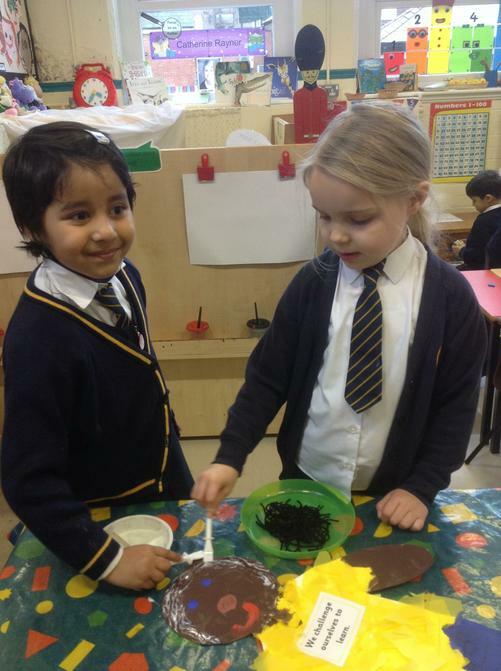 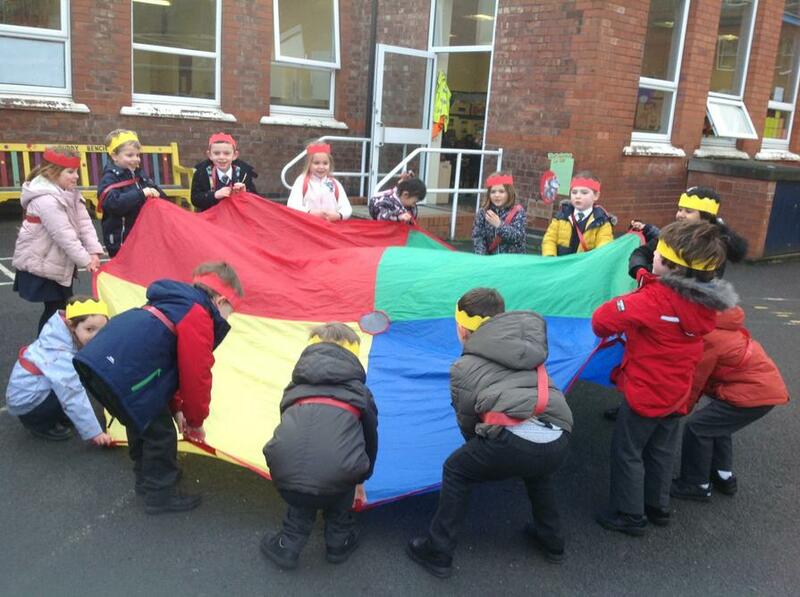 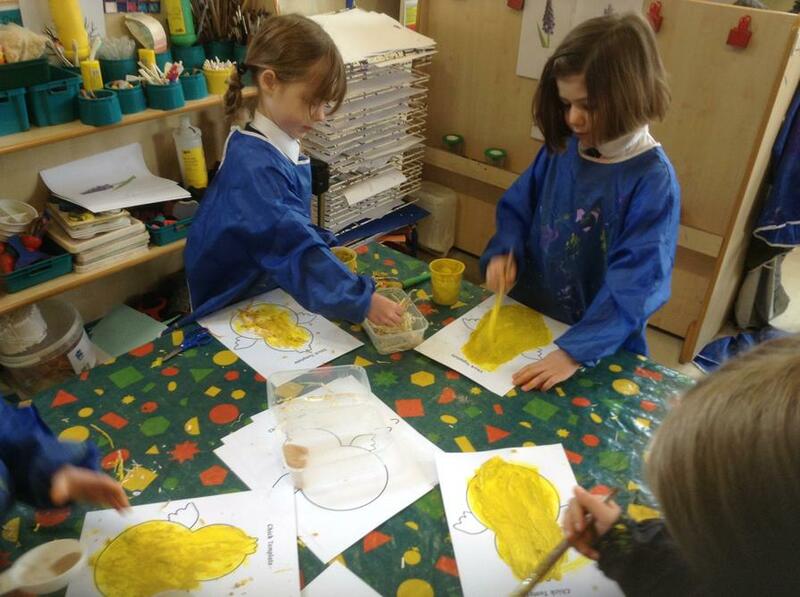 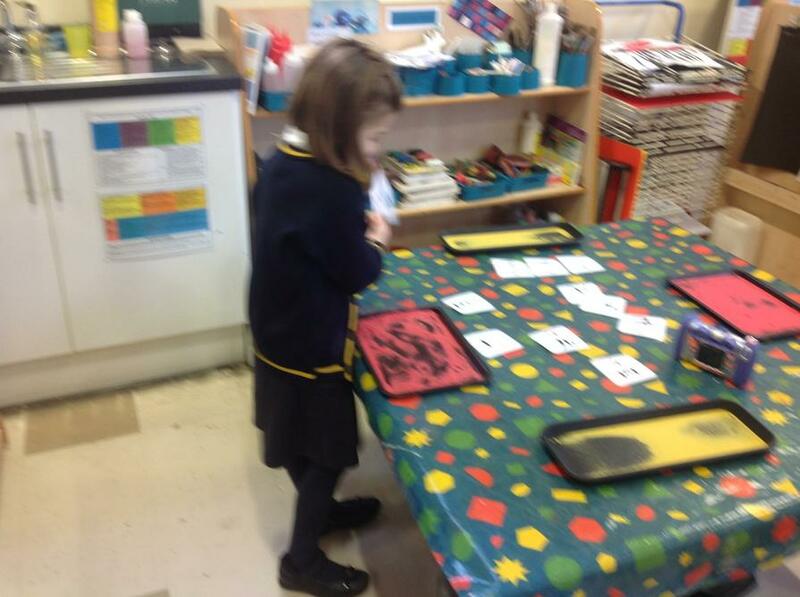 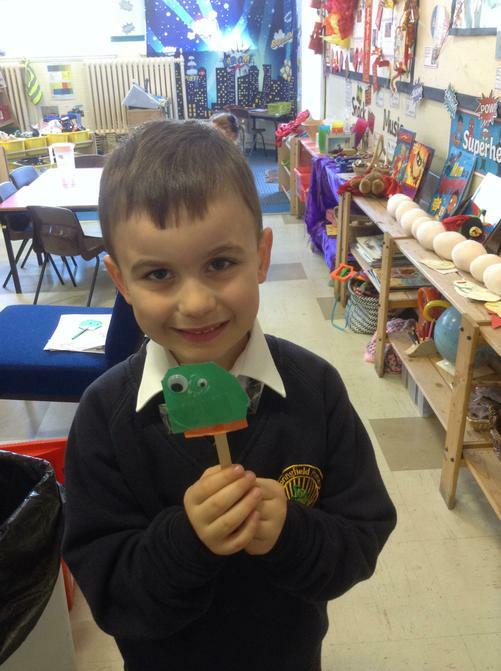 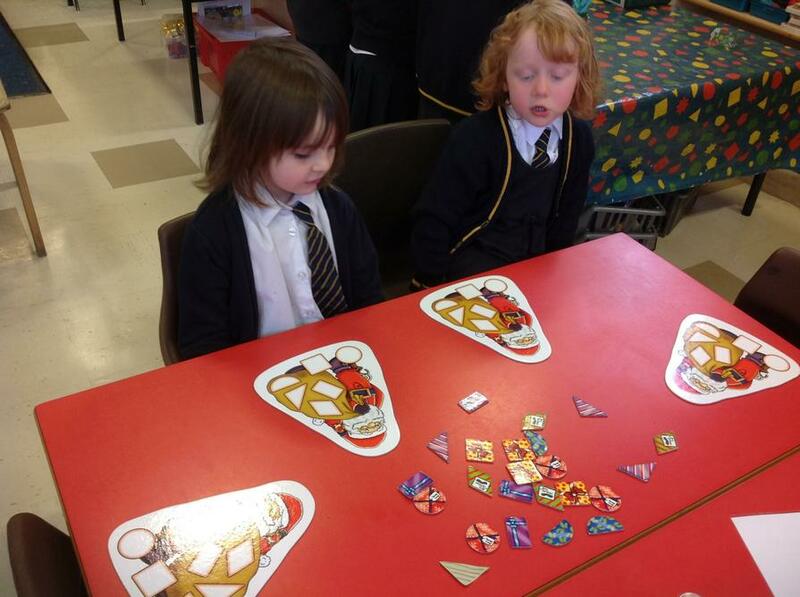 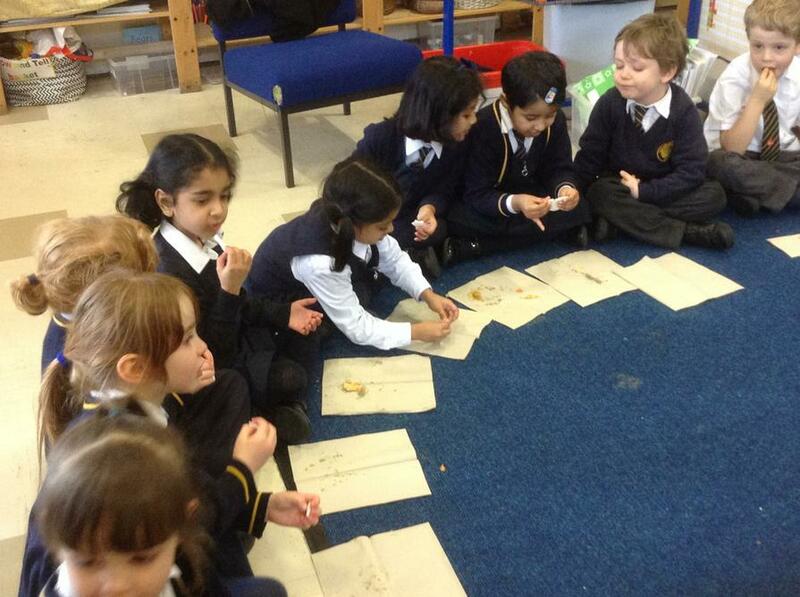 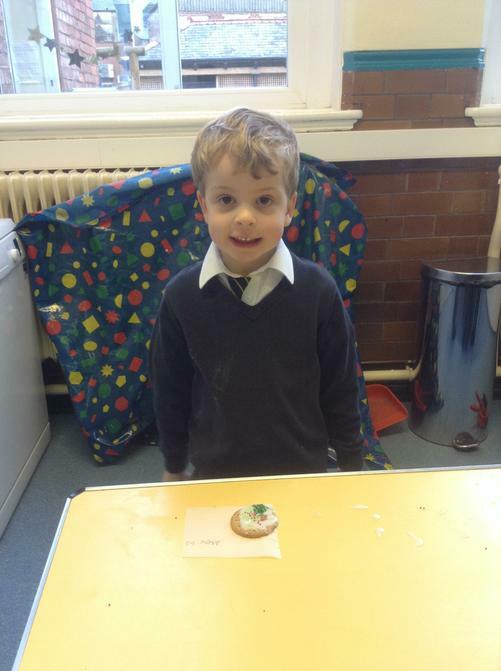 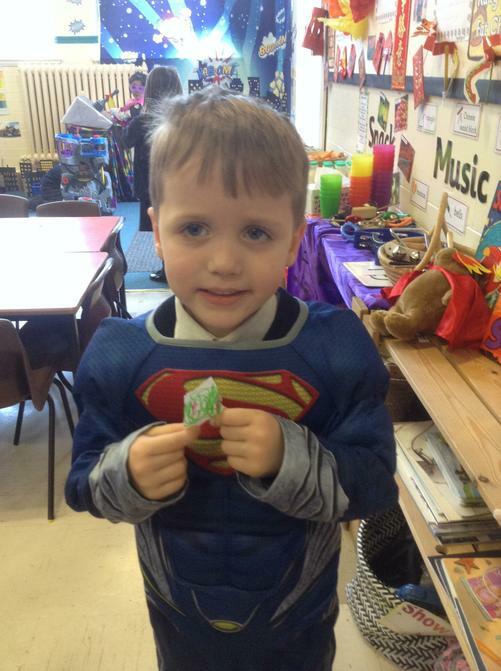 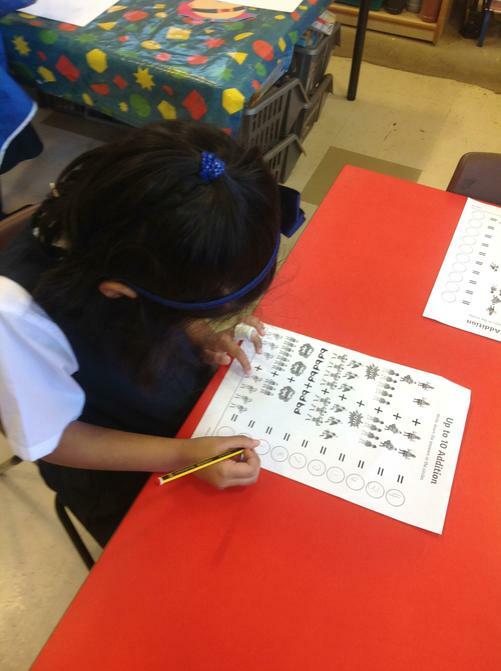 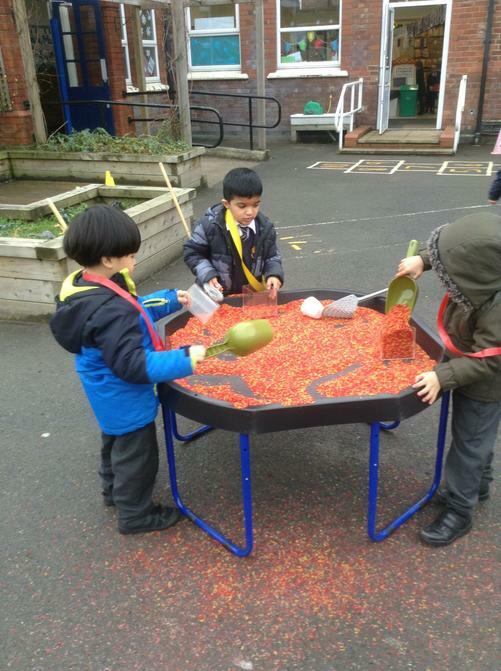 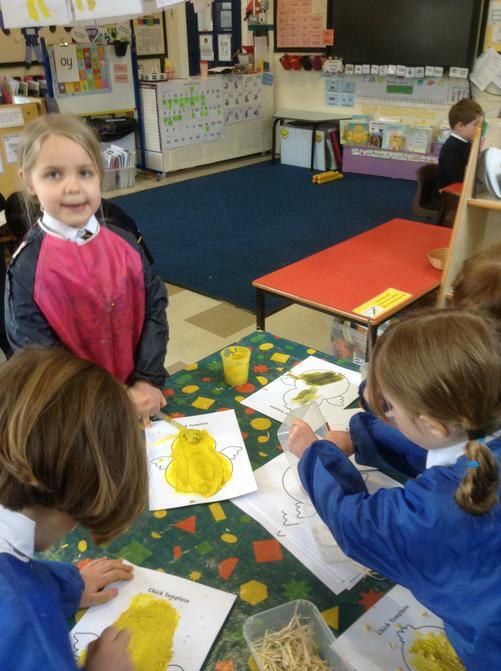 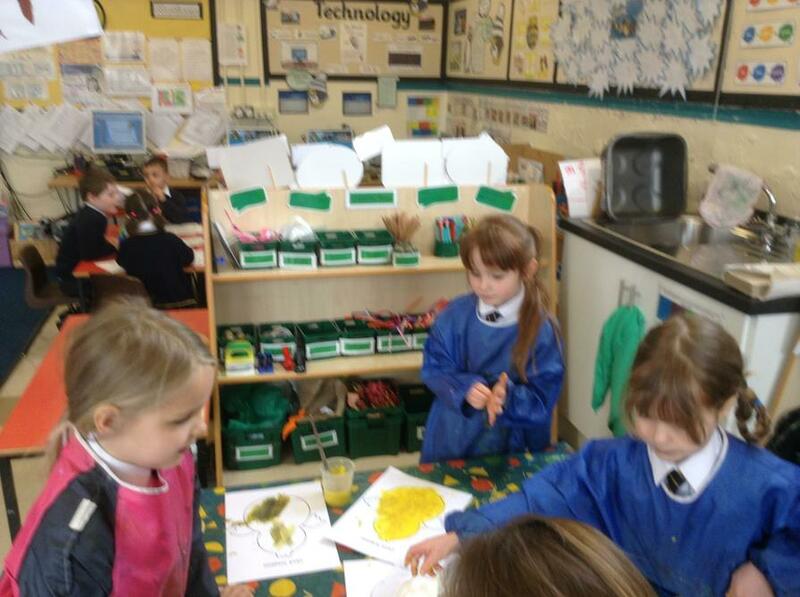 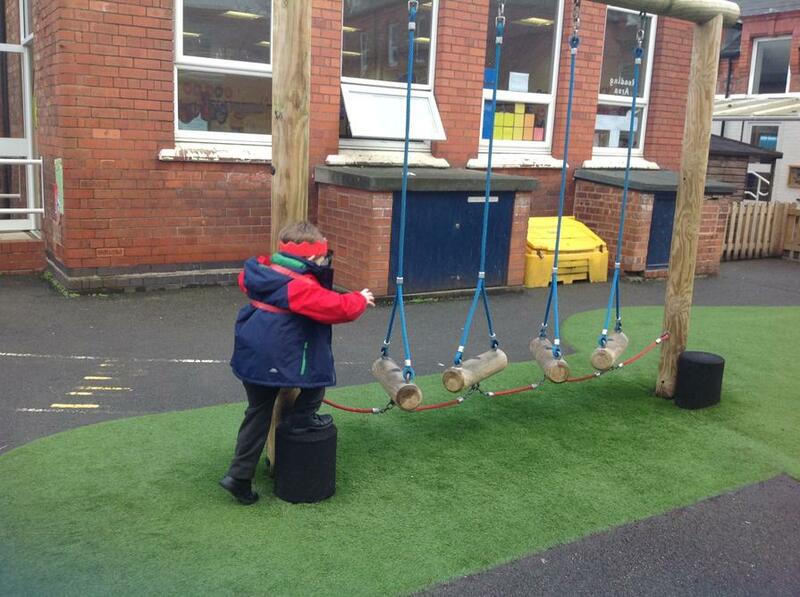 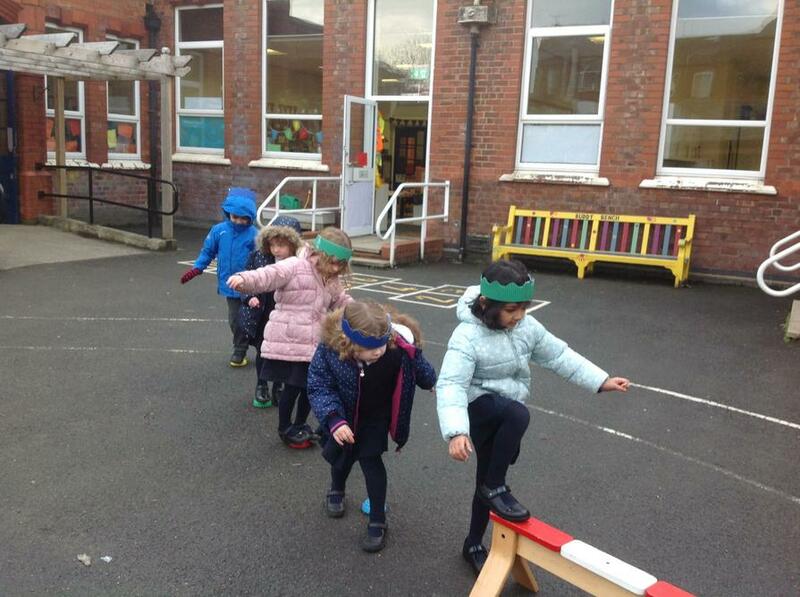 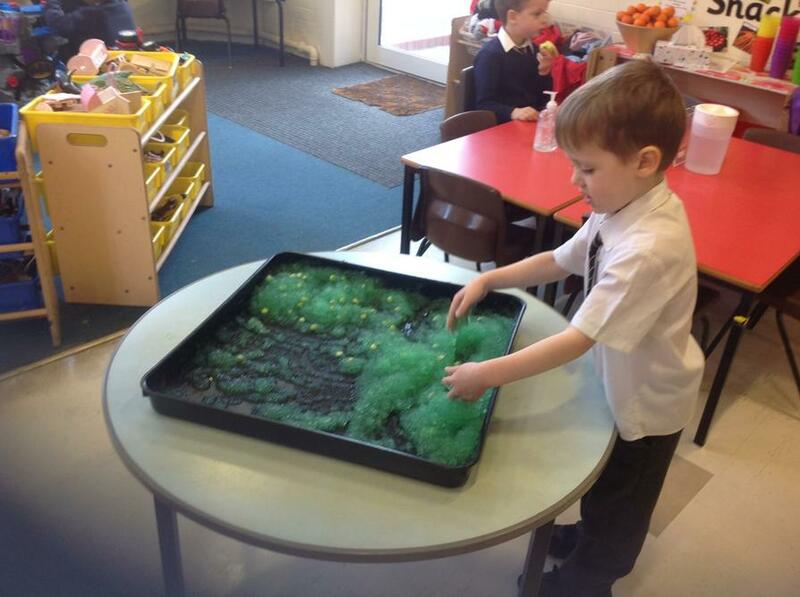 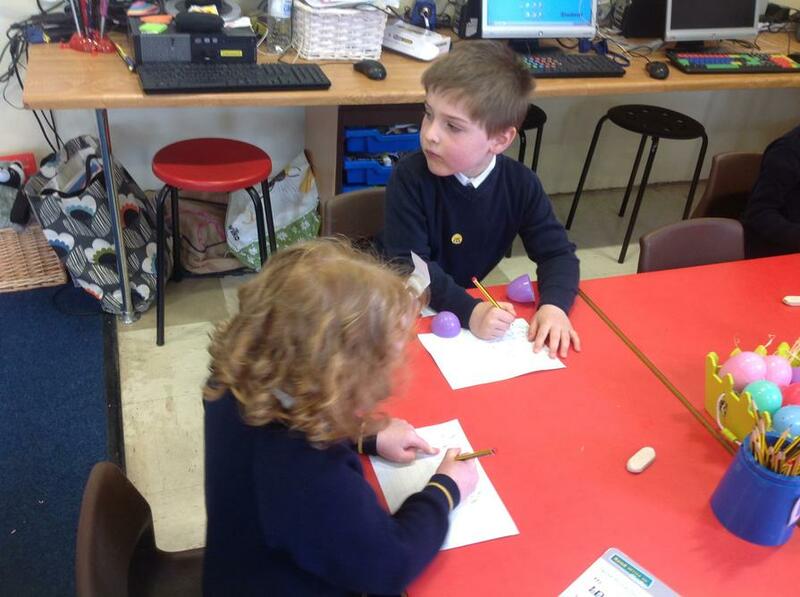 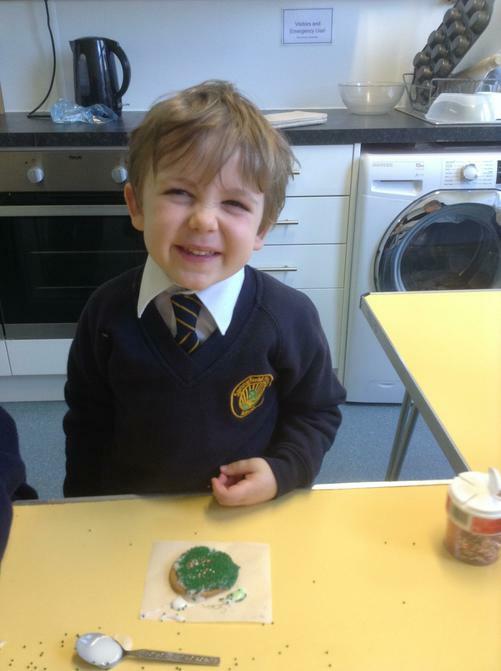 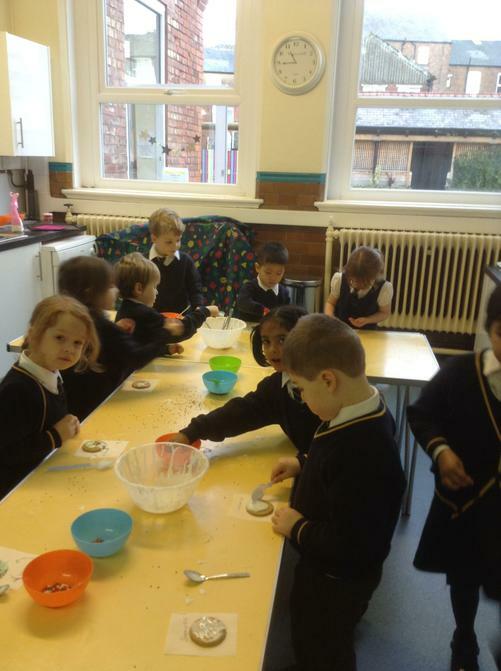 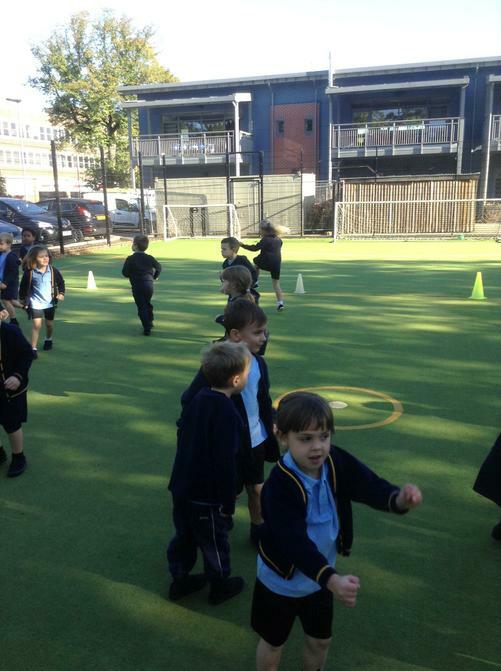 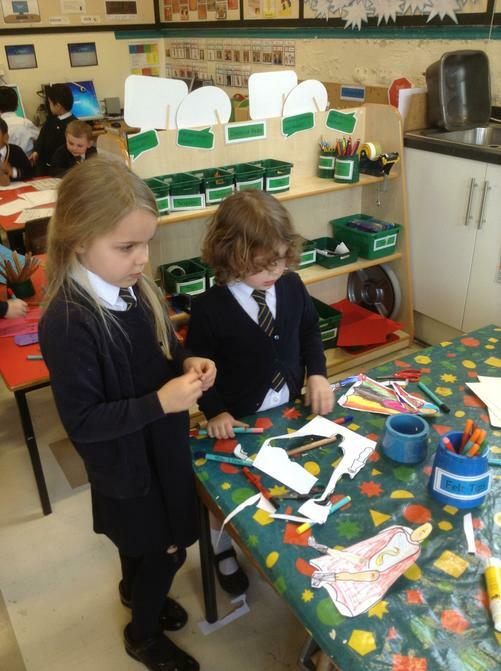 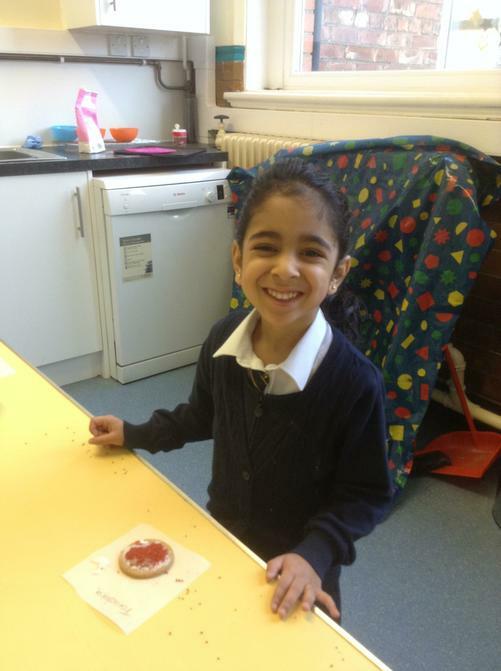 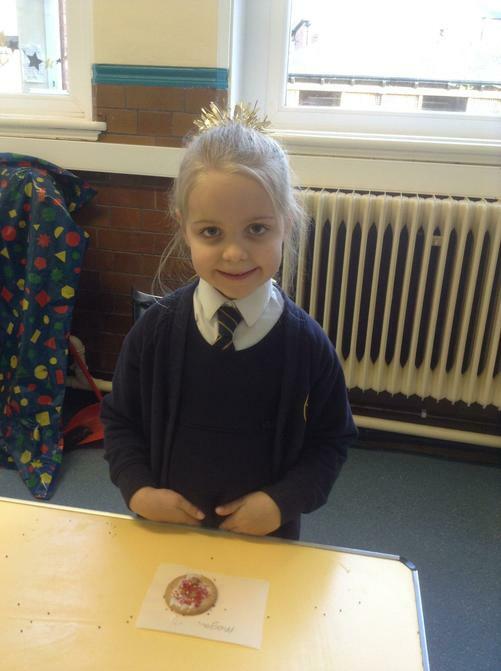 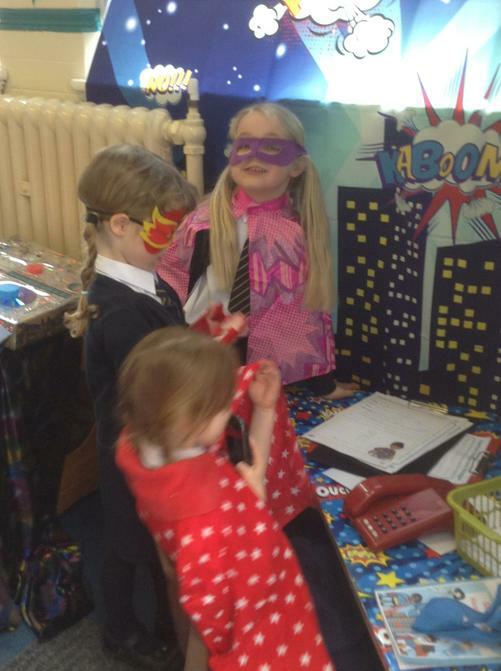 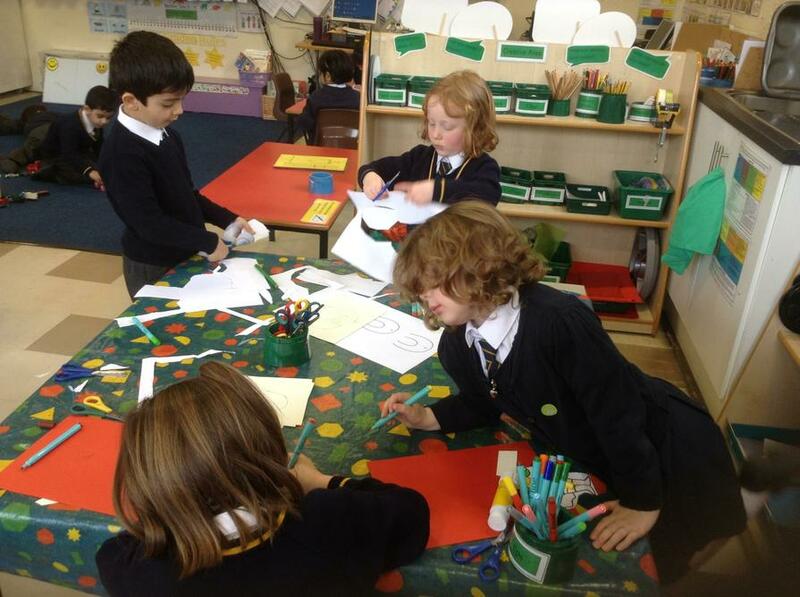 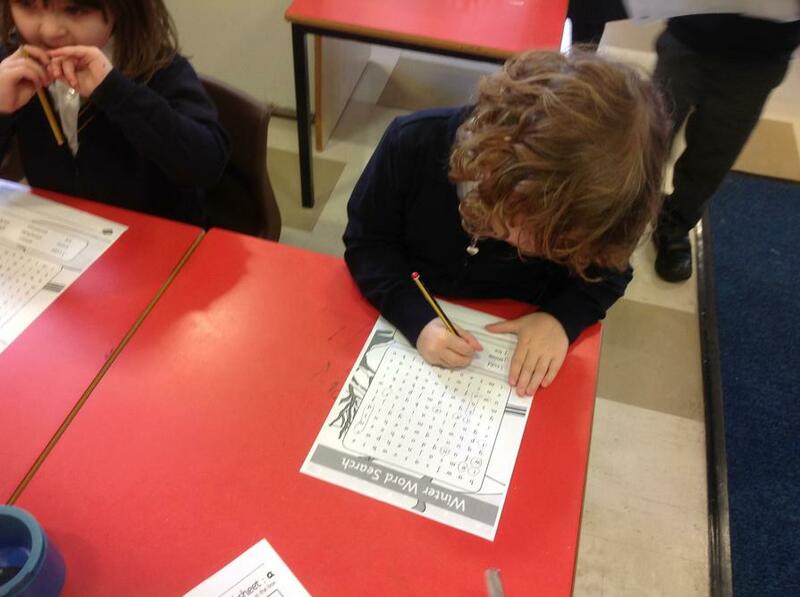 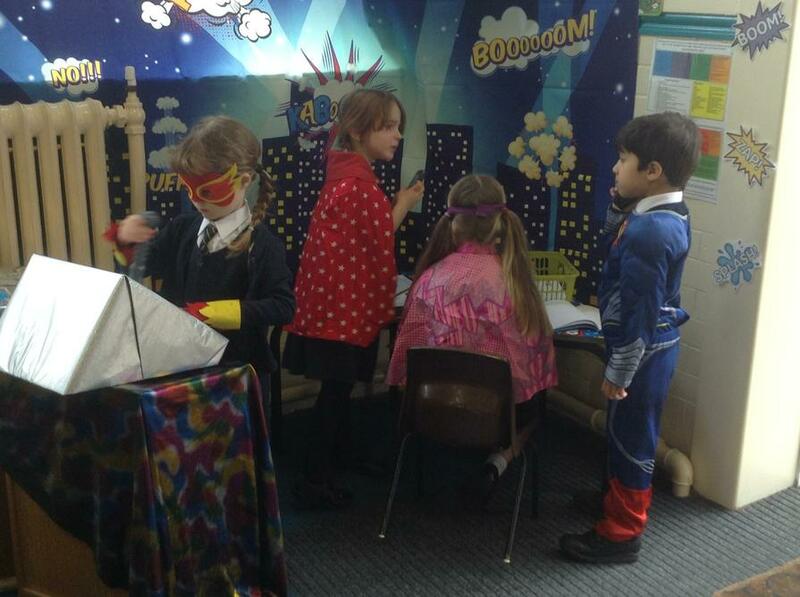 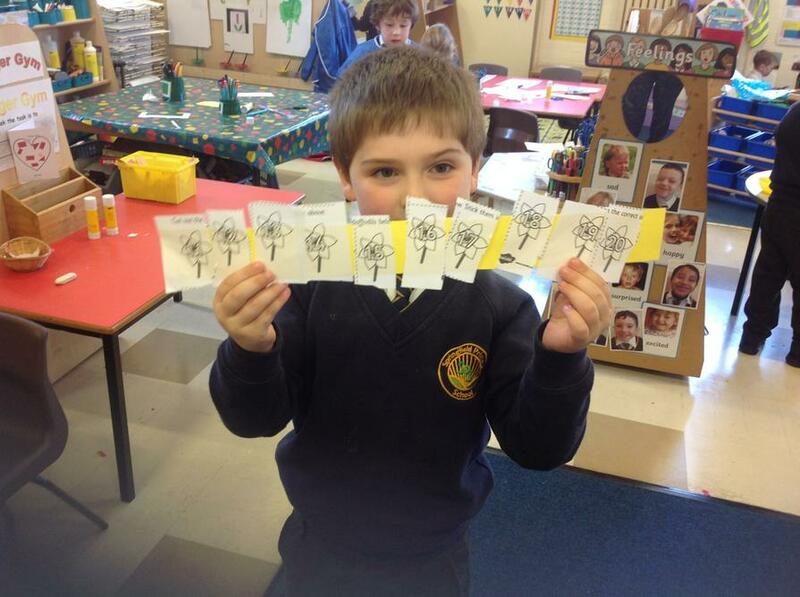 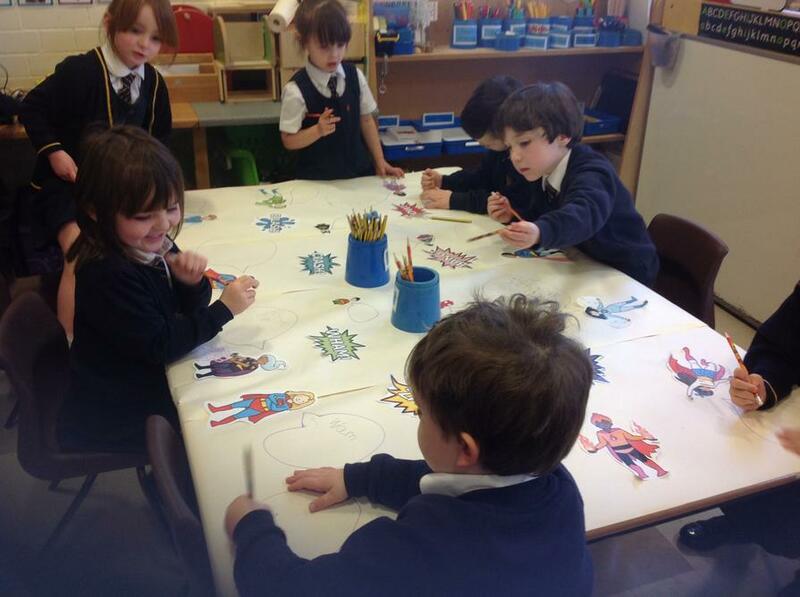 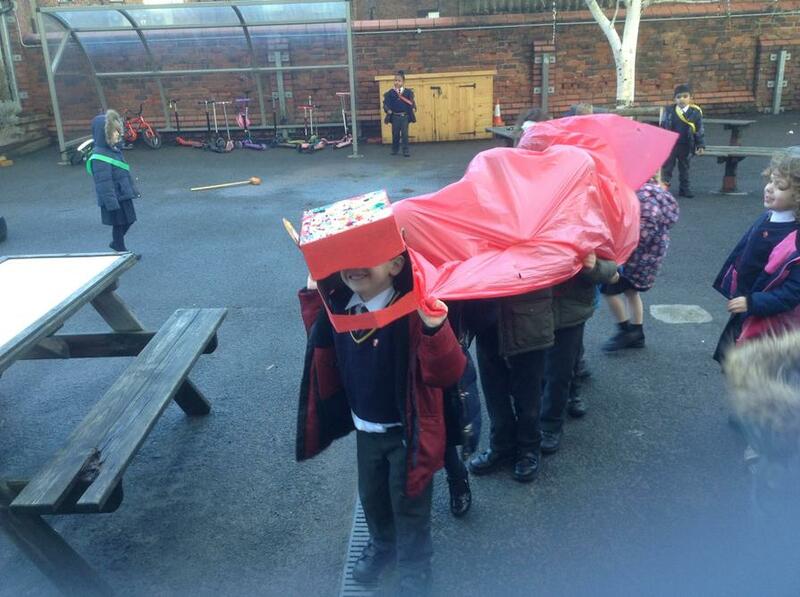 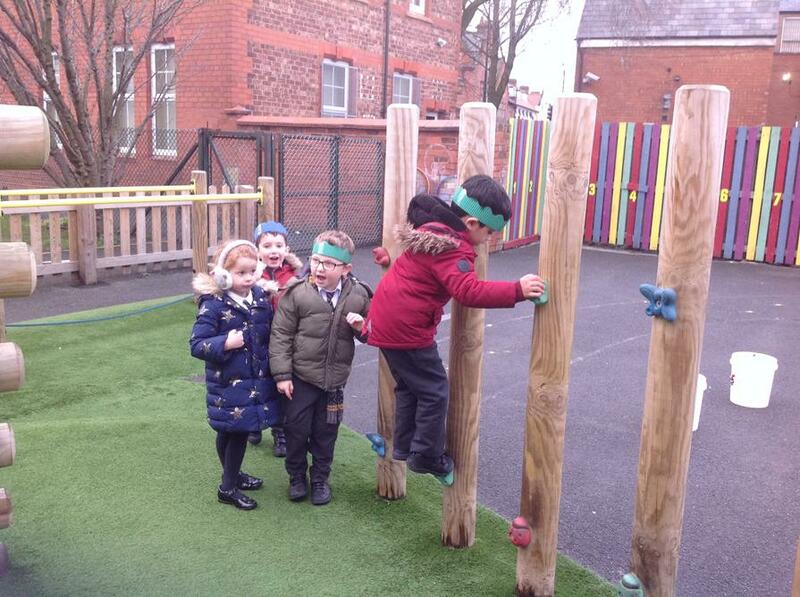 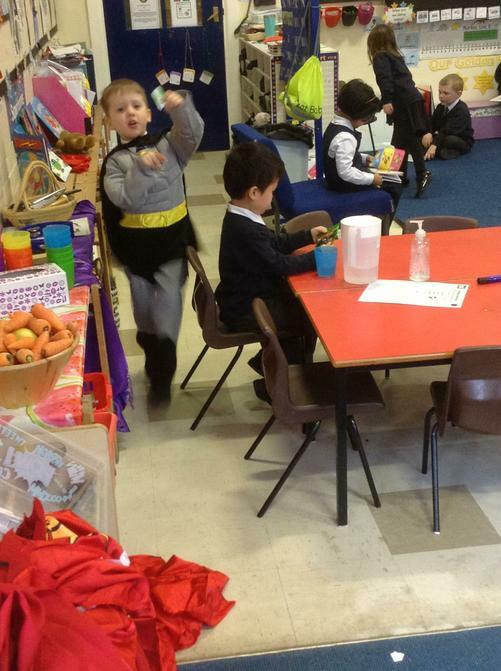 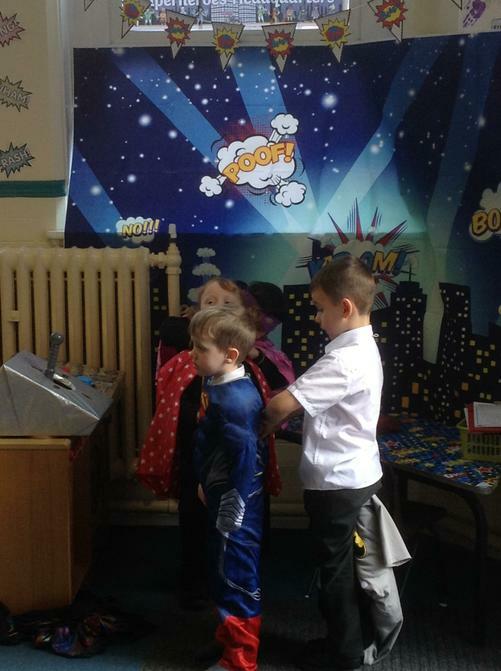 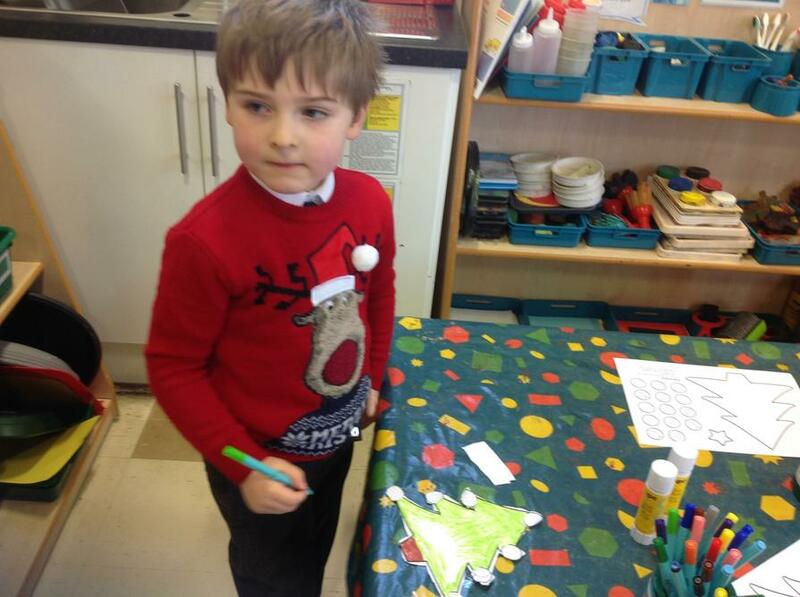 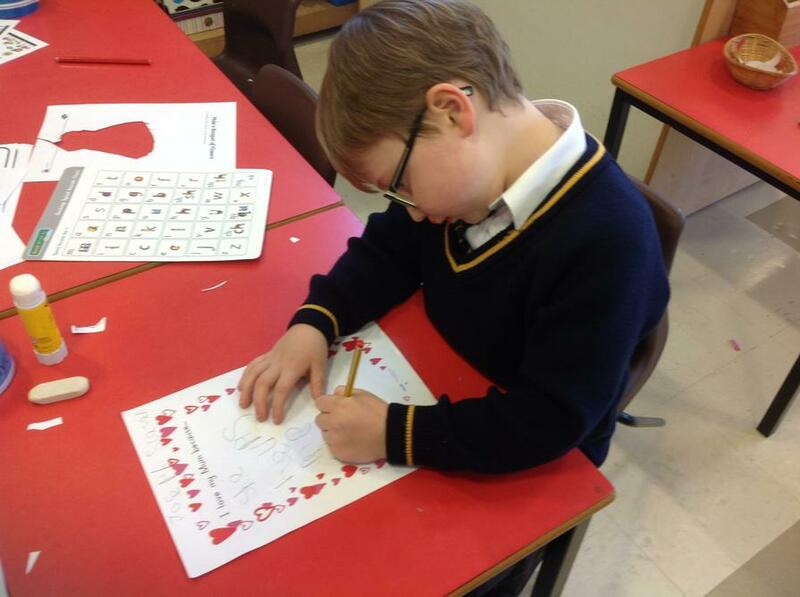 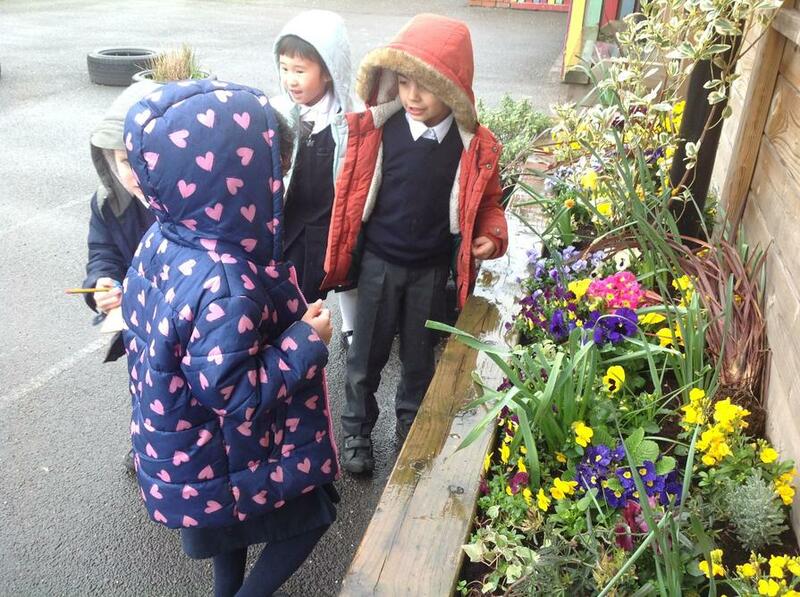 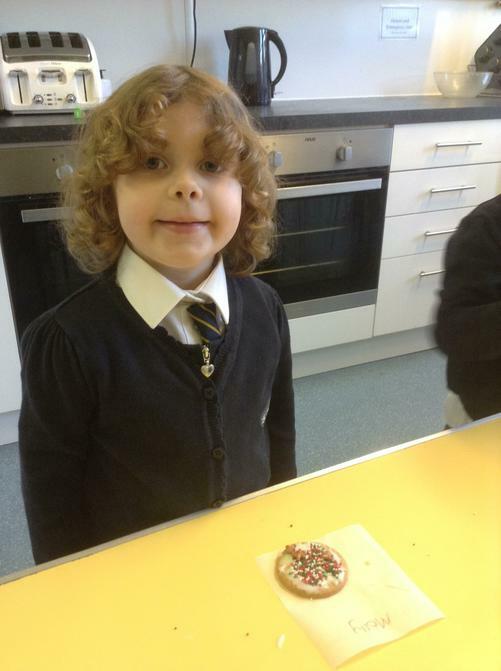 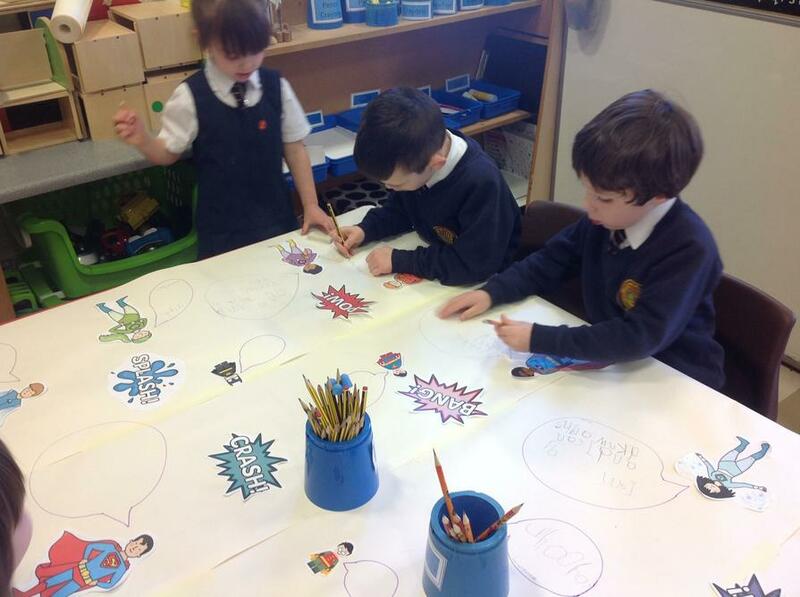 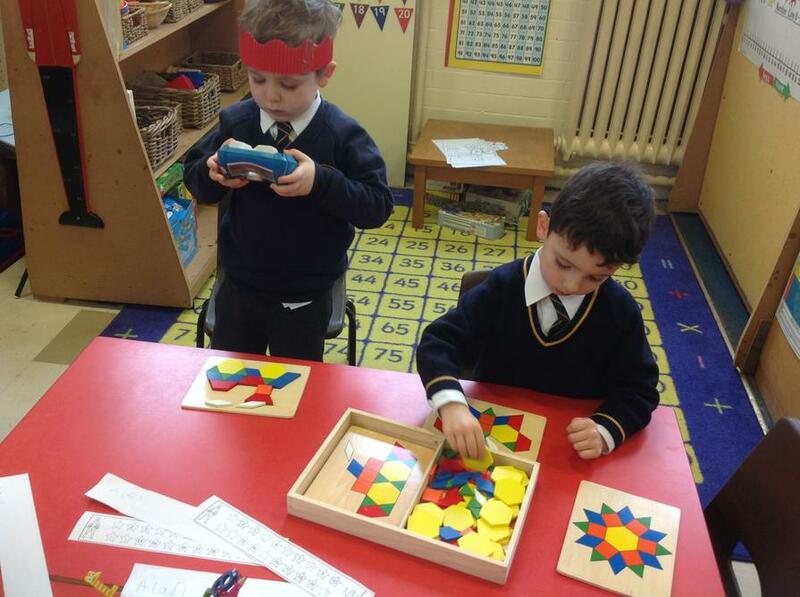 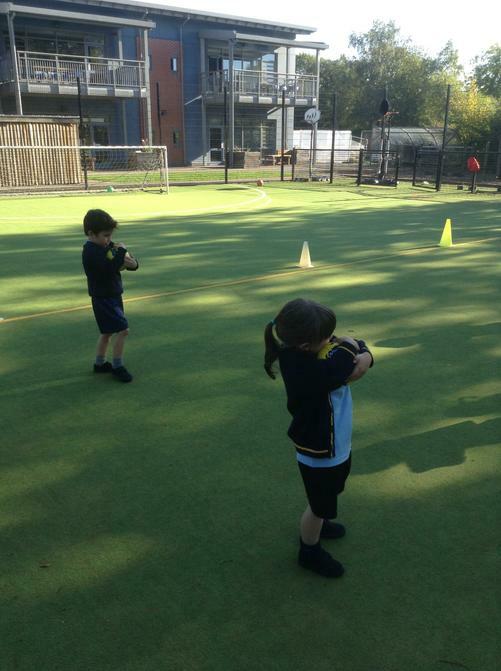 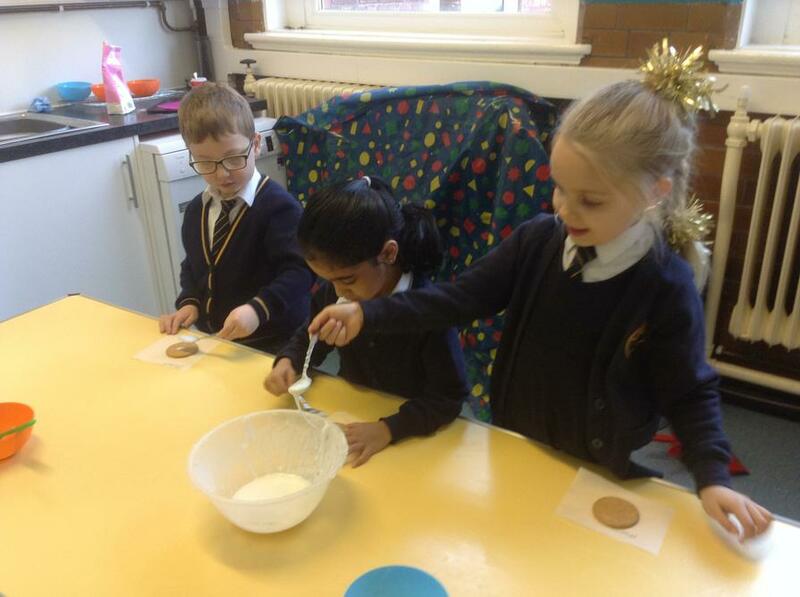 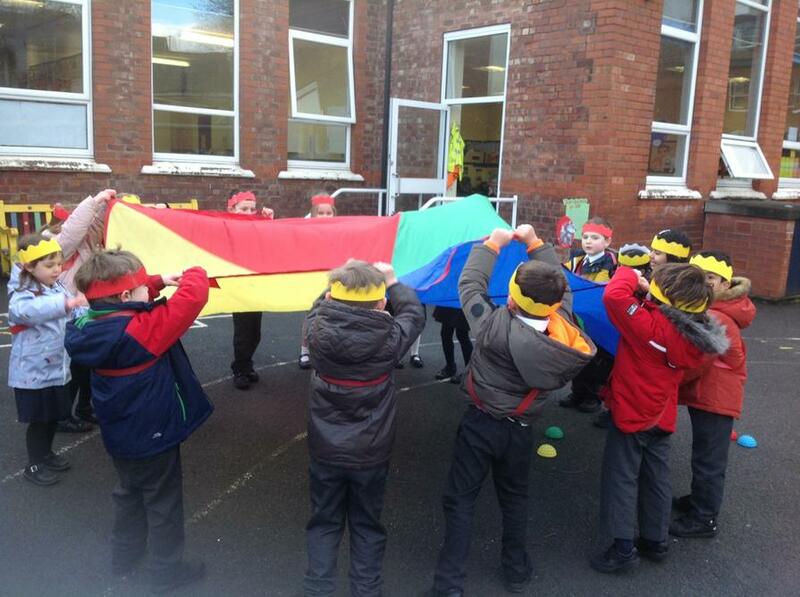 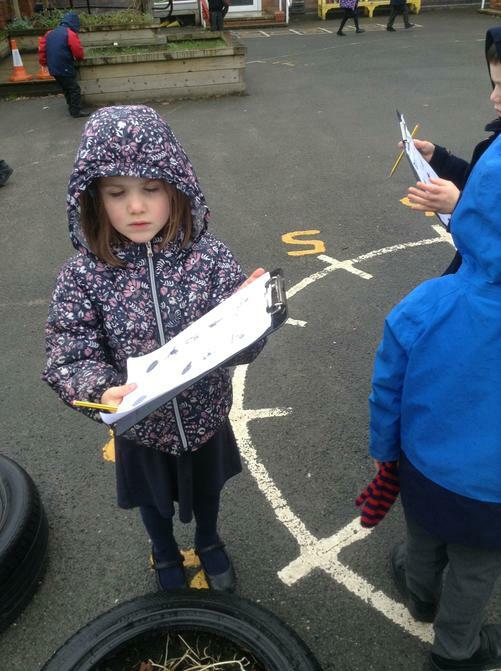 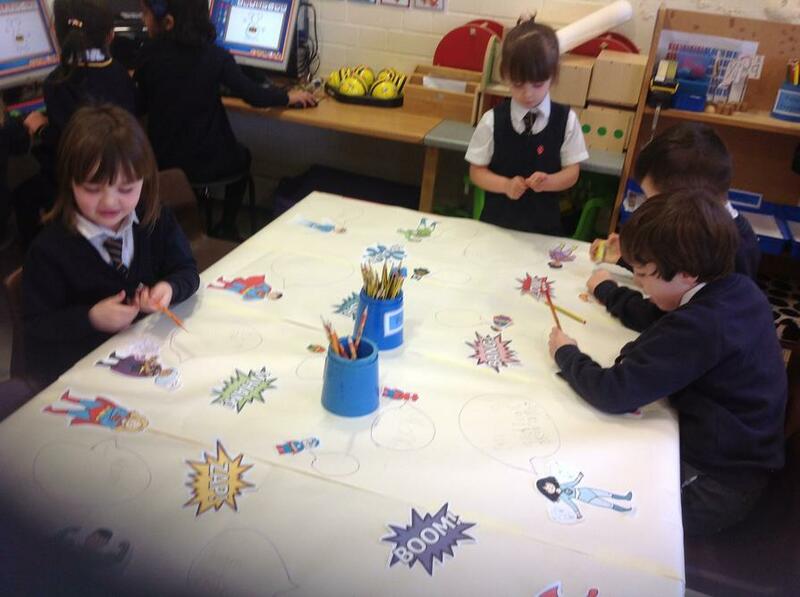 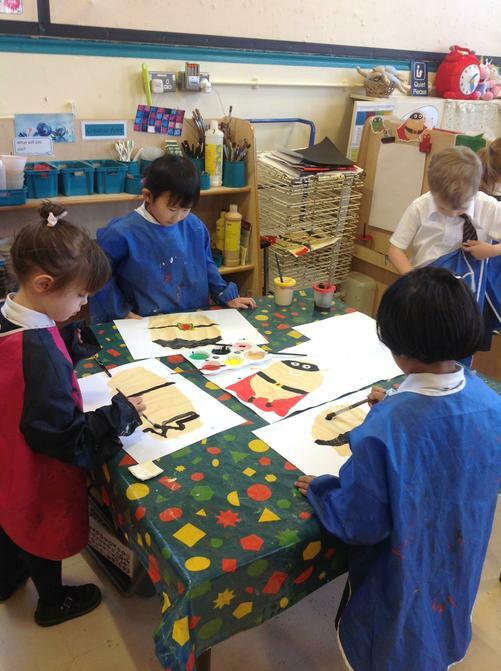 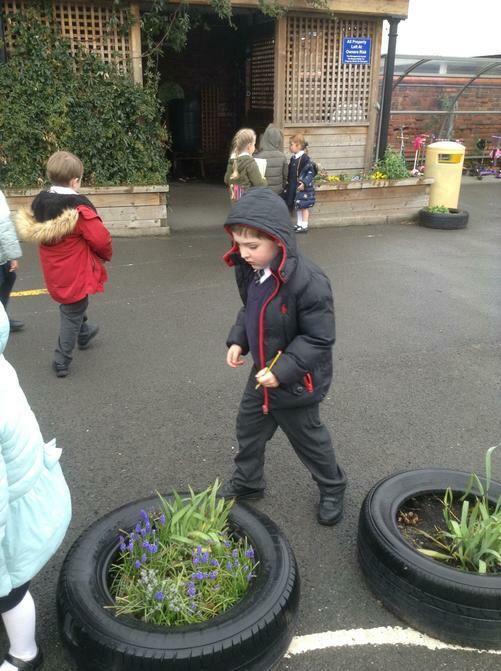 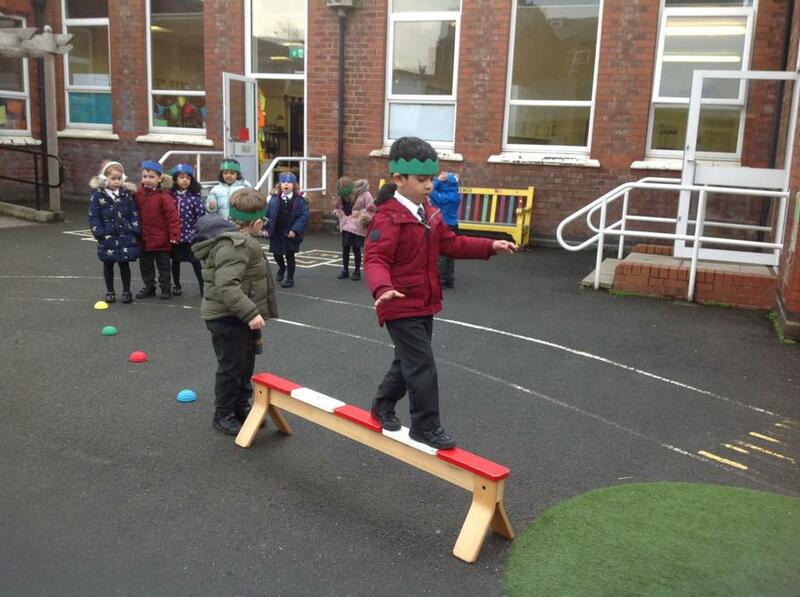 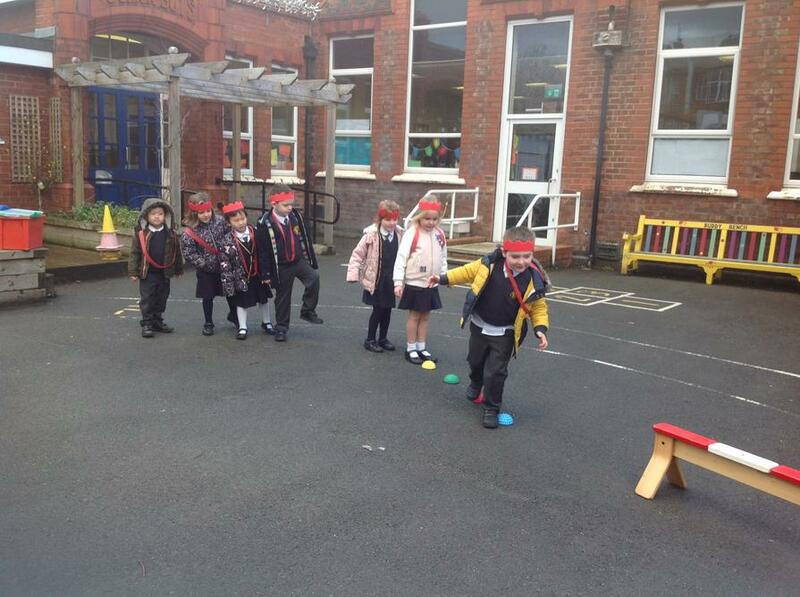 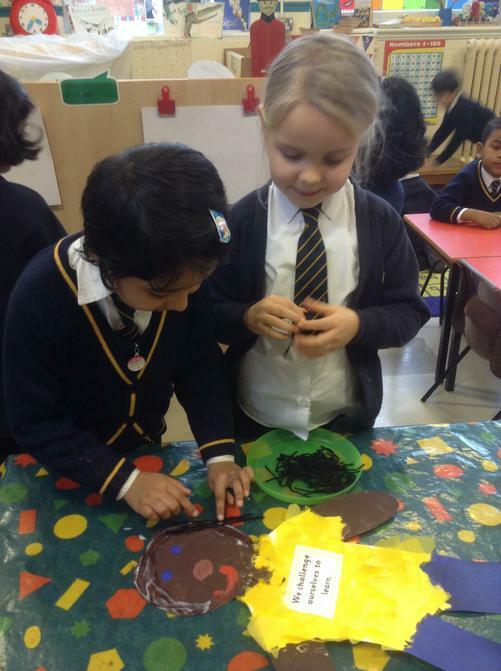 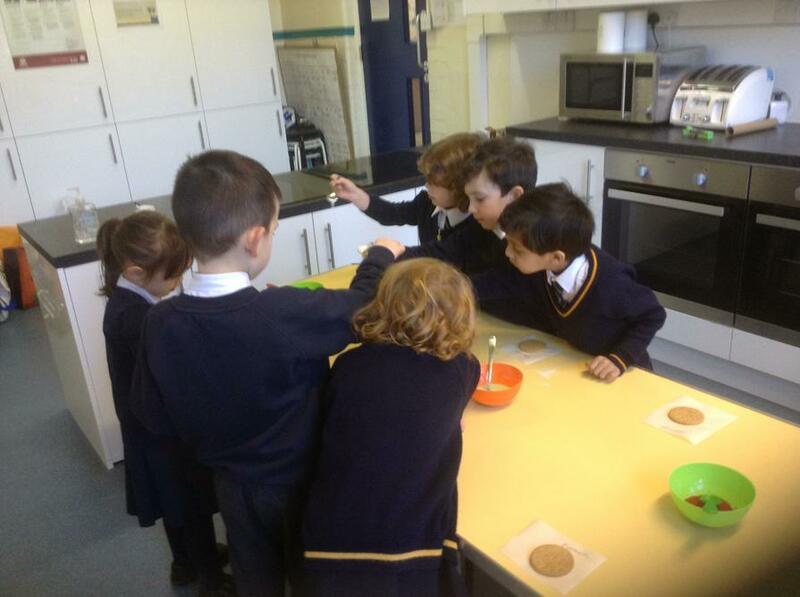 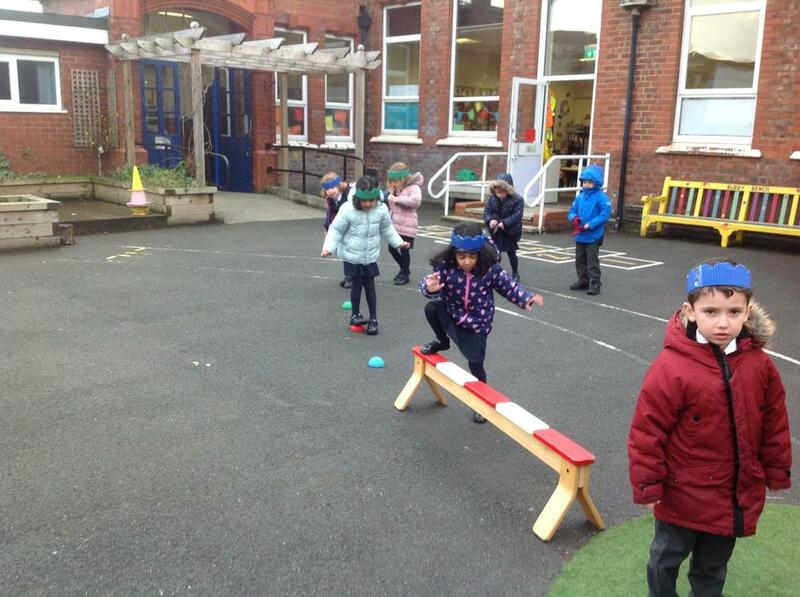 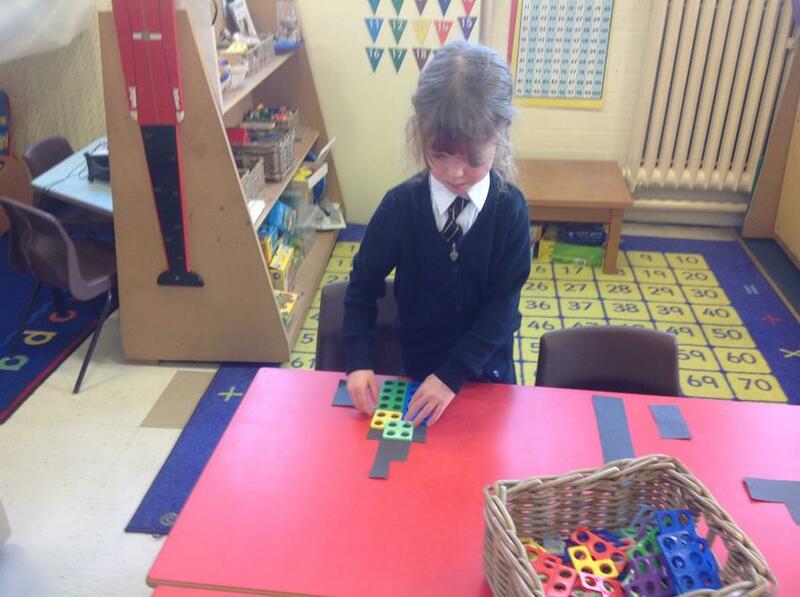 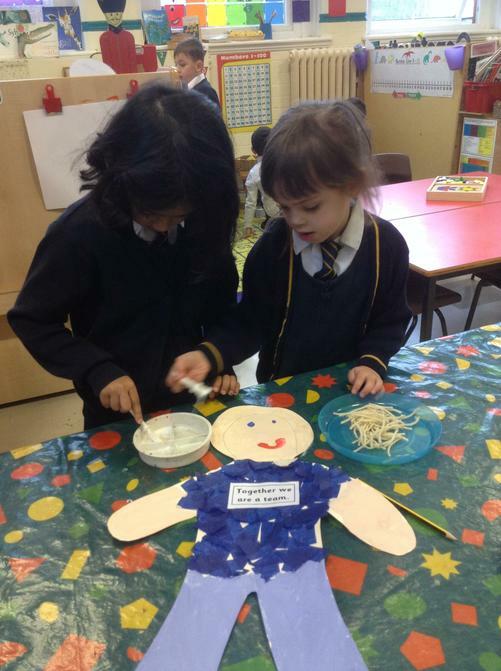 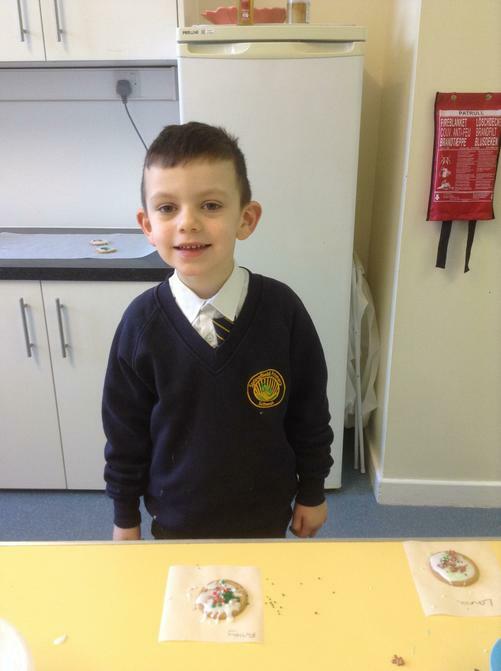 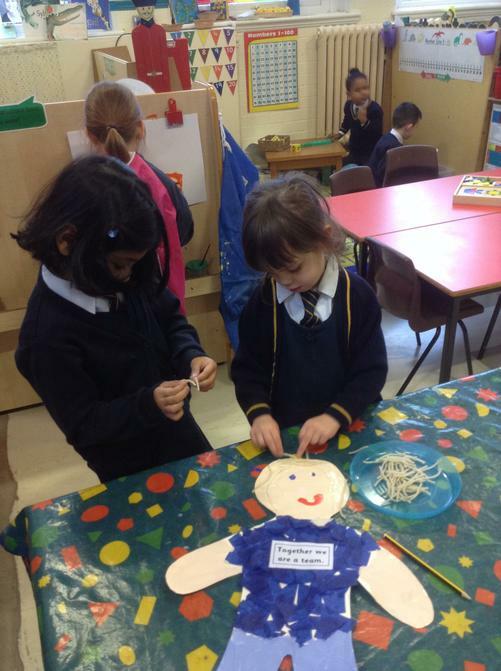 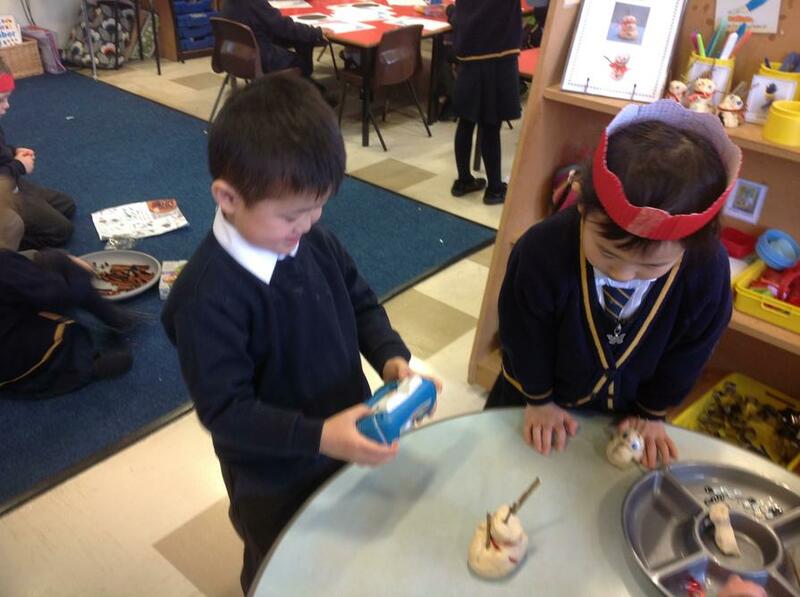 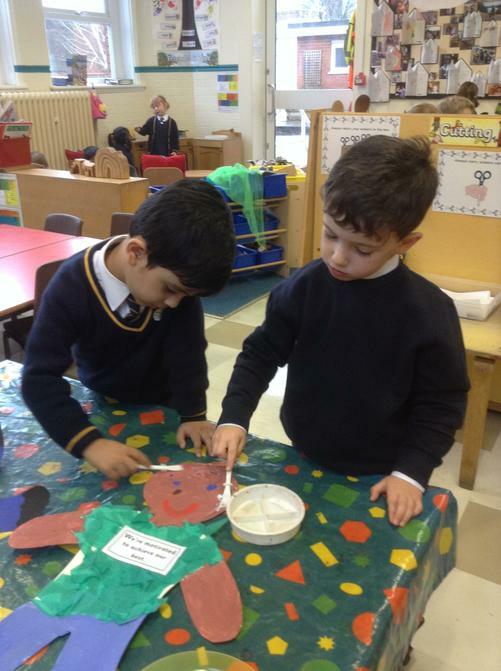 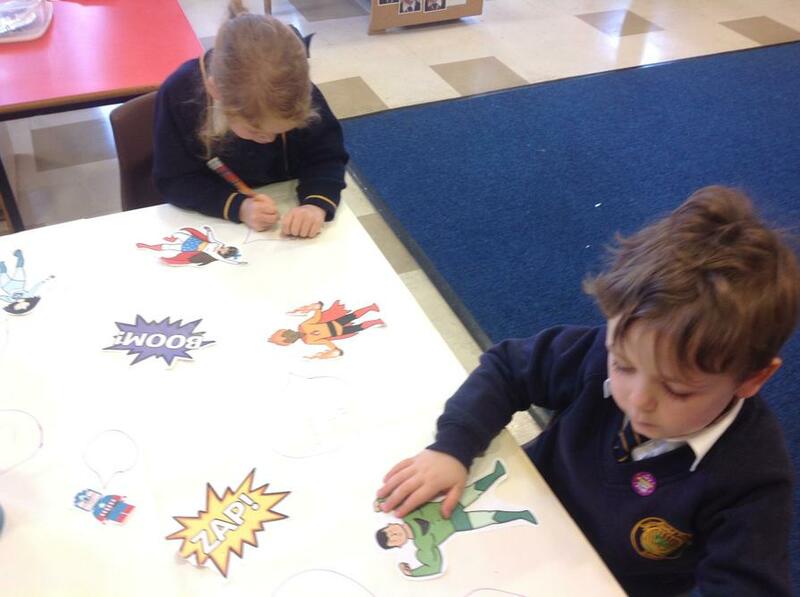 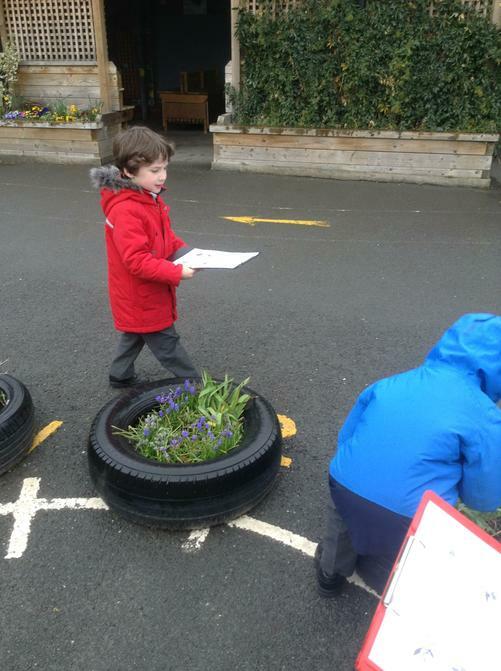 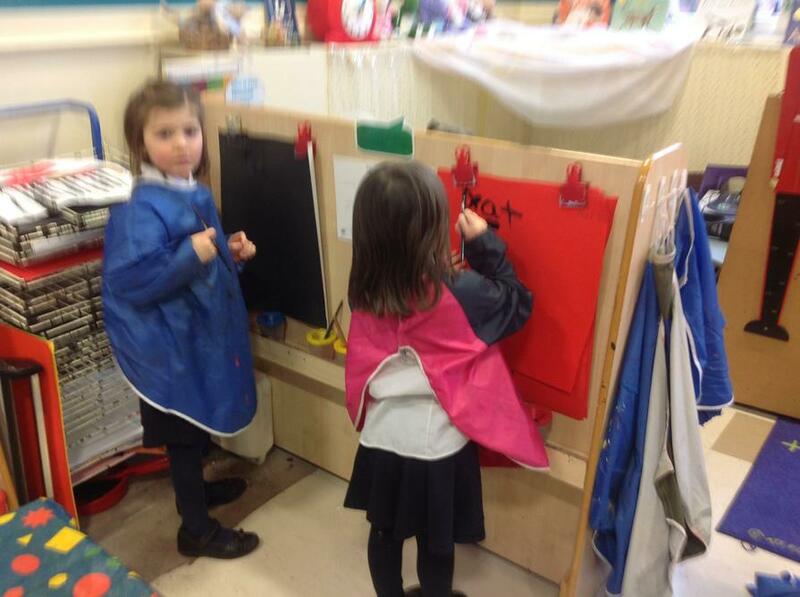 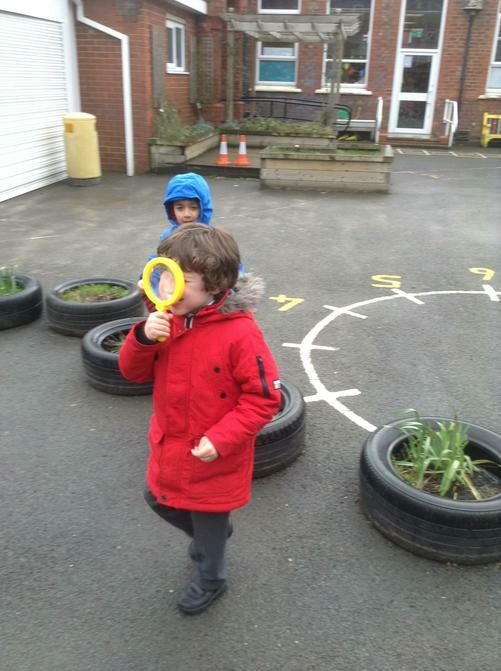 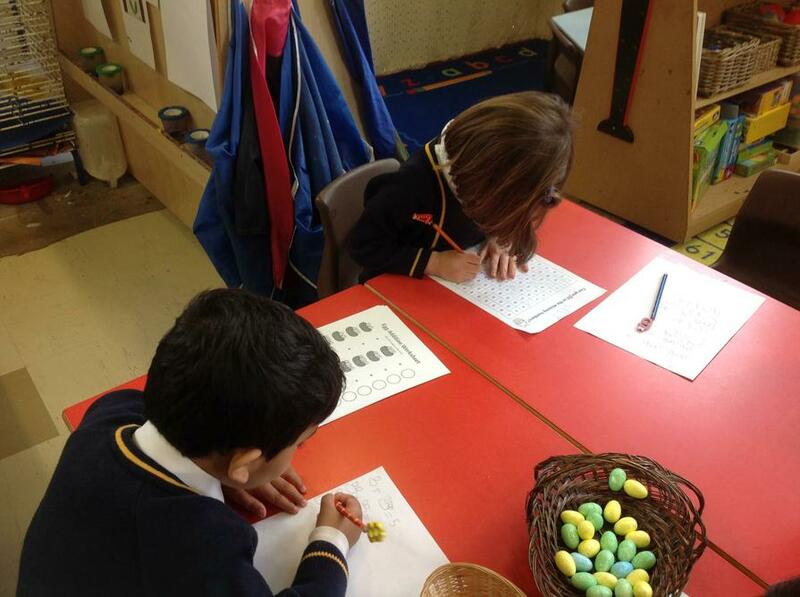 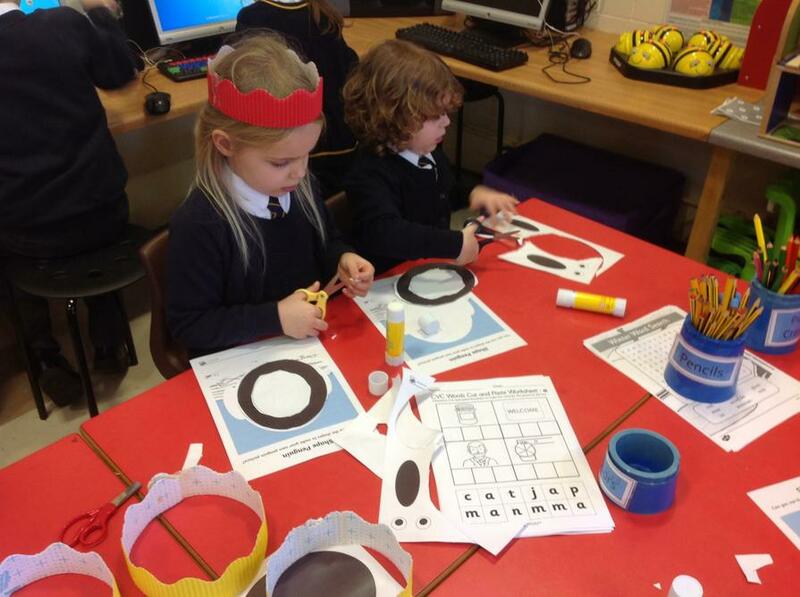 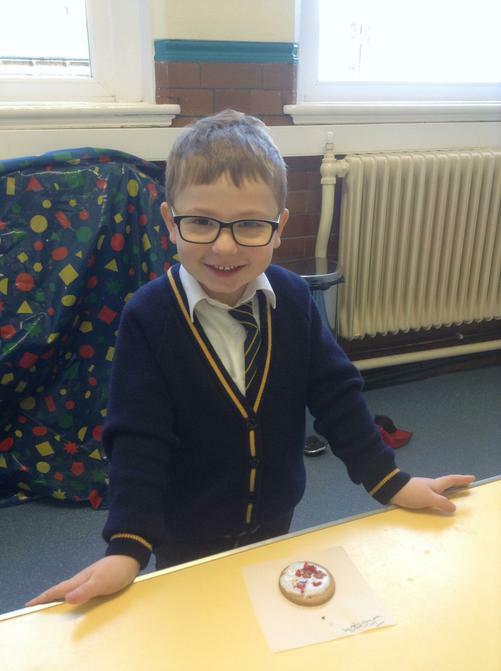 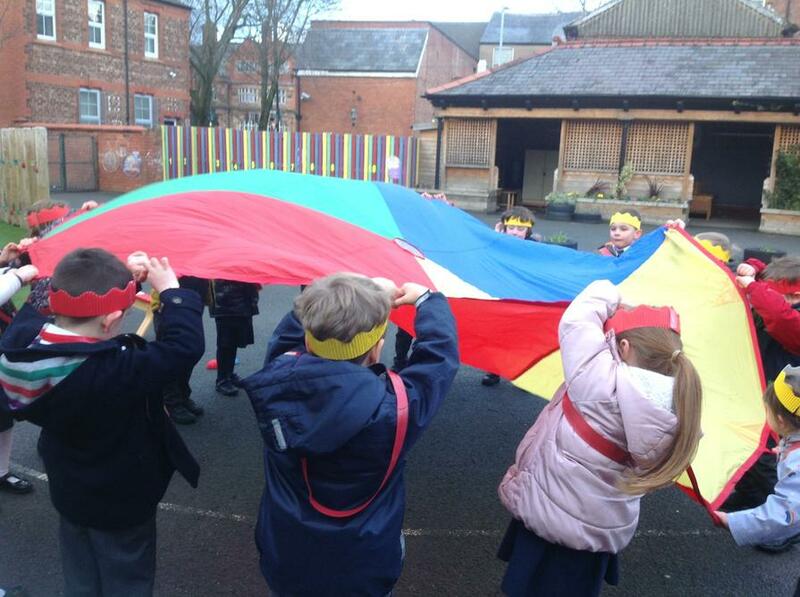 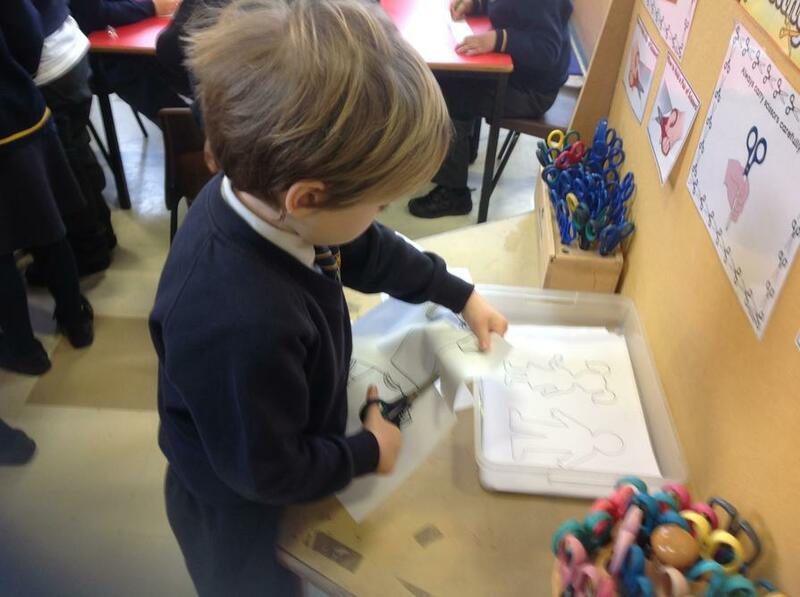 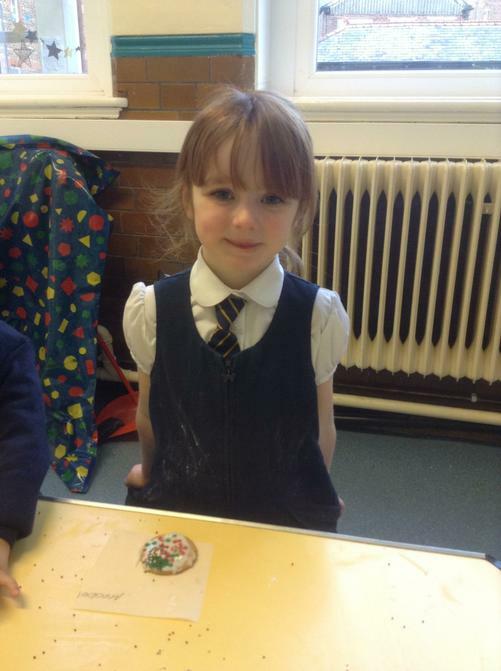 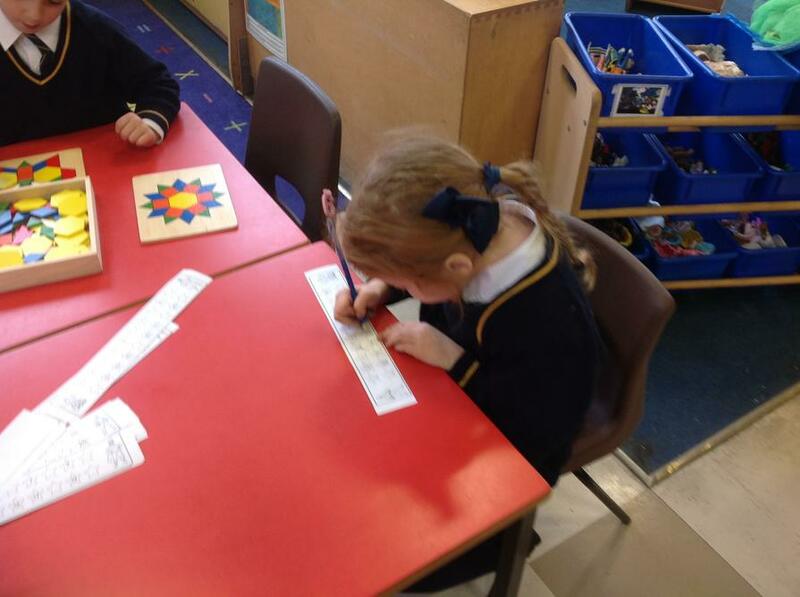 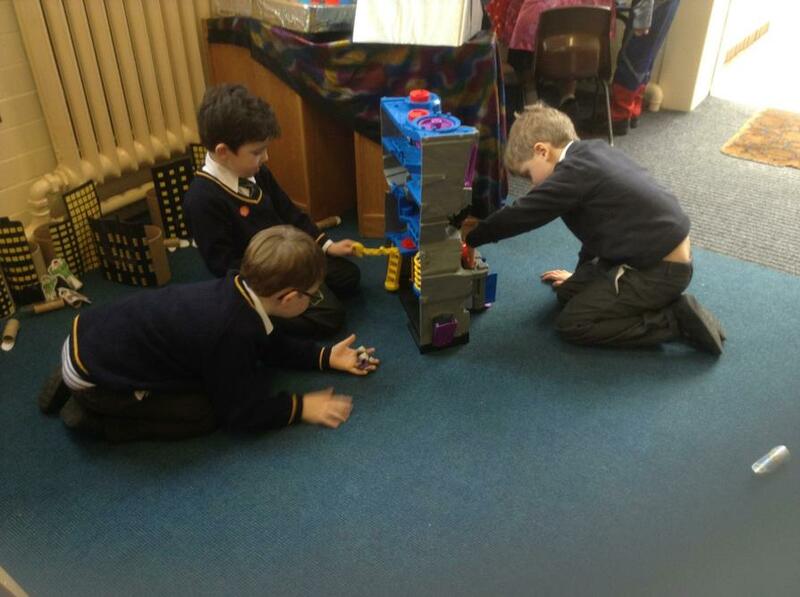 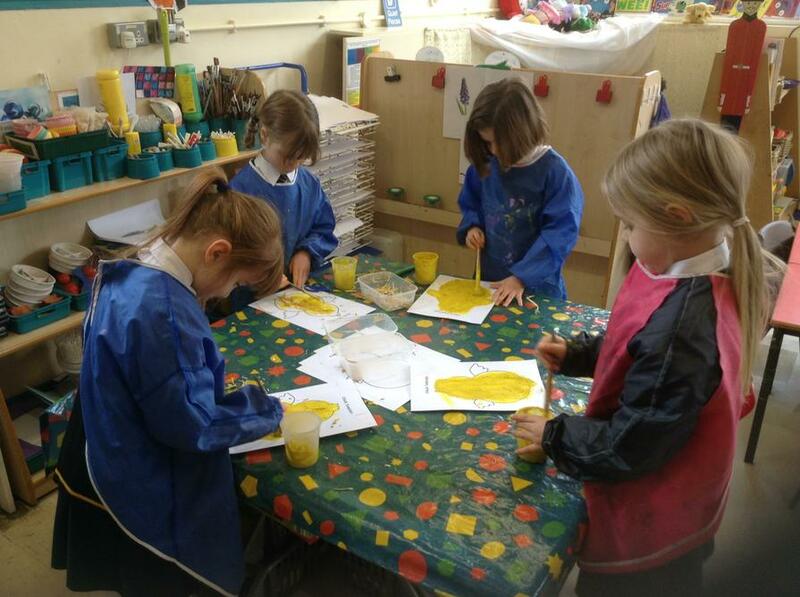 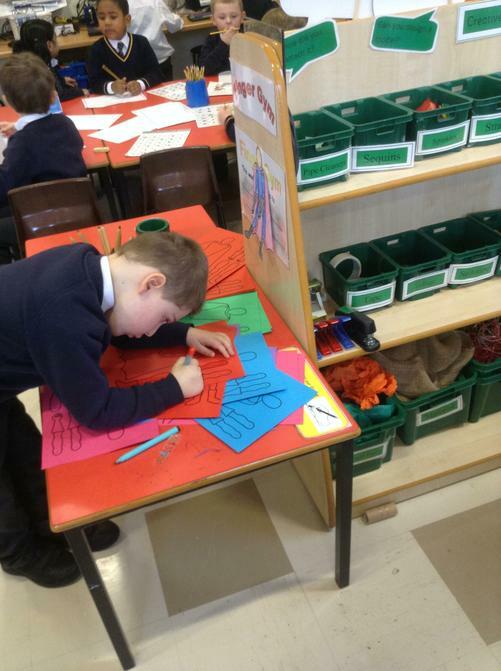 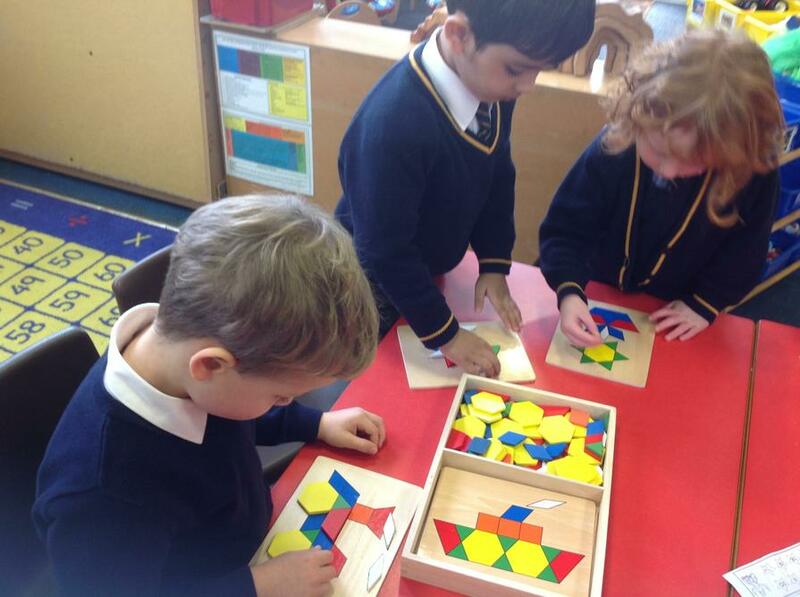 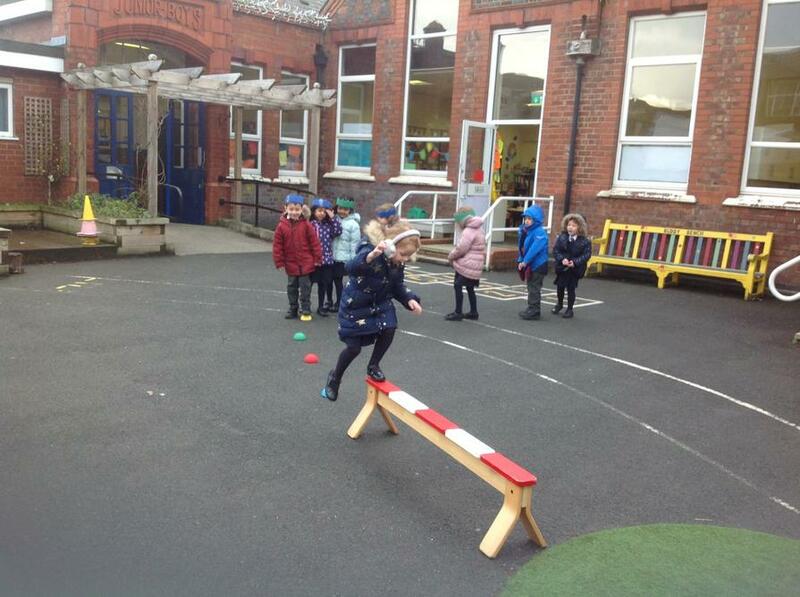 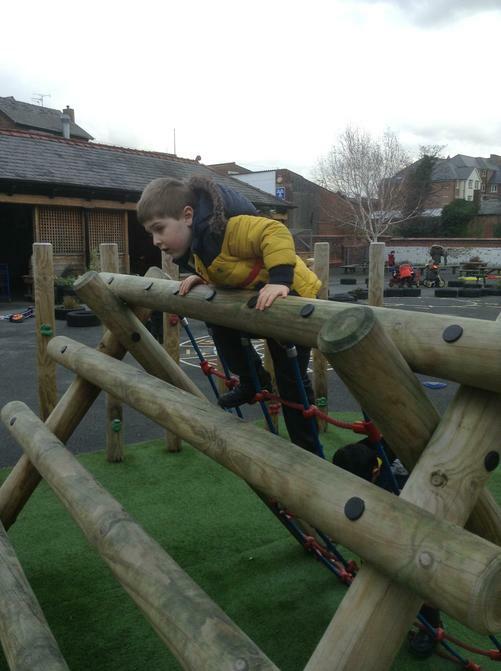 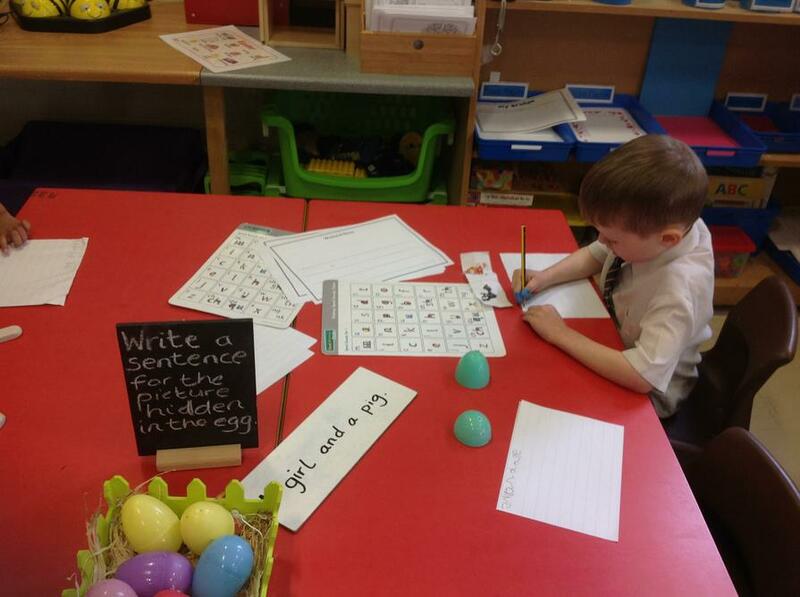 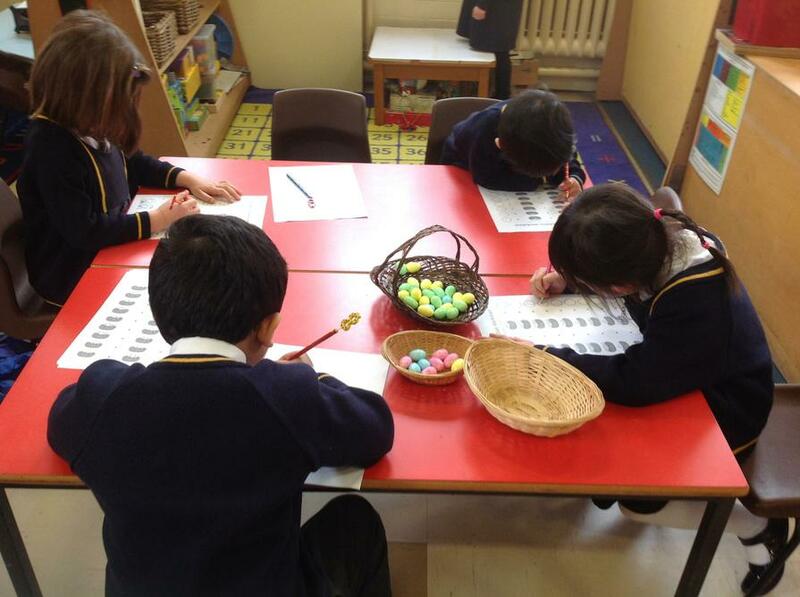 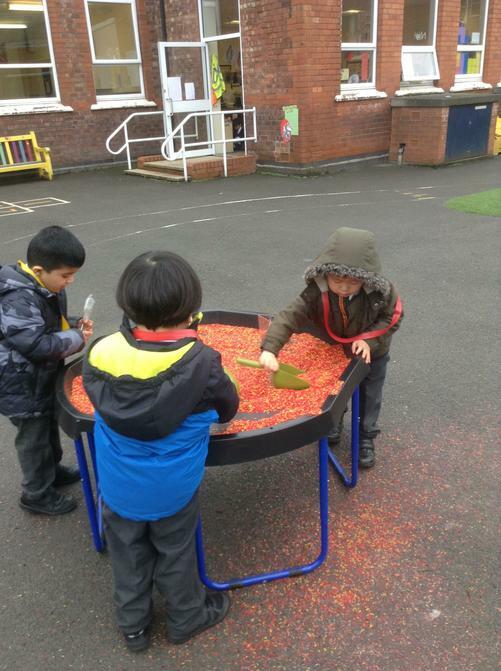 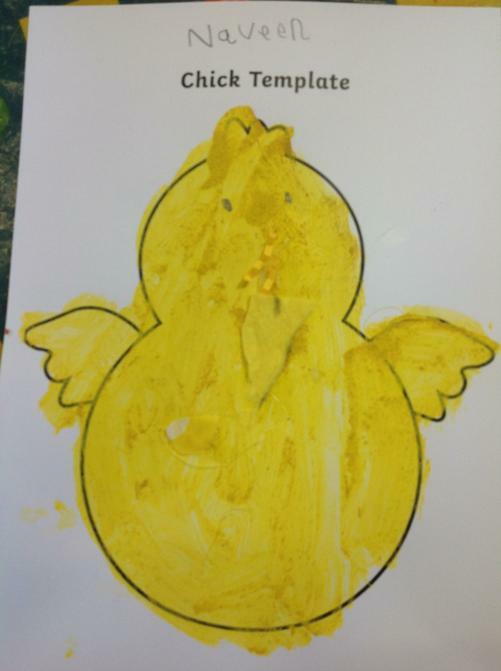 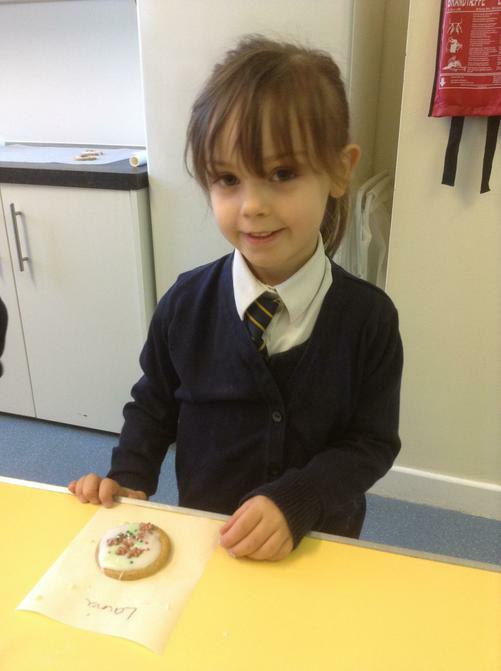 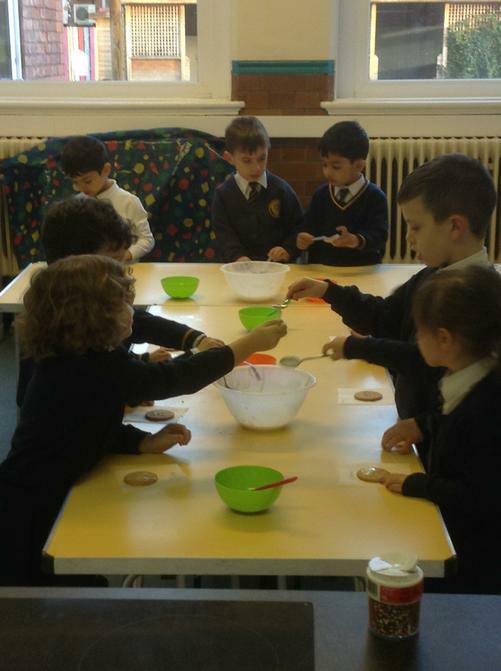 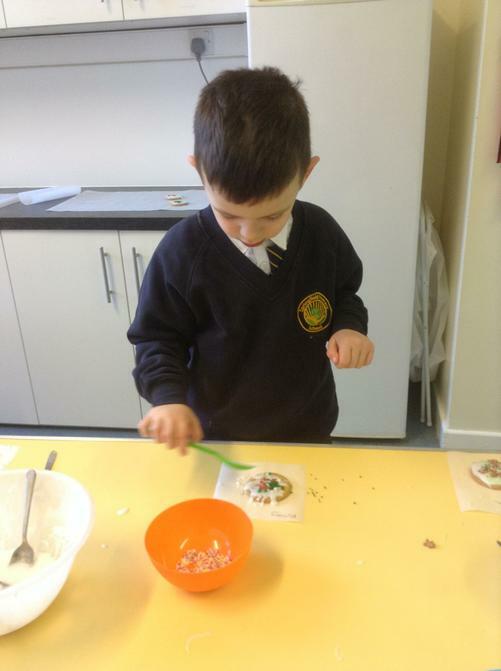 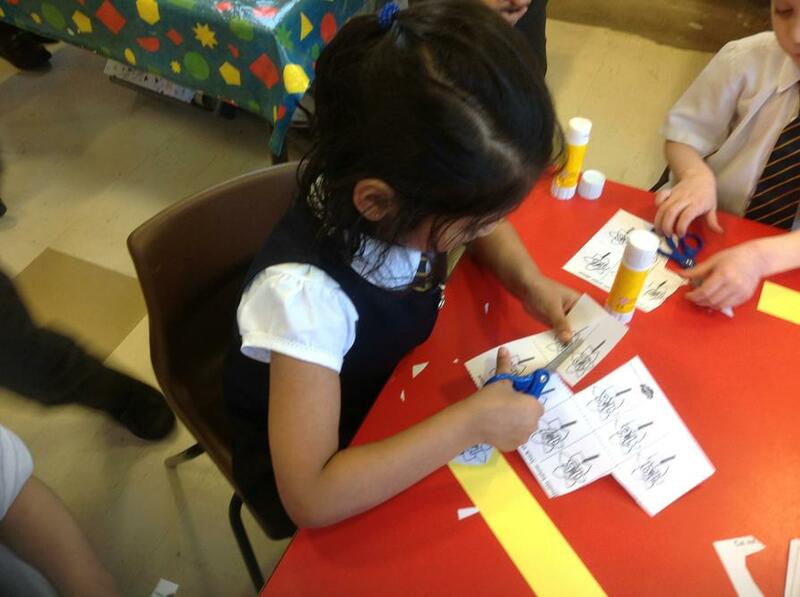 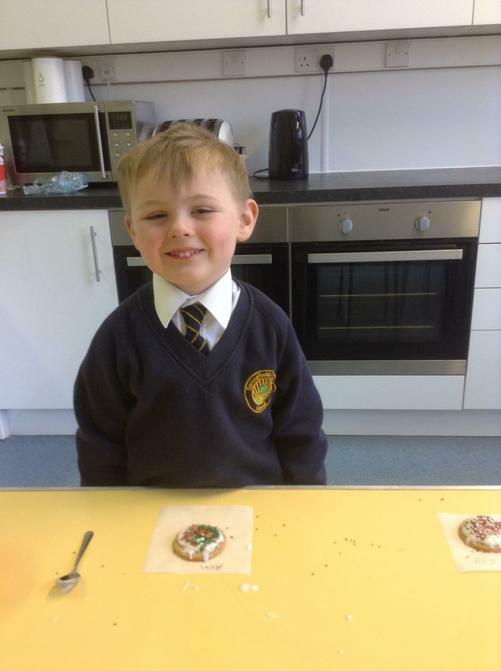 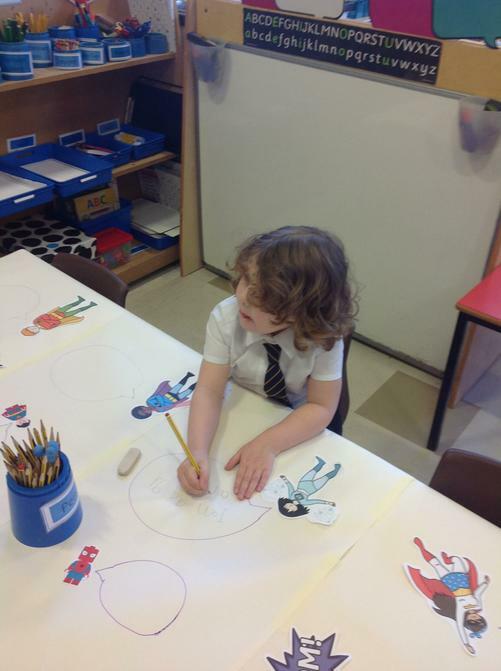 We have taken part in lots of activities that have made us think about them and try to achieve some of them. 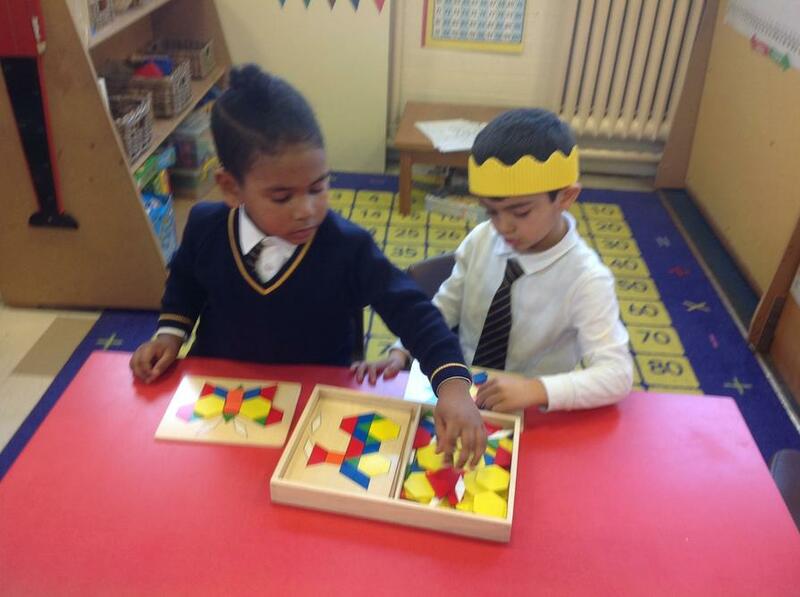 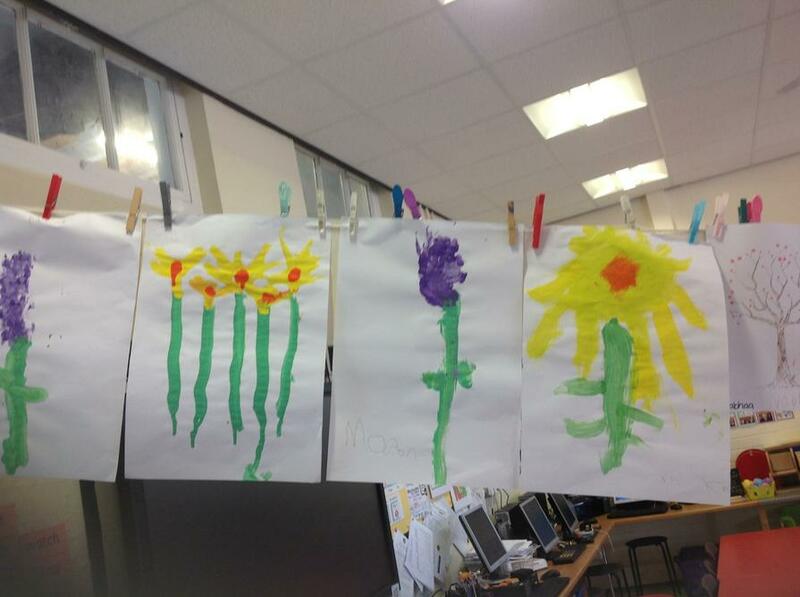 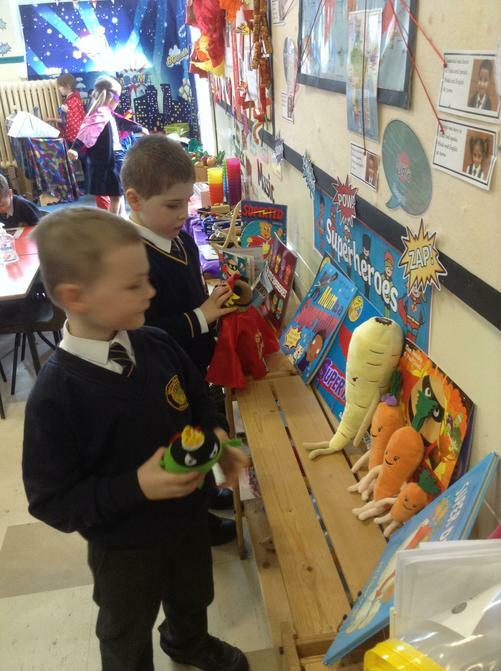 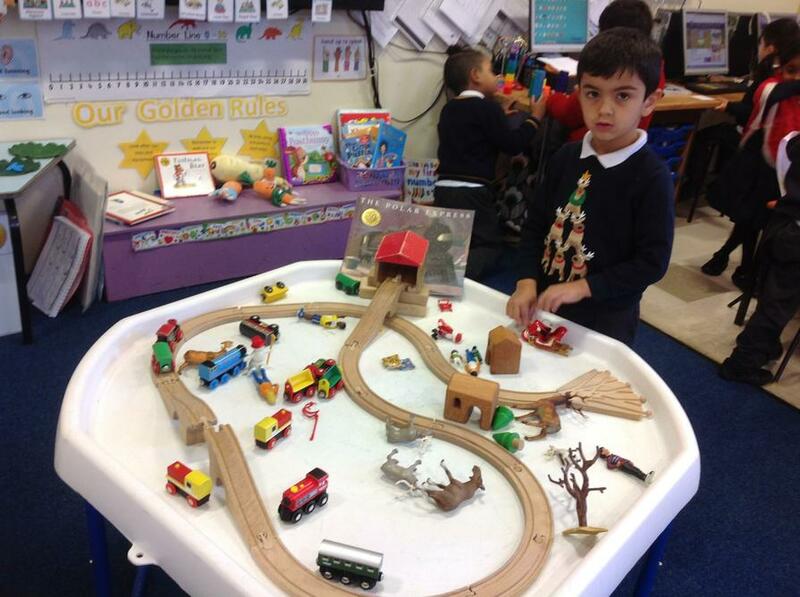 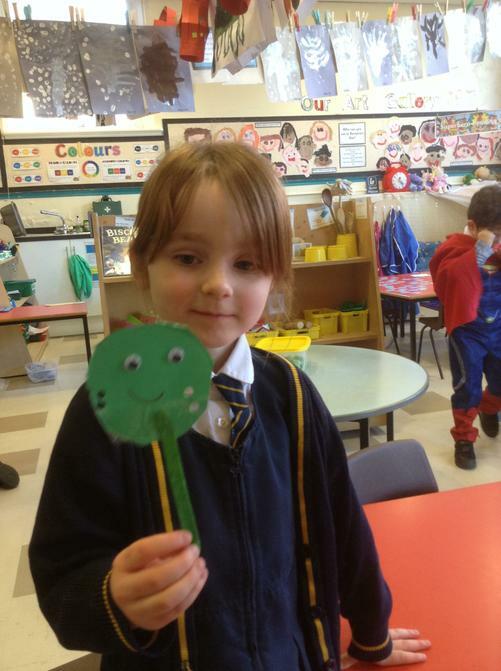 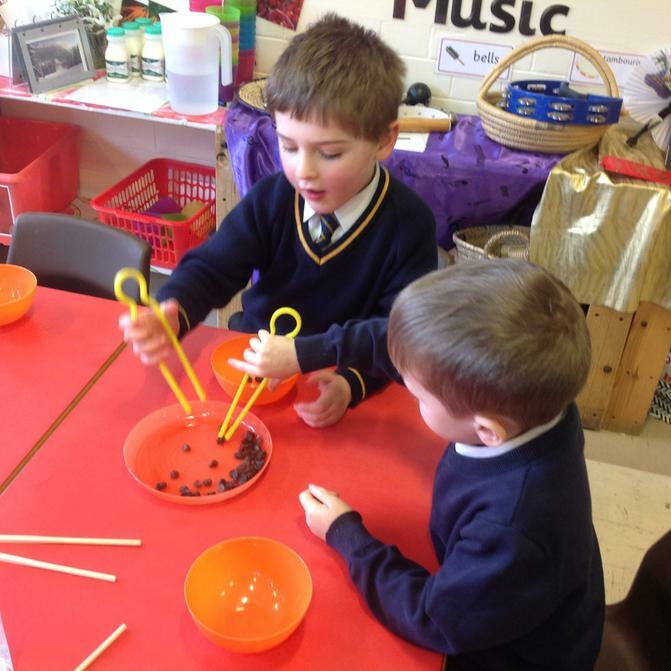 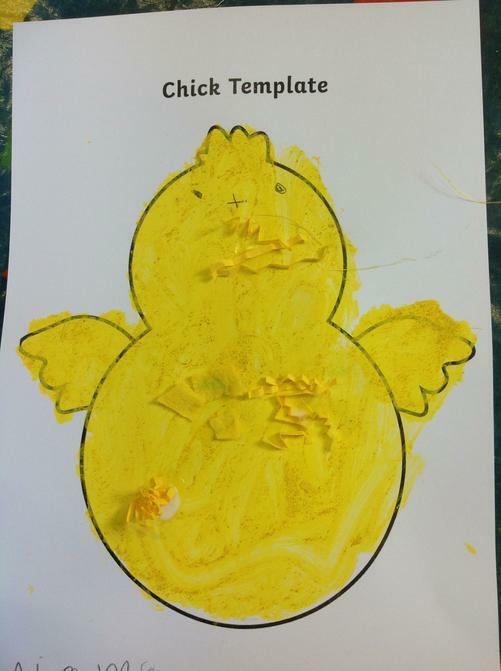 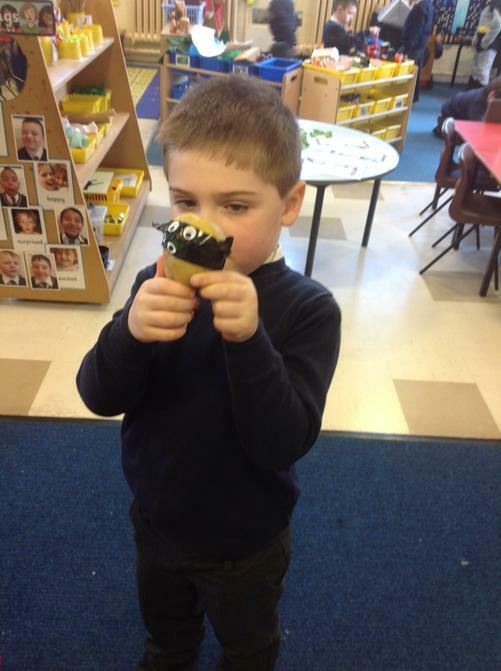 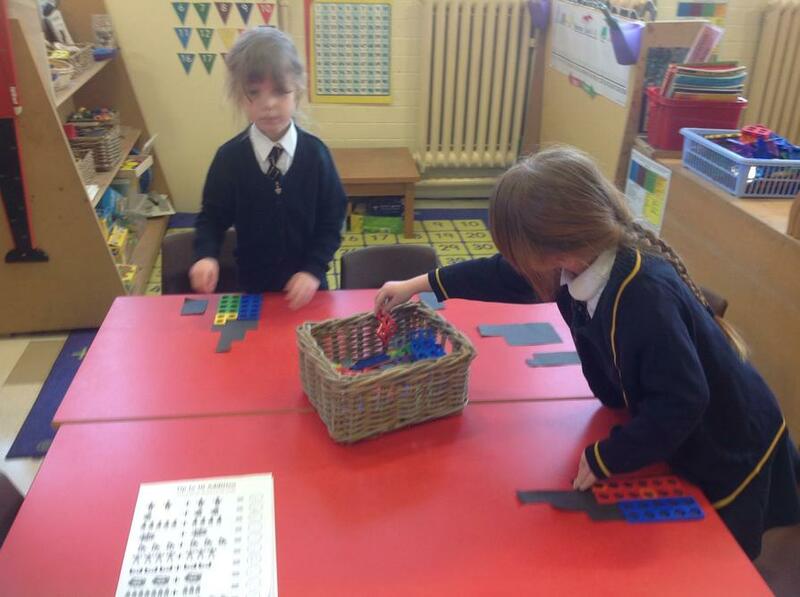 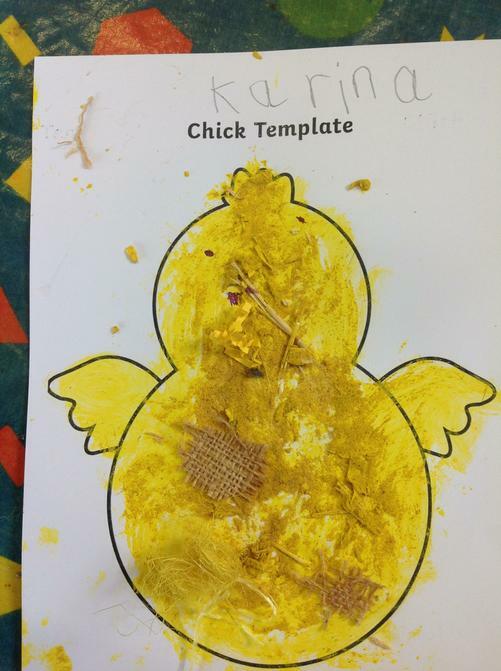 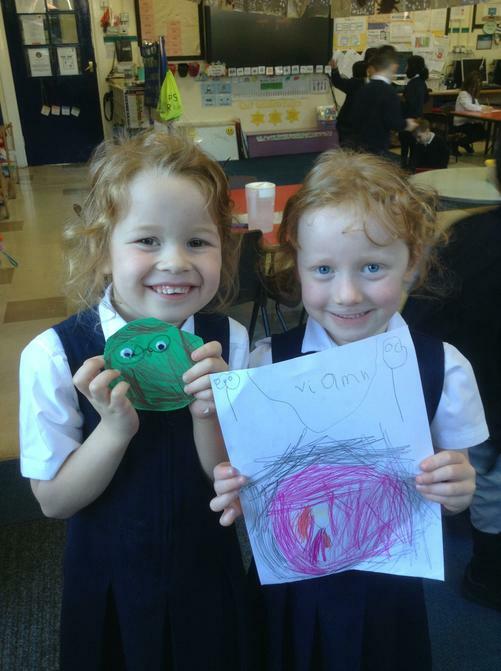 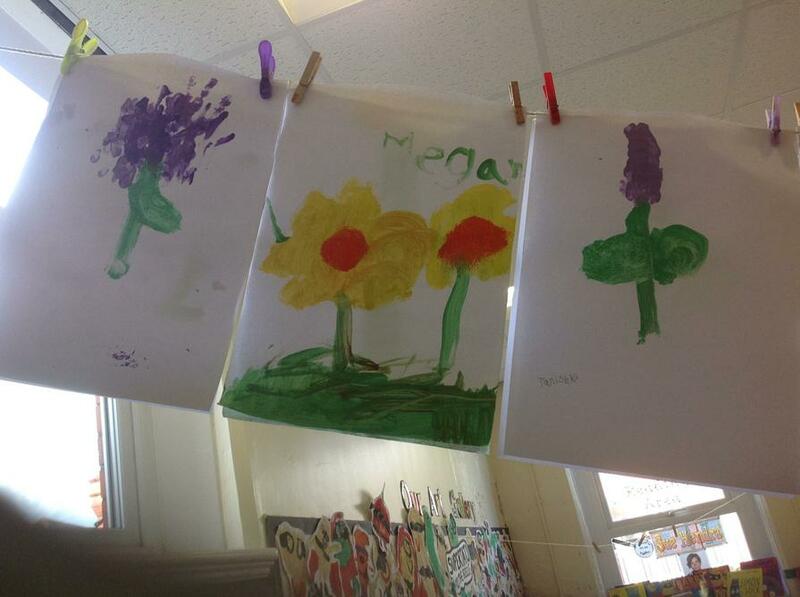 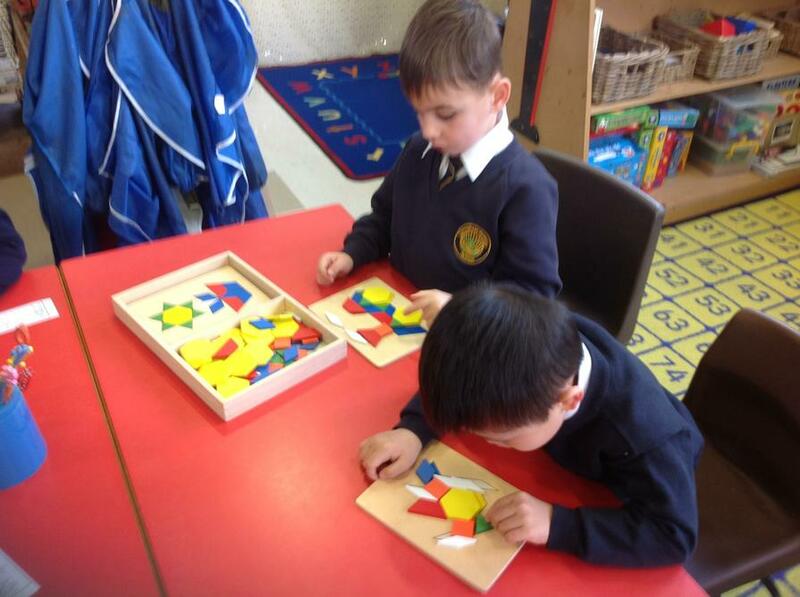 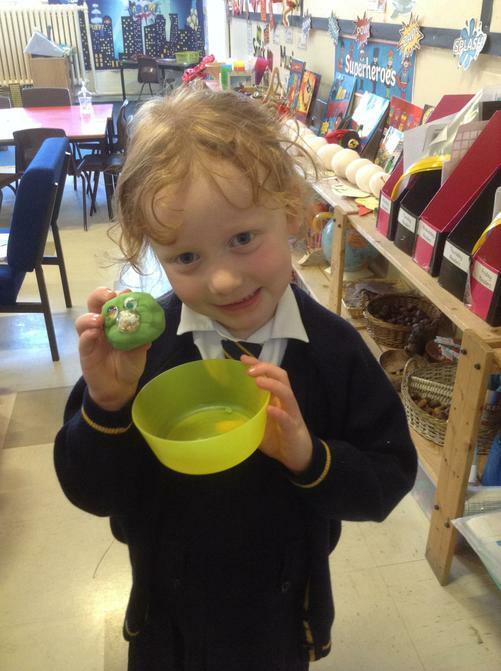 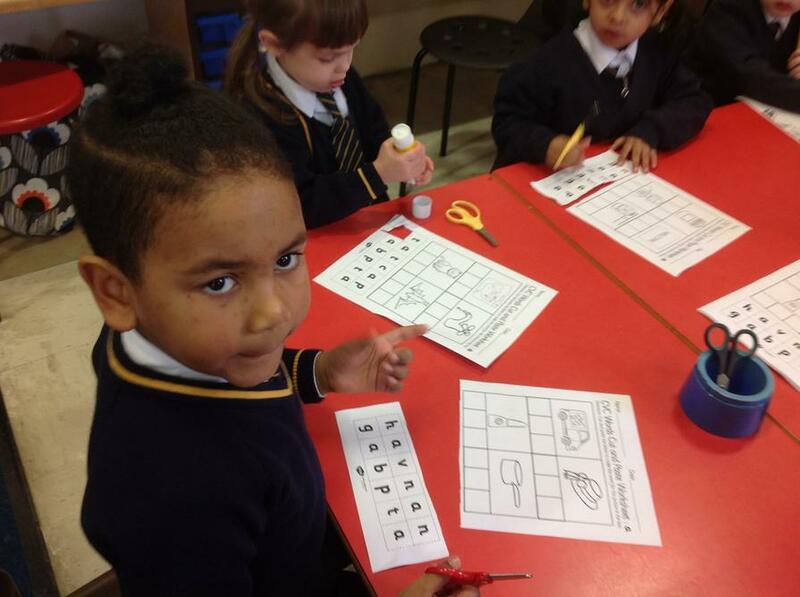 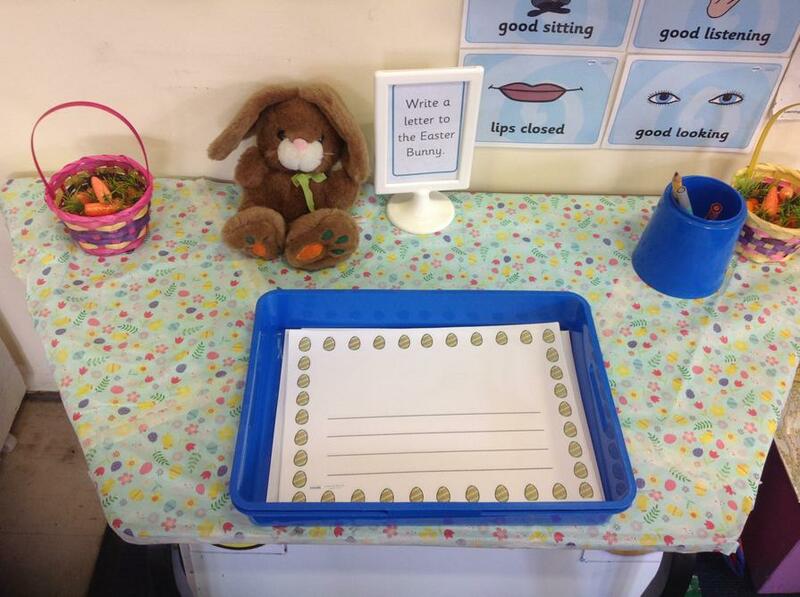 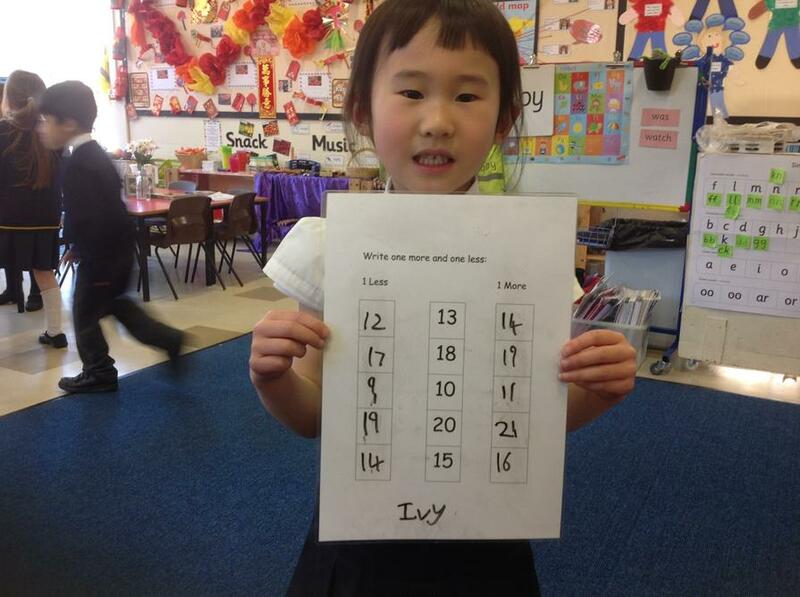 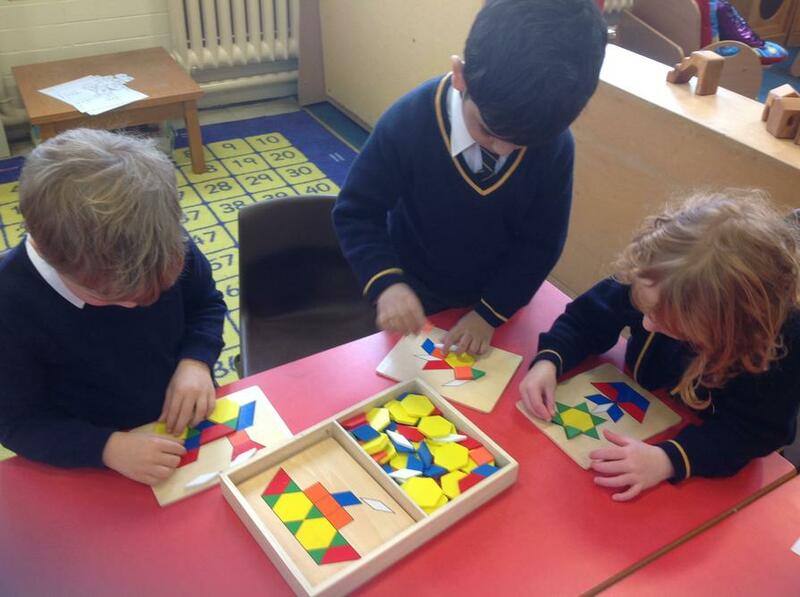 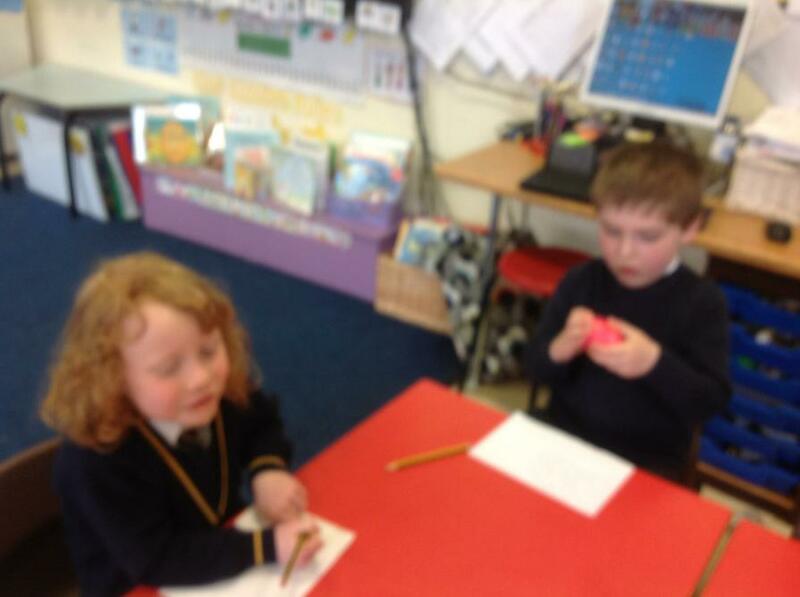 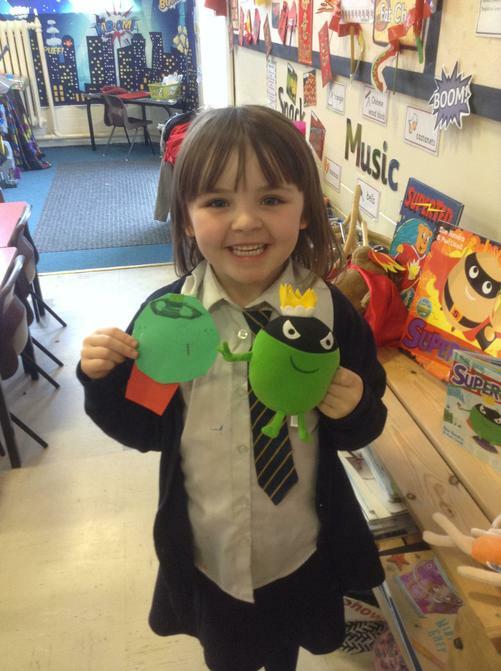 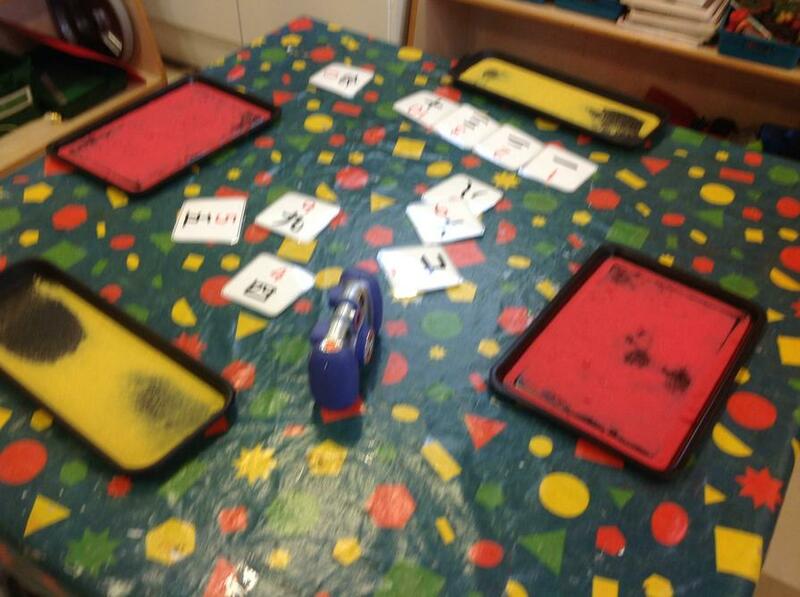 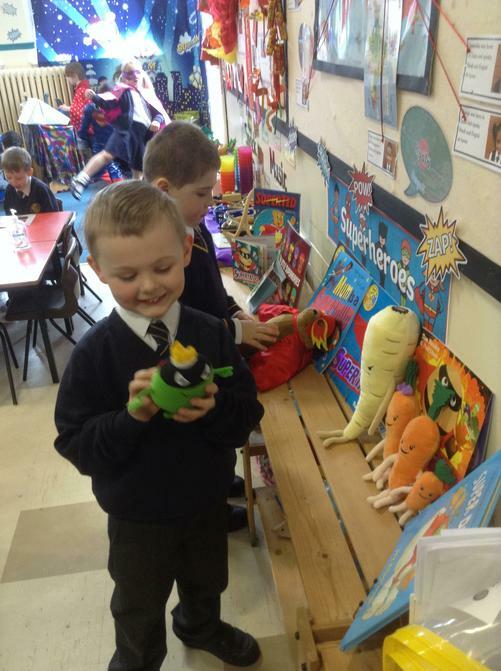 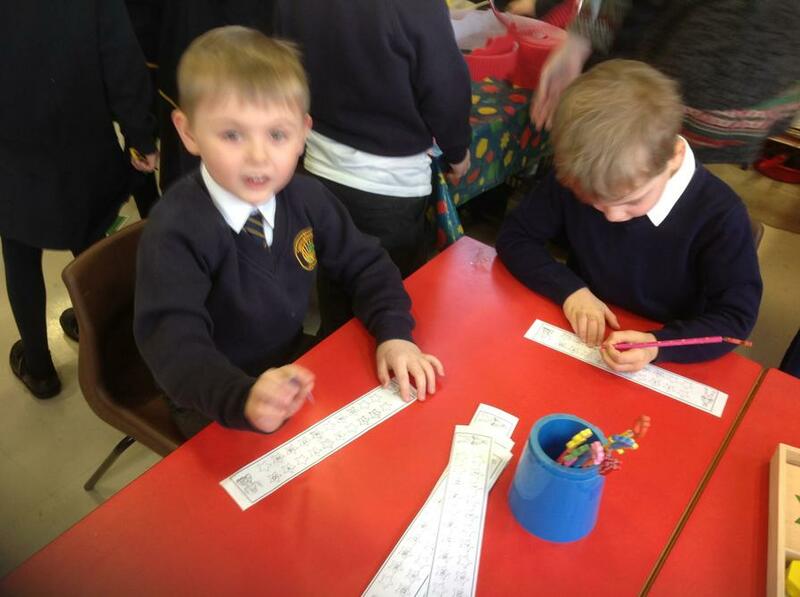 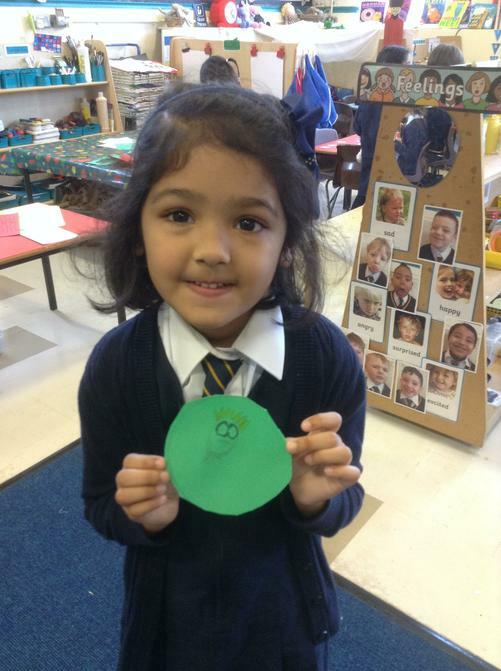 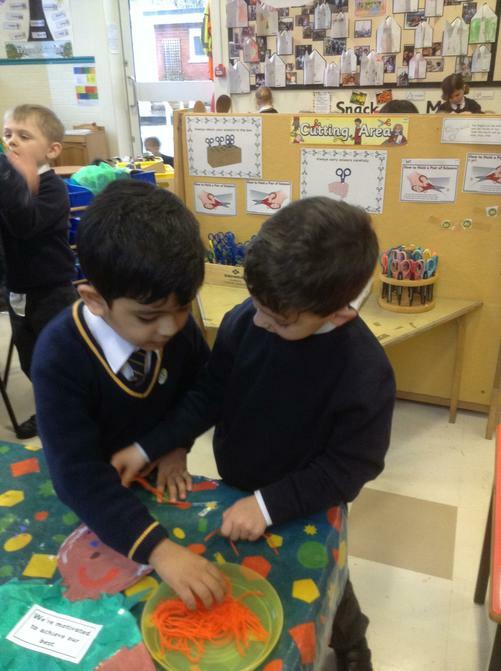 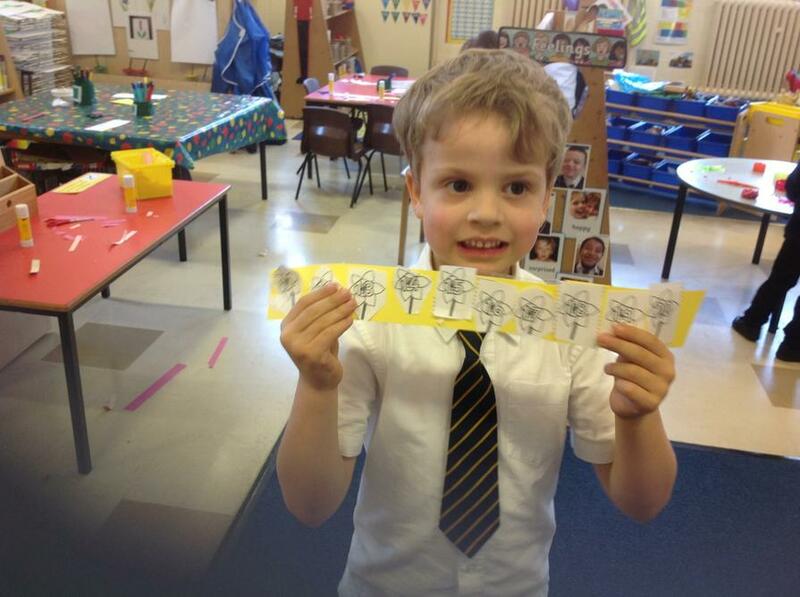 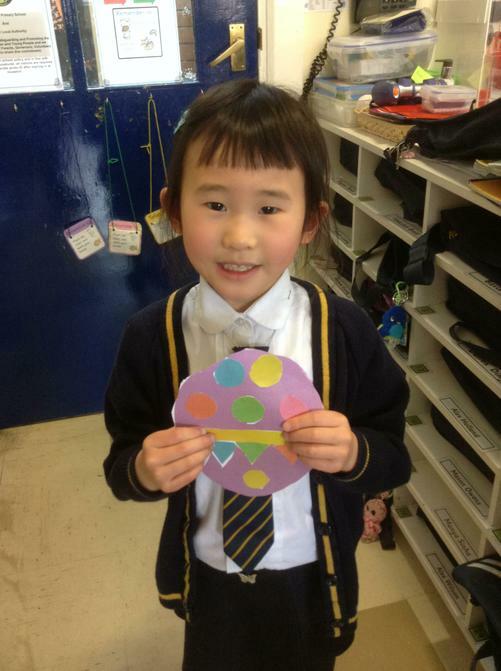 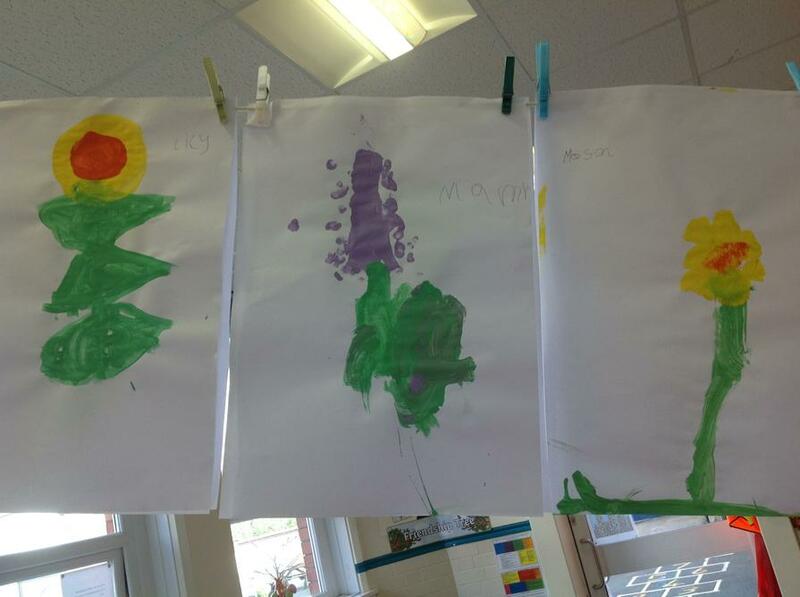 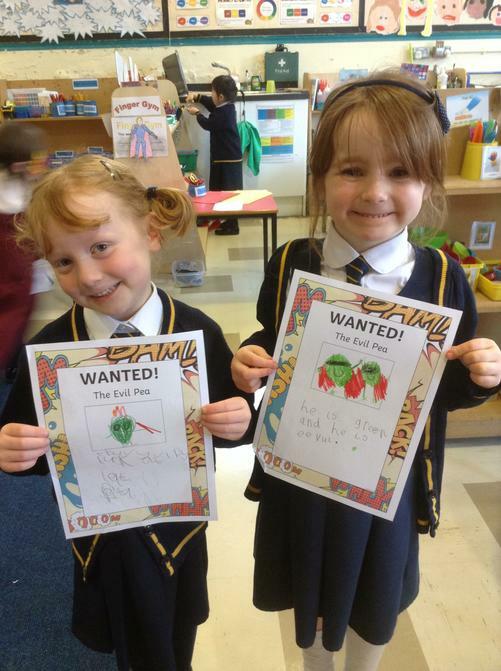 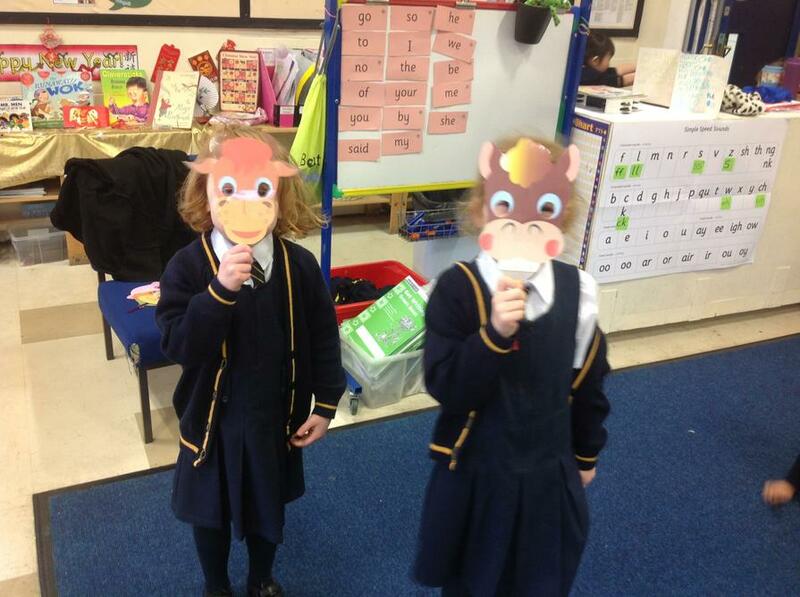 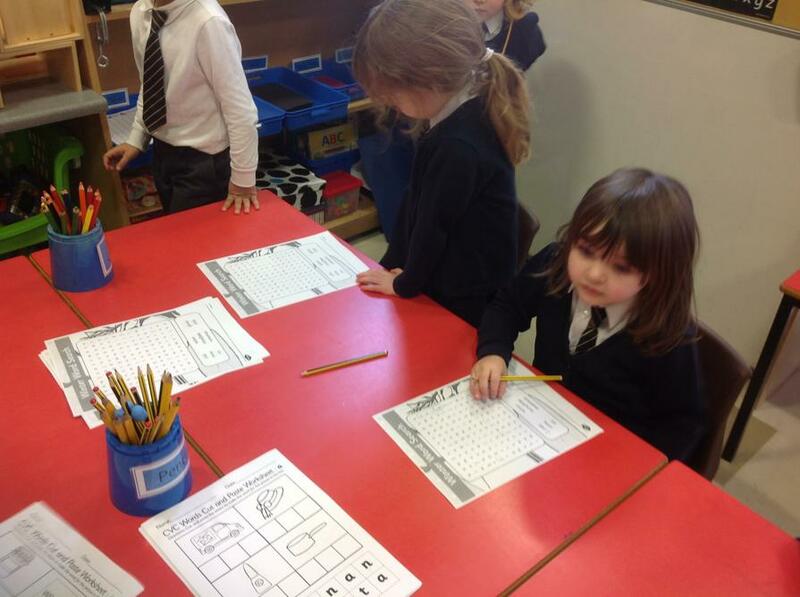 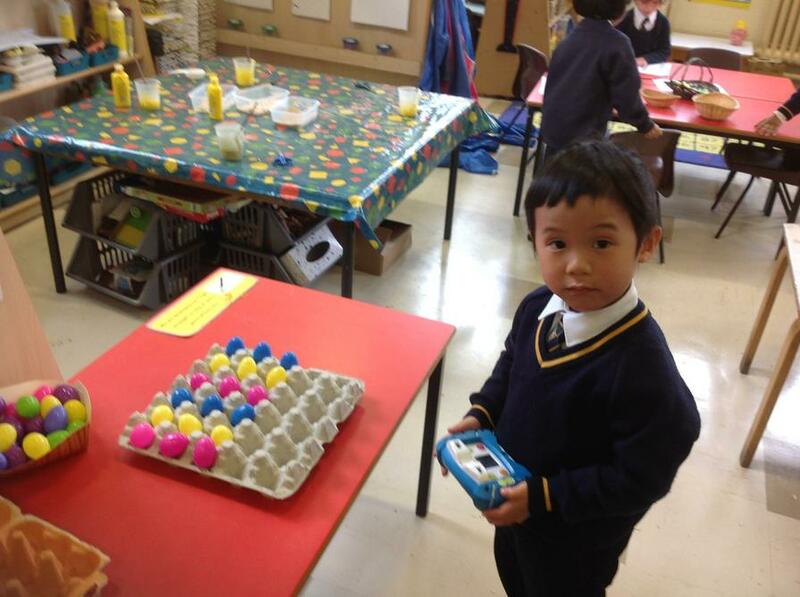 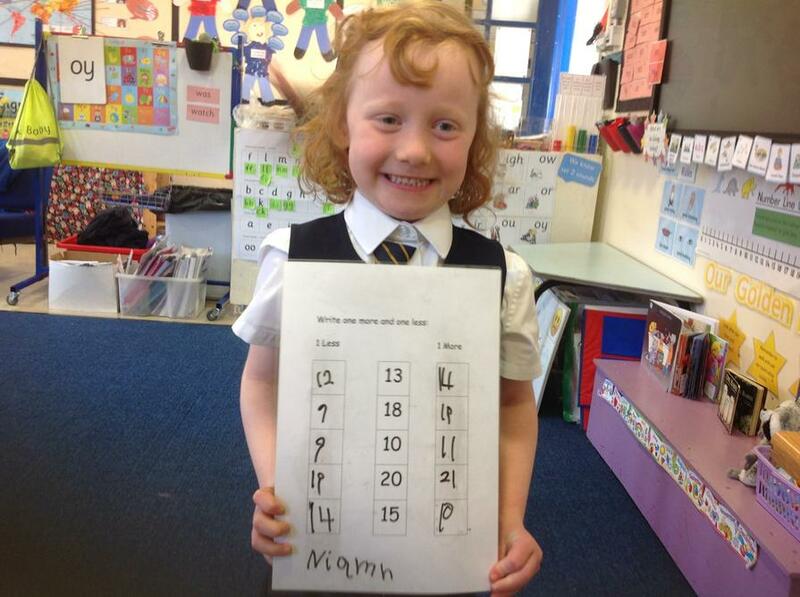 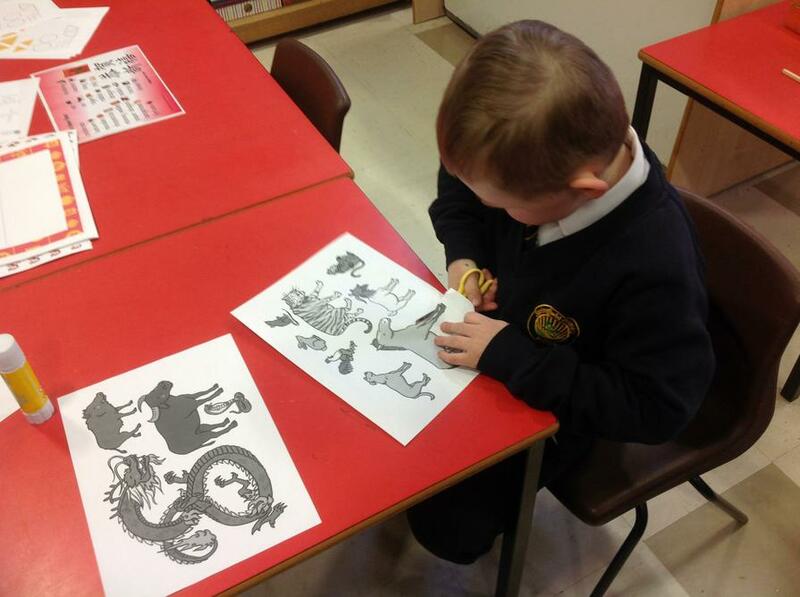 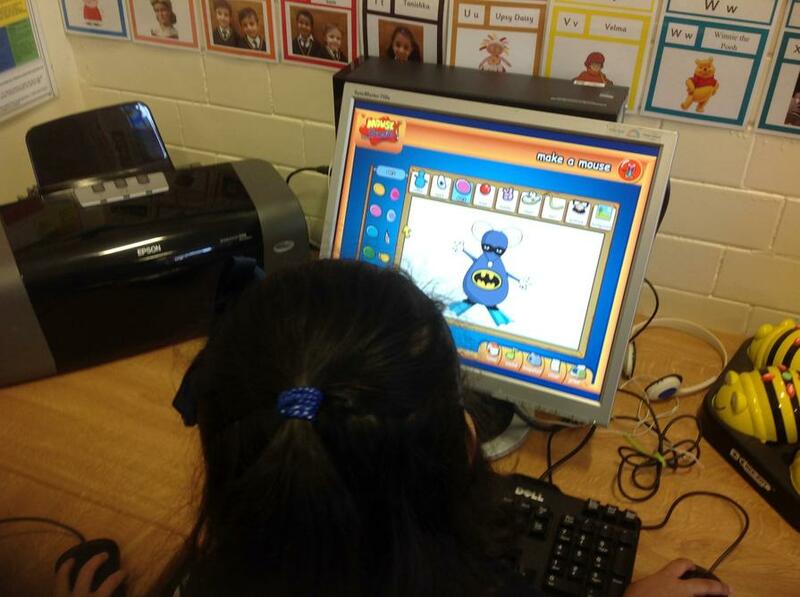 We have had lots of fun and we are ready to use them when we learning in school. 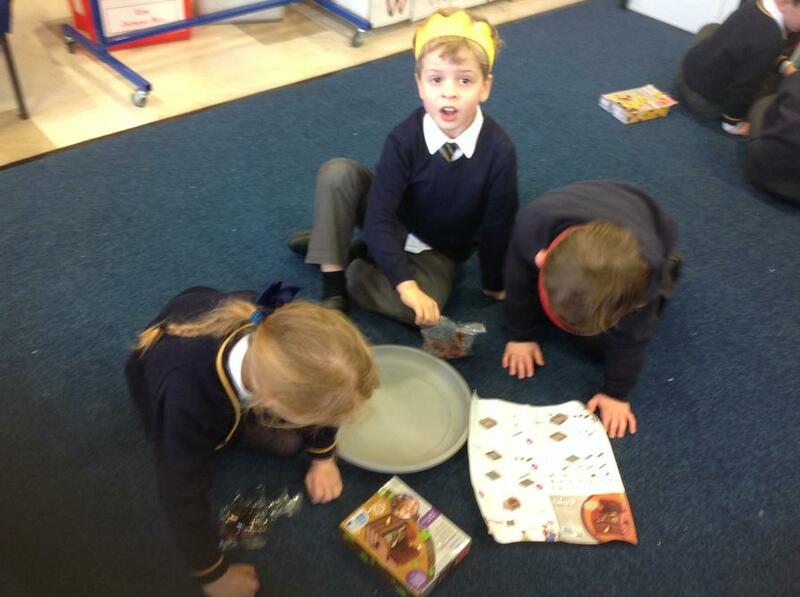 Have a look at the values here. 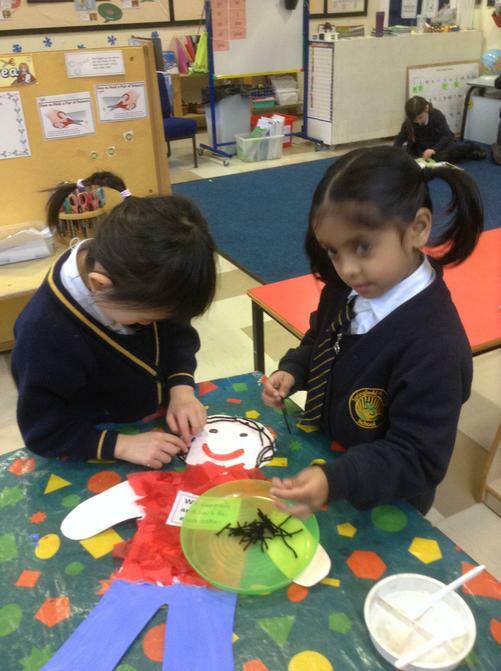 We support and care for each other. 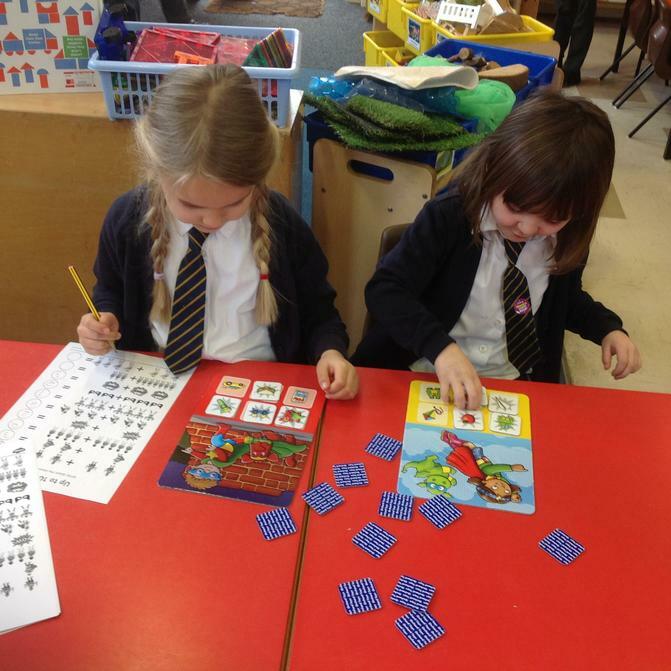 We challenge ourselves to learn. 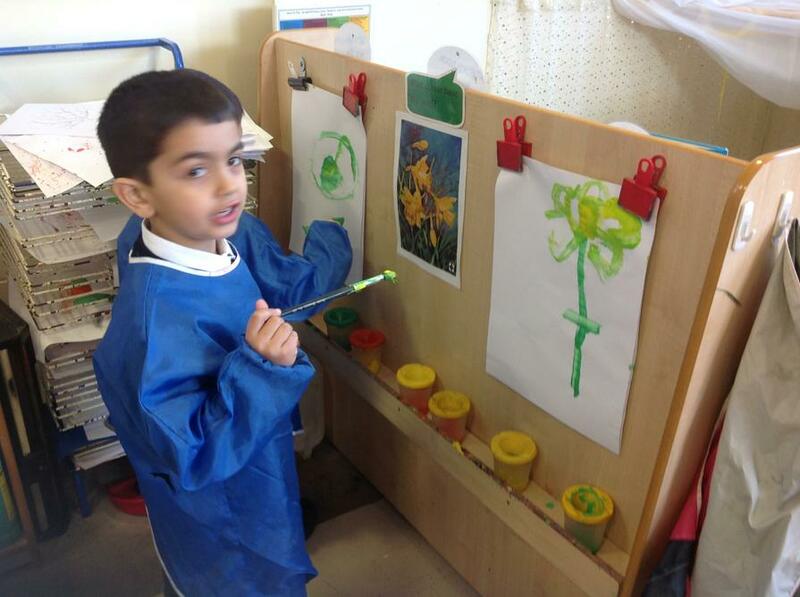 We are motivated to achieve our best. 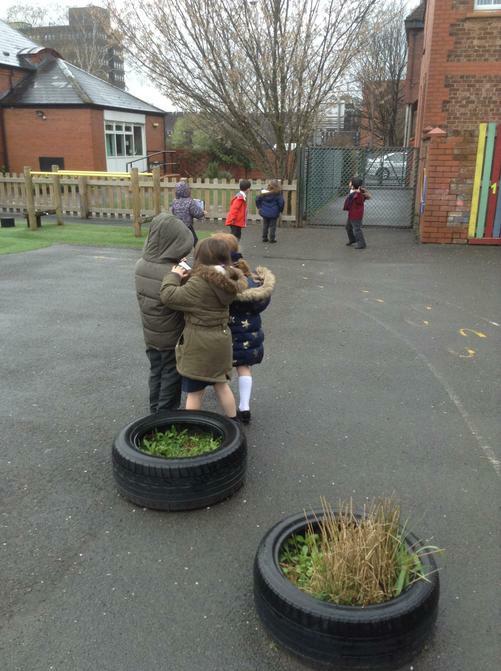 Together, we are a team. 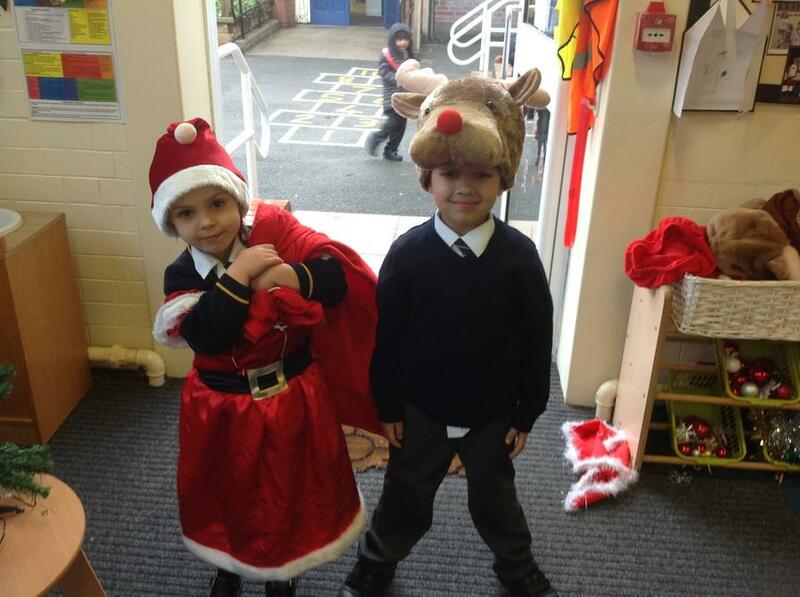 We hope you had a fantastic break. 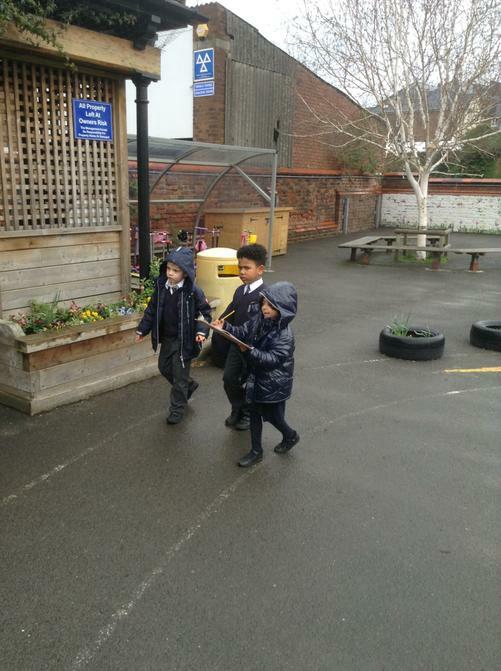 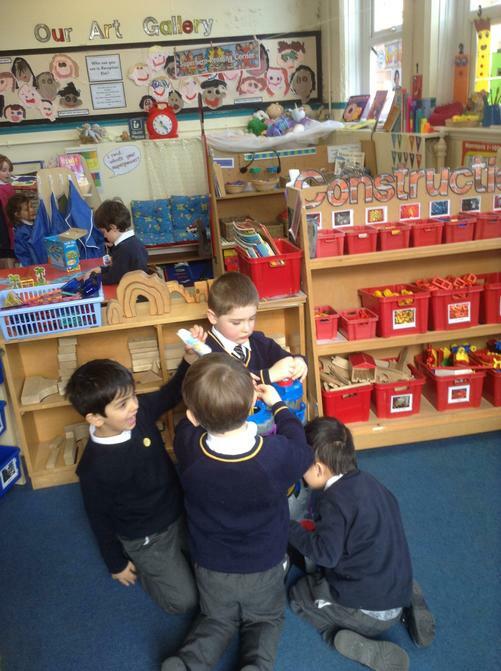 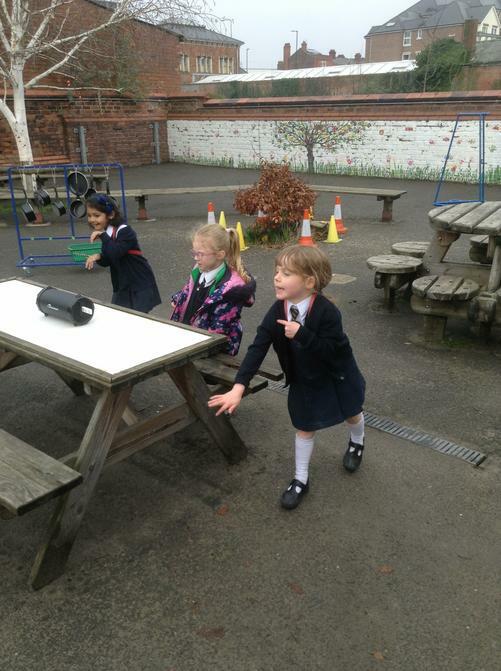 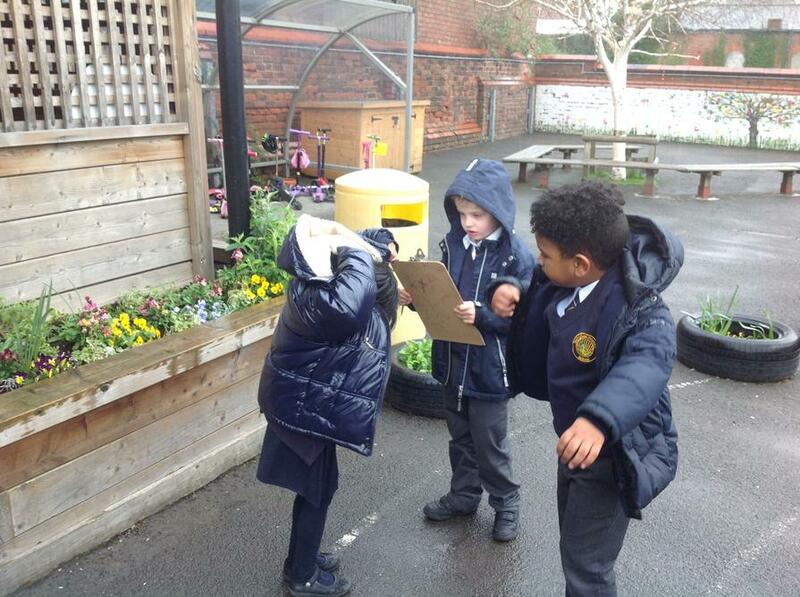 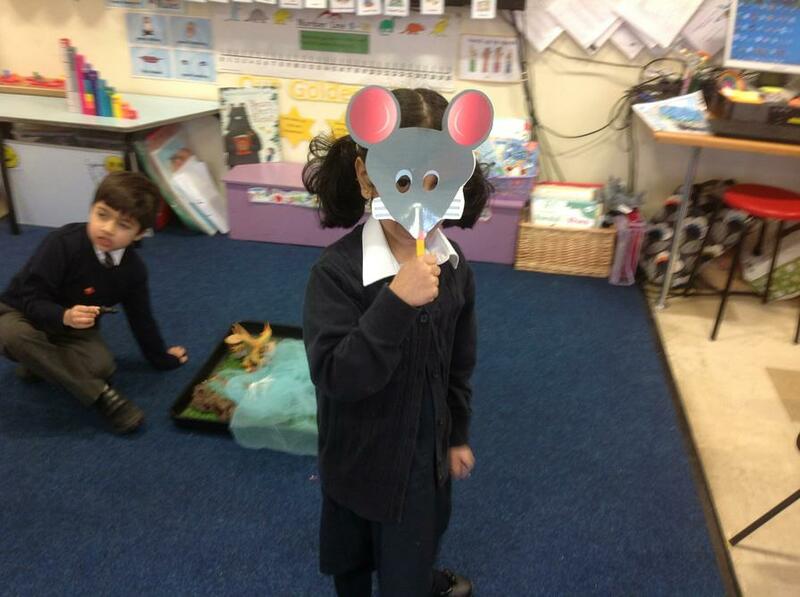 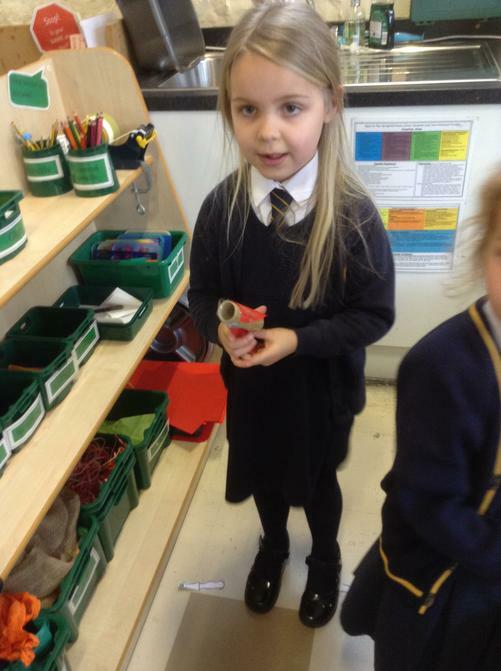 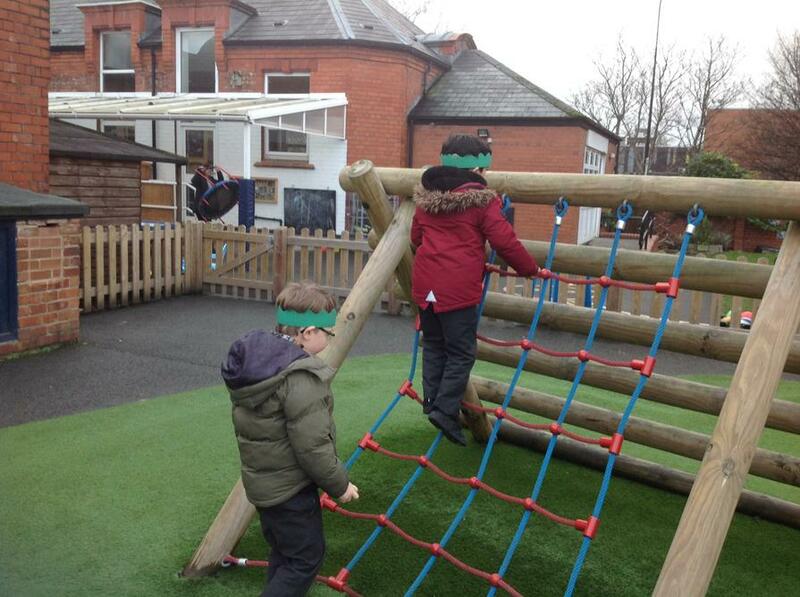 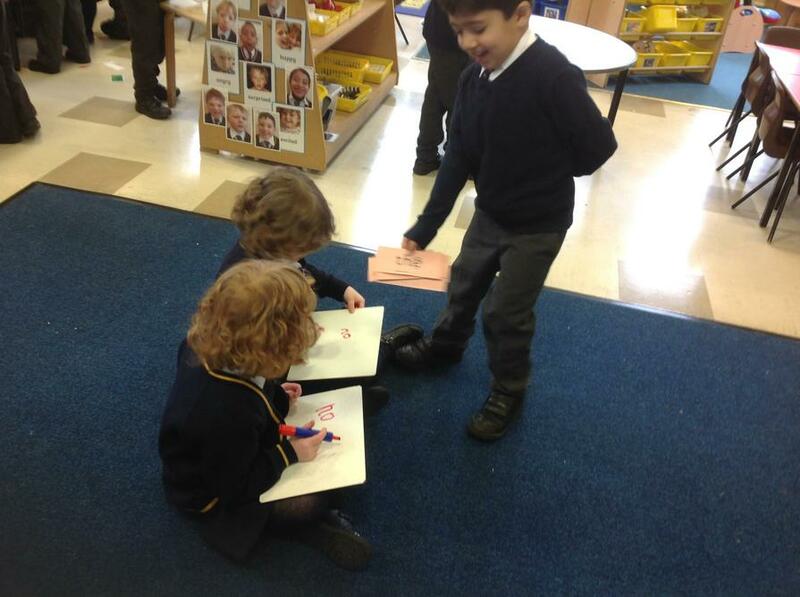 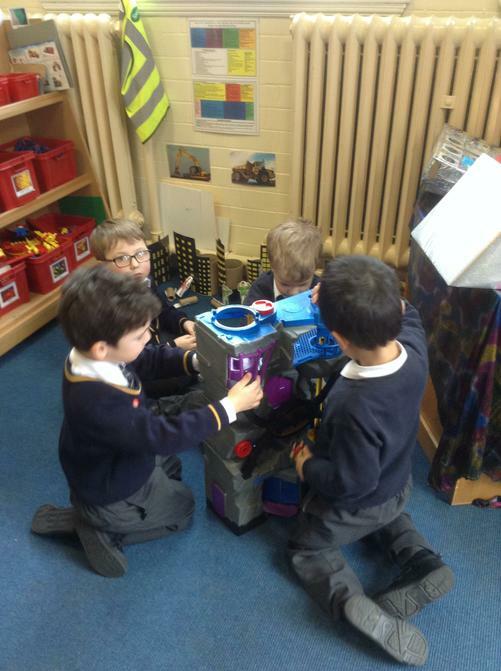 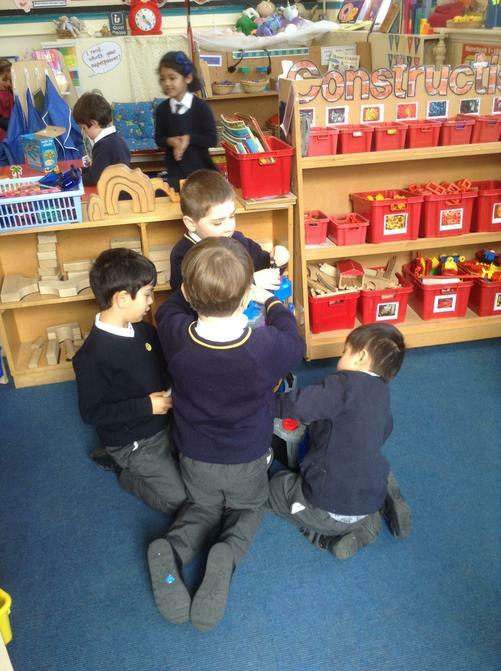 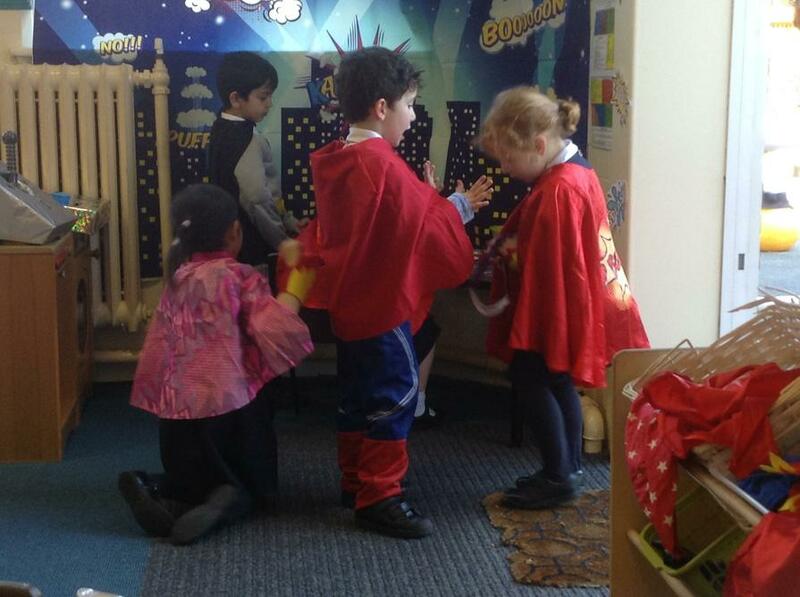 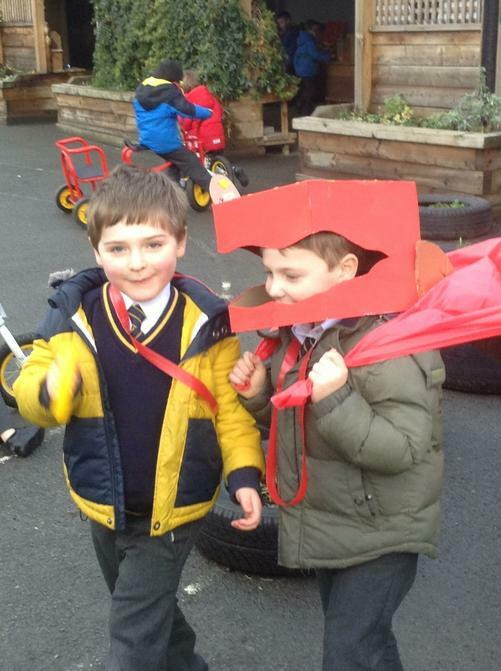 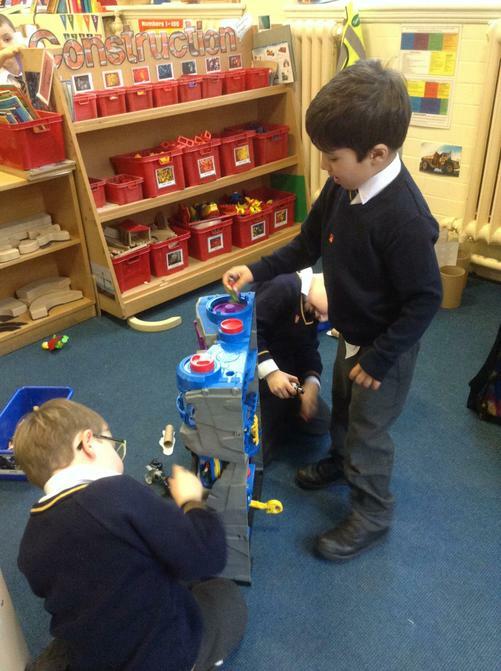 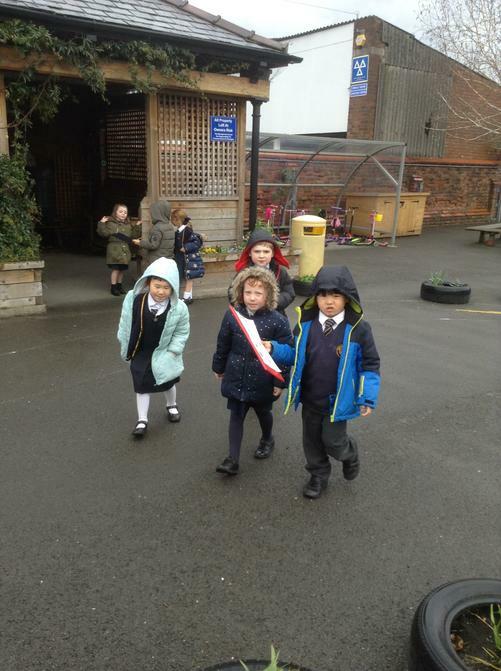 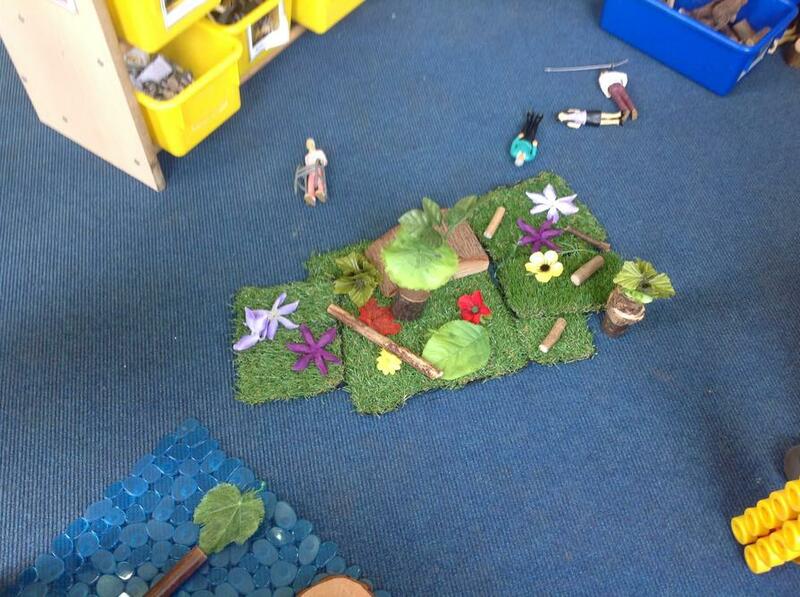 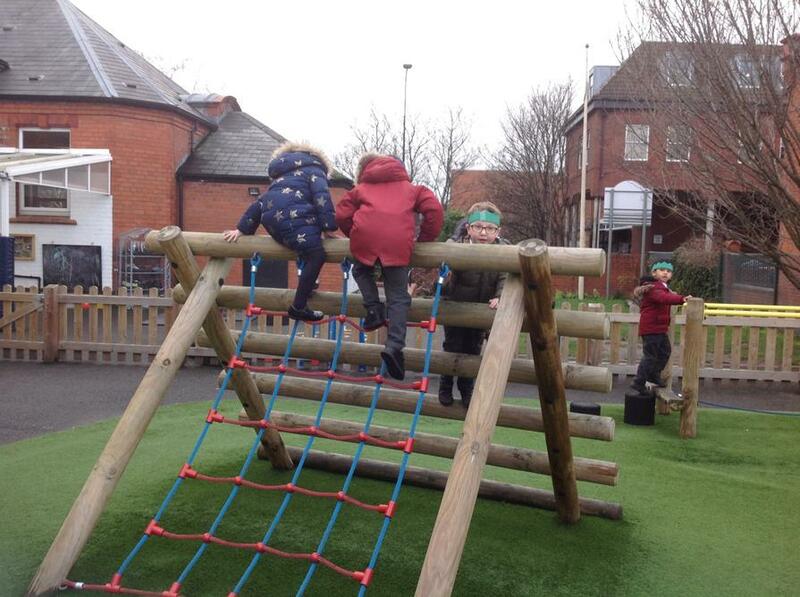 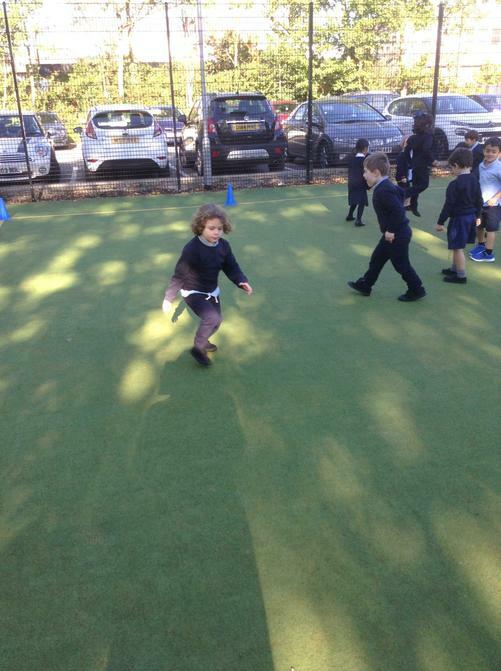 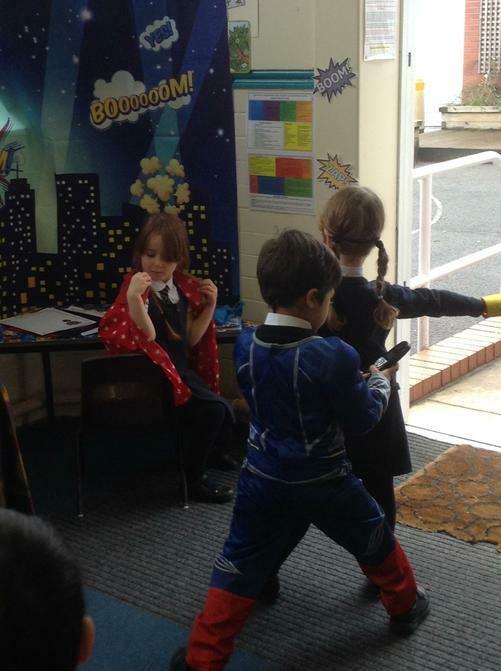 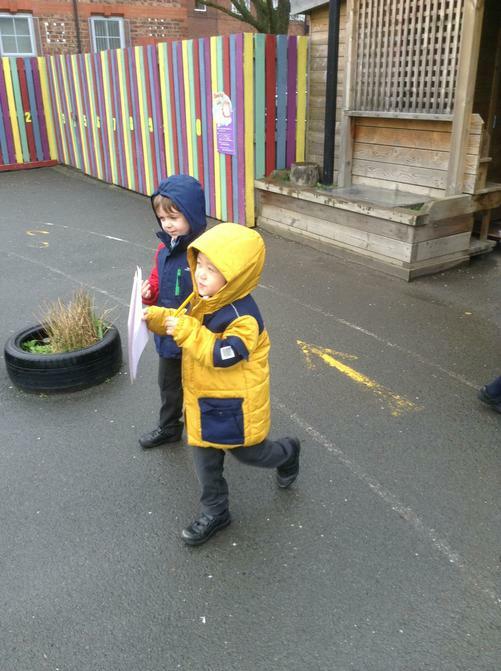 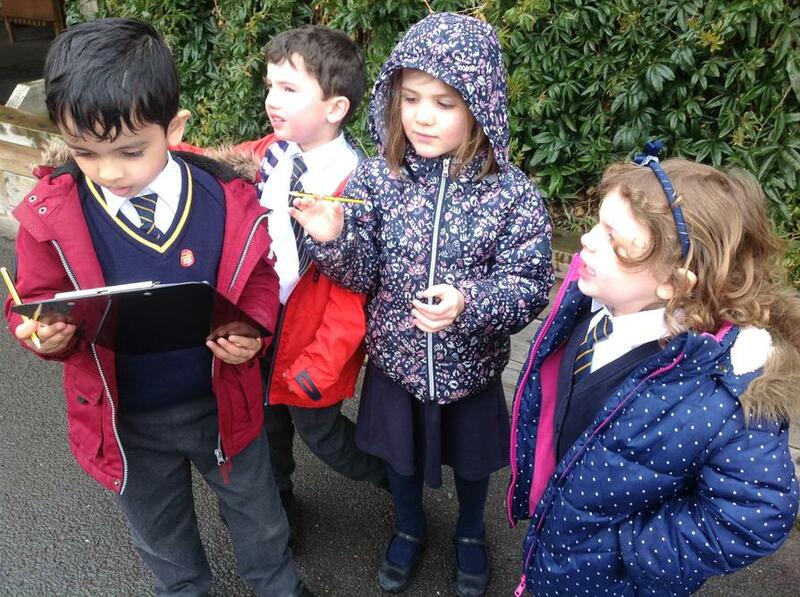 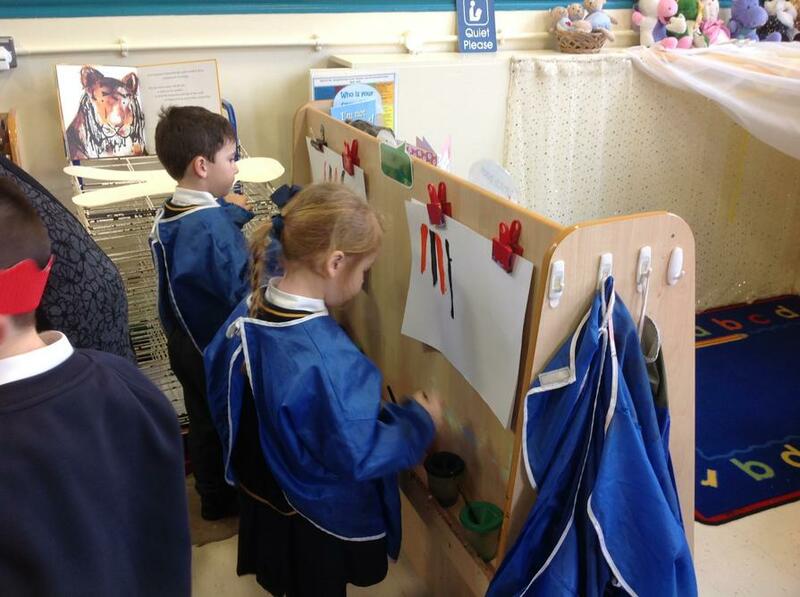 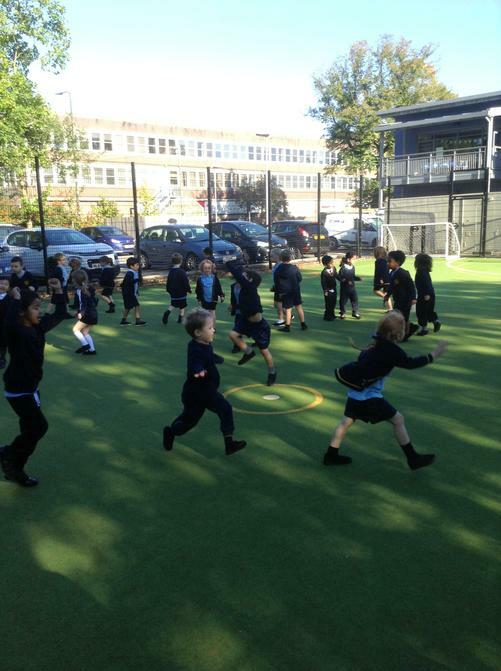 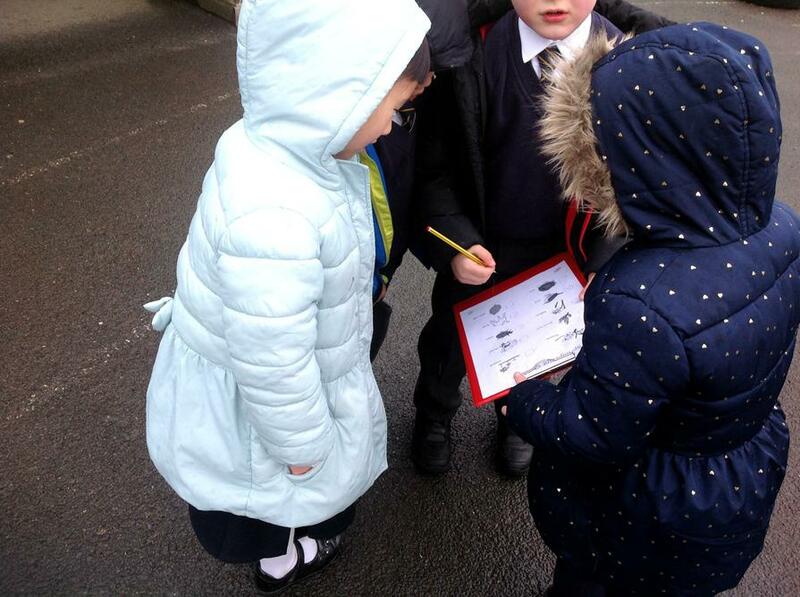 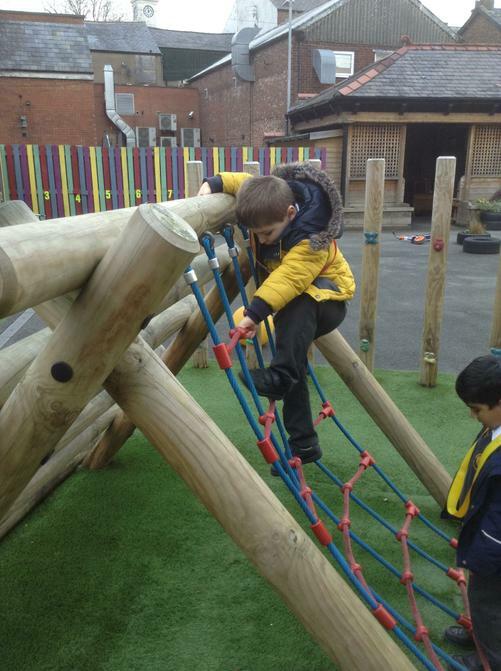 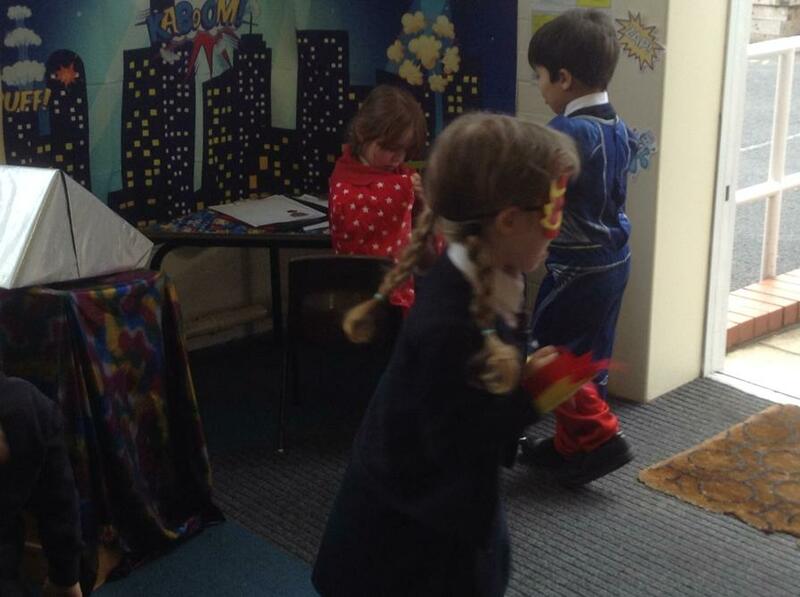 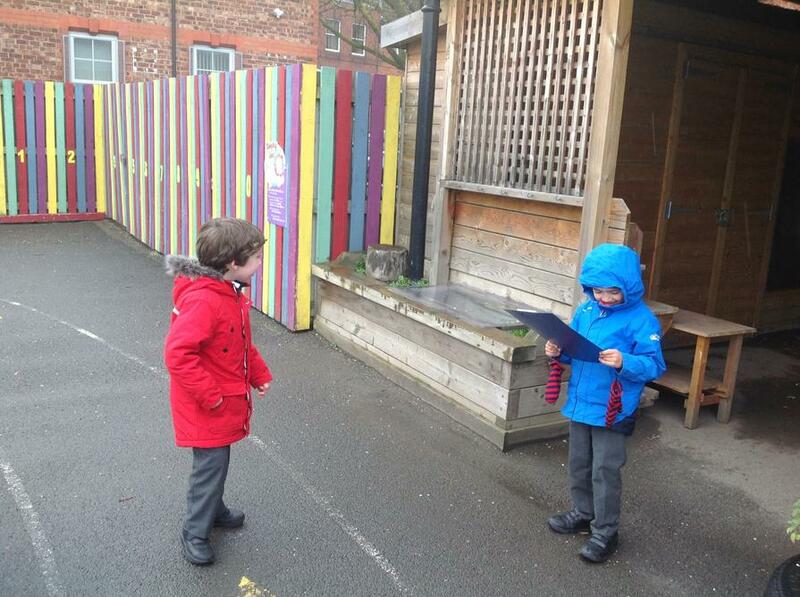 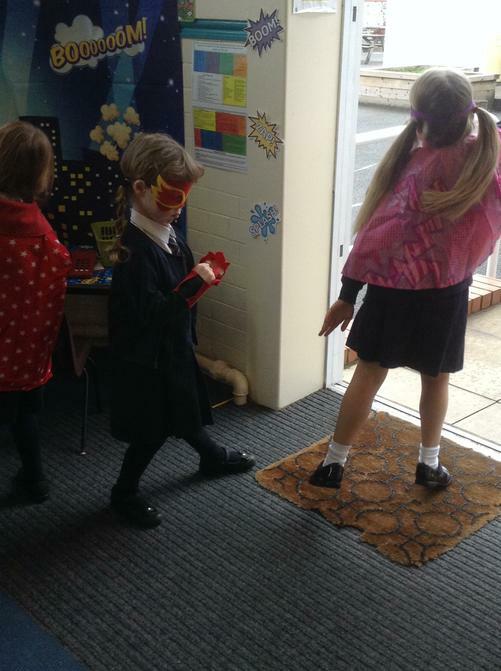 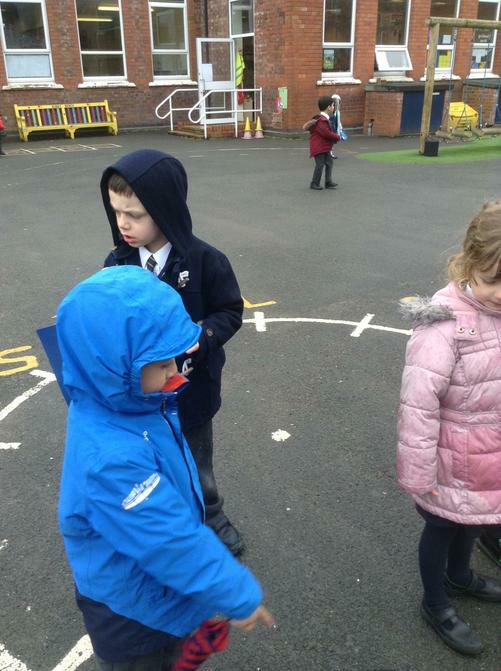 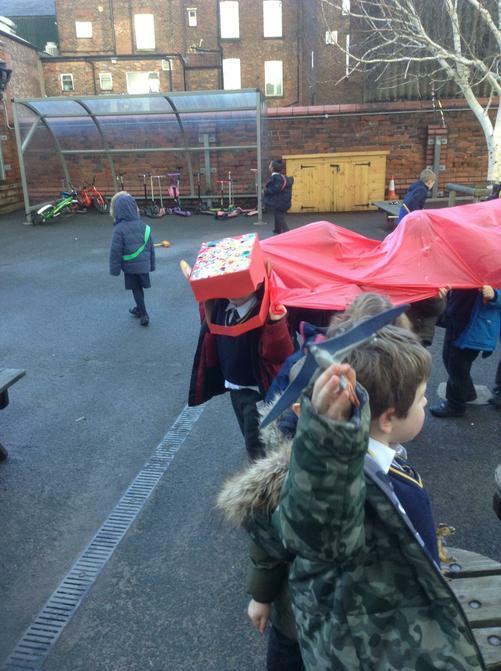 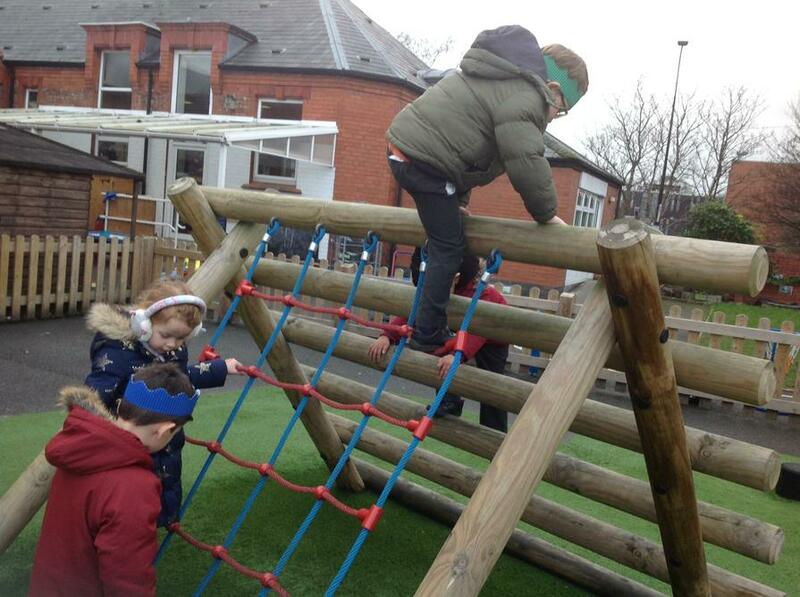 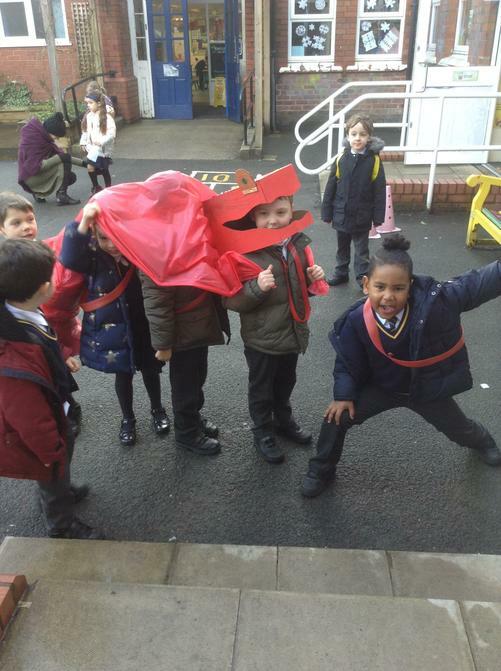 The children have come back with adventures to share and they are eager and ready to learn. 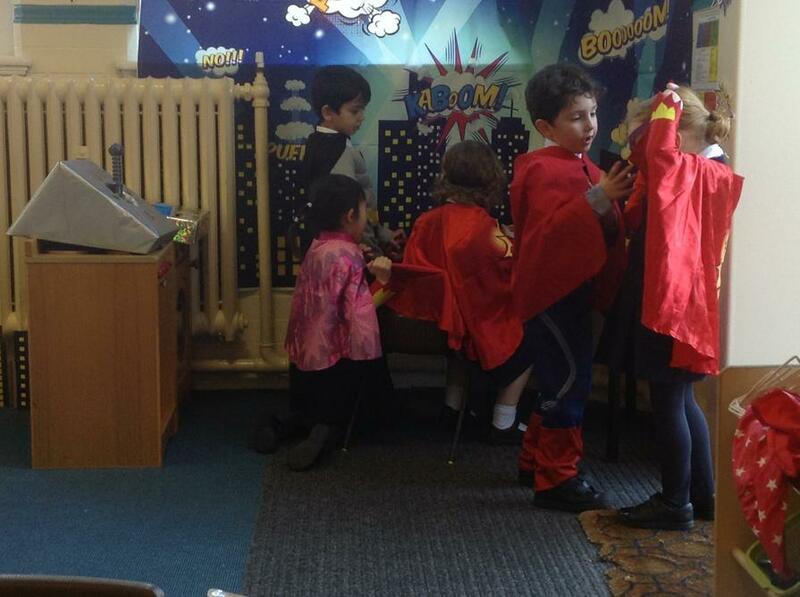 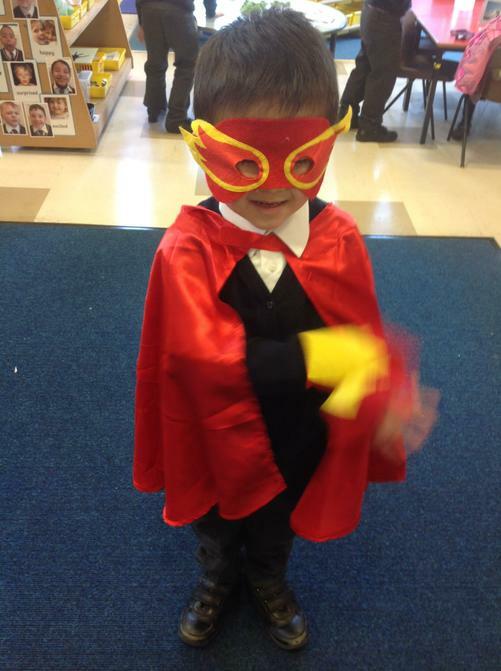 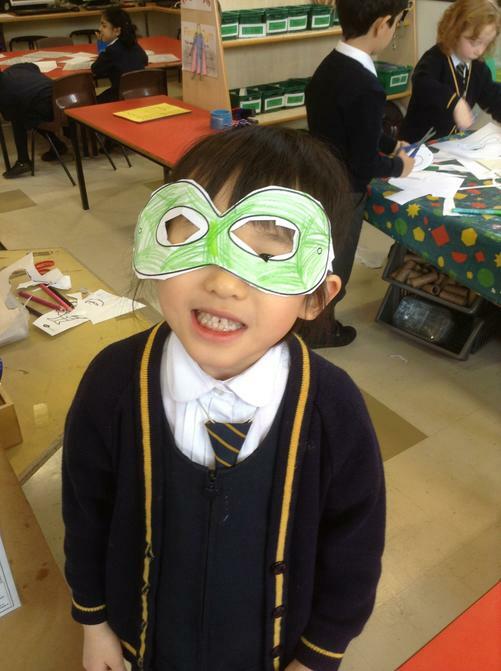 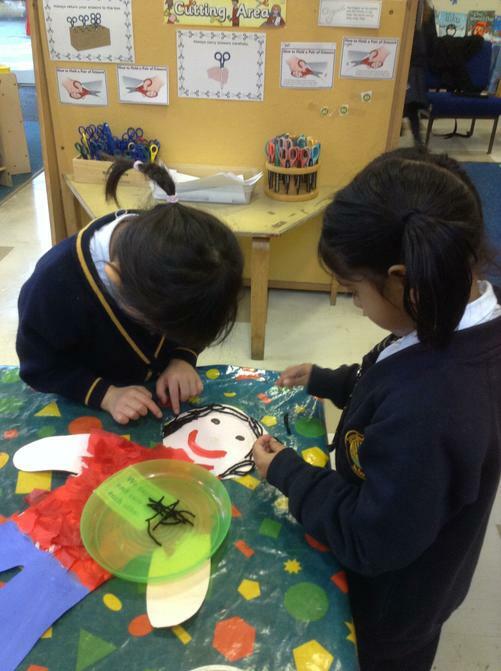 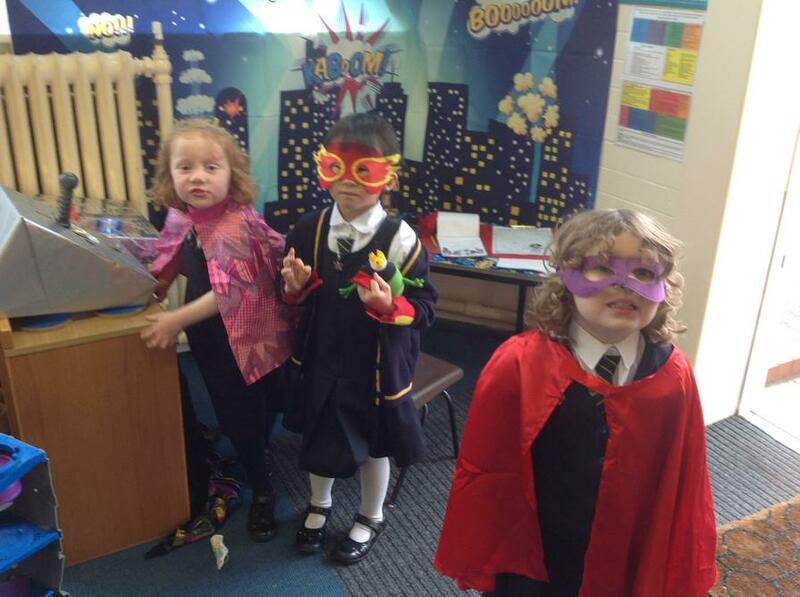 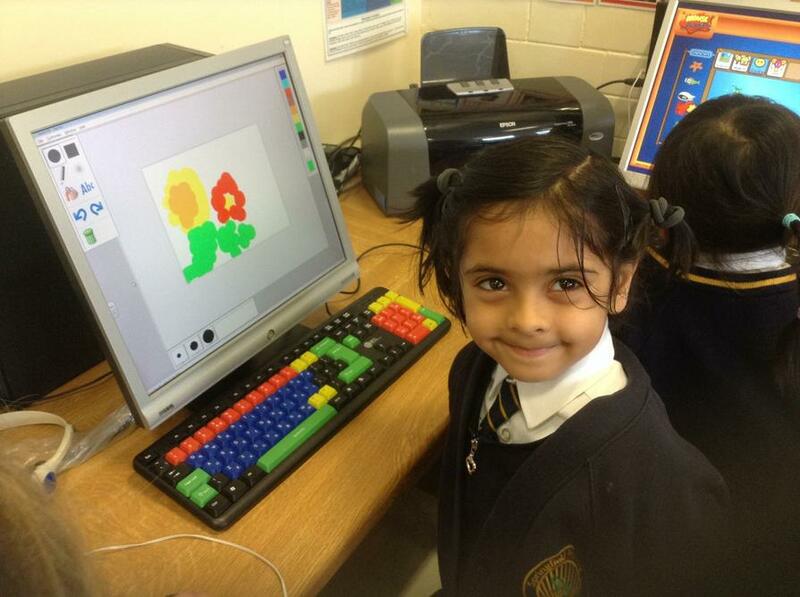 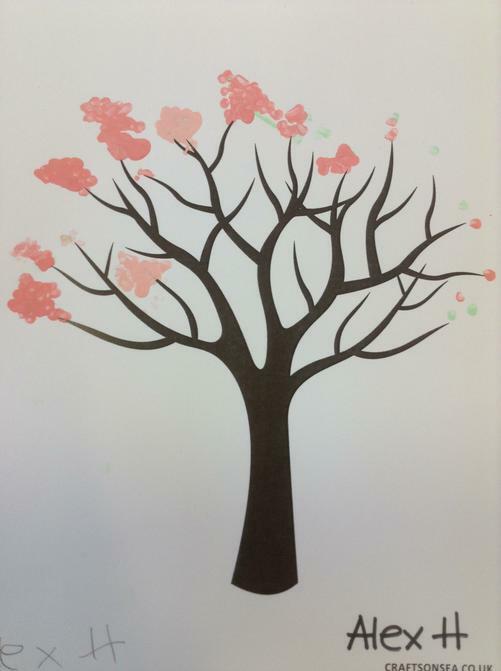 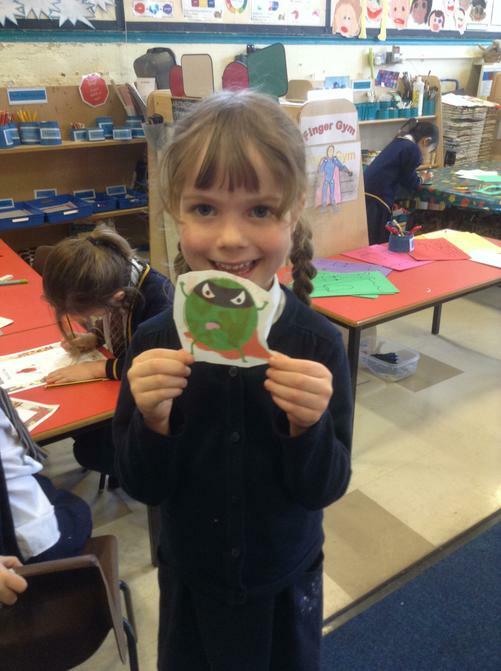 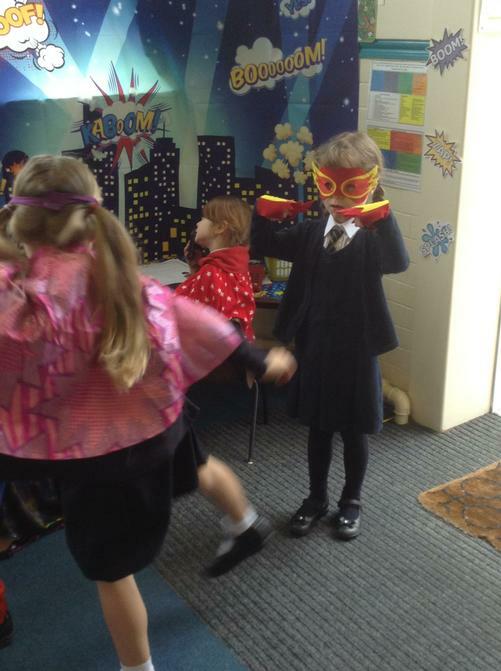 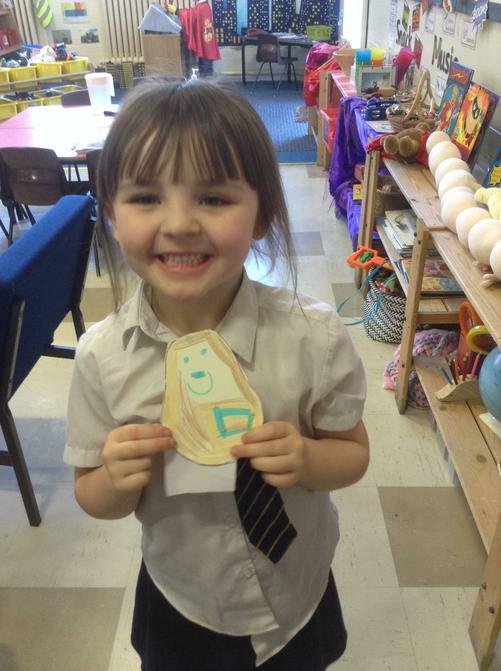 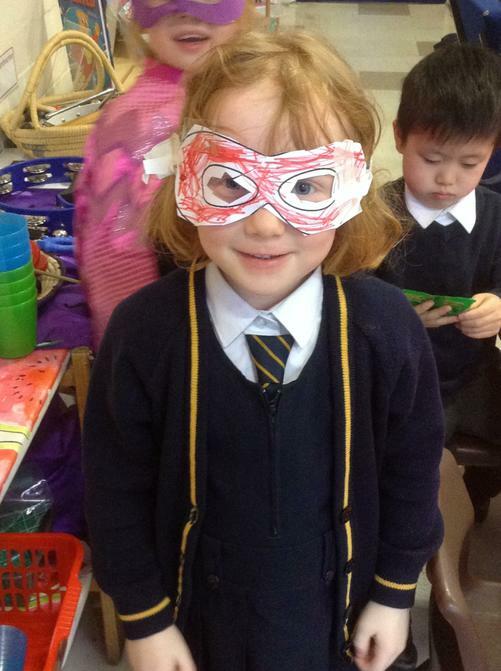 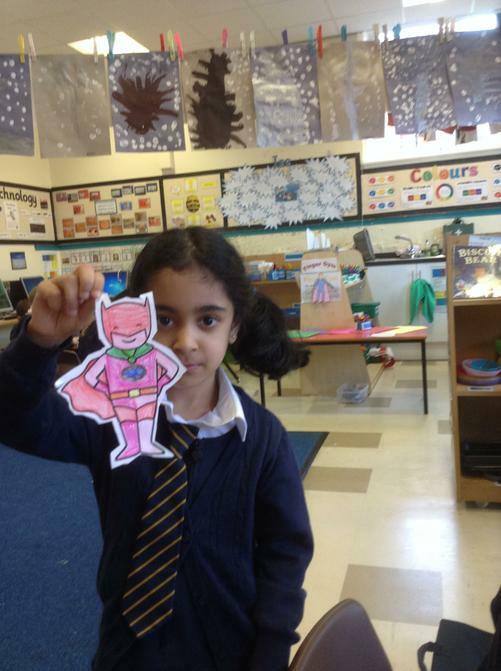 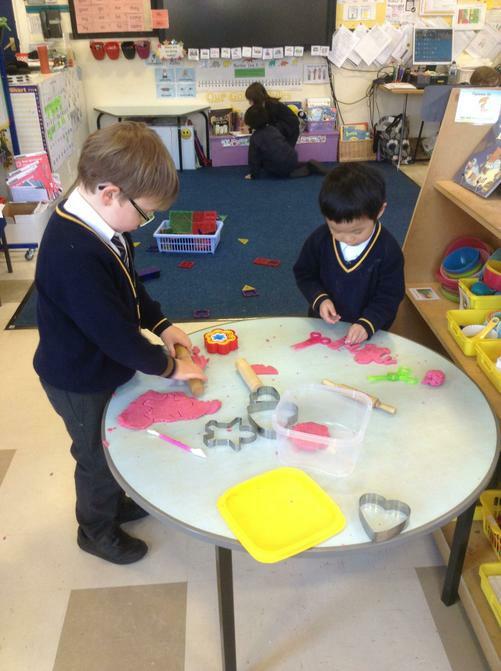 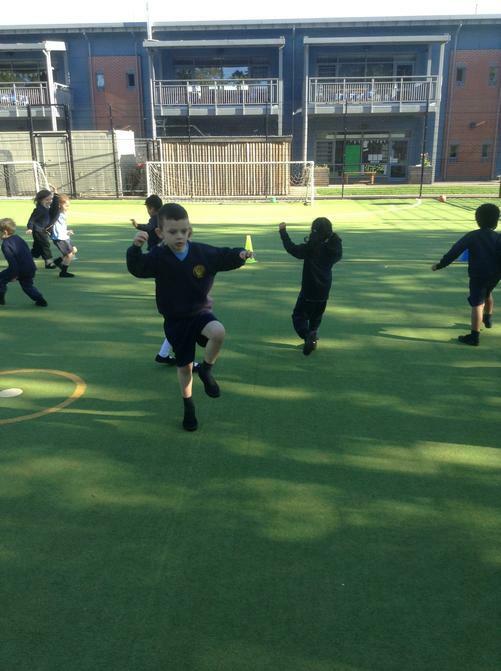 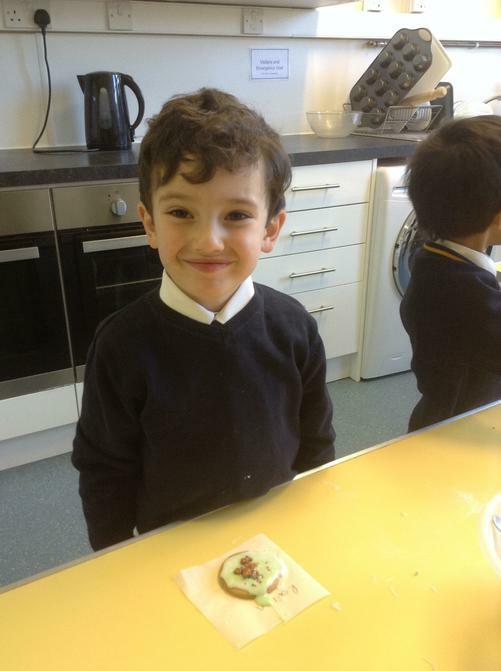 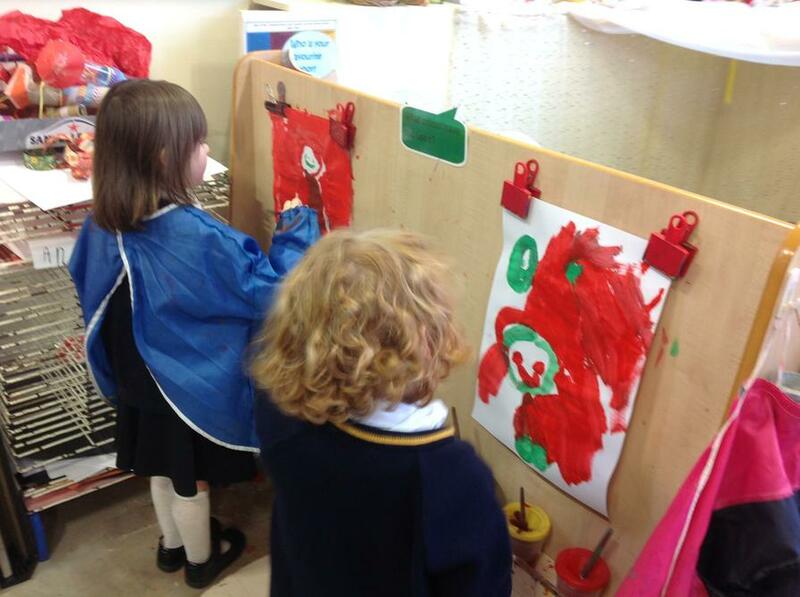 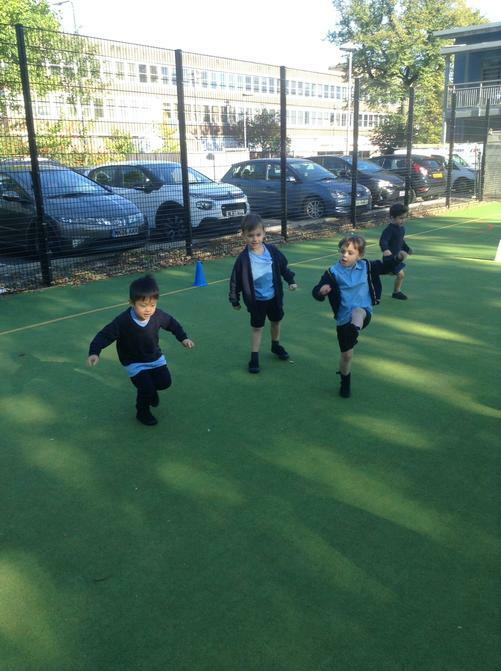 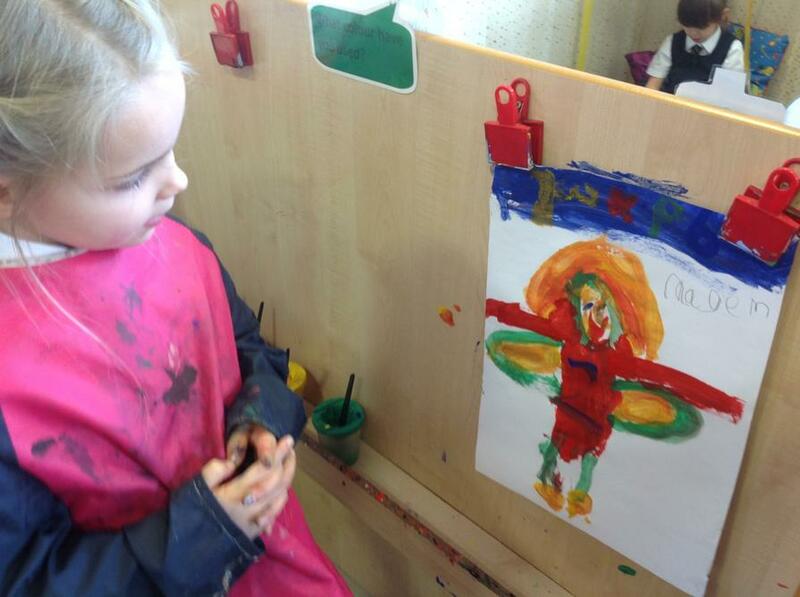 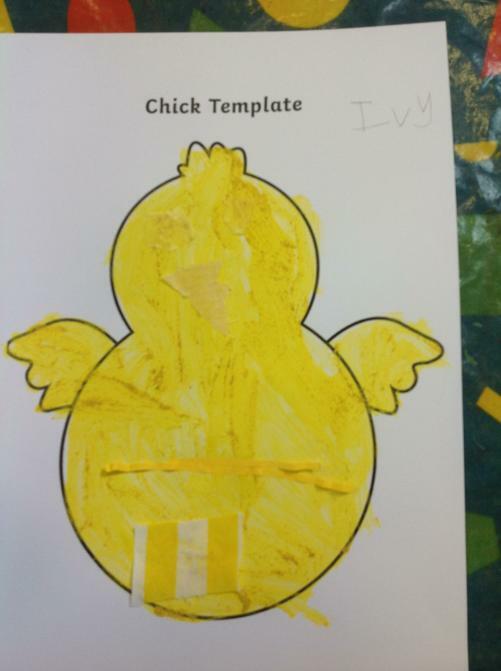 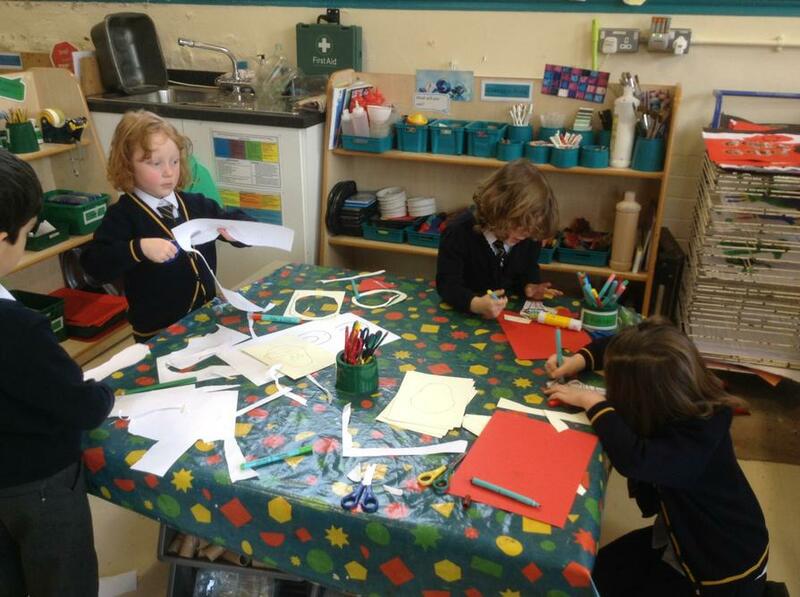 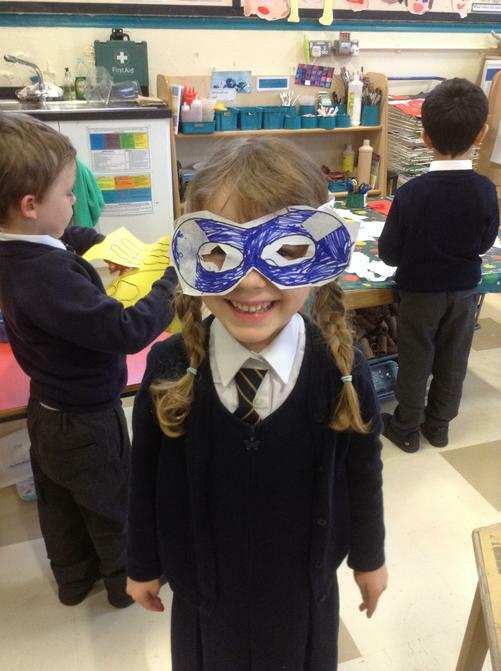 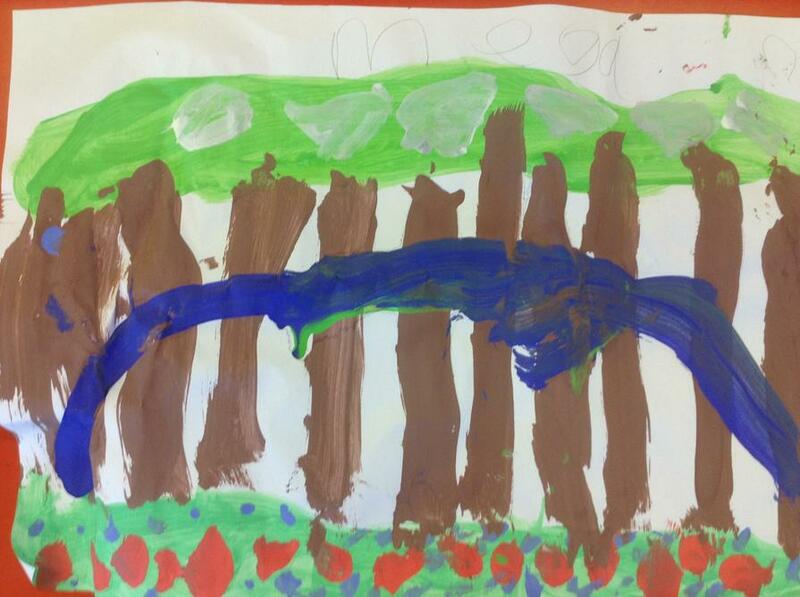 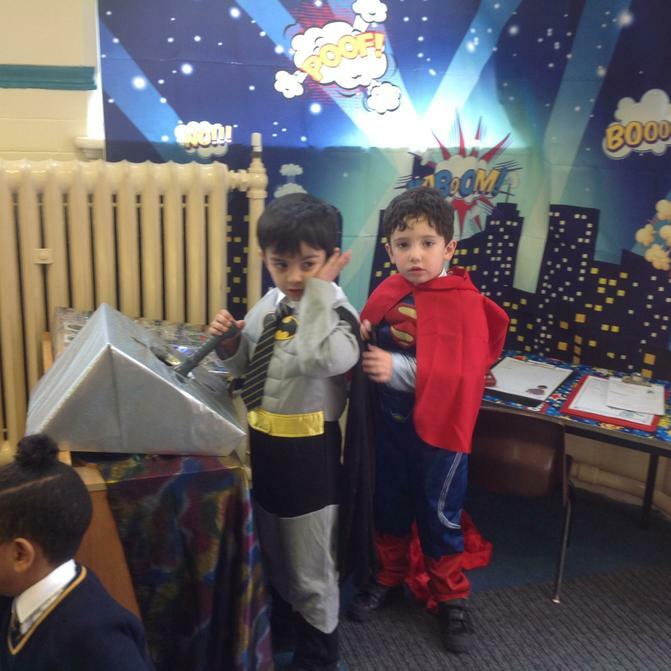 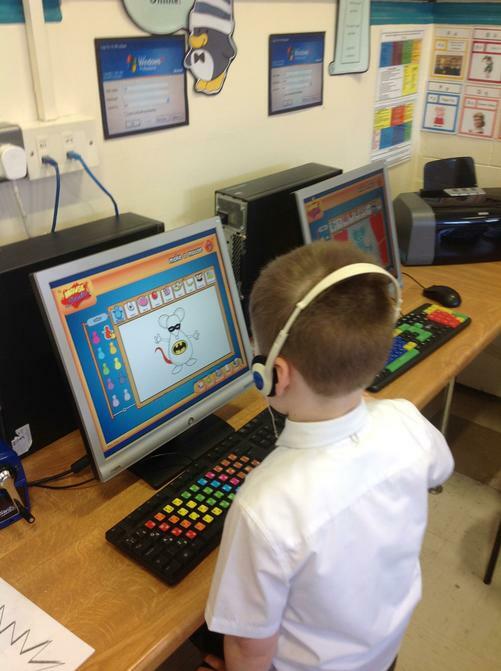 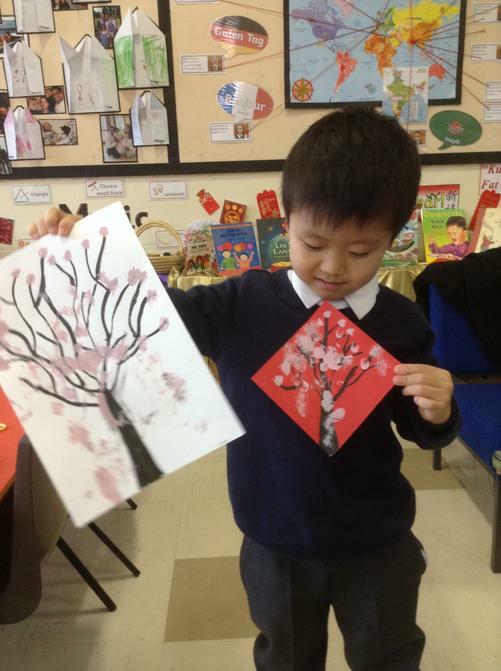 We will keep you posted about our learning this term and the new things that are happening! 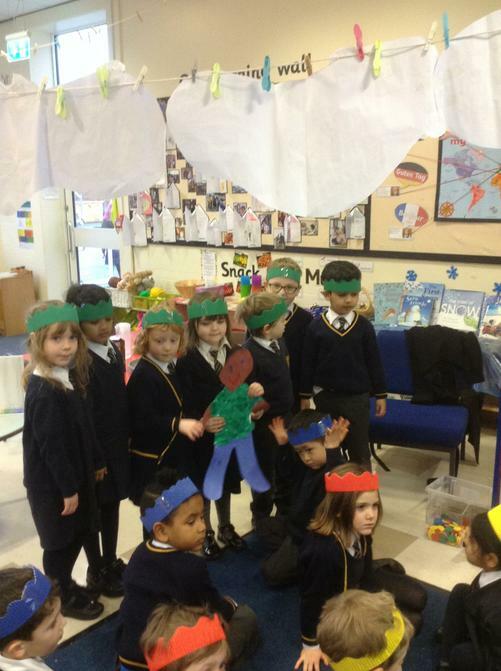 Our fantastic Nativity cast, looking amazing in their costumes! 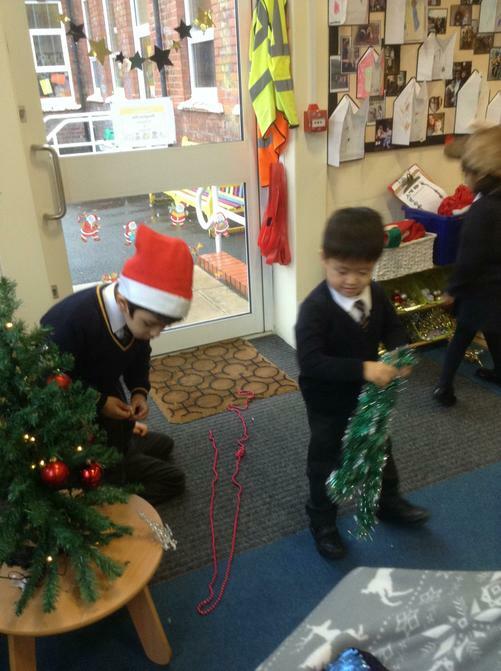 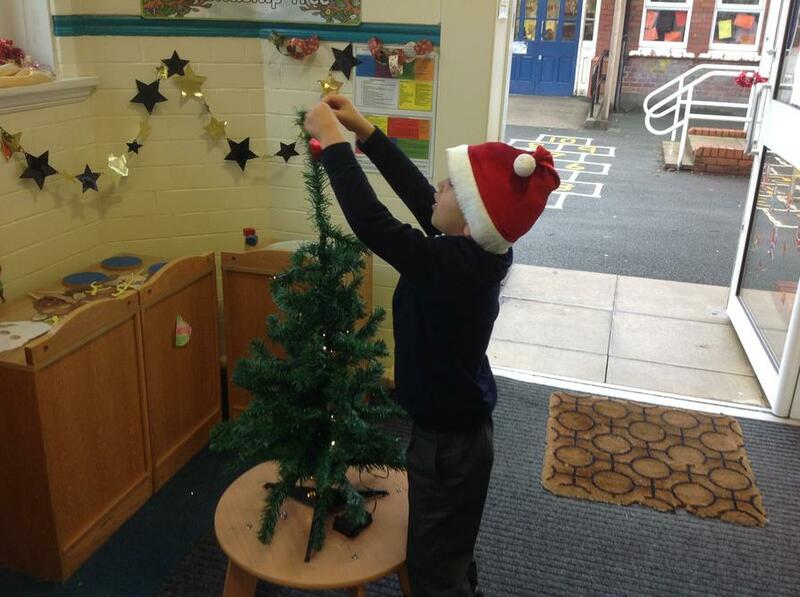 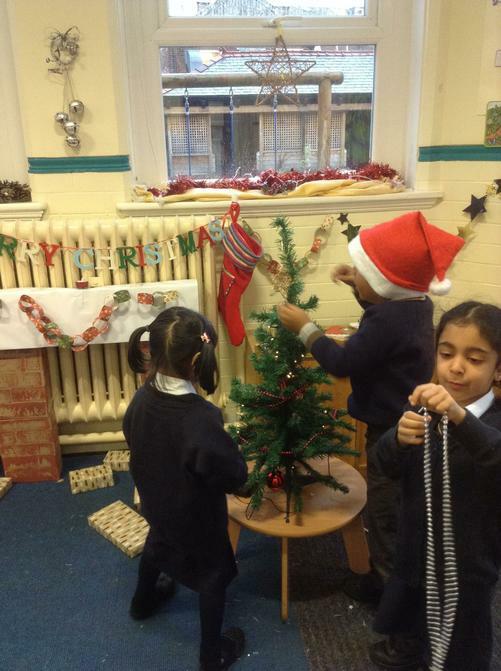 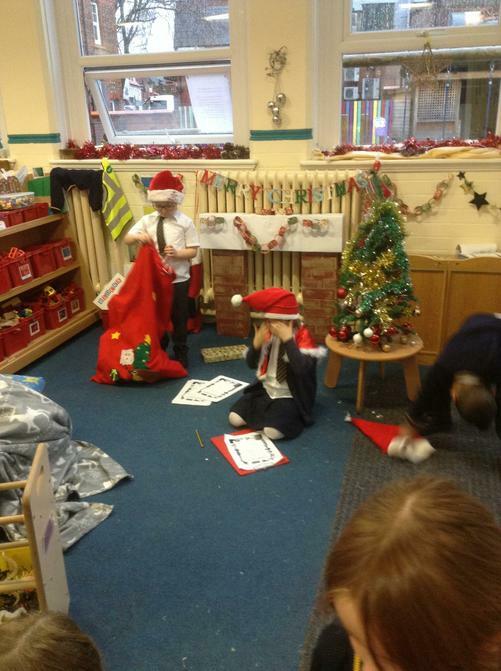 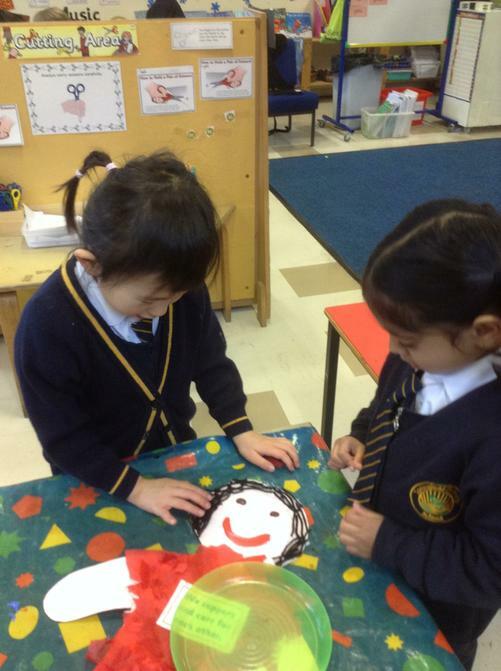 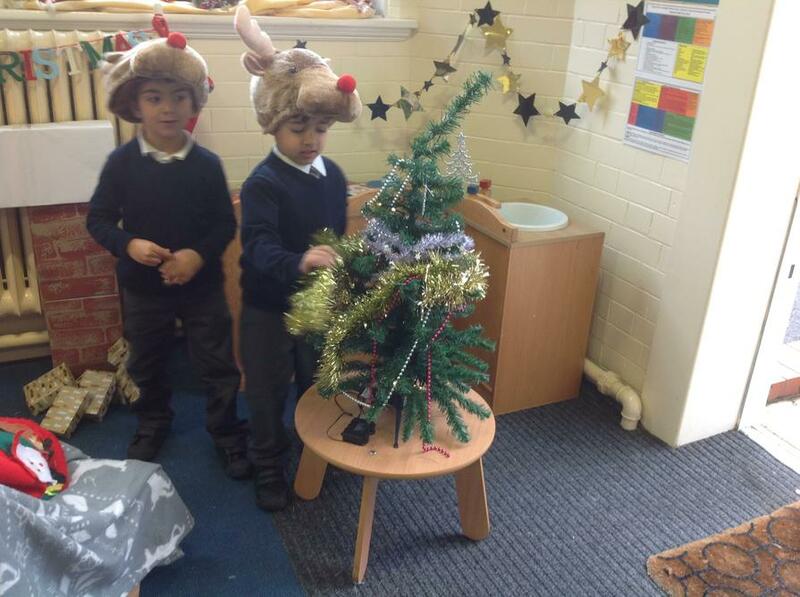 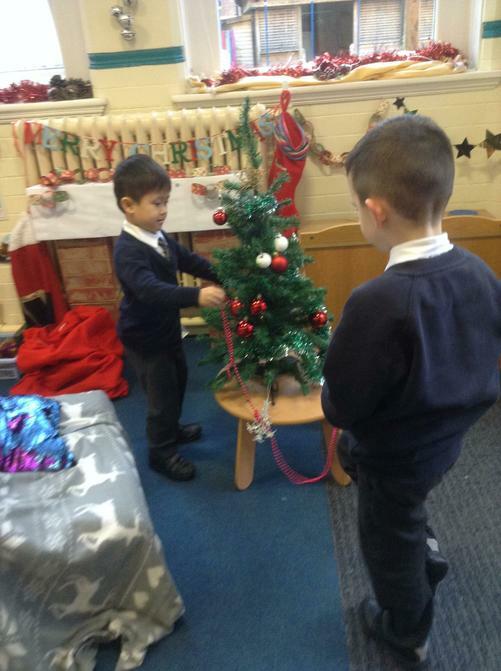 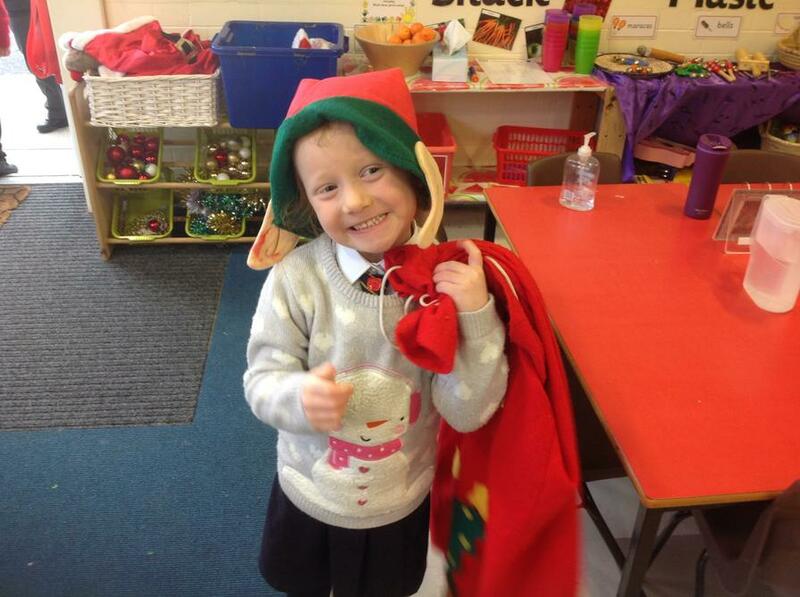 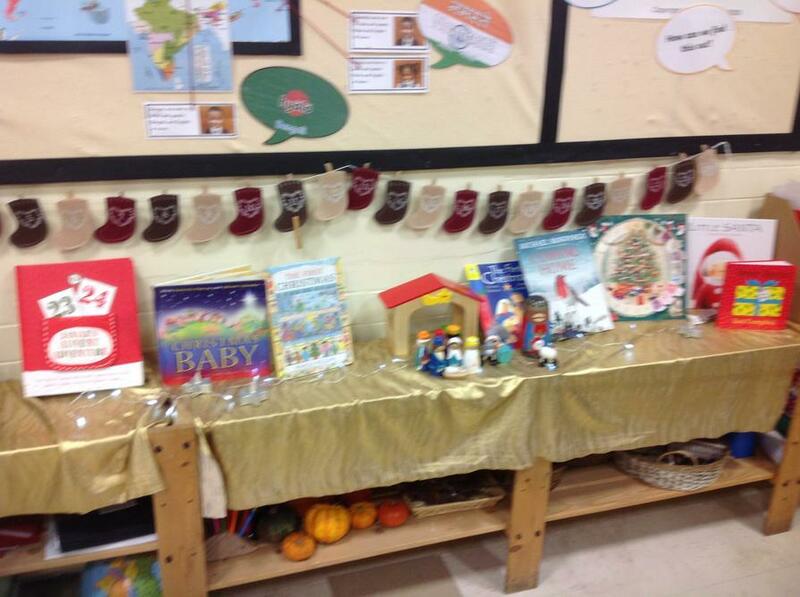 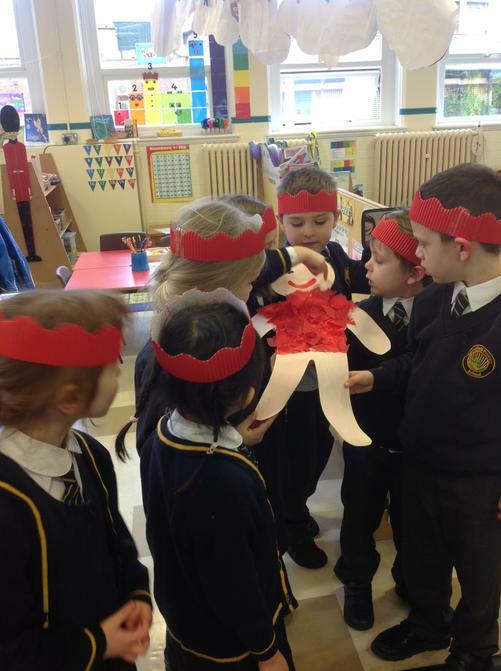 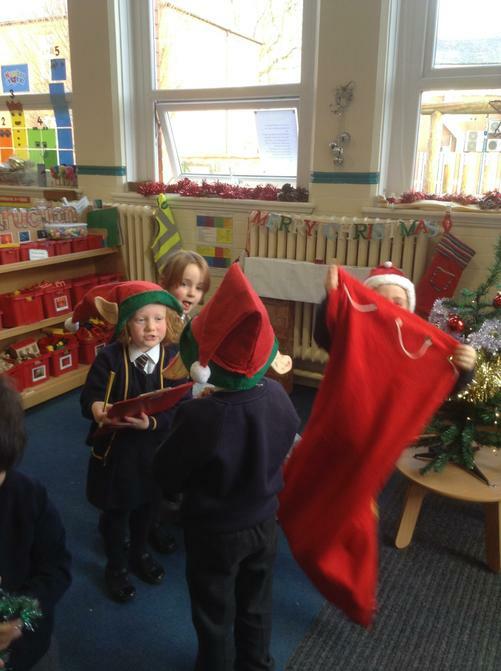 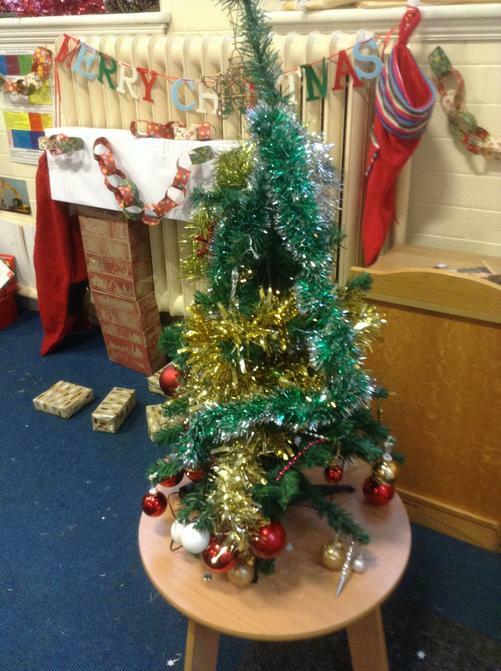 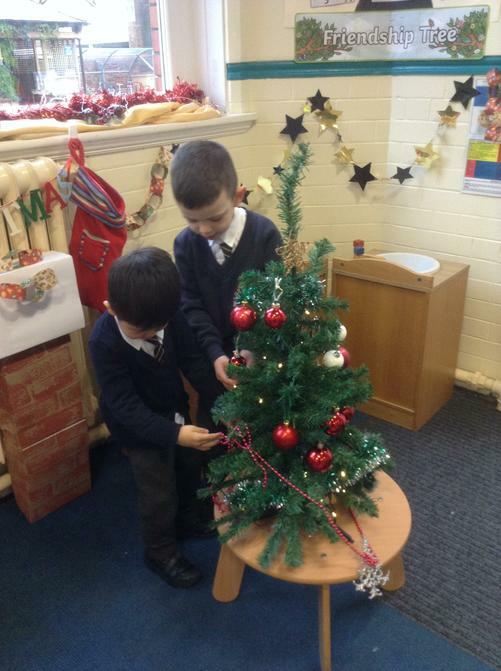 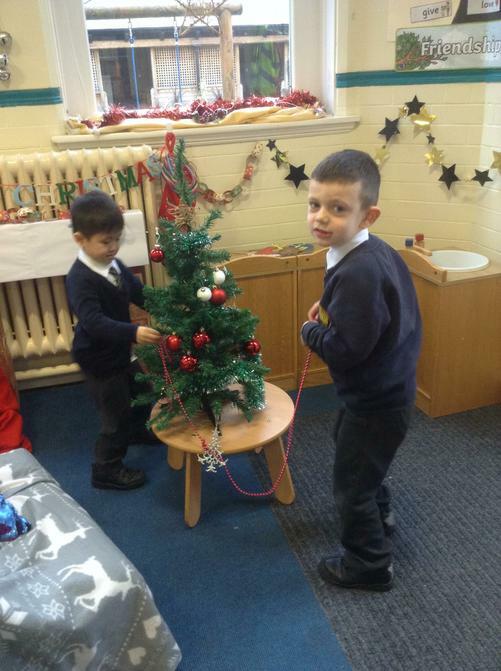 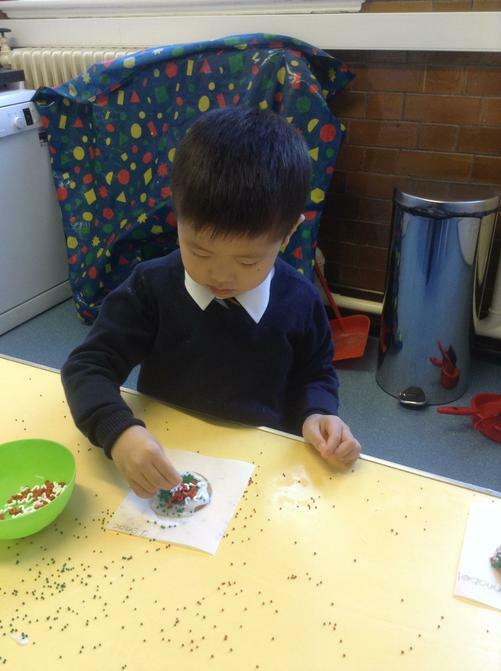 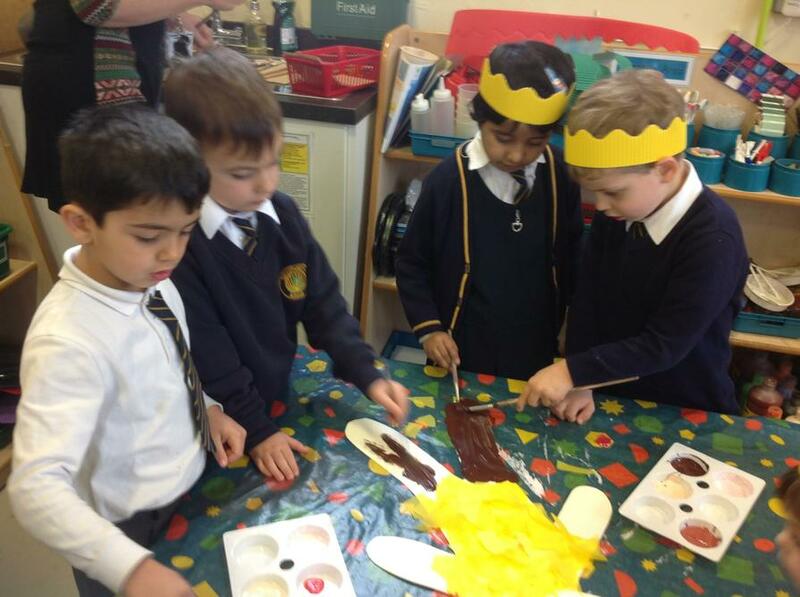 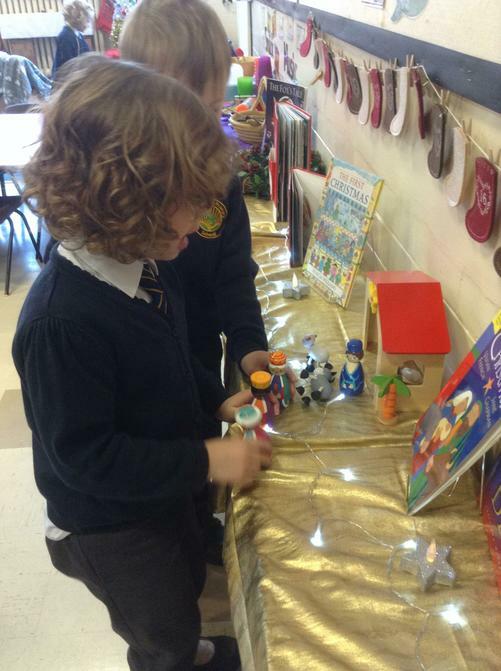 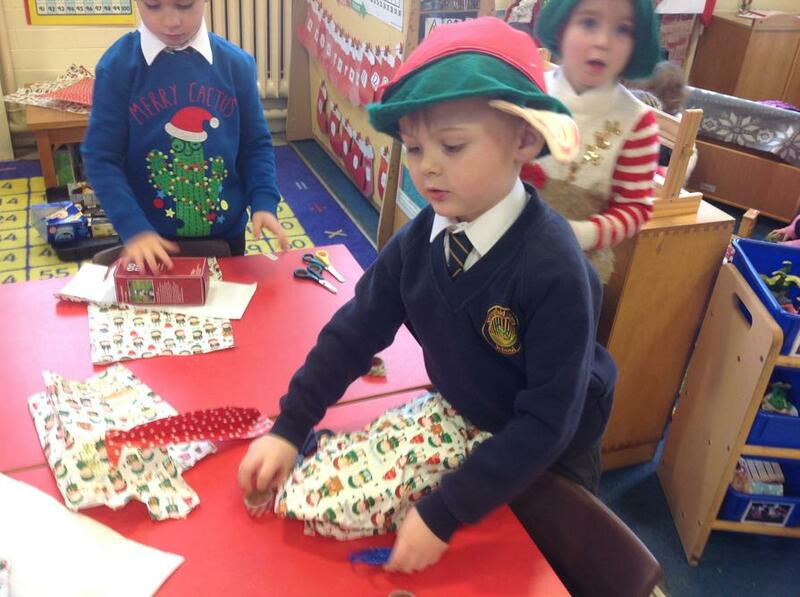 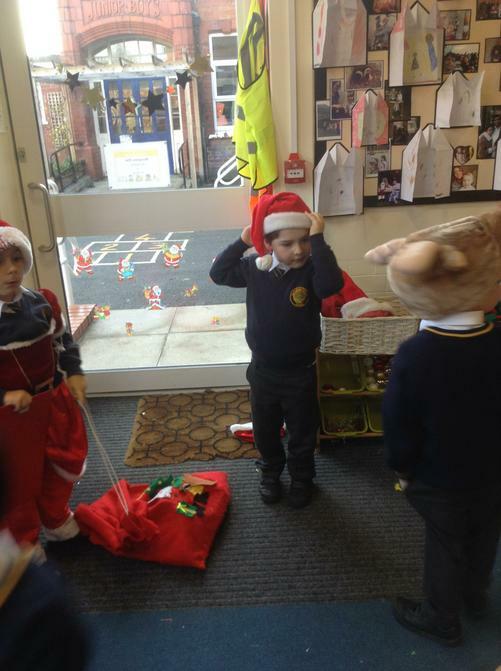 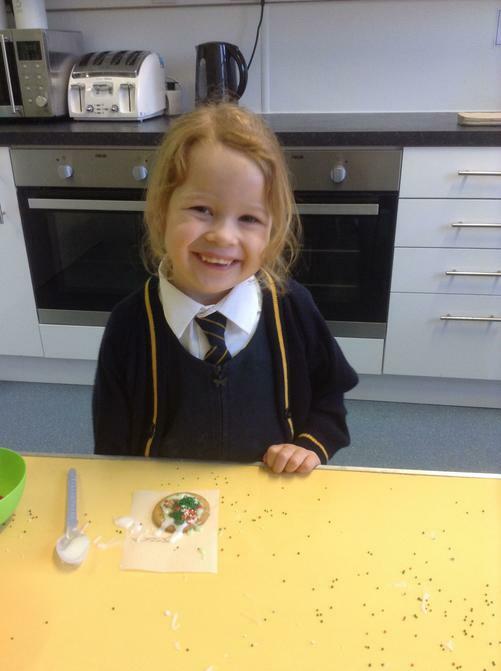 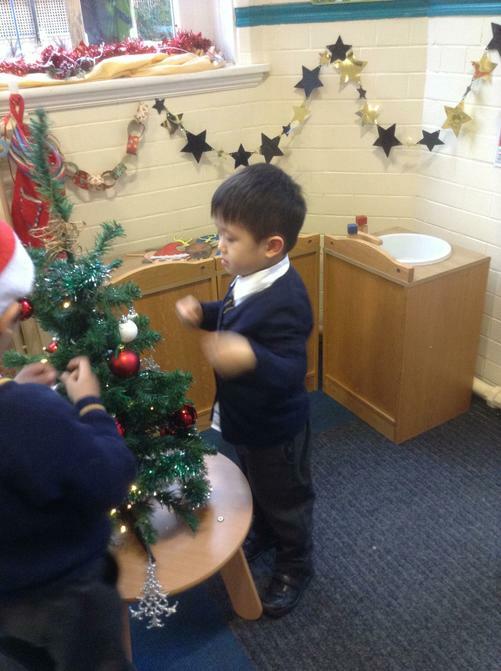 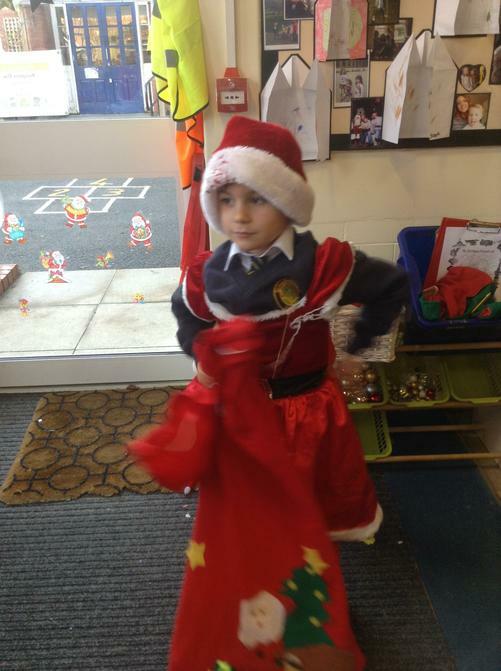 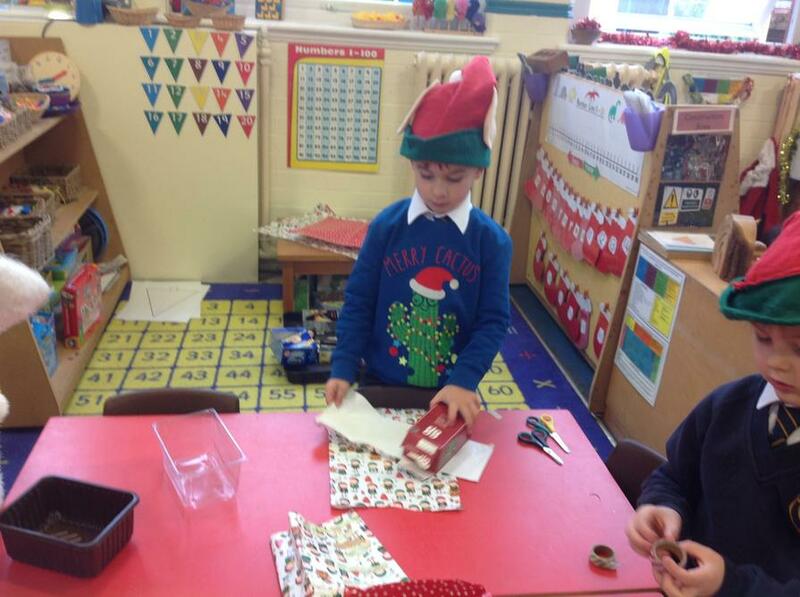 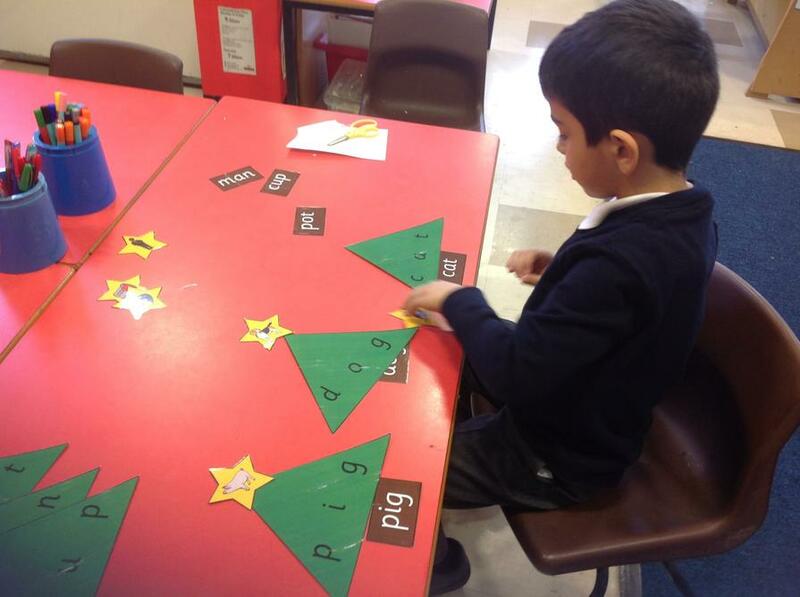 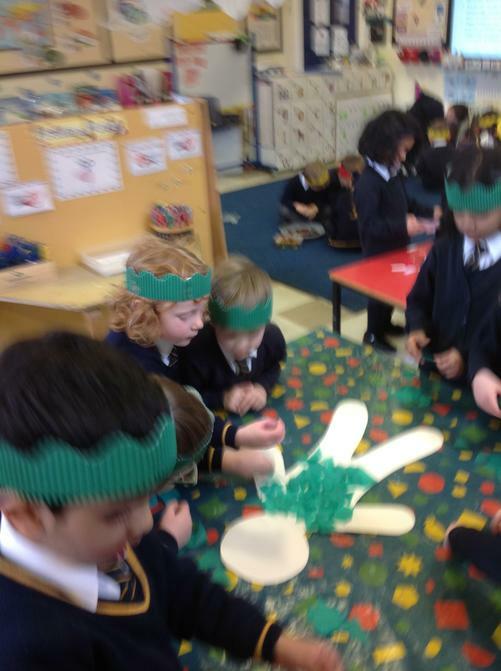 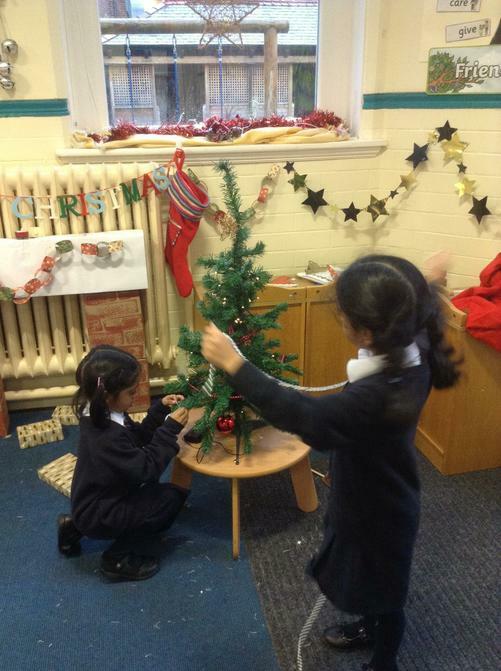 It's beginning to look a lot like Christmas in Reception! 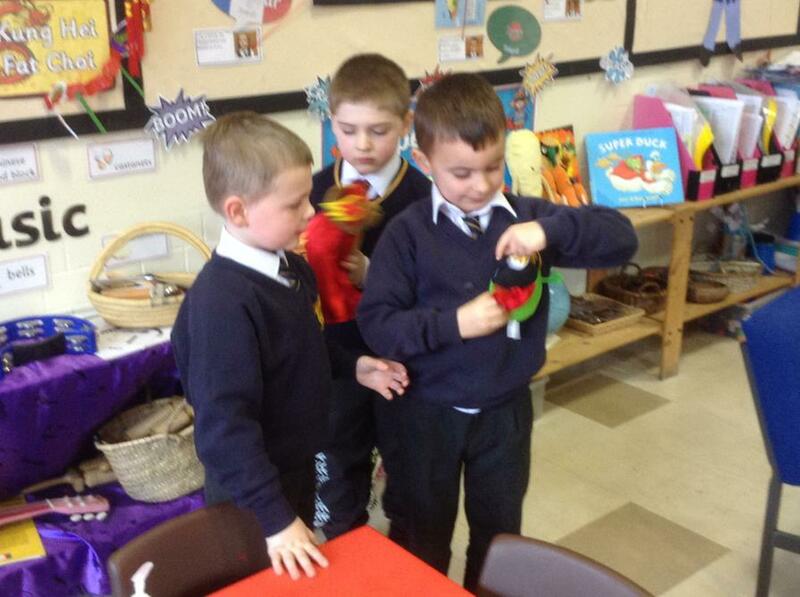 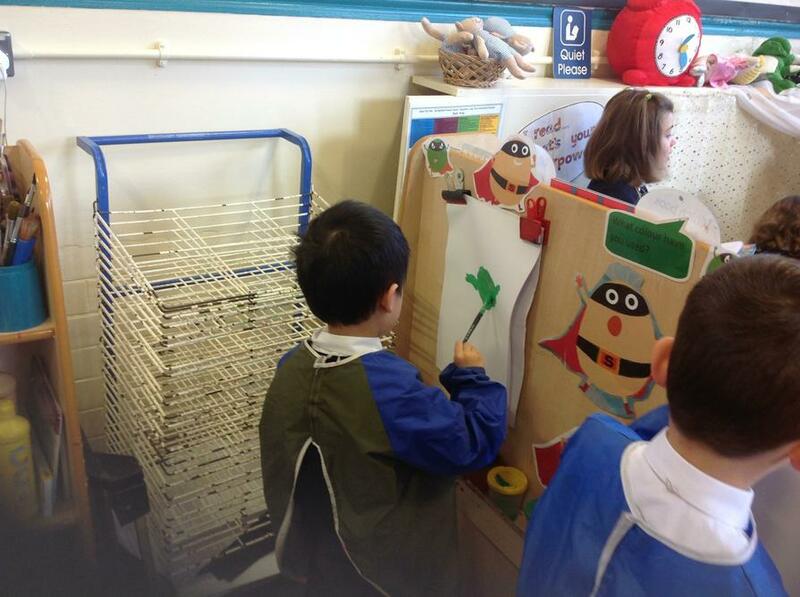 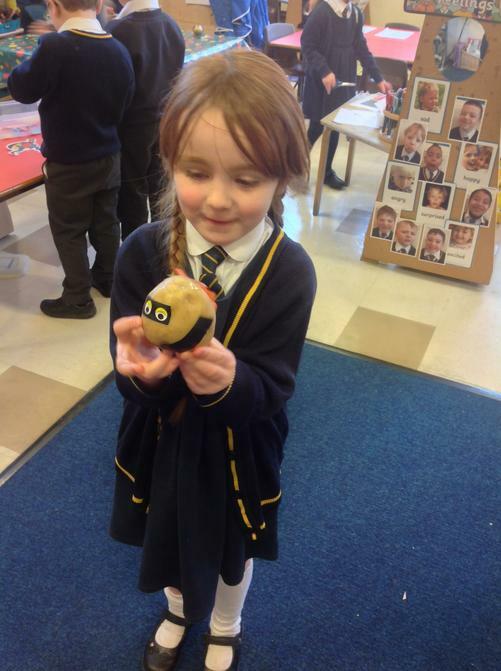 Post Office - finding out about the journey of a letter with Lenny! 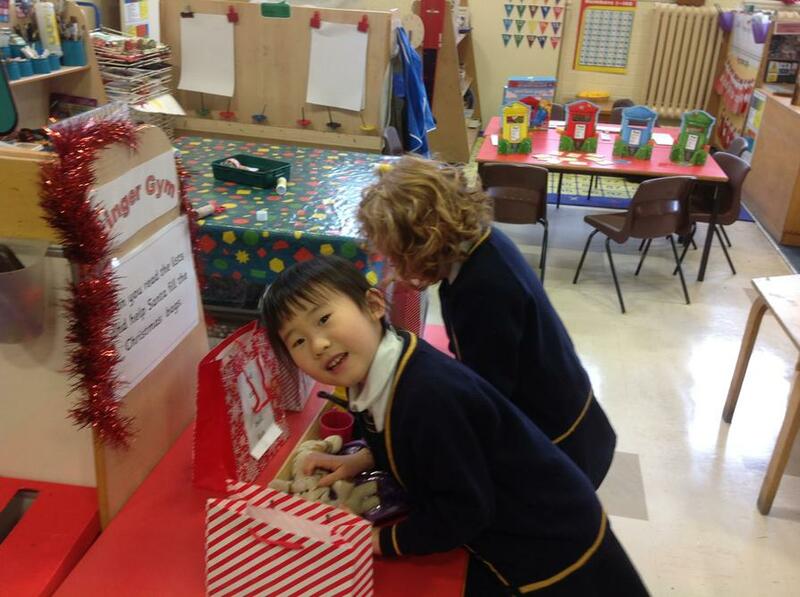 Look our for something special in the post. 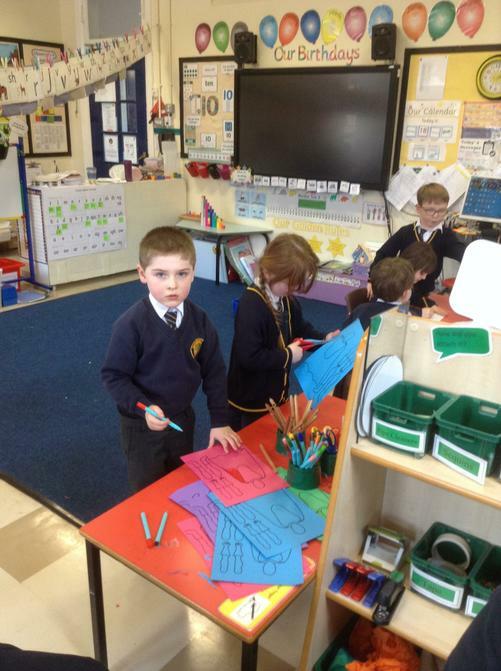 Another busy week! 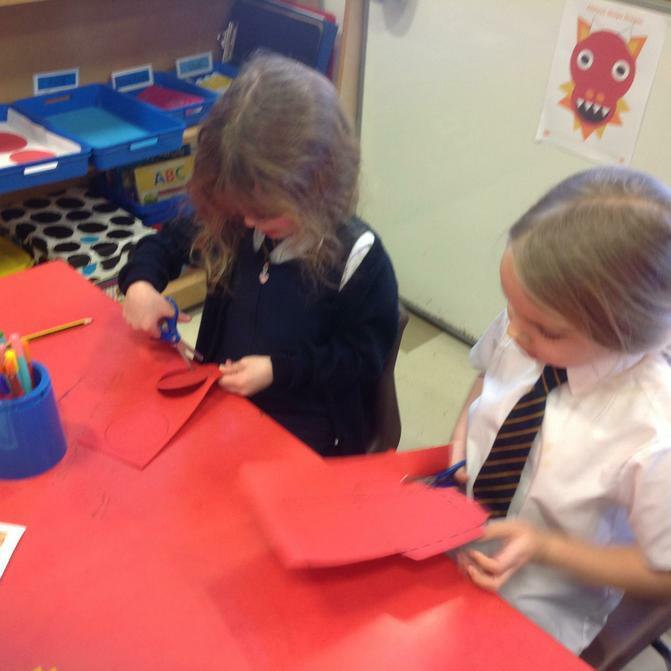 This week was ' National Anti-Bullying Week', so Reception have been thinking about how to be a good friend and how to treat others. 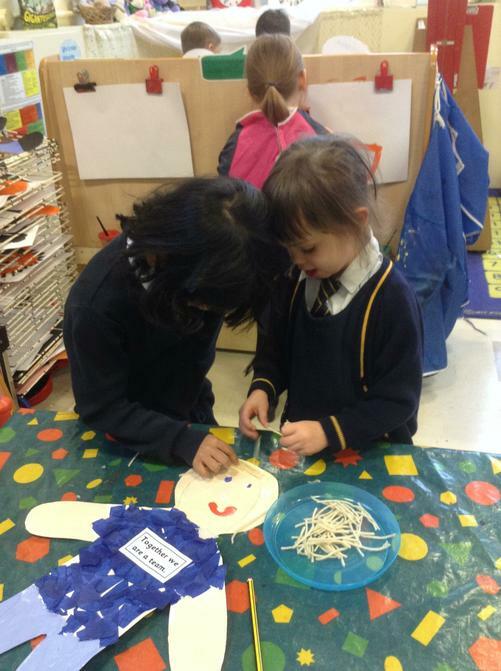 We talked a lot about feelings and emotions and explored expressions to display different emotions. 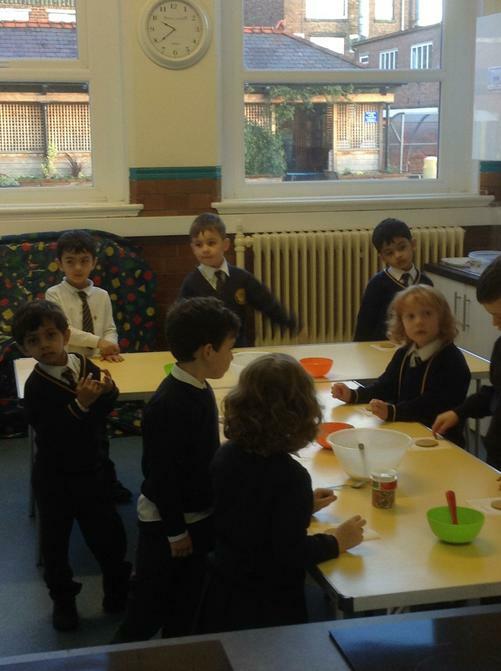 We have also discussed Children In Need and the importance of helpings those in need. 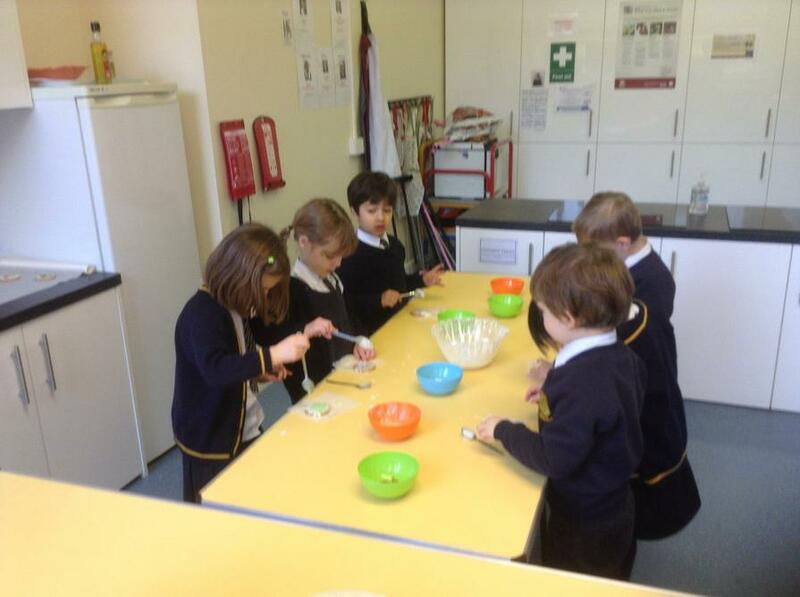 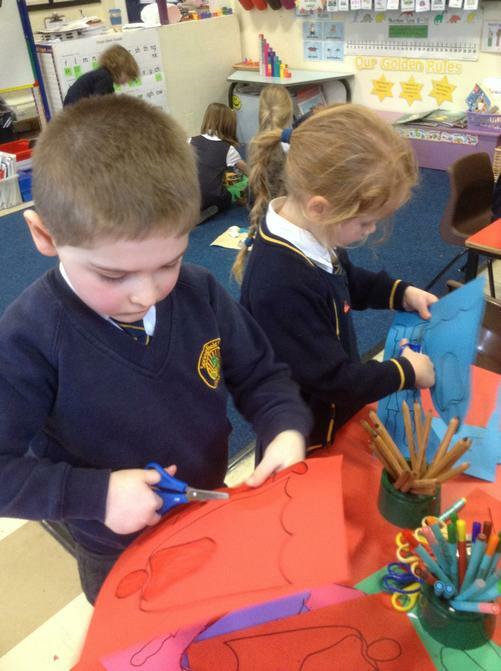 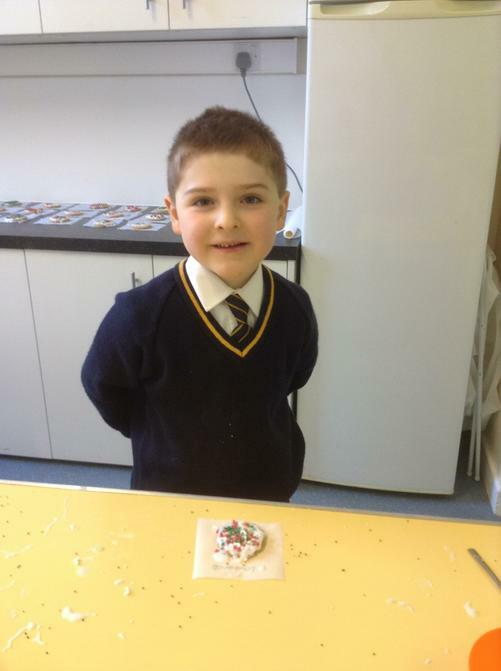 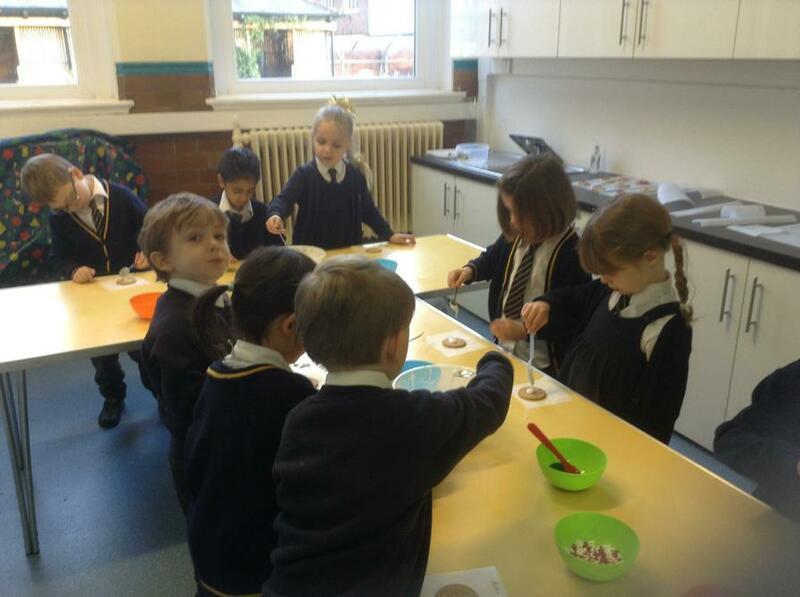 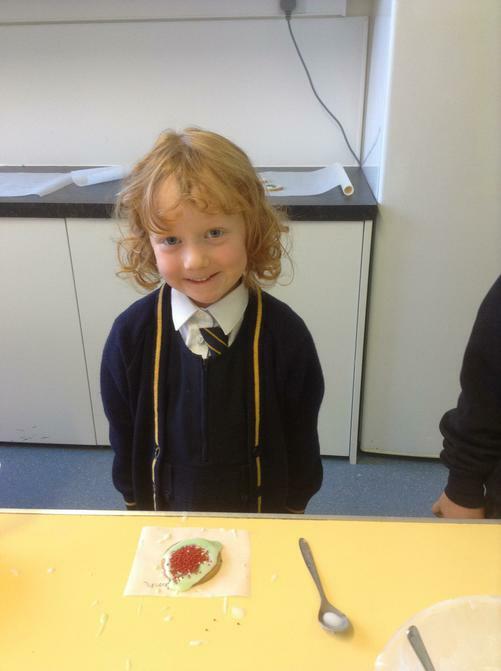 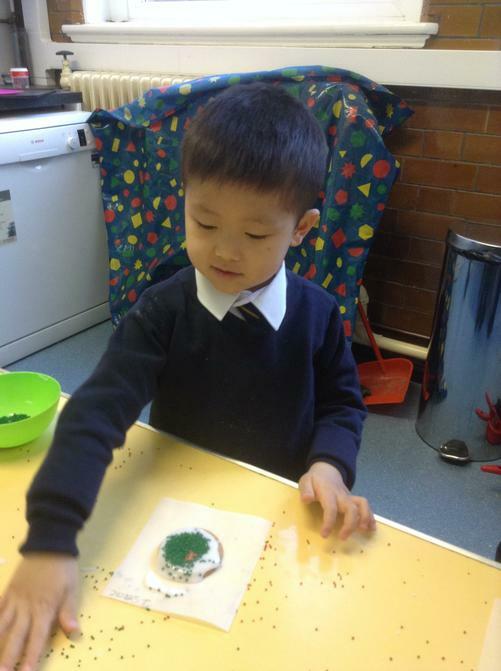 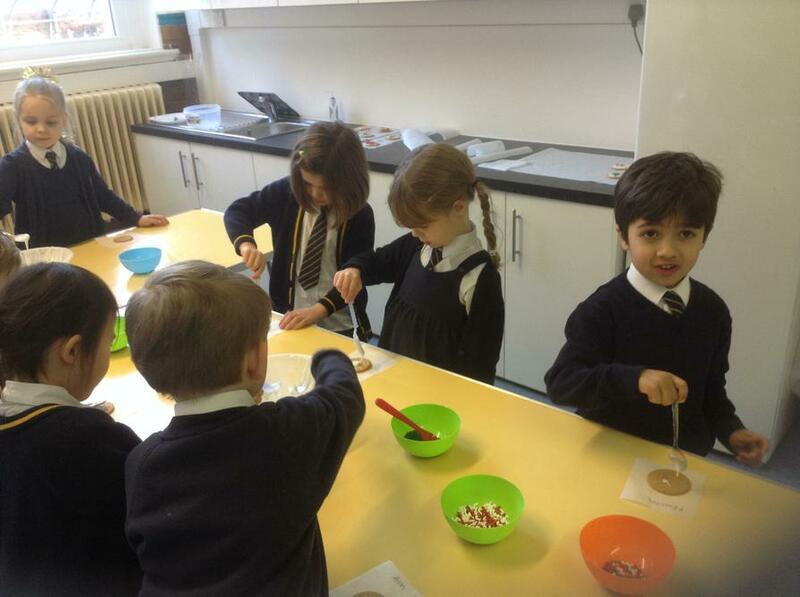 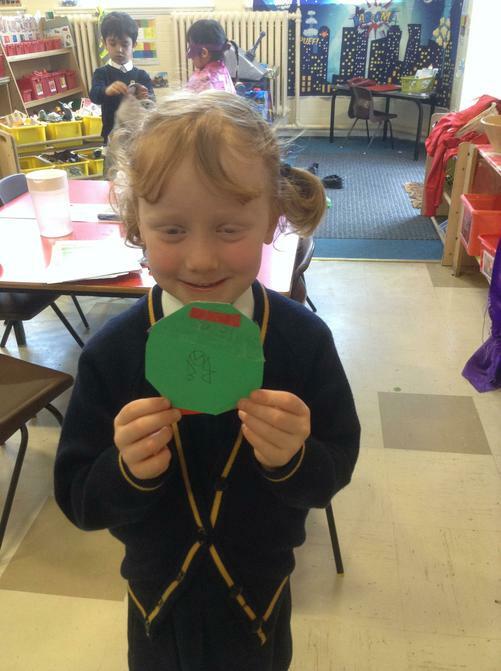 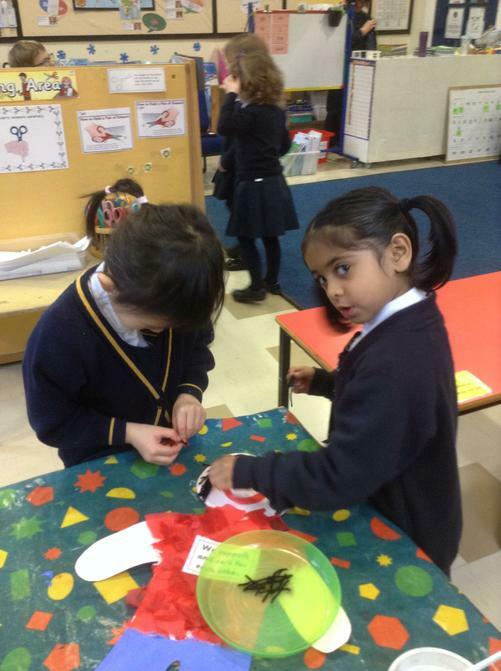 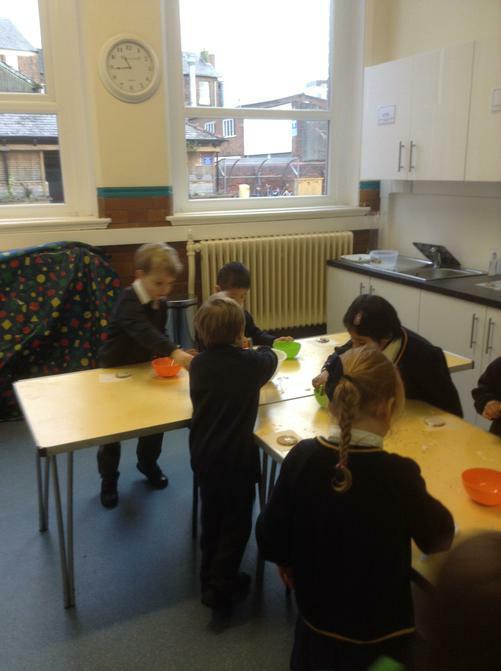 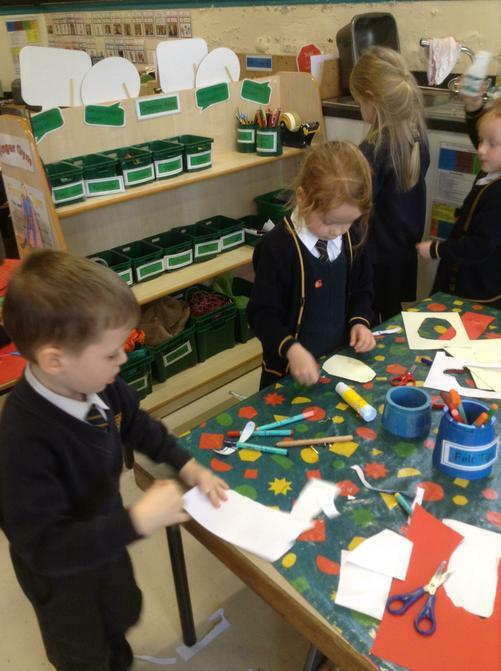 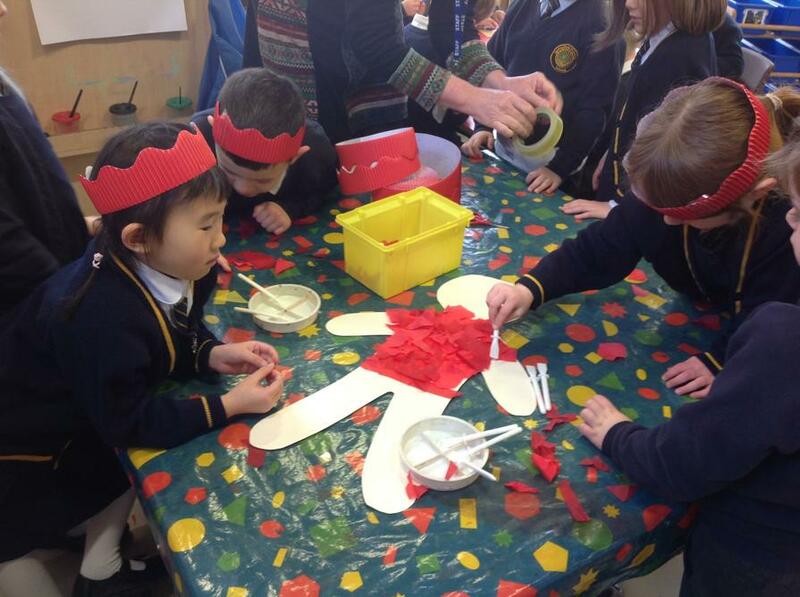 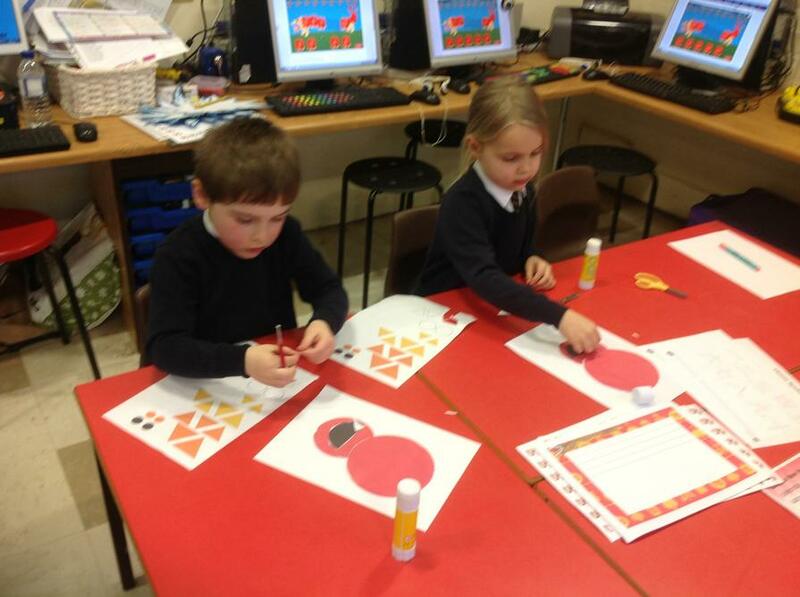 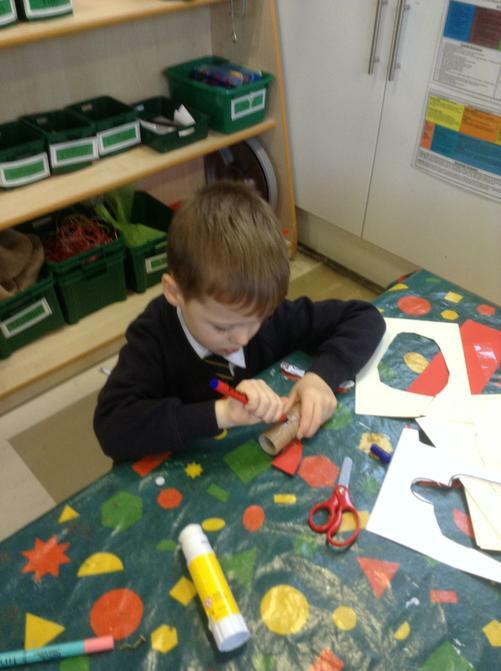 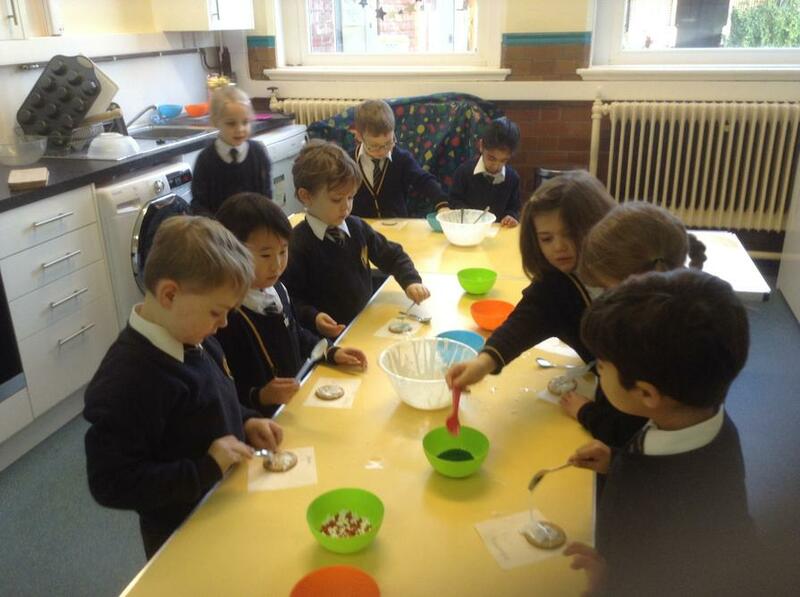 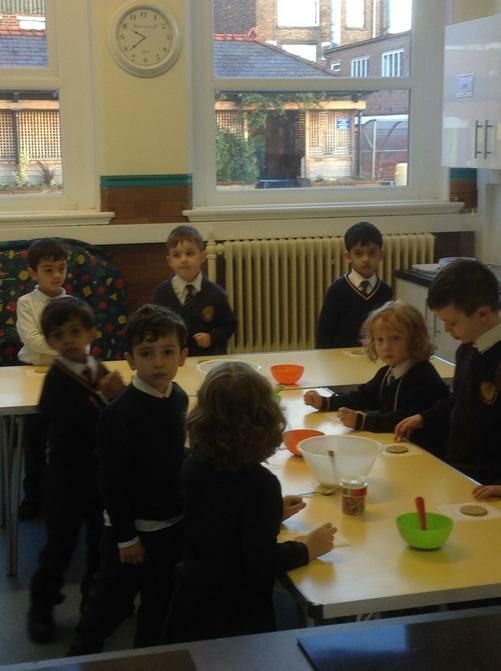 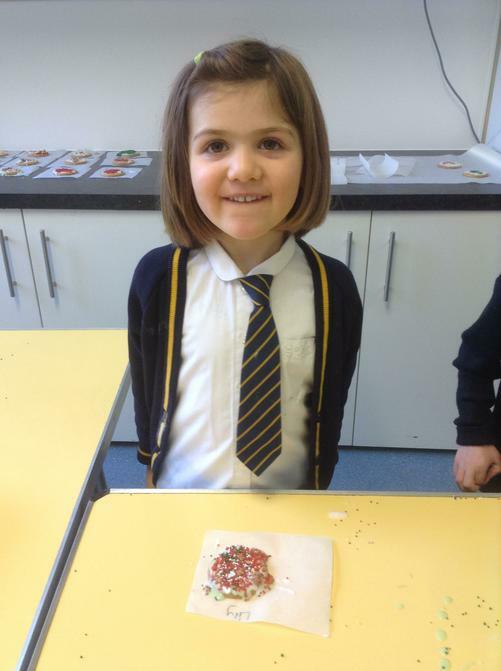 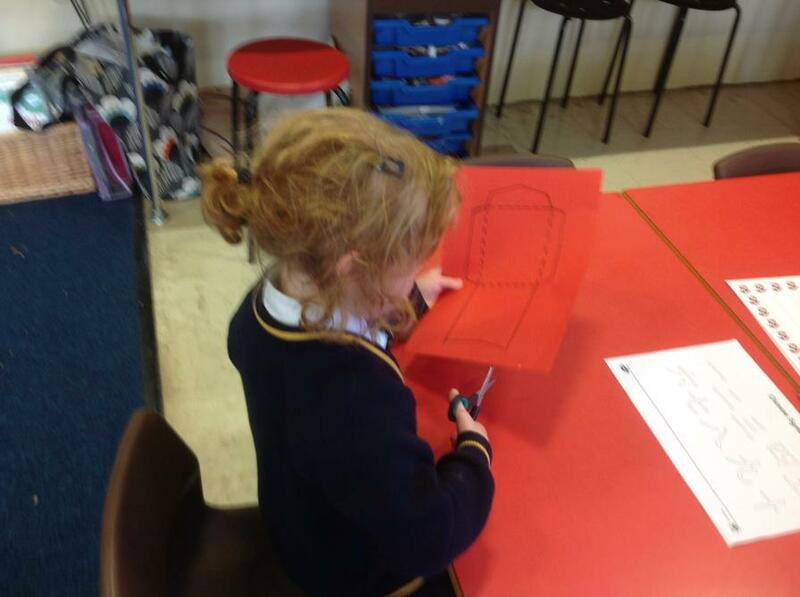 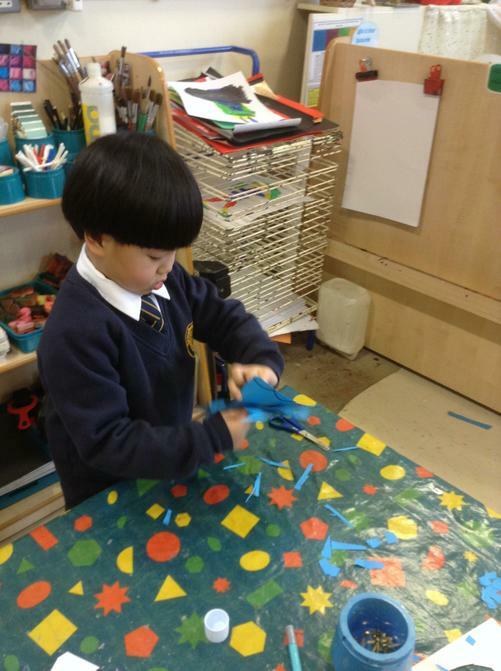 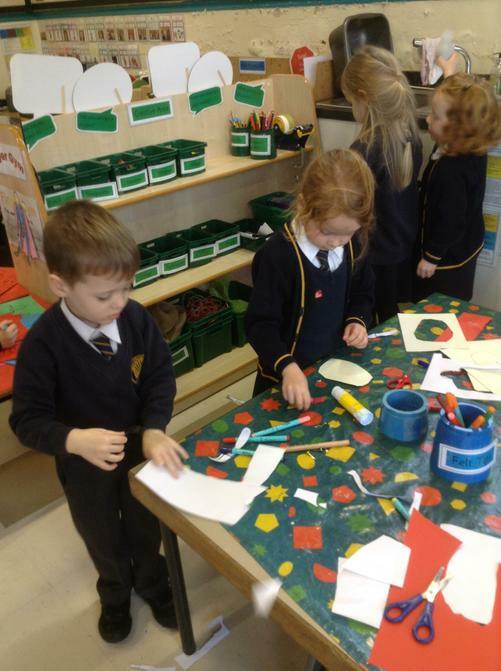 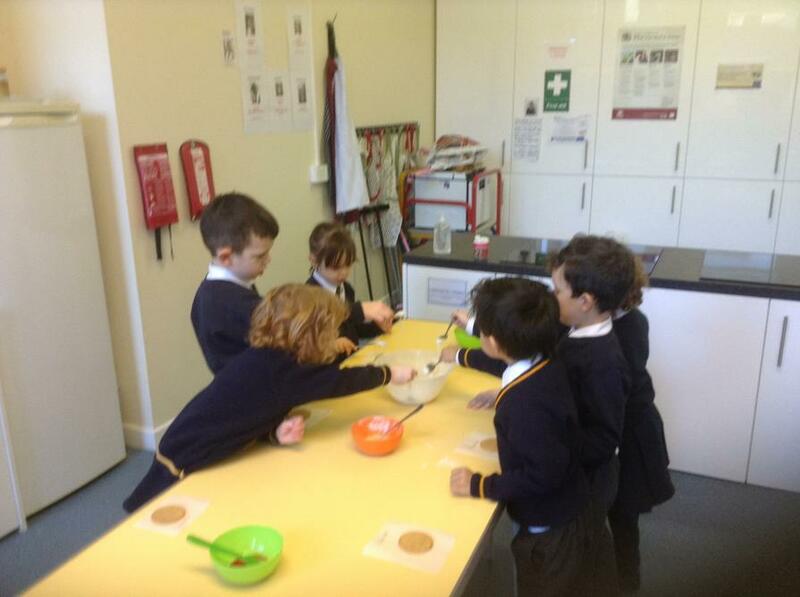 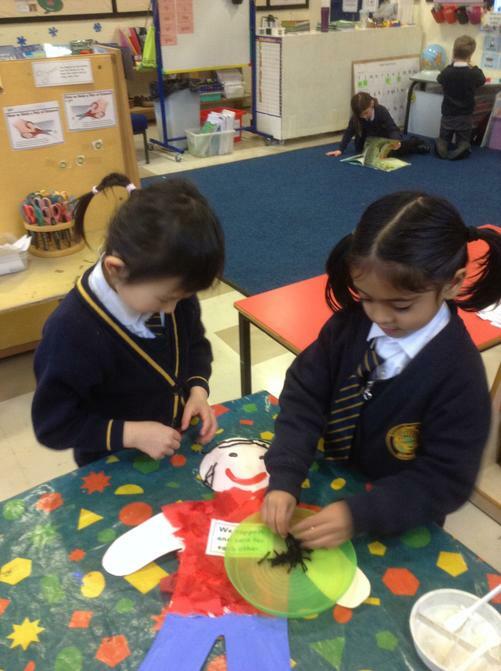 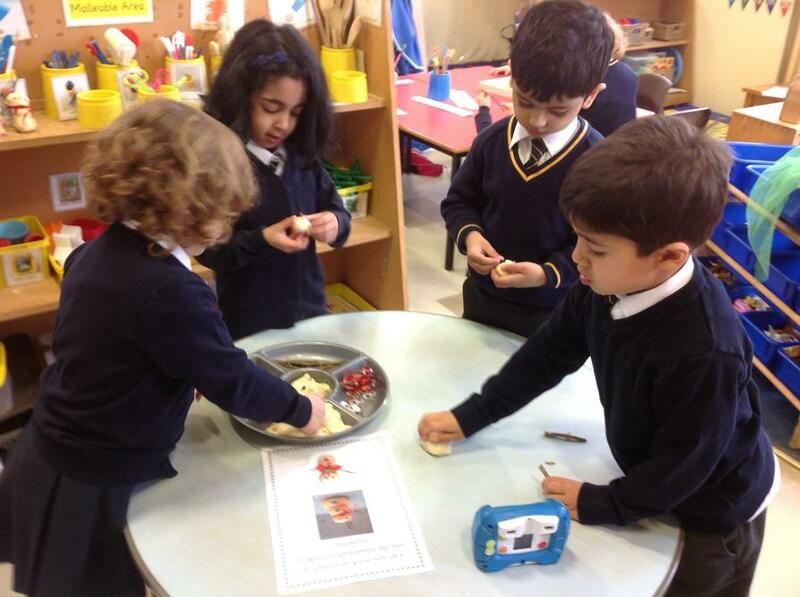 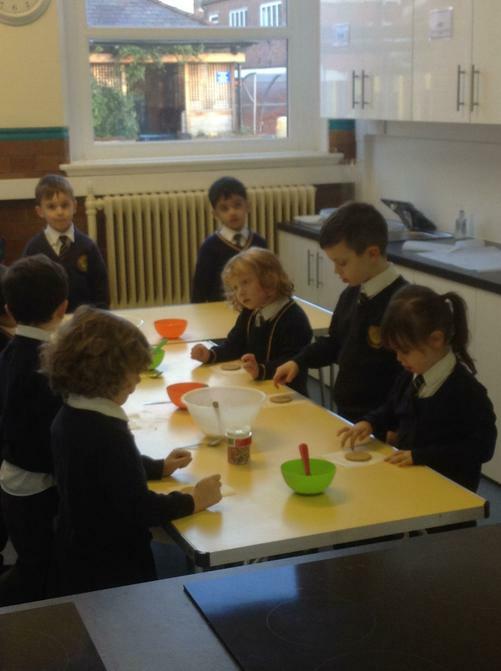 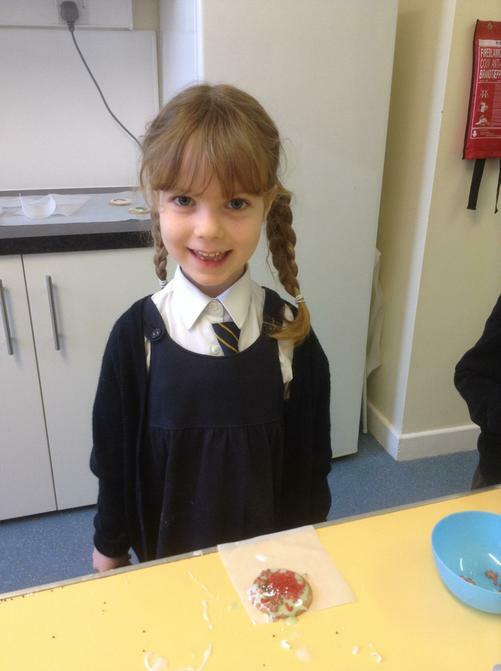 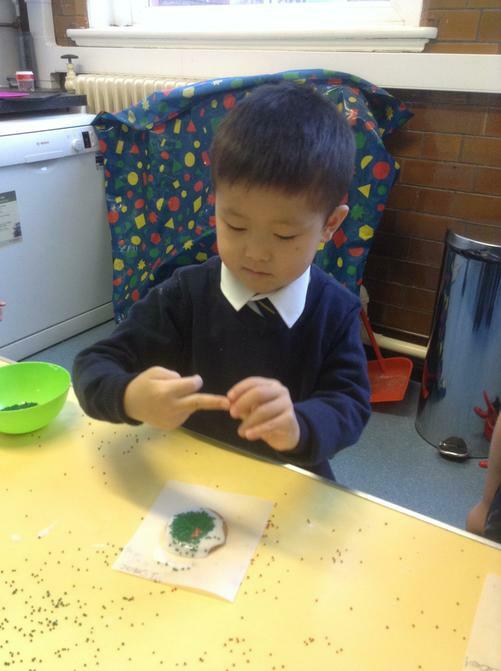 Remembrance - making our poppies for Springfield Remembers. 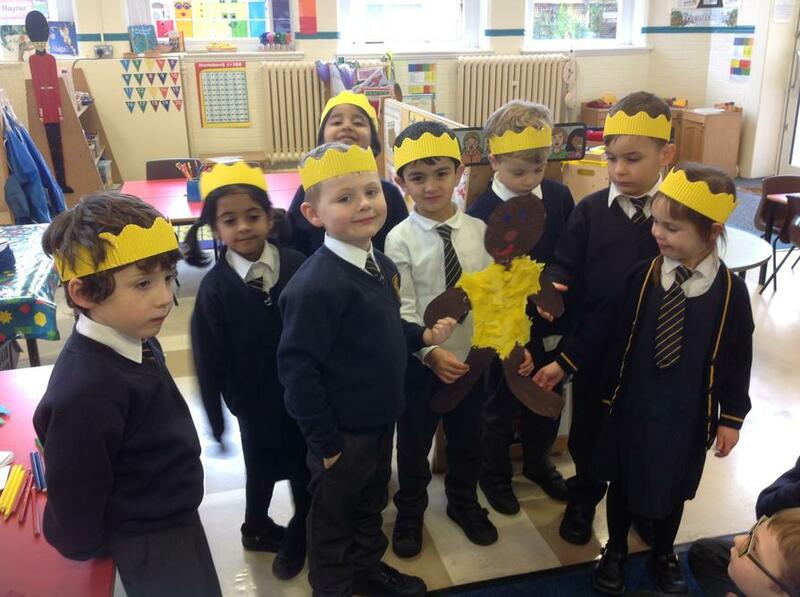 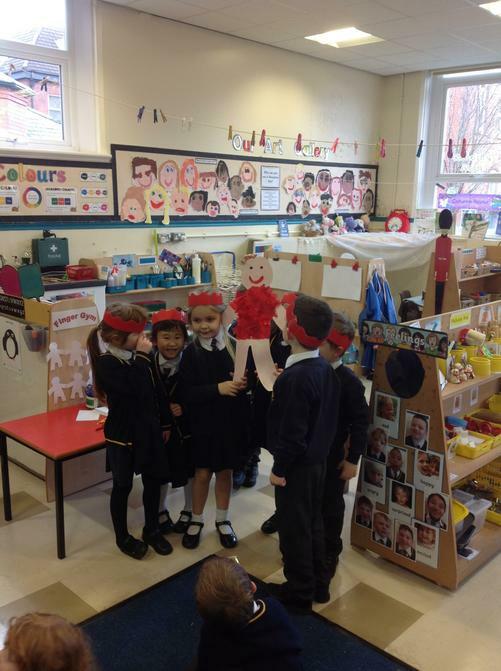 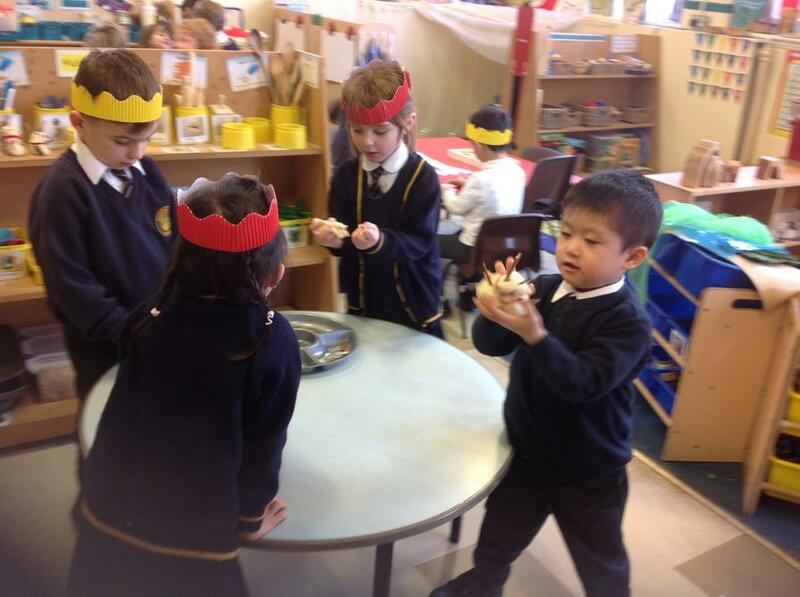 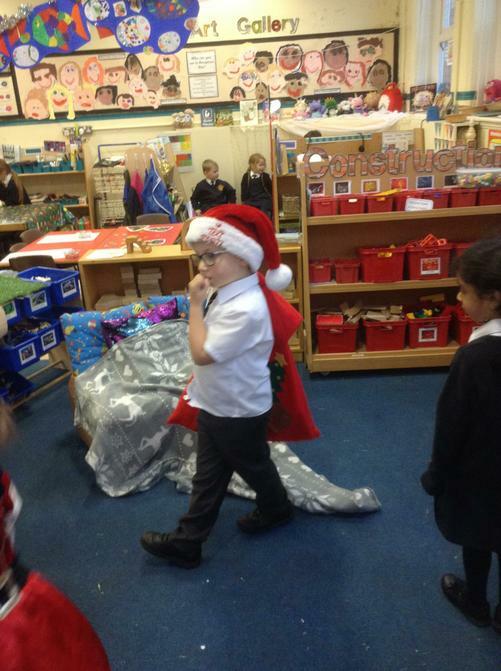 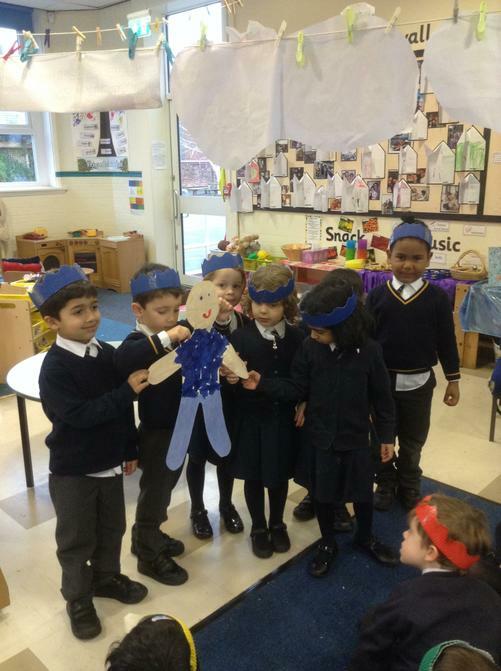 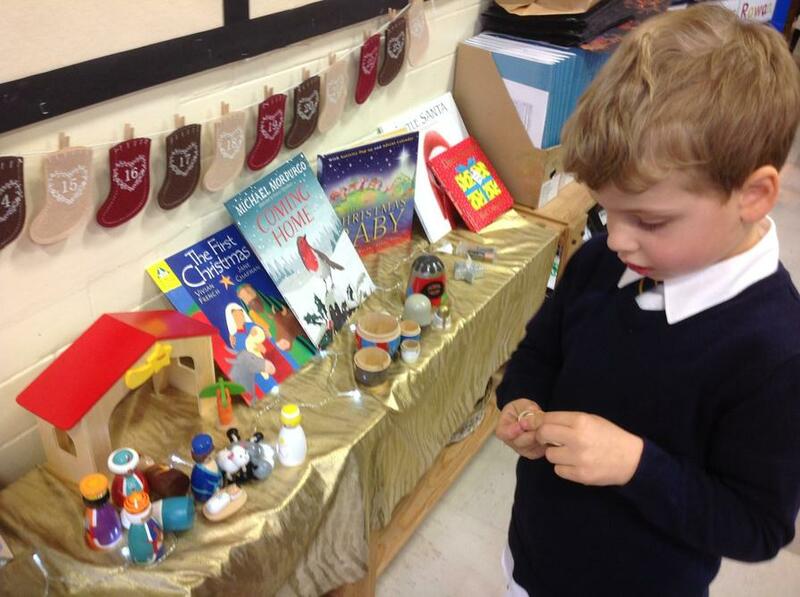 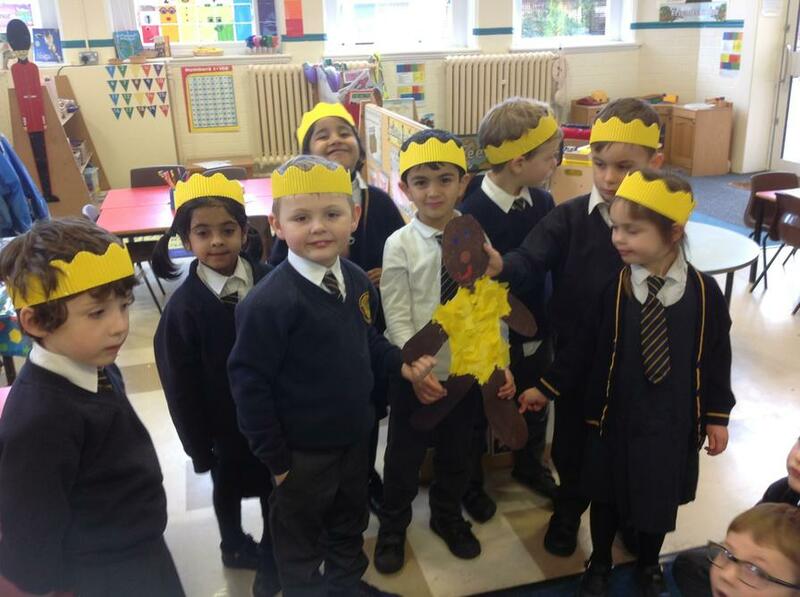 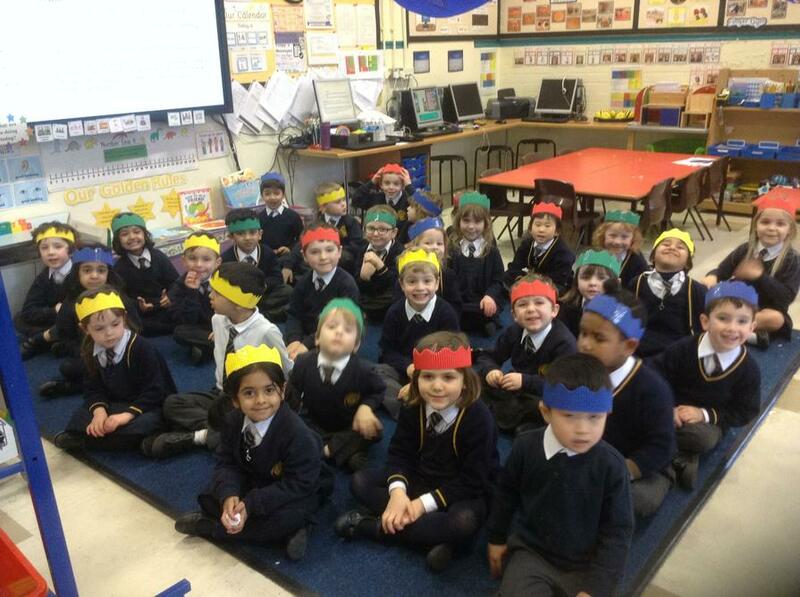 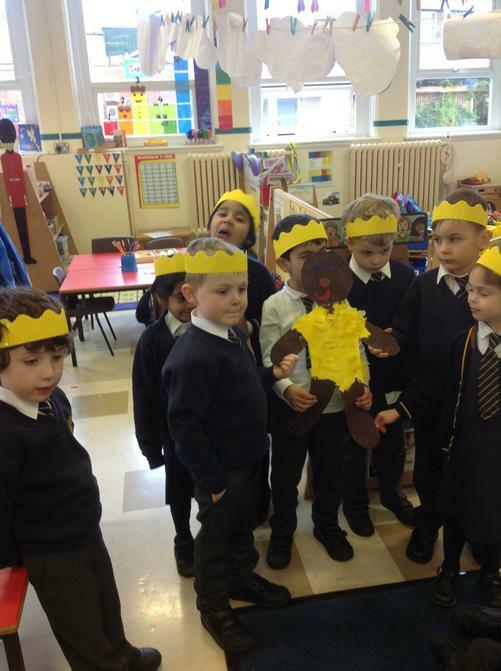 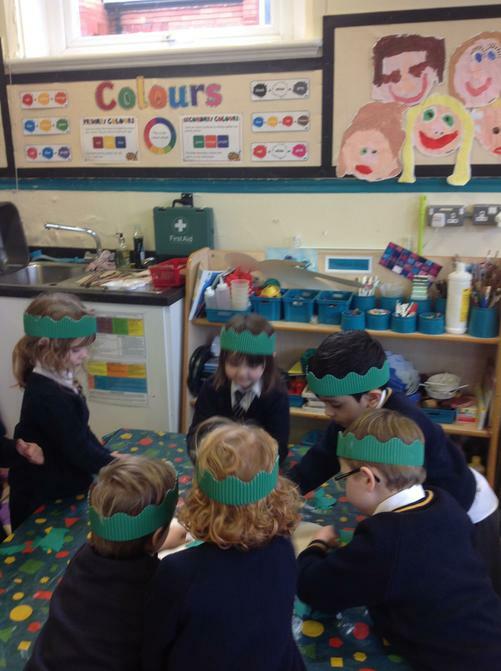 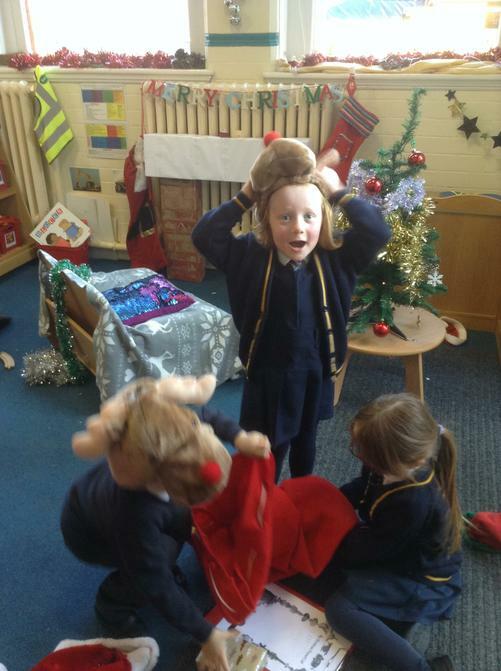 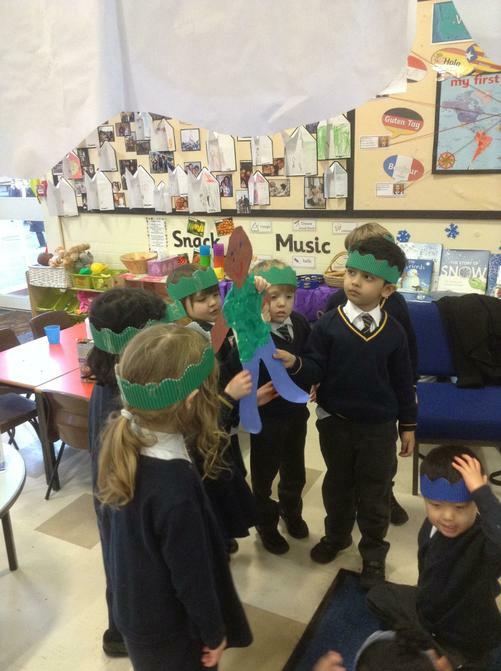 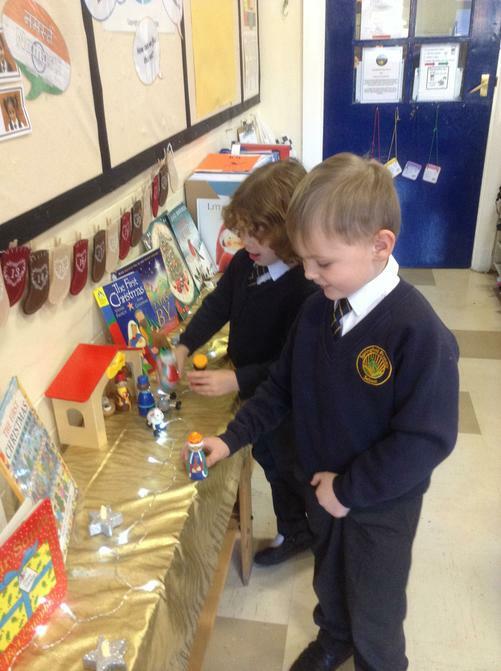 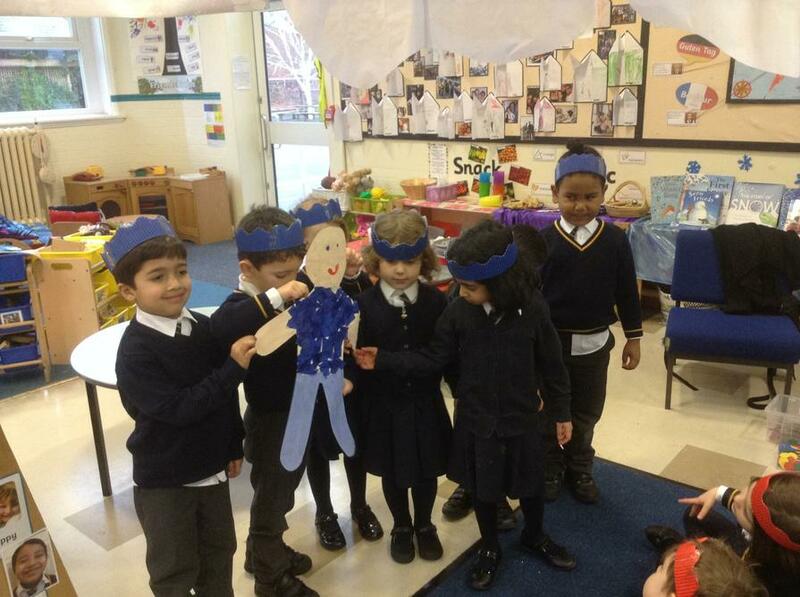 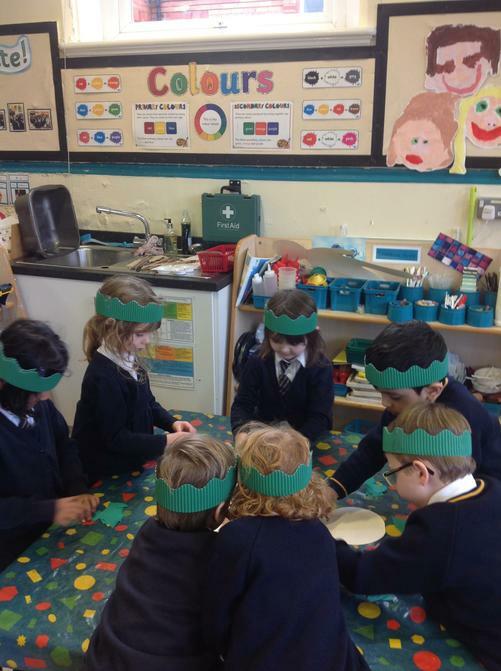 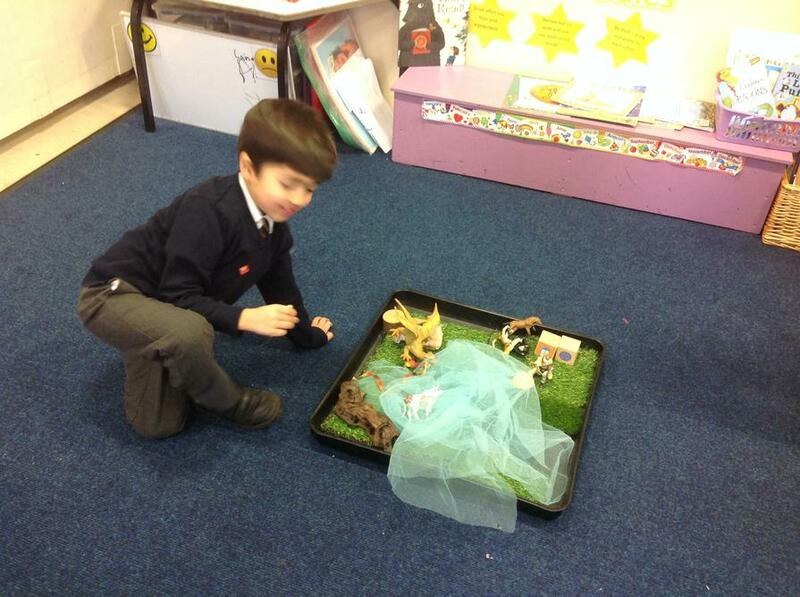 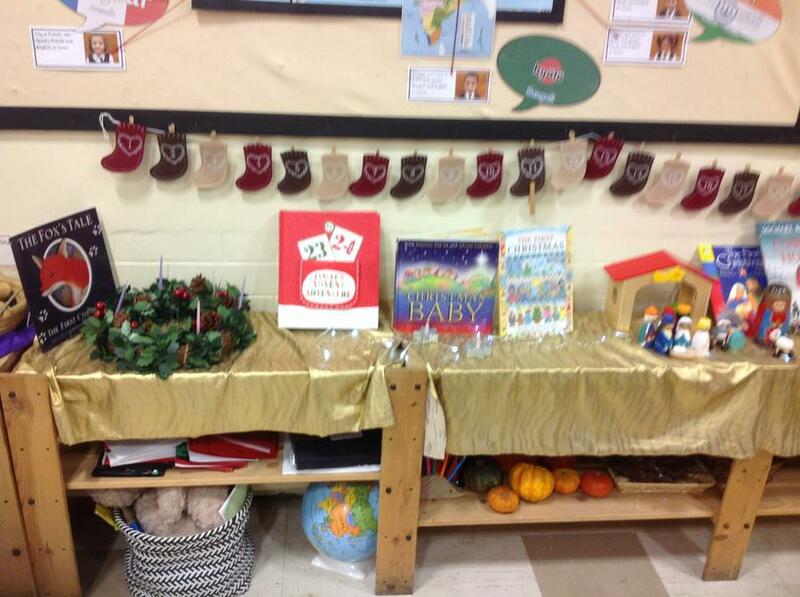 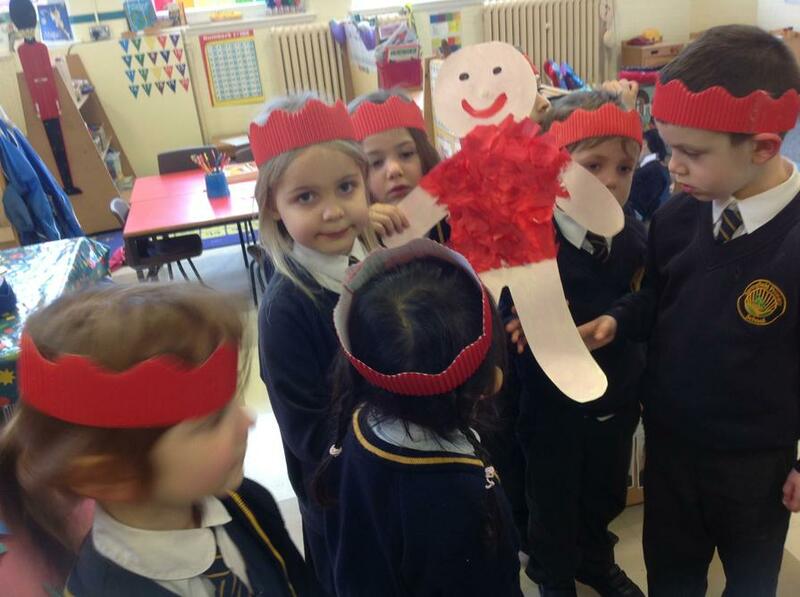 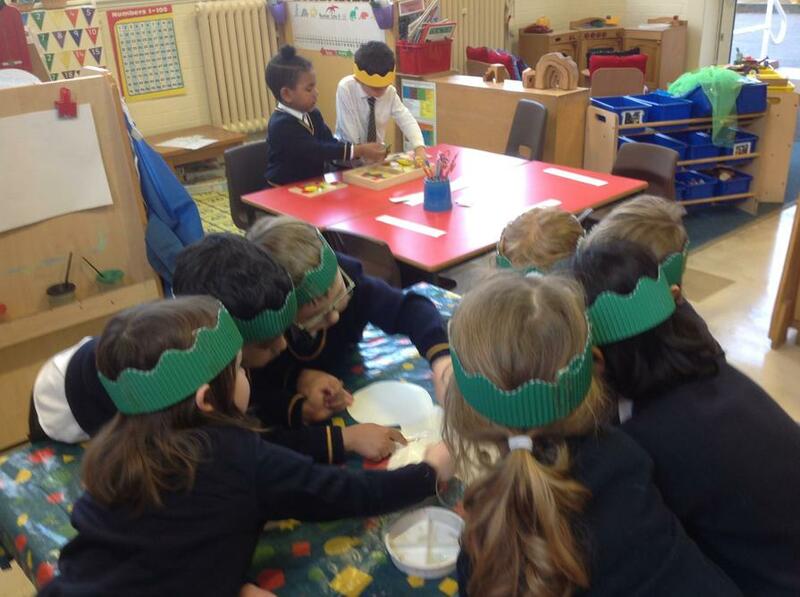 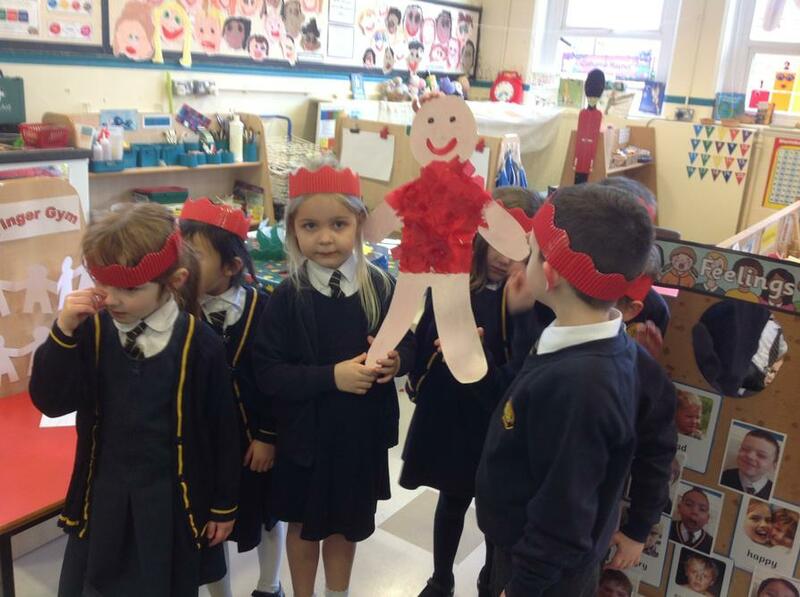 This week we have started to practise the 'Christmas Nativity'. 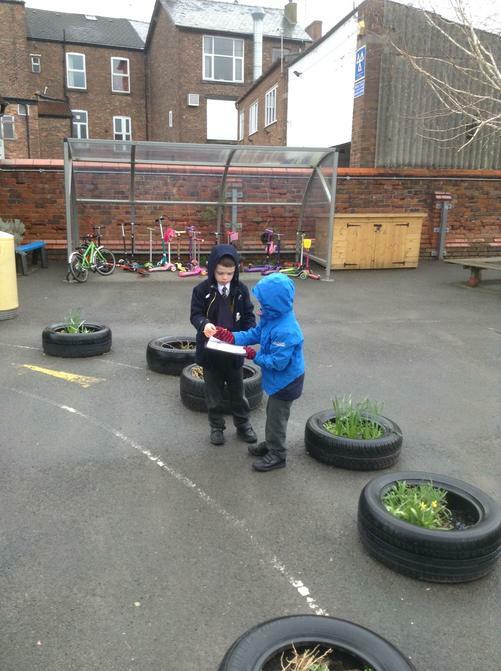 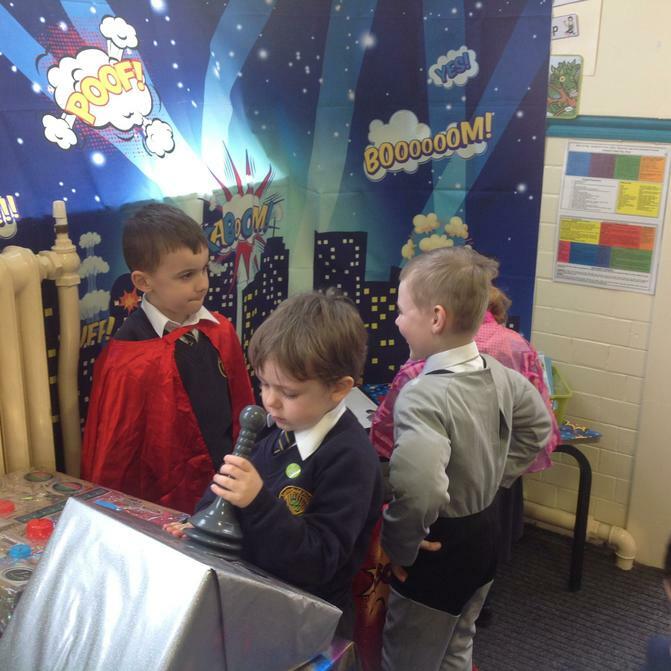 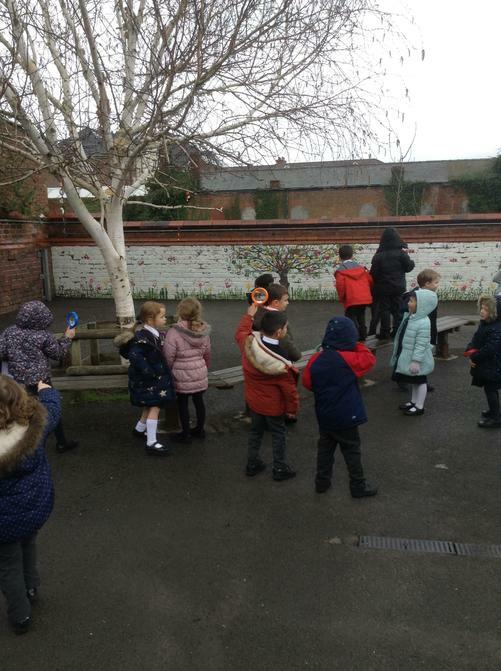 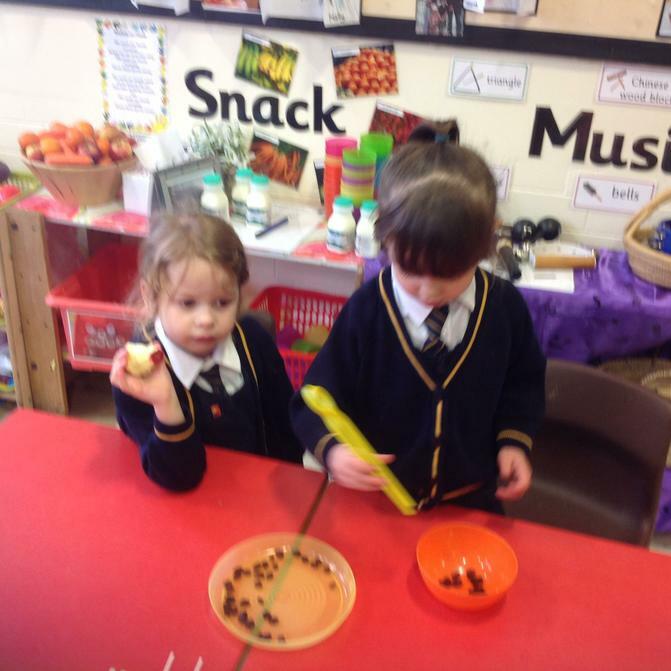 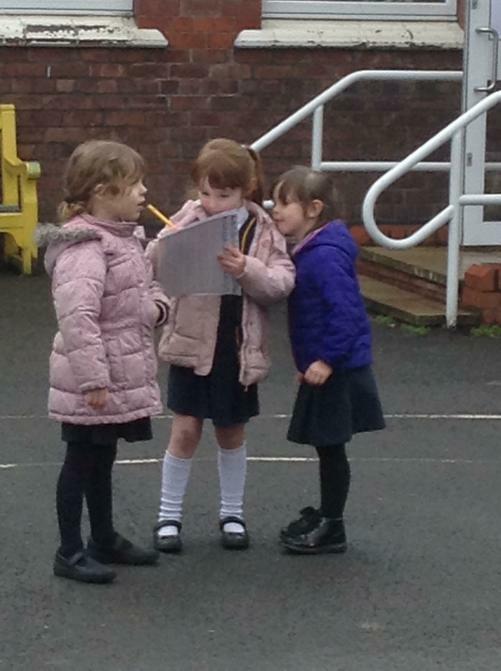 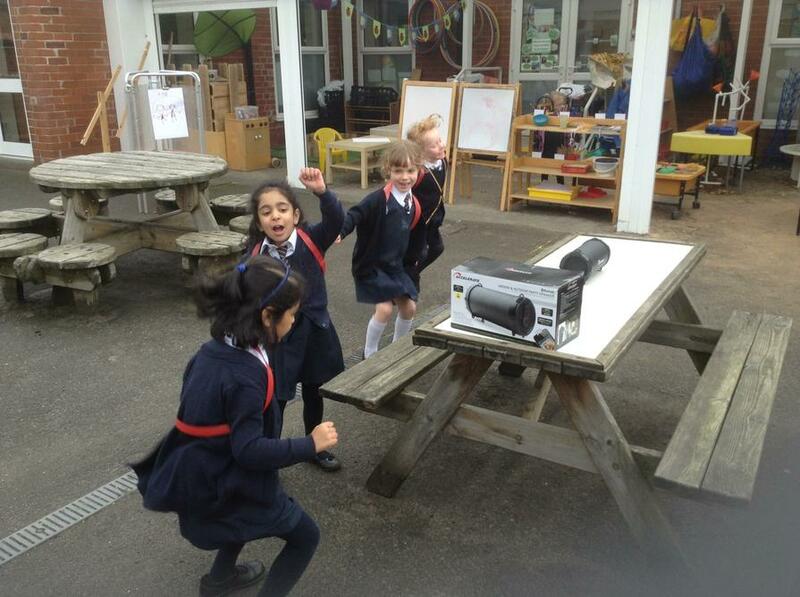 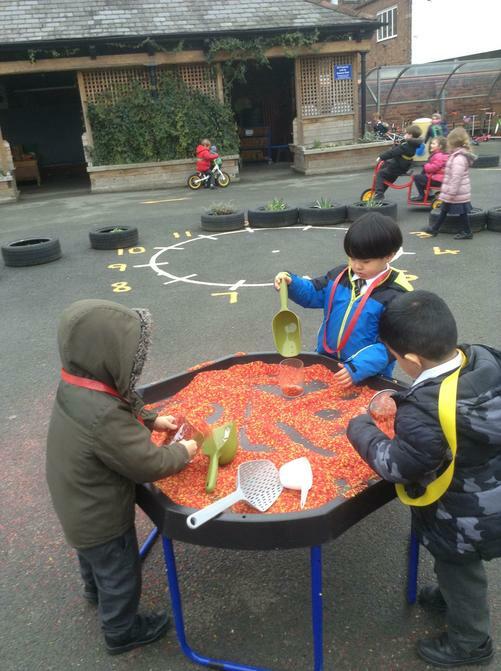 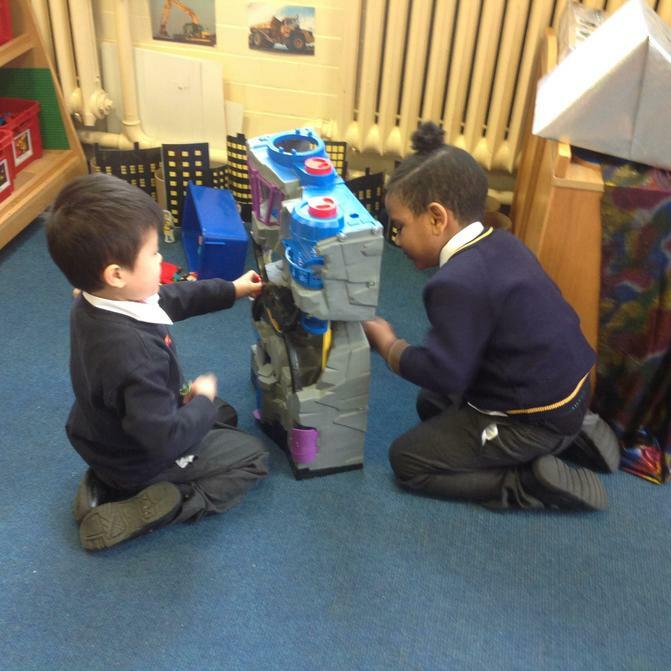 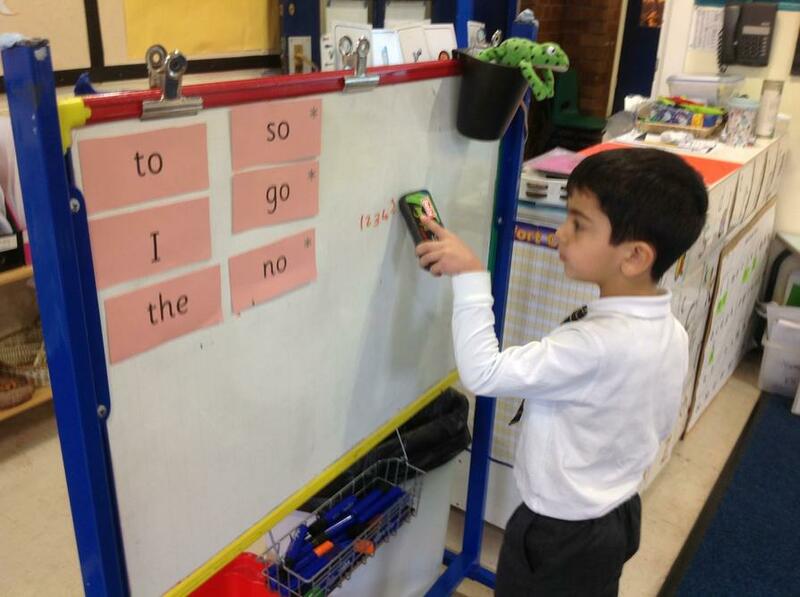 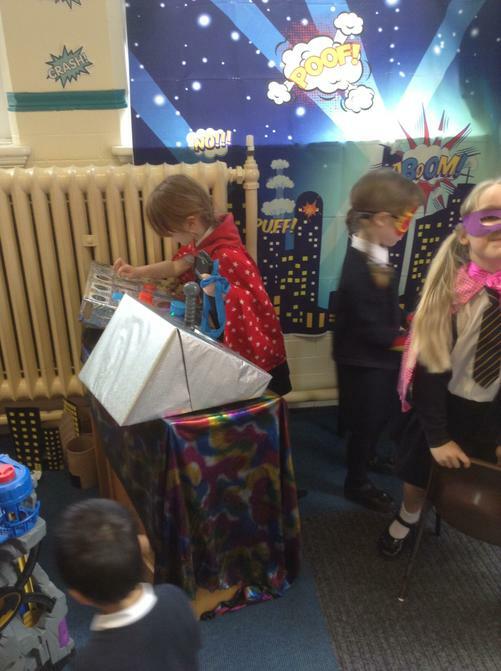 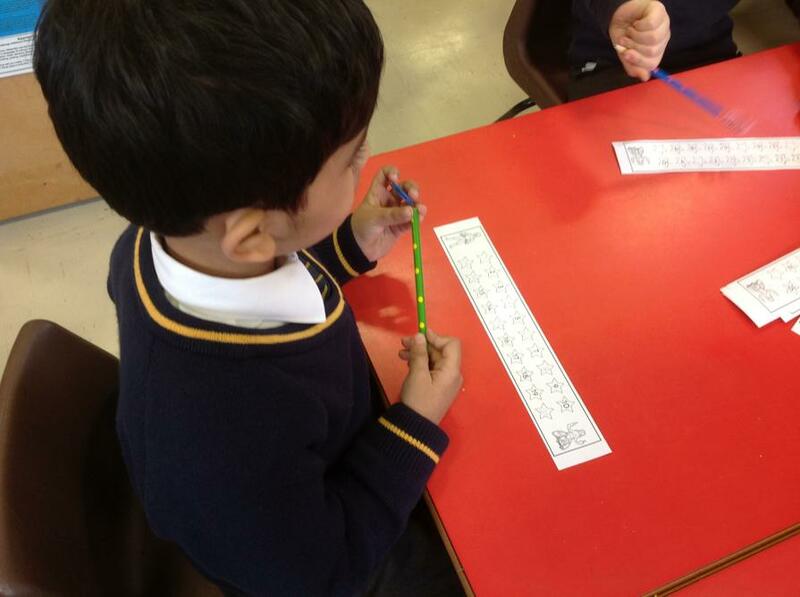 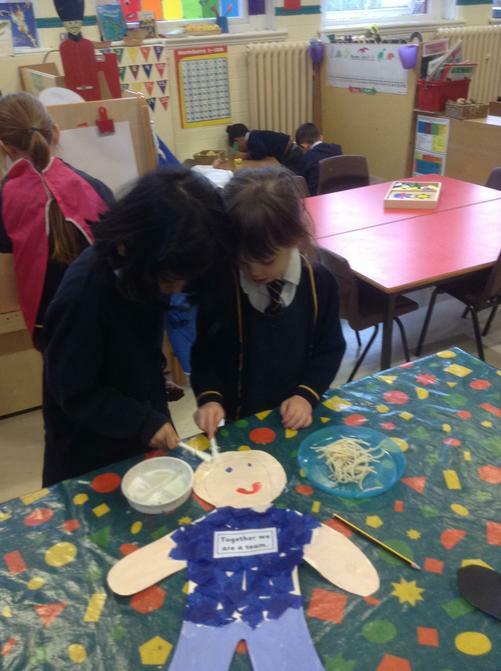 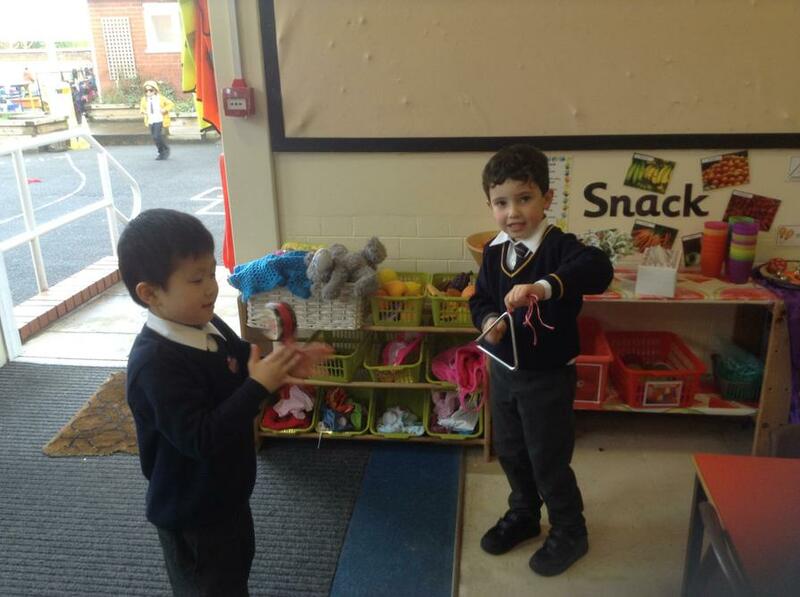 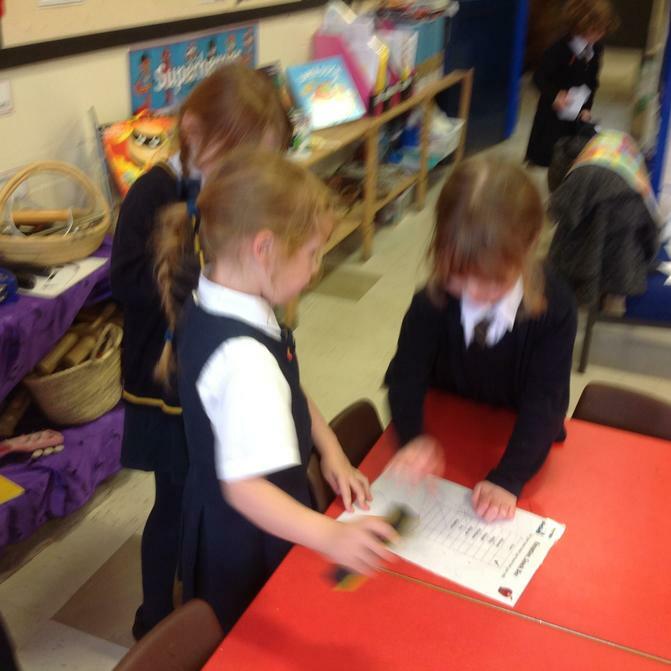 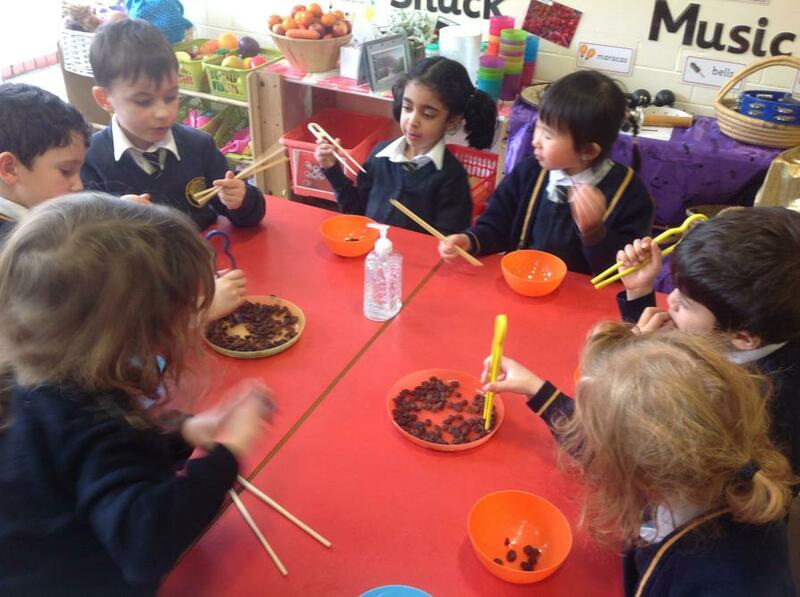 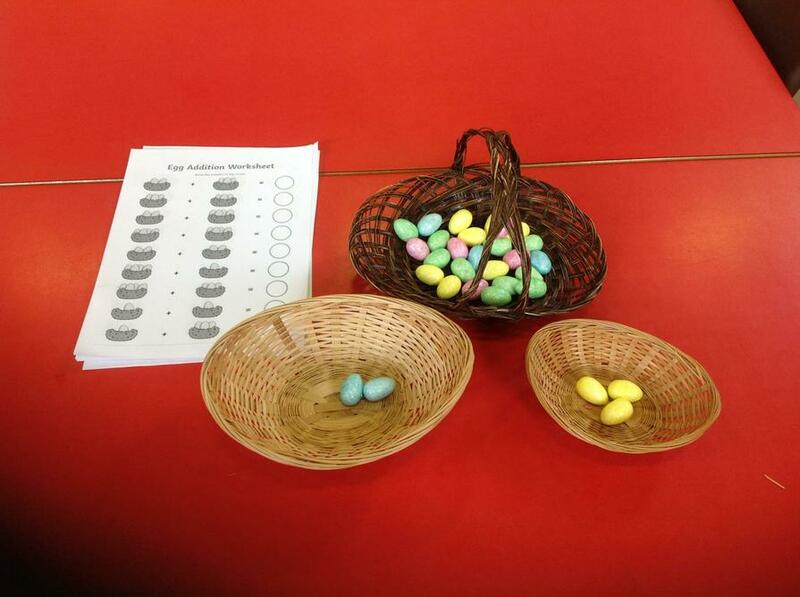 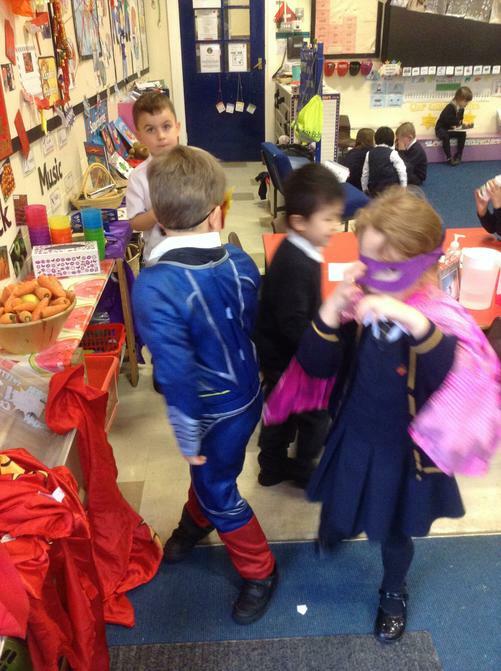 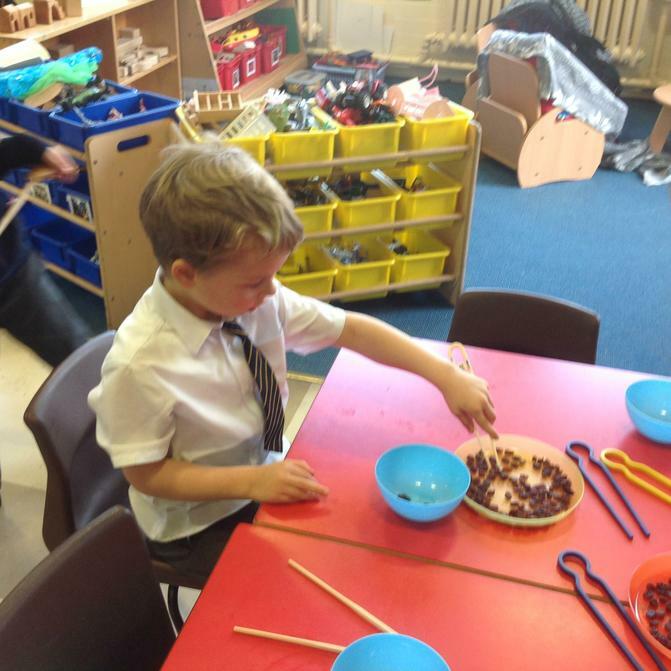 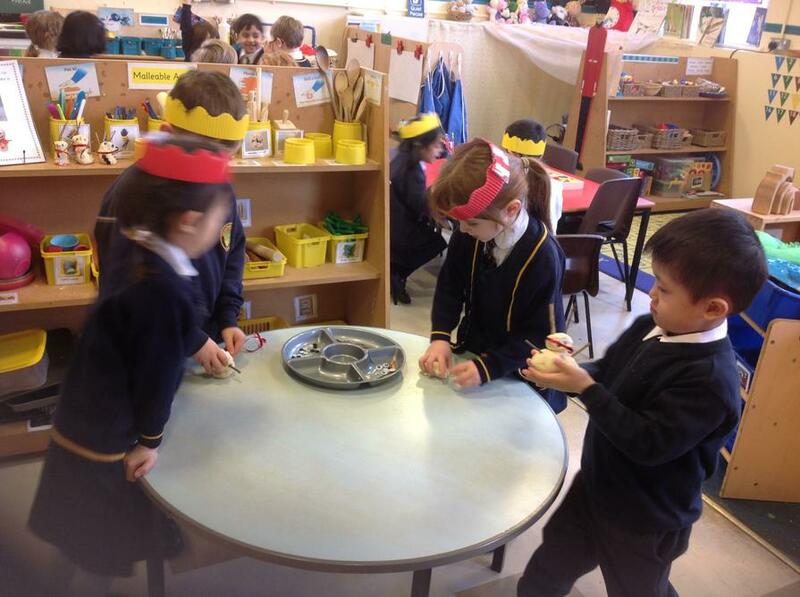 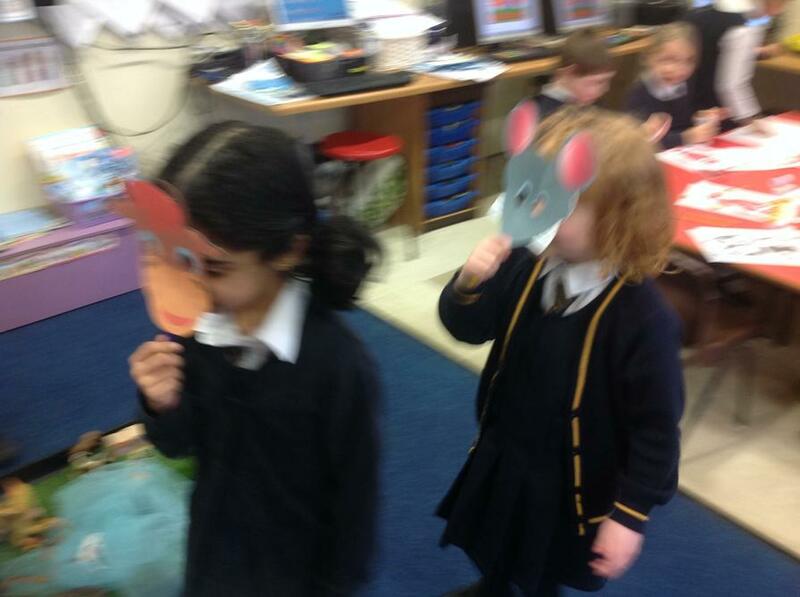 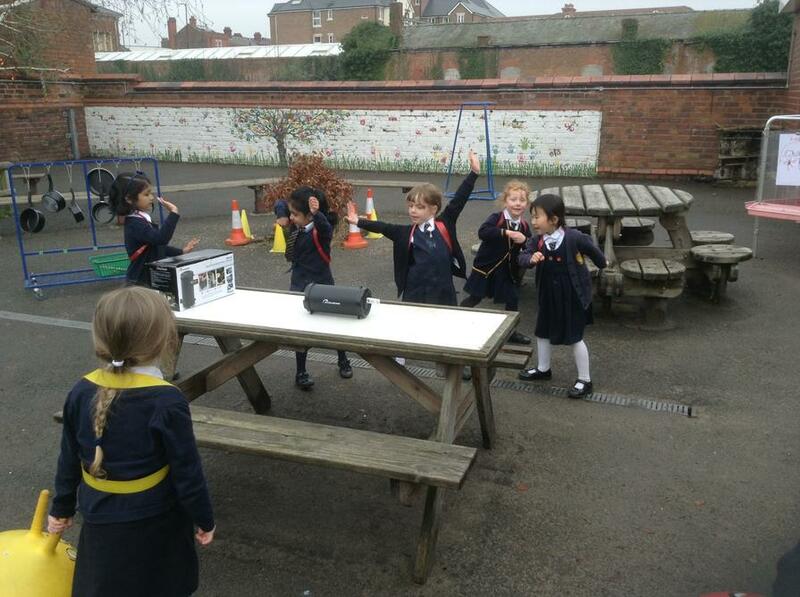 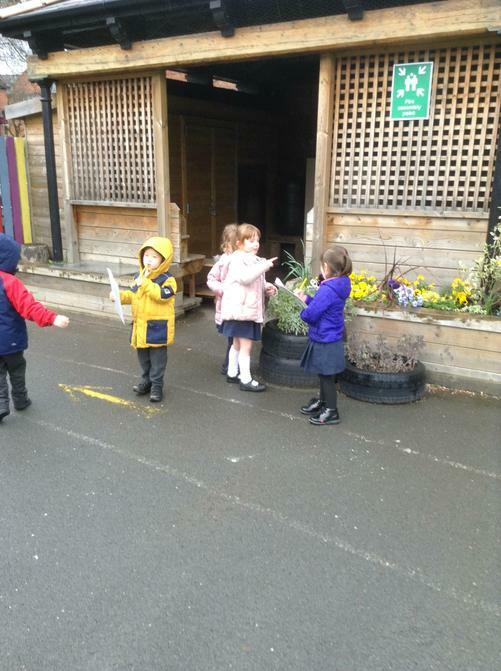 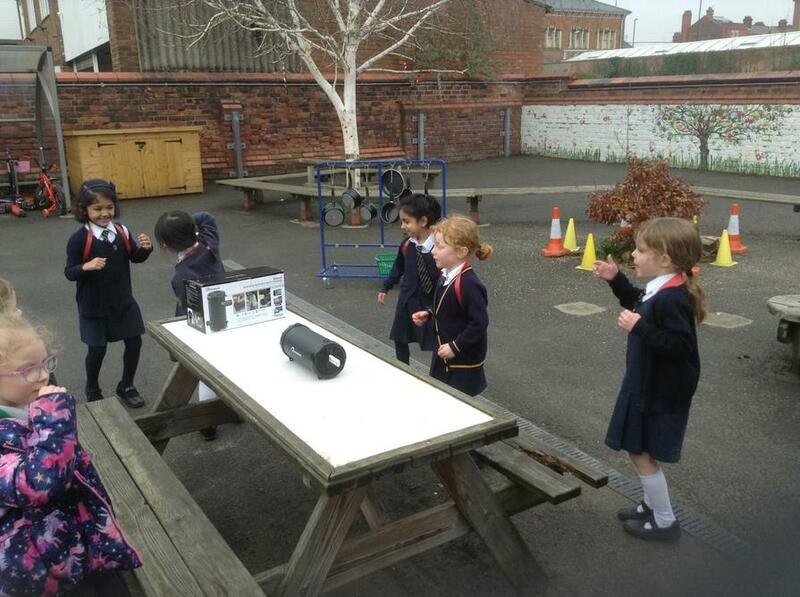 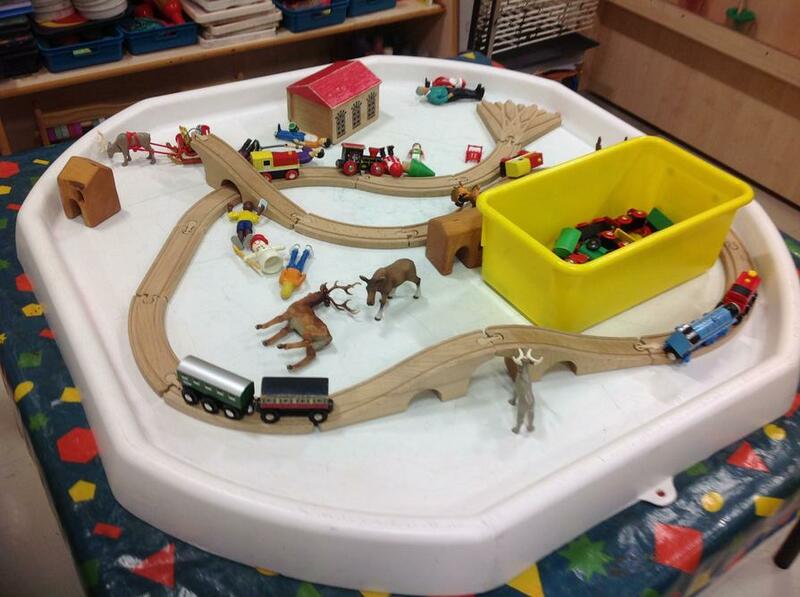 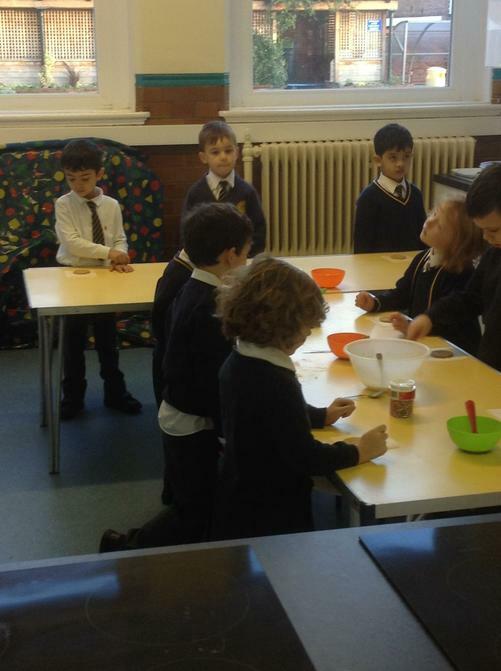 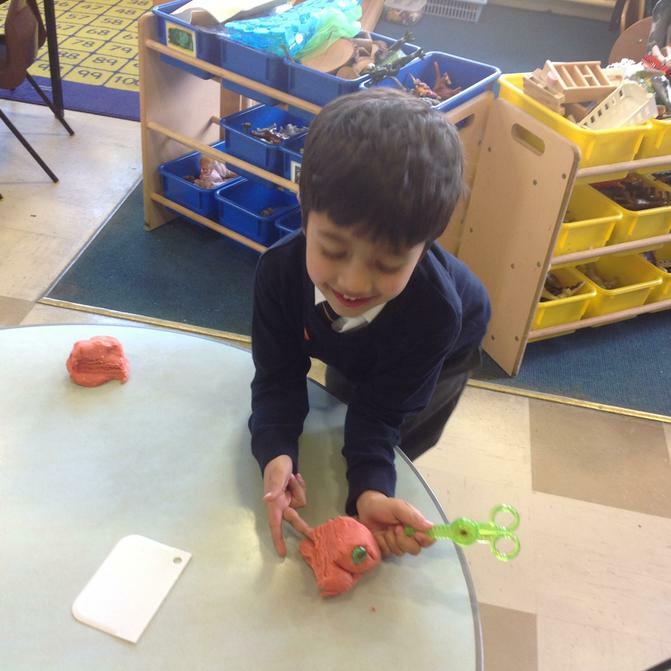 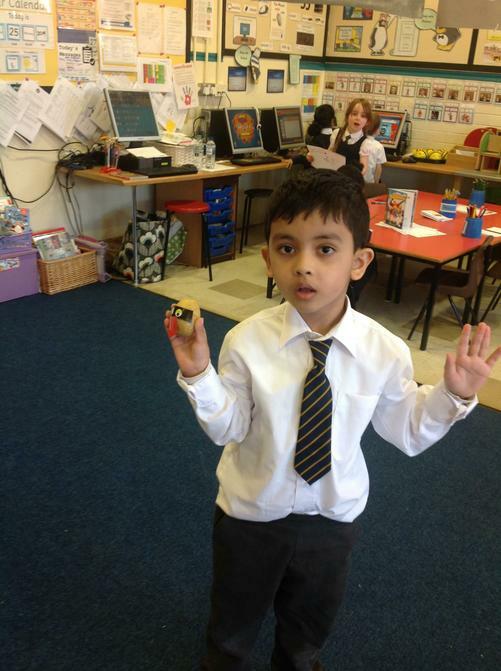 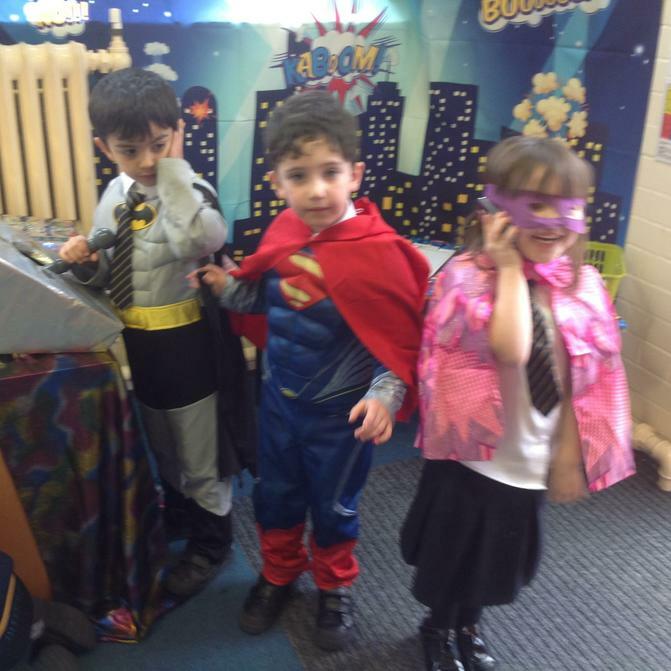 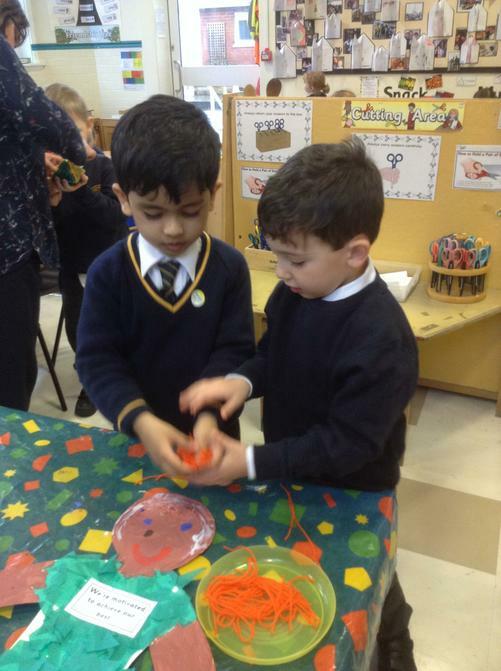 The children were very excited to choose the parts that they want to play and the children who want to have a speaking part, have been allocated their lines. 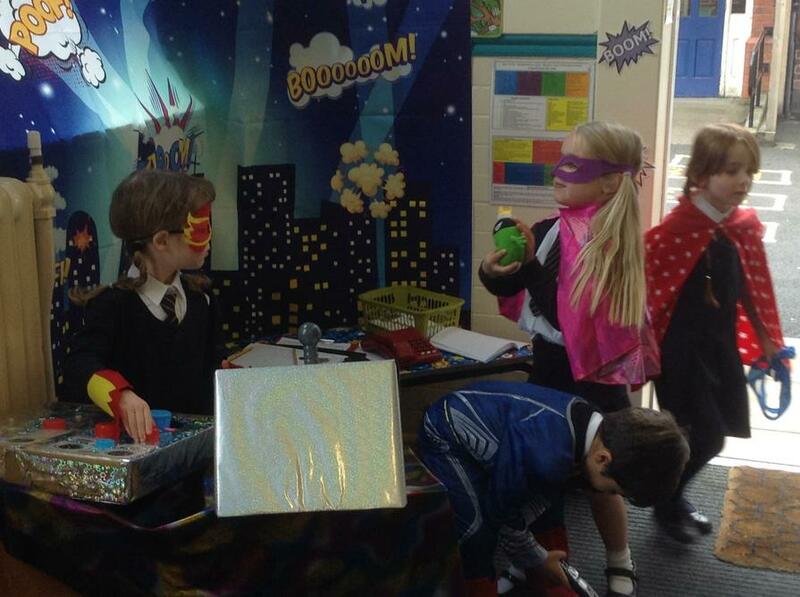 Further information confirming your child's part, costumes and any lines to rehearse, will be sent home very soon. 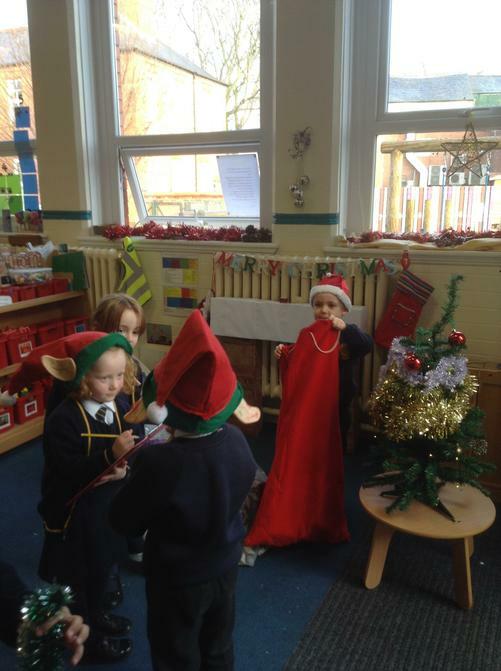 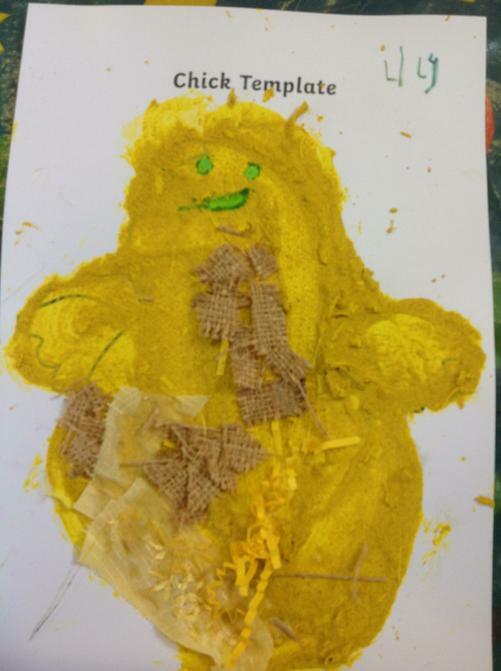 The children and staff will be working very hard over the next few weeks to put together an amazing performance that is a lovely celebration of Christmas. 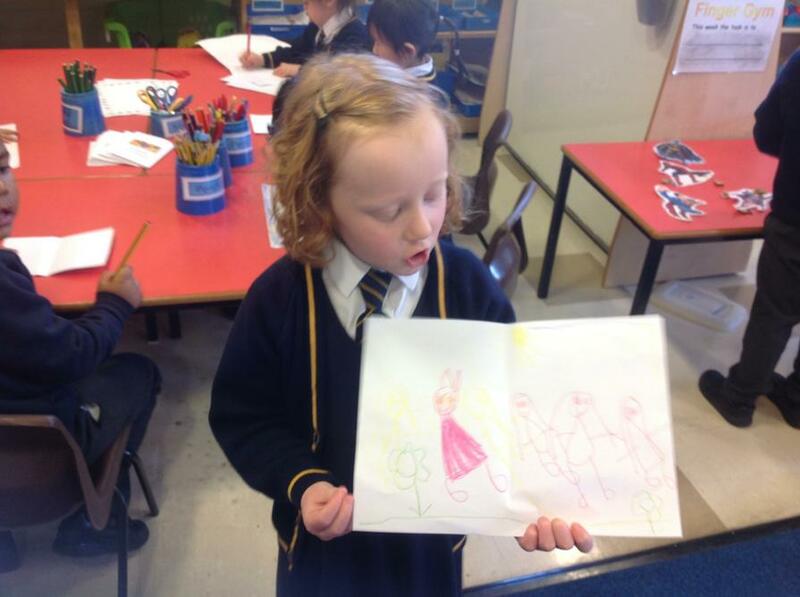 We are sure that you will all agree when you see the show! 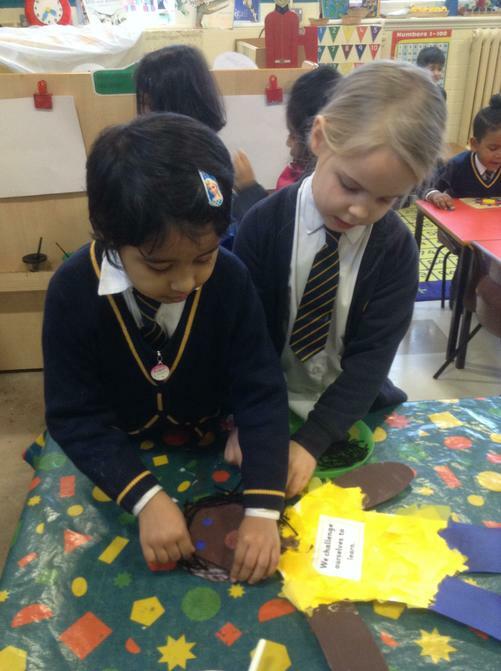 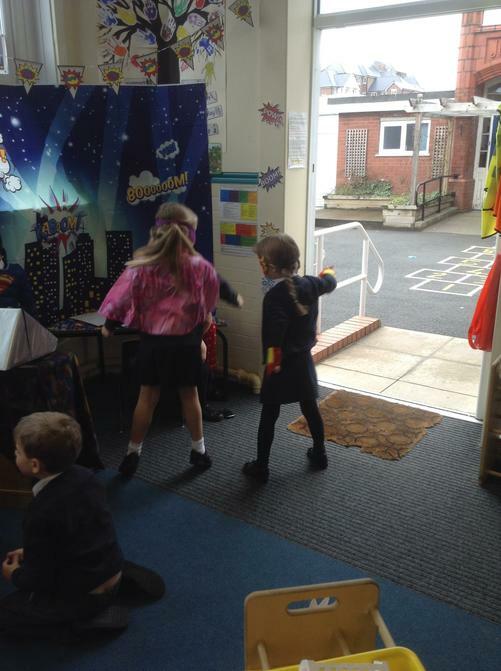 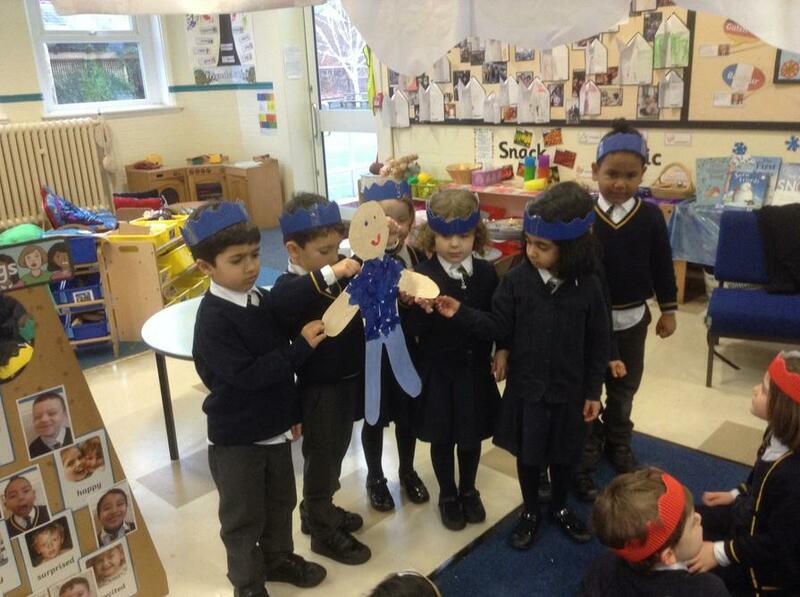 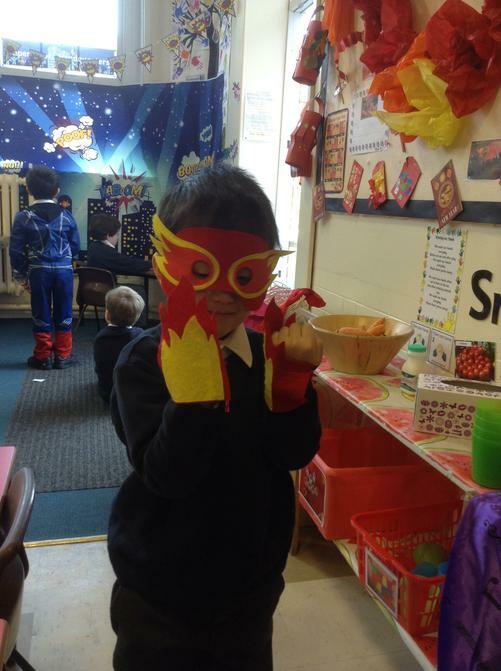 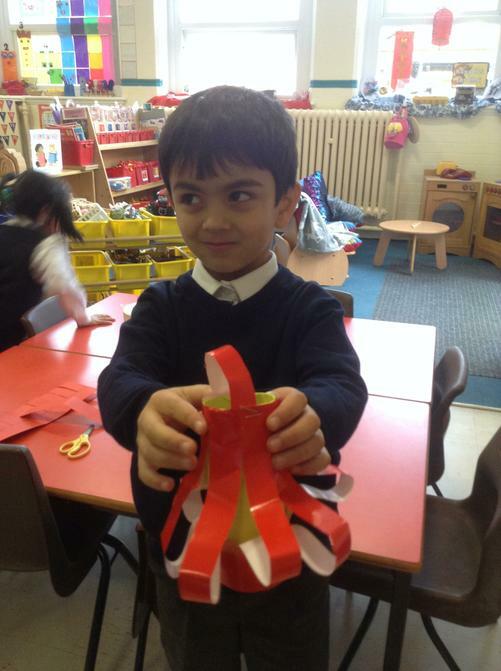 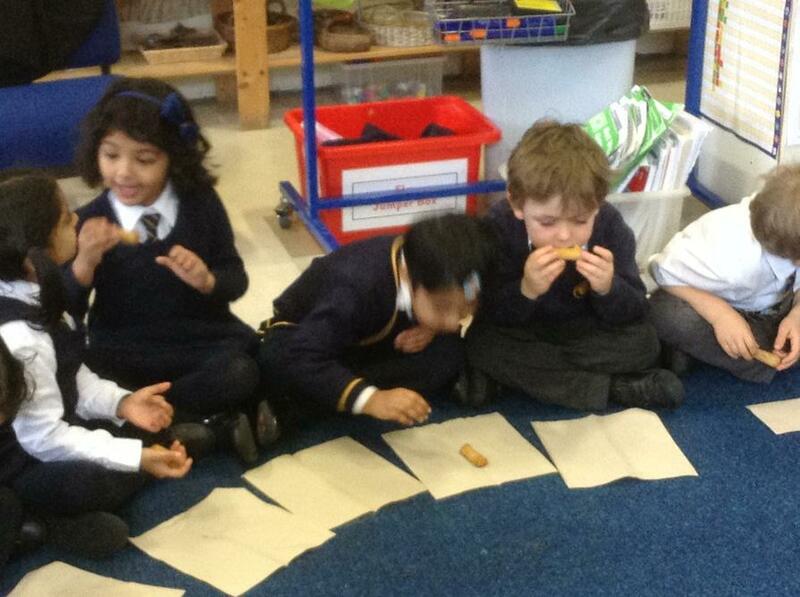 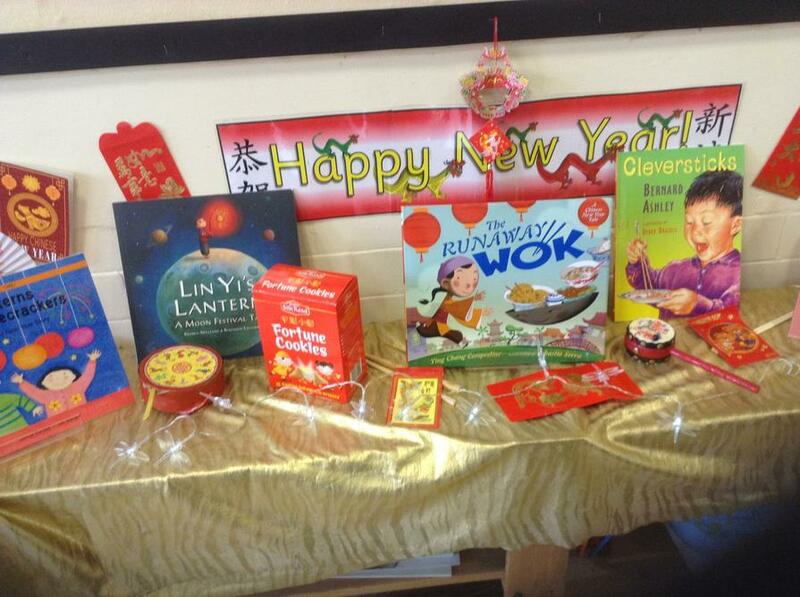 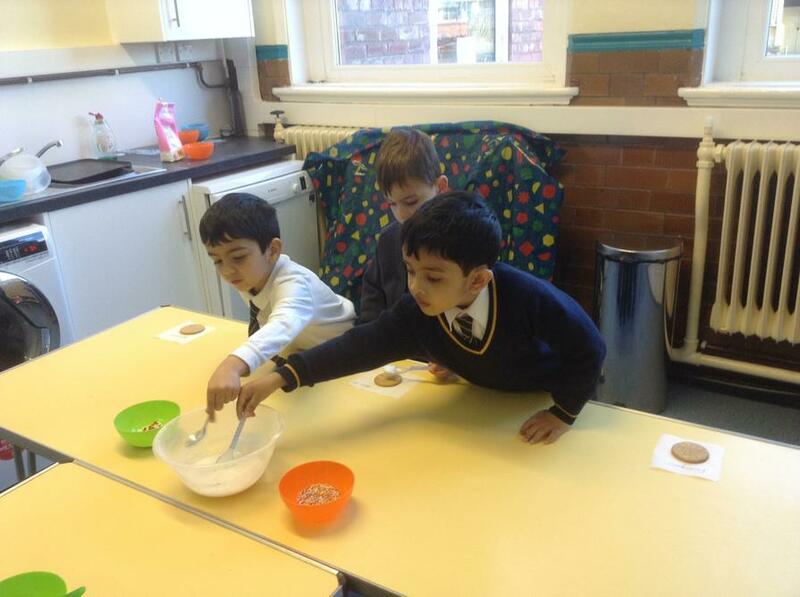 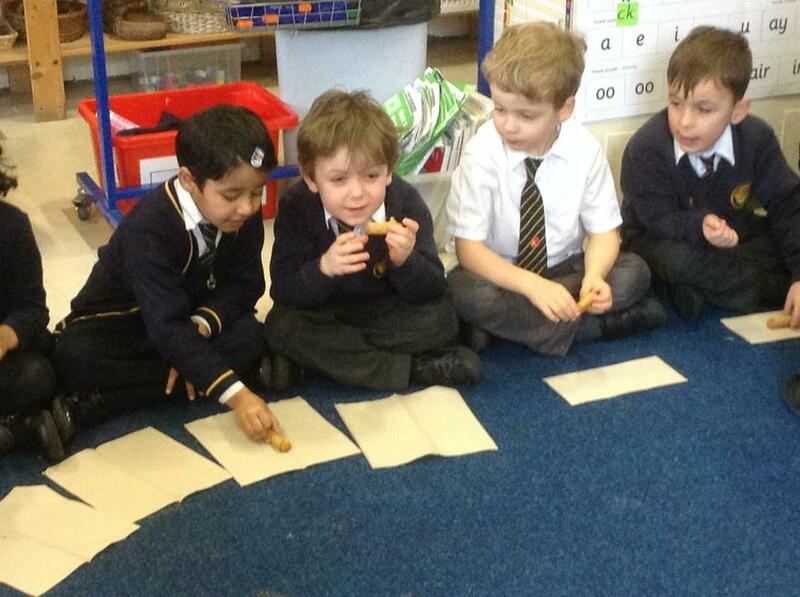 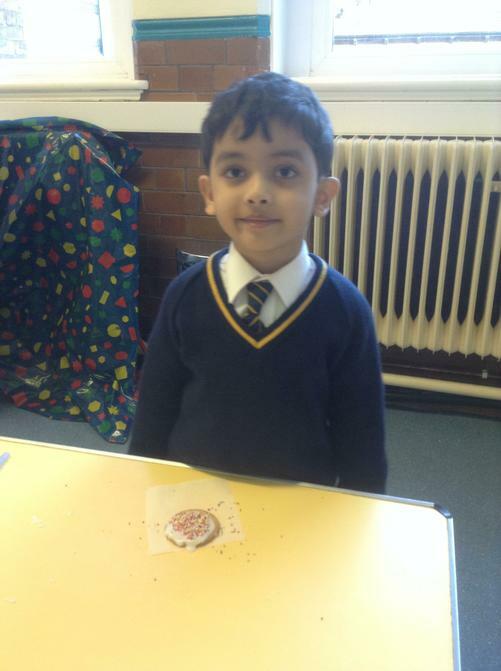 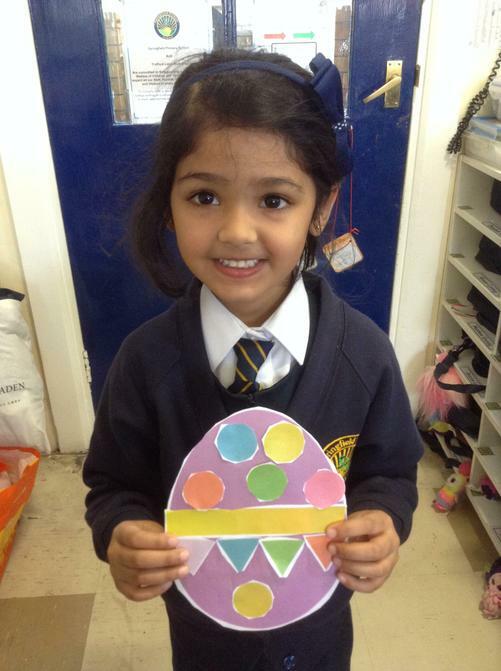 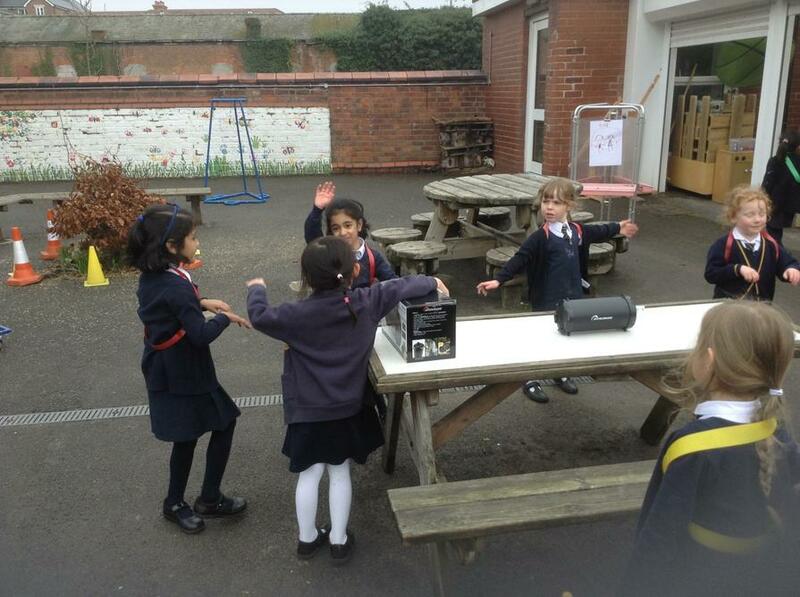 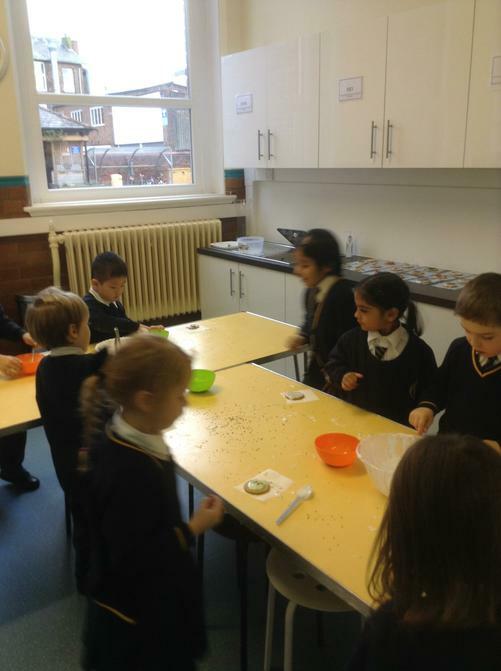 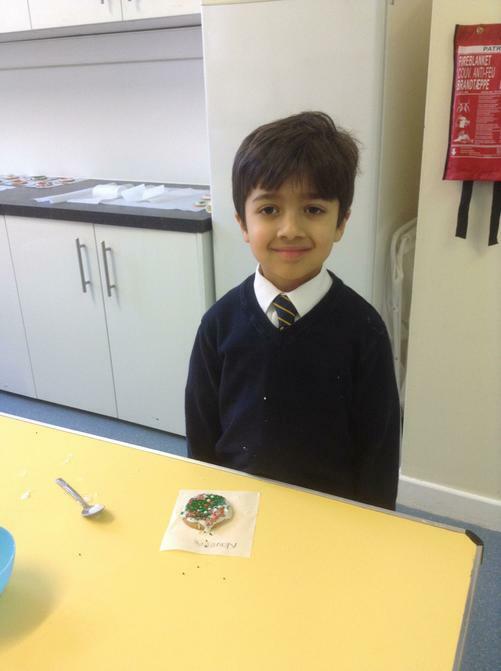 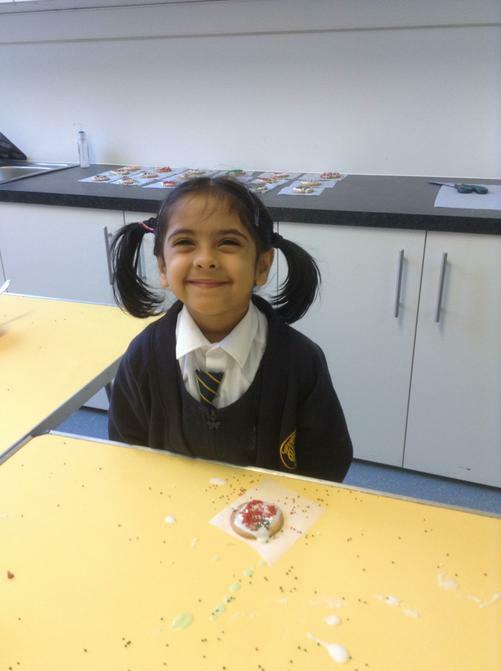 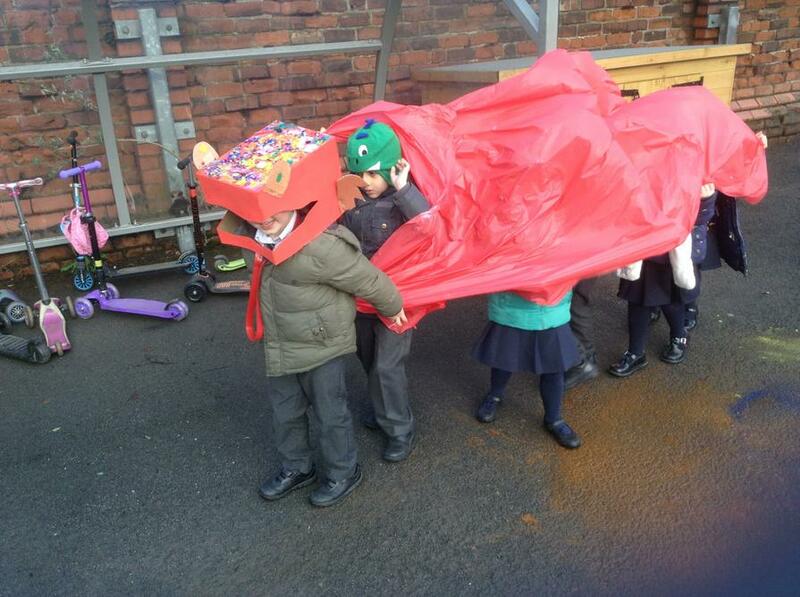 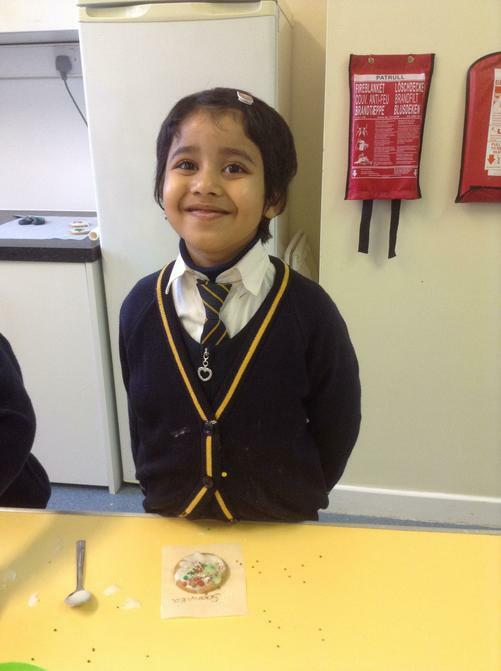 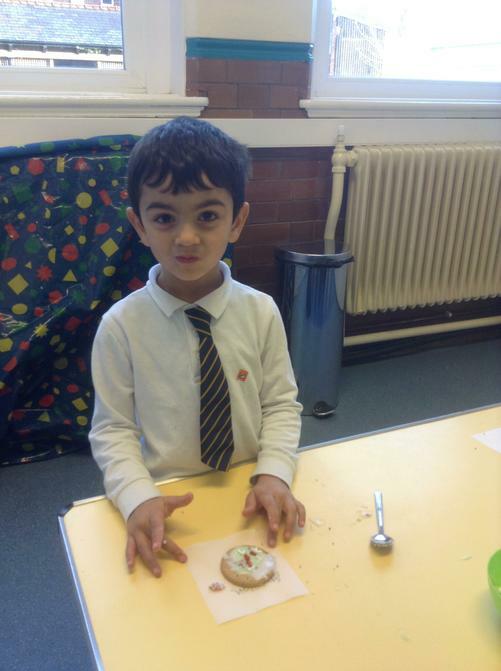 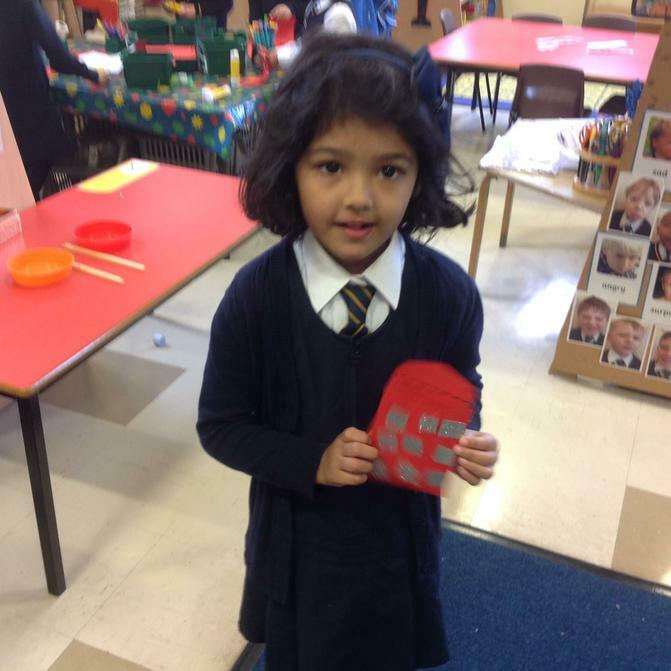 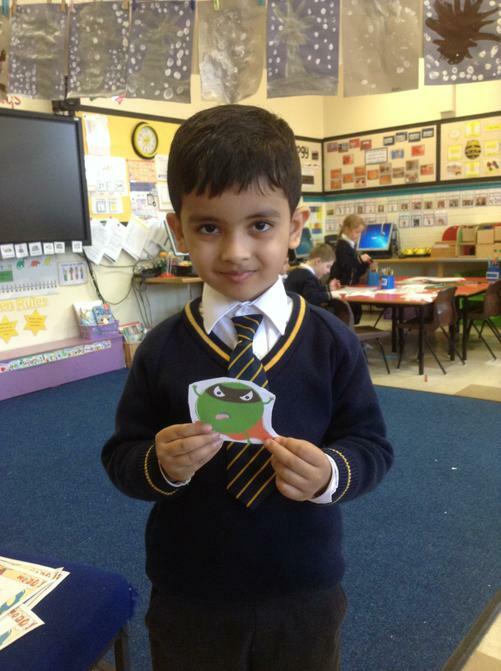 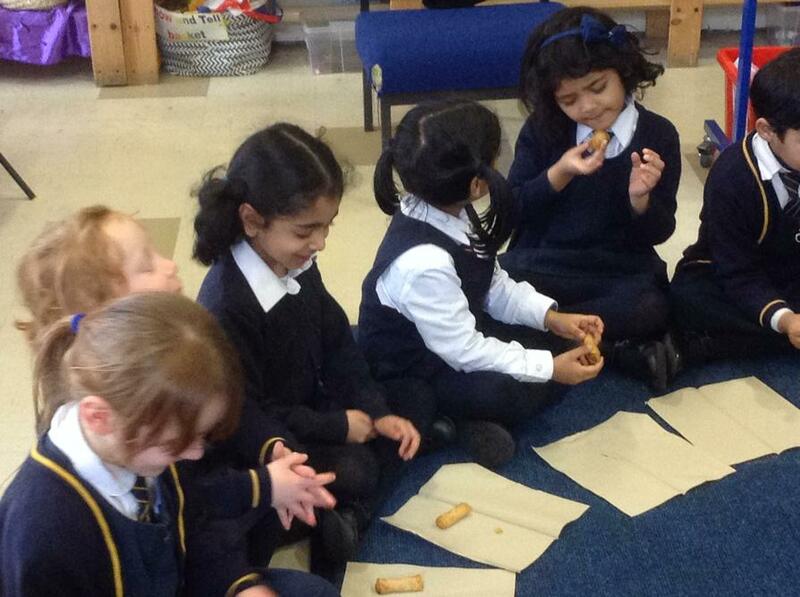 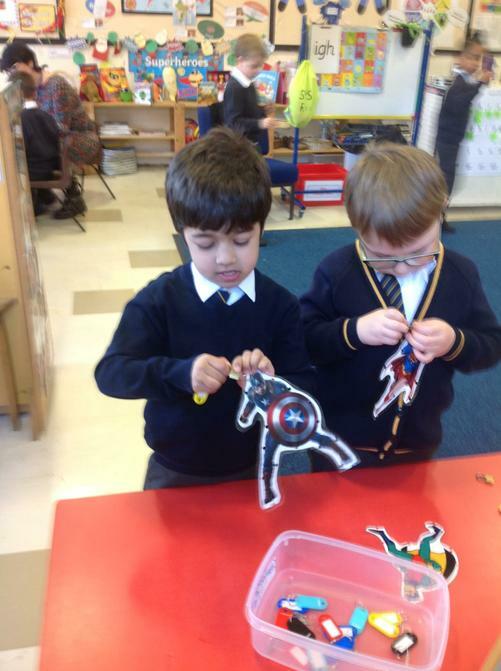 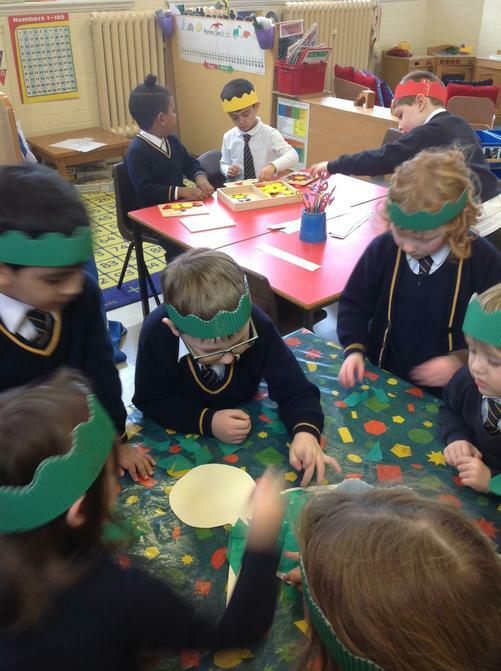 This week we have been talking about our adventures on Bonfire Night and finding out about Diwali. 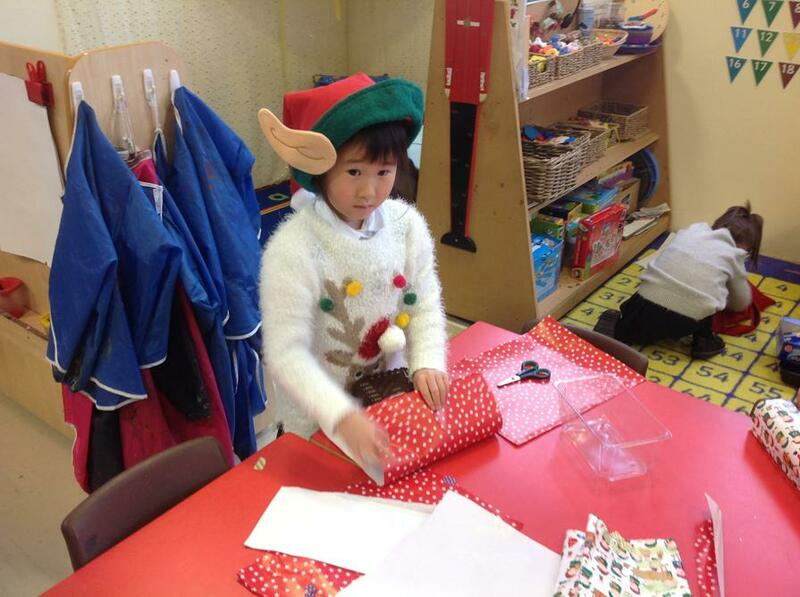 Thank you so much for coming if you were able to make it. 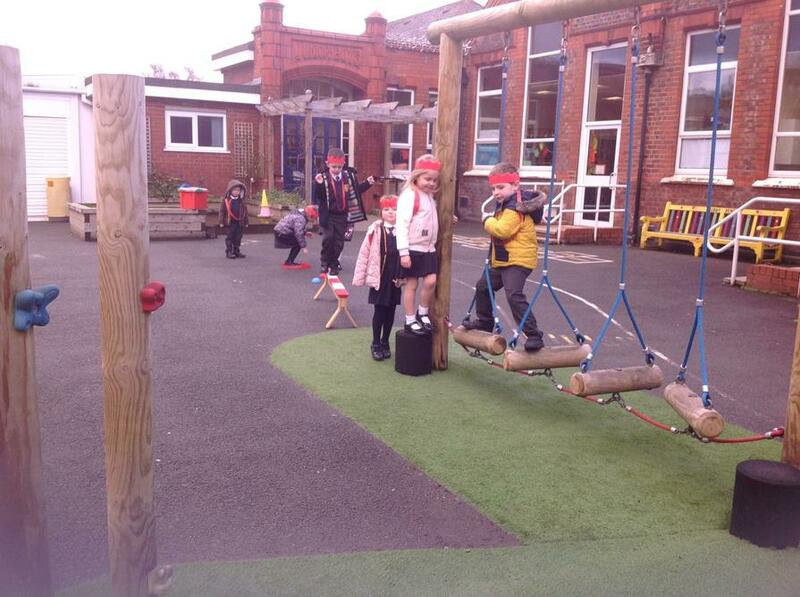 We really hope you enjoyed it. 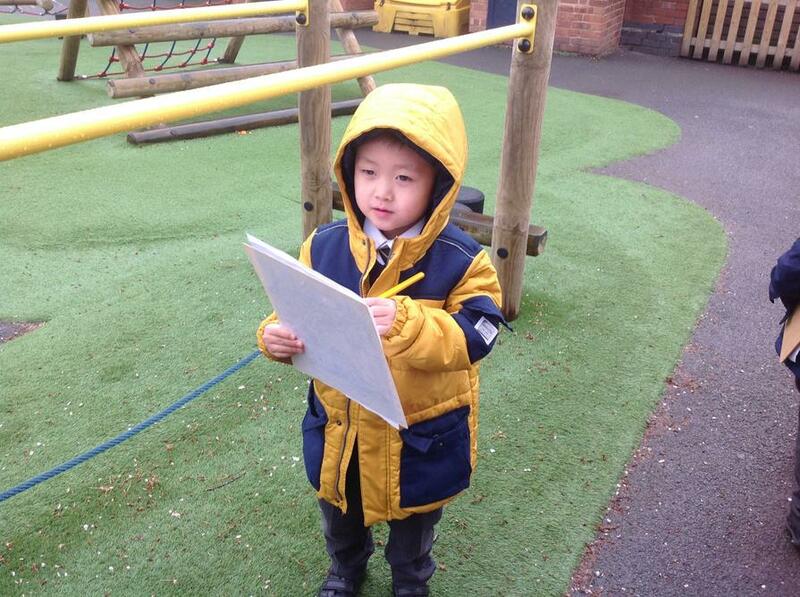 Here is the PowerPoint for your information. 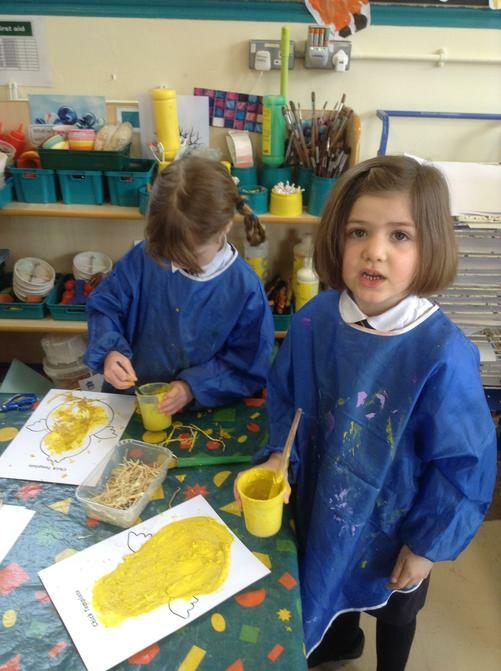 If you have any further questions please don't hesitate to contact us. 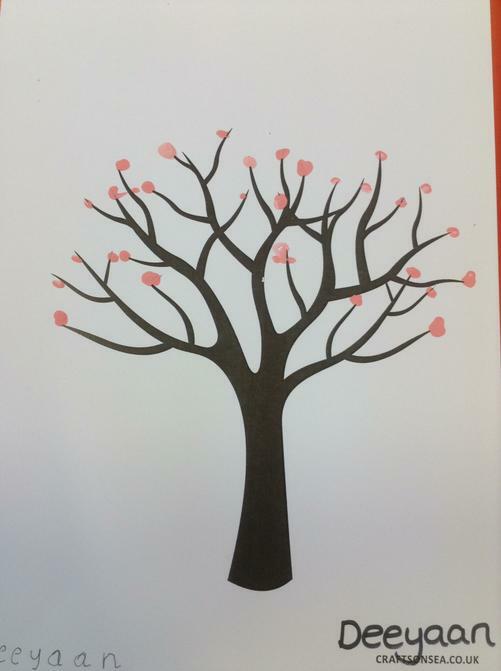 Who can you see in Elm? 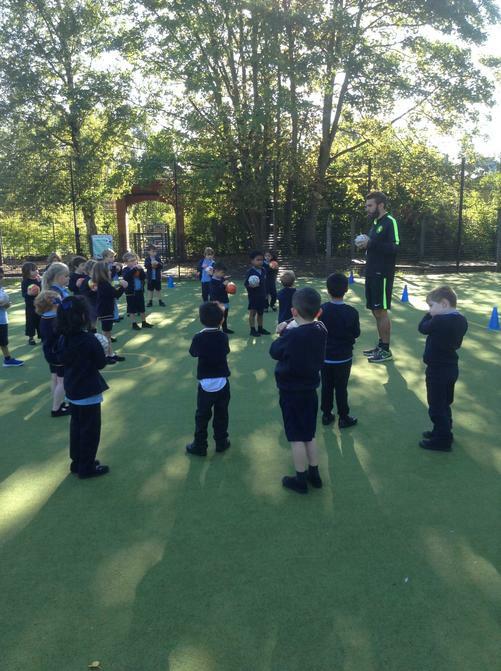 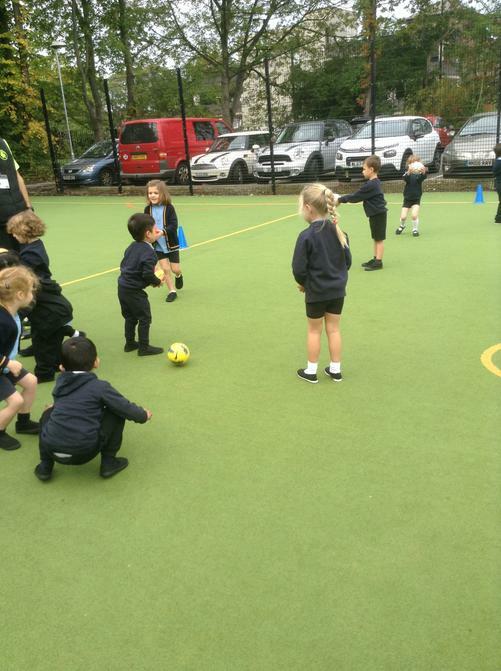 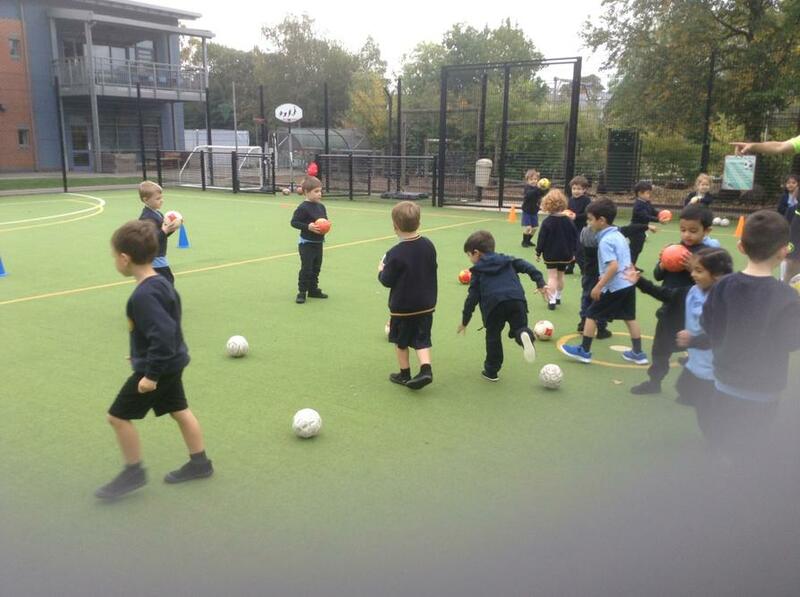 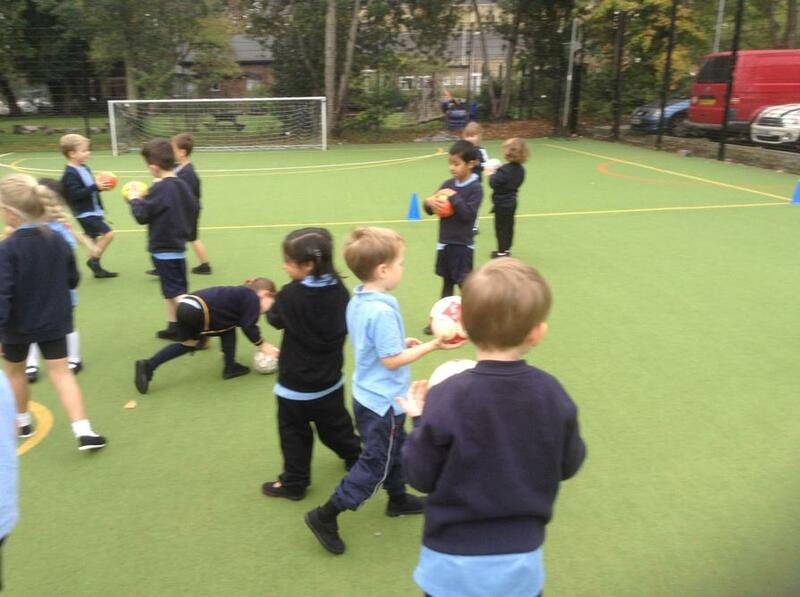 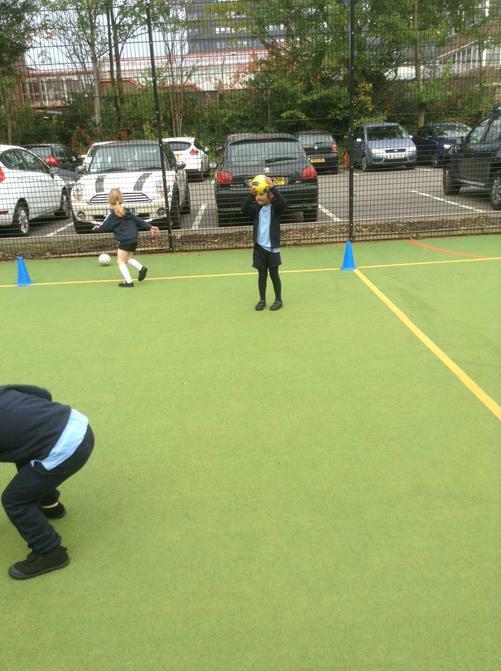 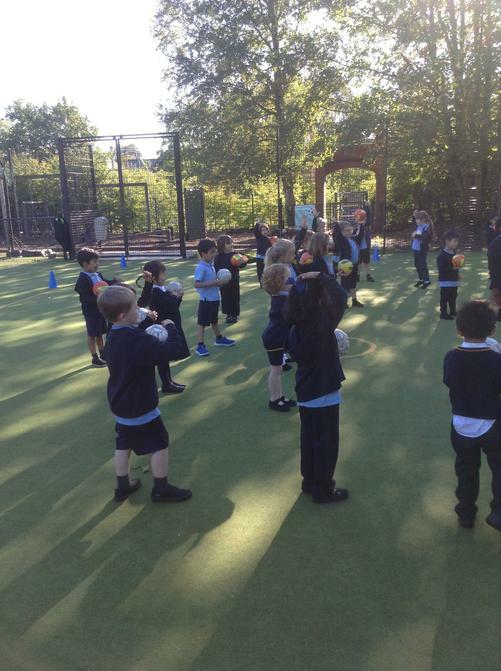 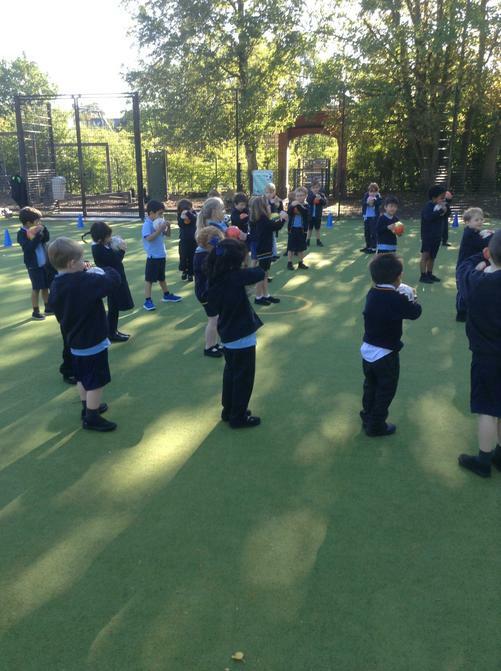 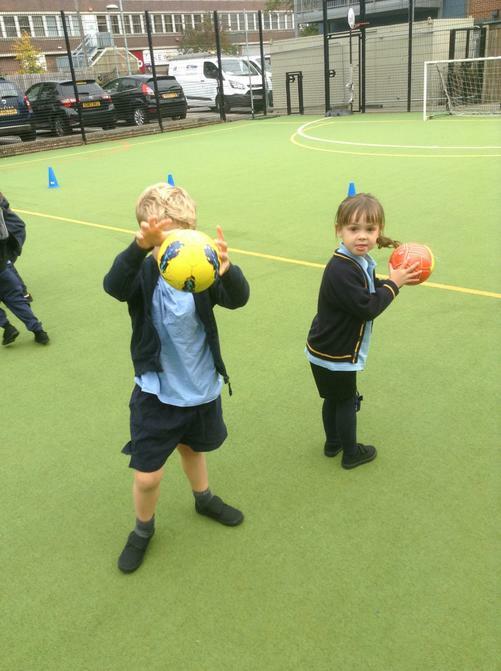 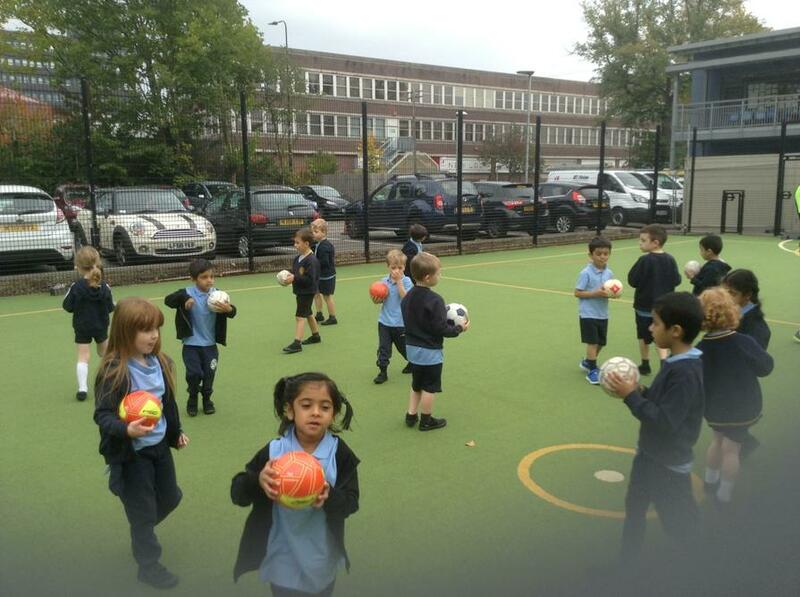 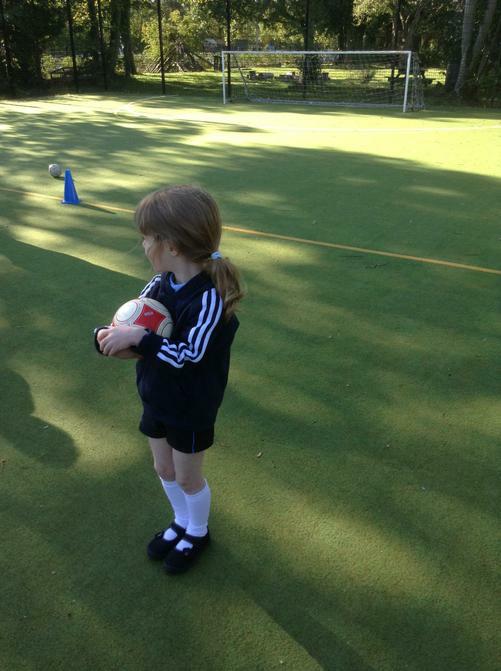 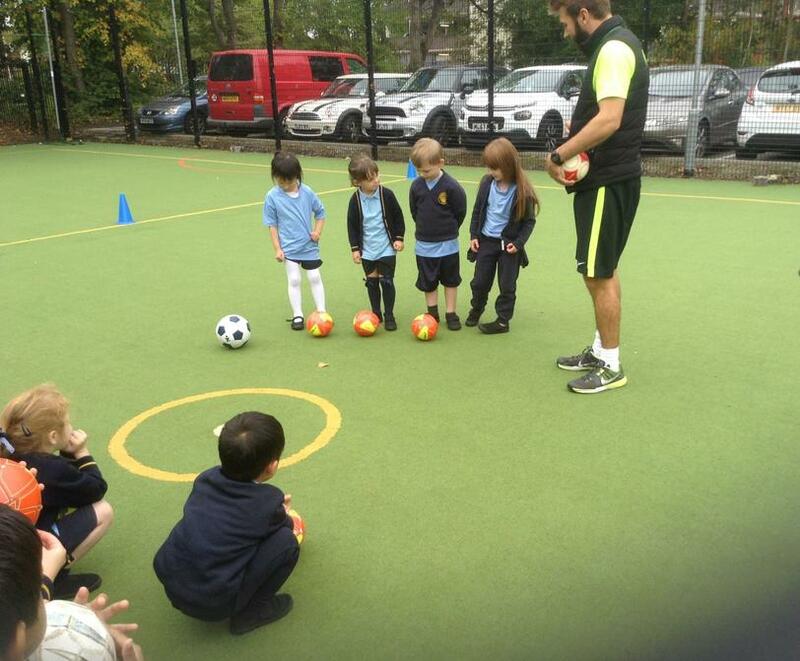 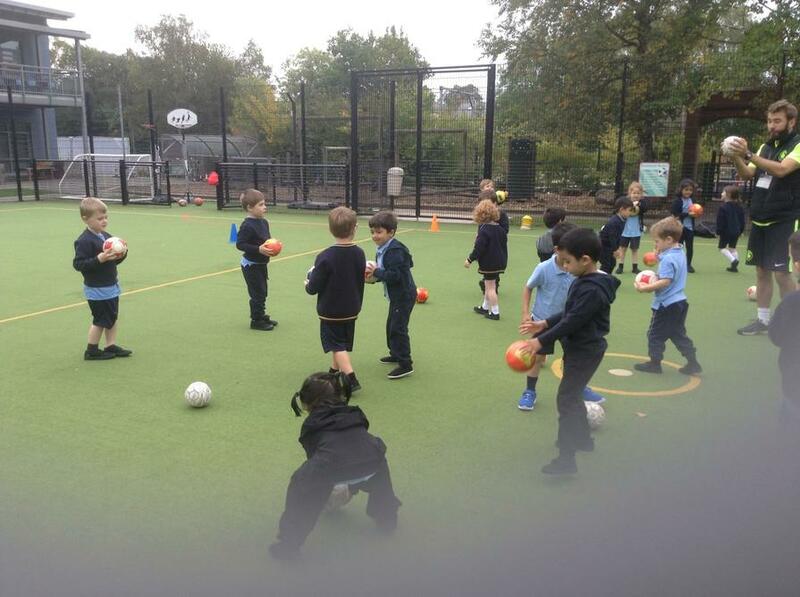 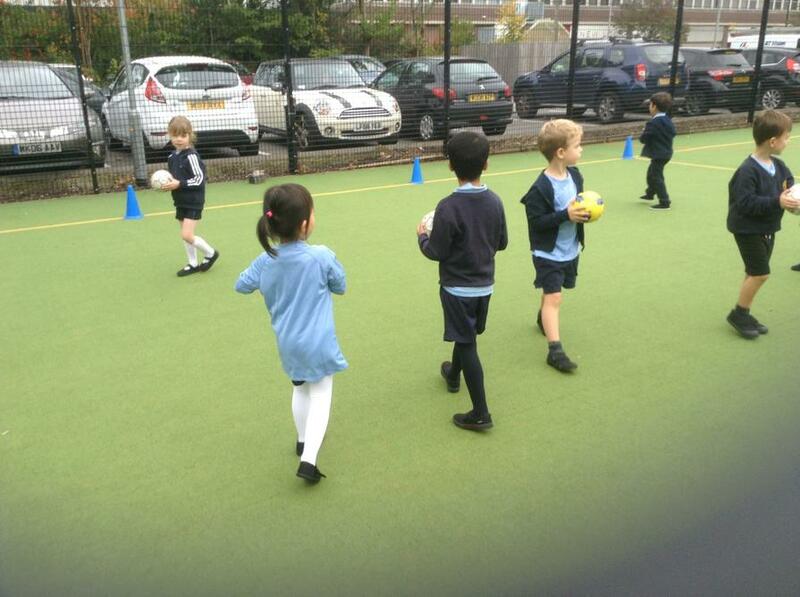 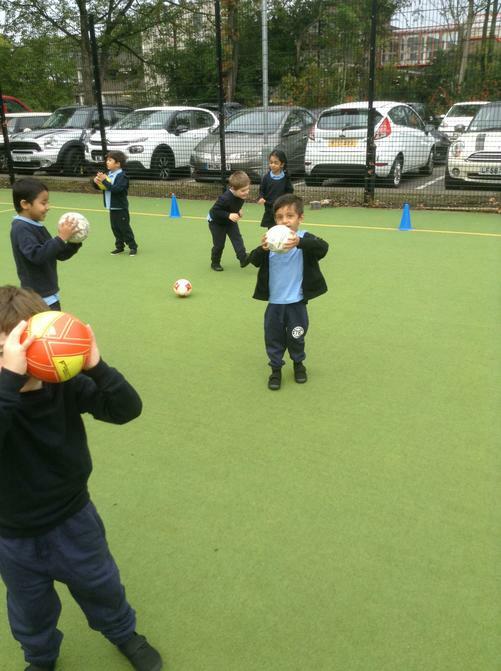 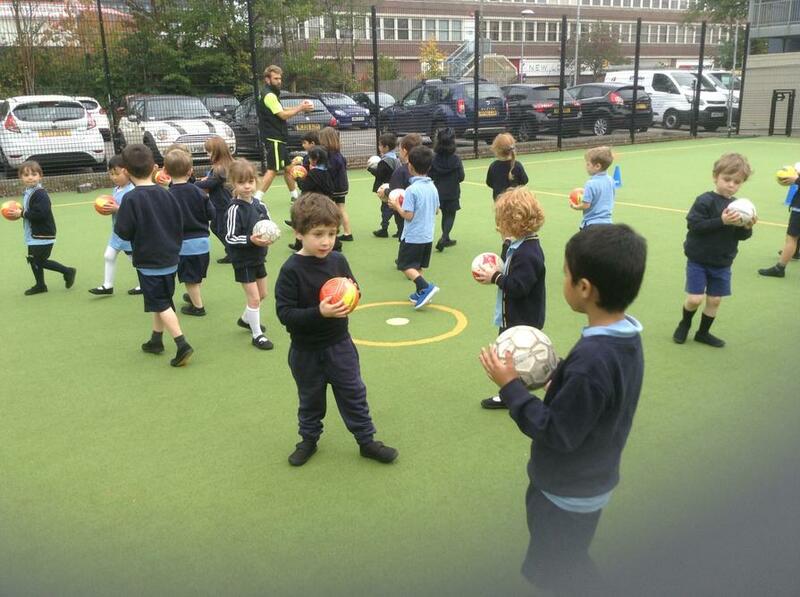 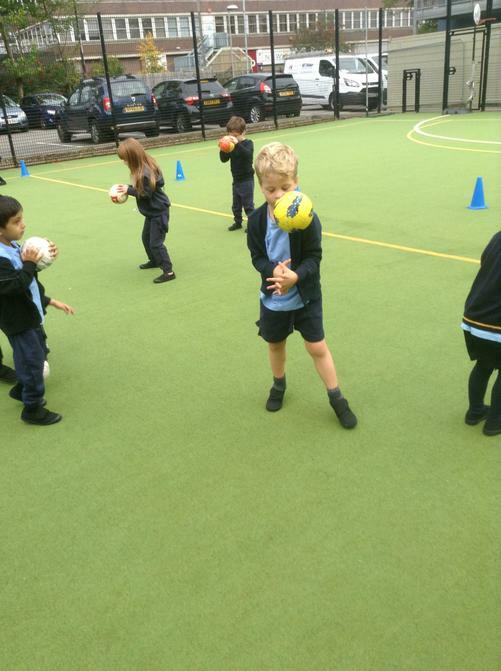 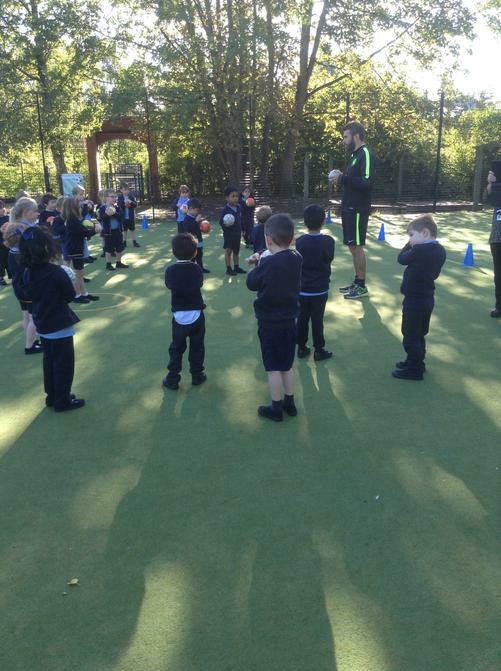 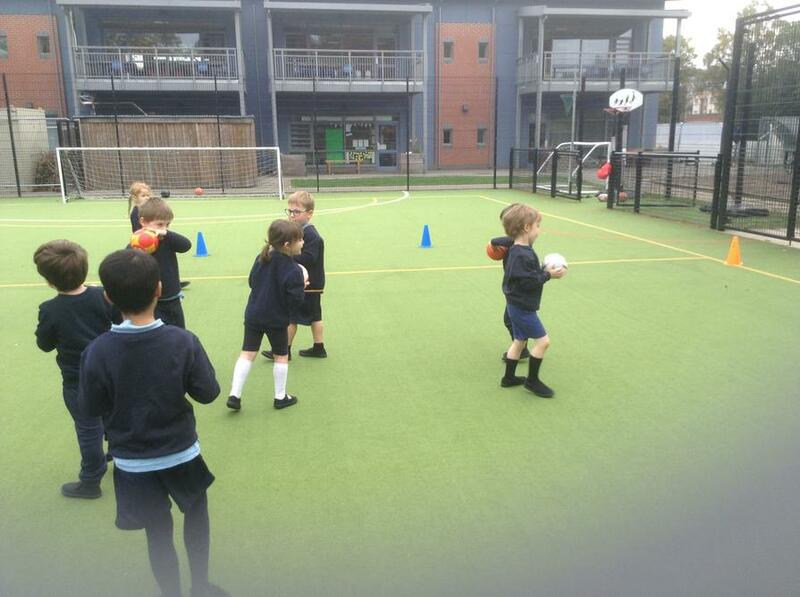 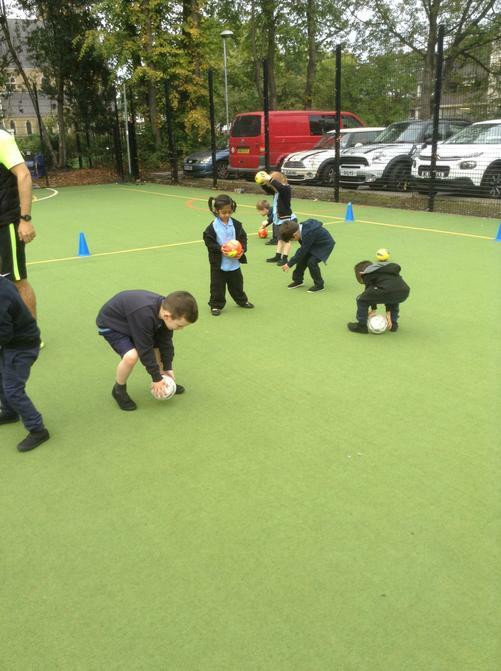 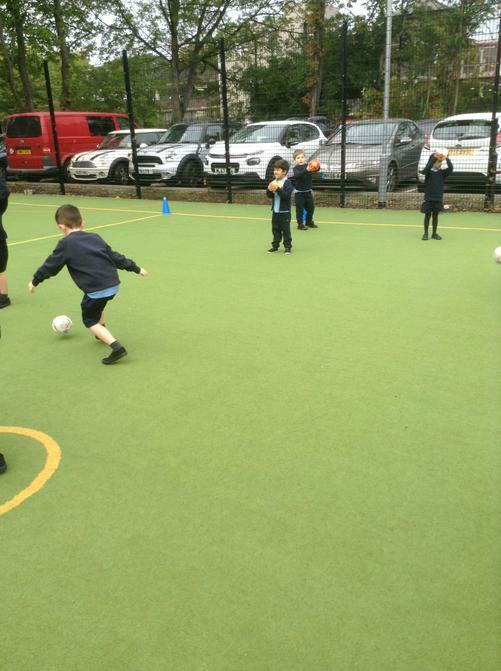 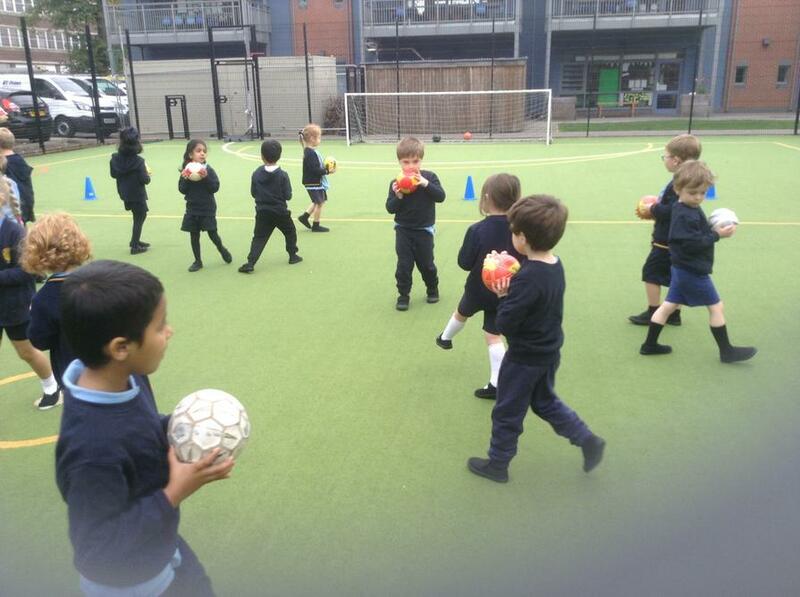 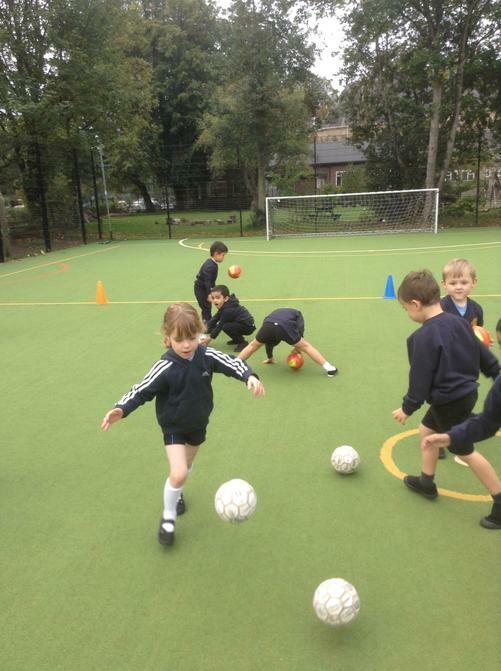 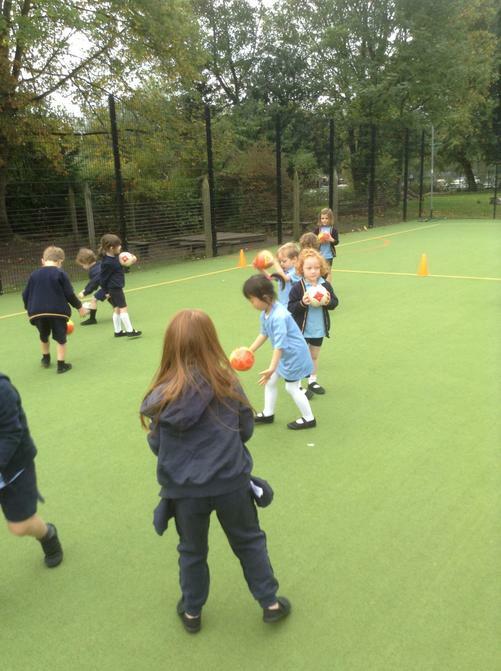 We have great fun learning ball skills with Josh!